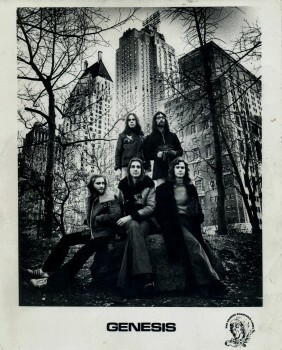 This Lamb era press kit features an array of photographs of the band in performance and a wide shot of the group by a tree. 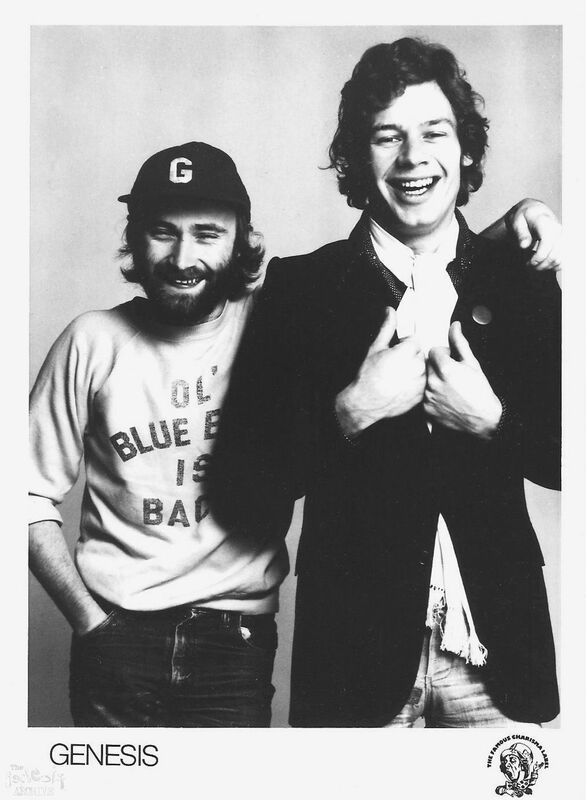 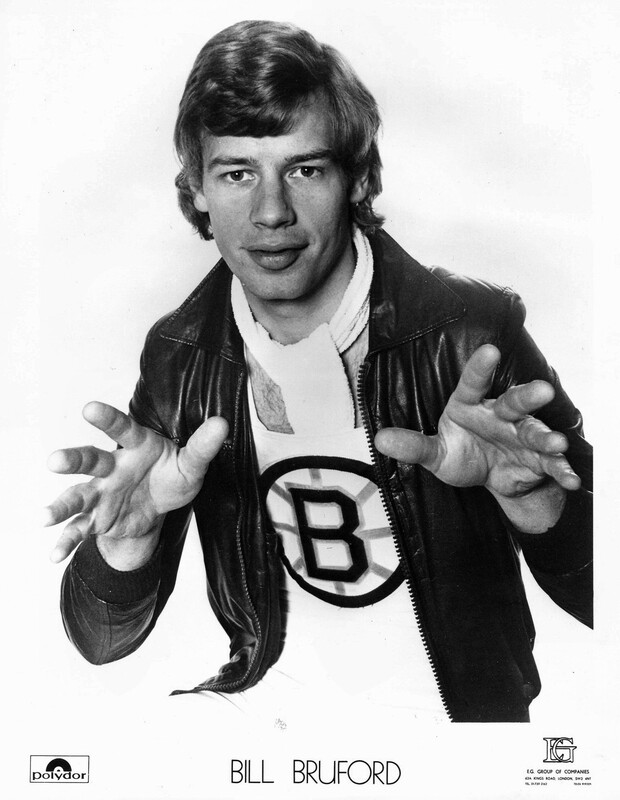 This is a Bill Bruford promo photo taken around 1976/1977 he was the Genesis touring drummer on the 1976 A Trick Of The Tail Tour. 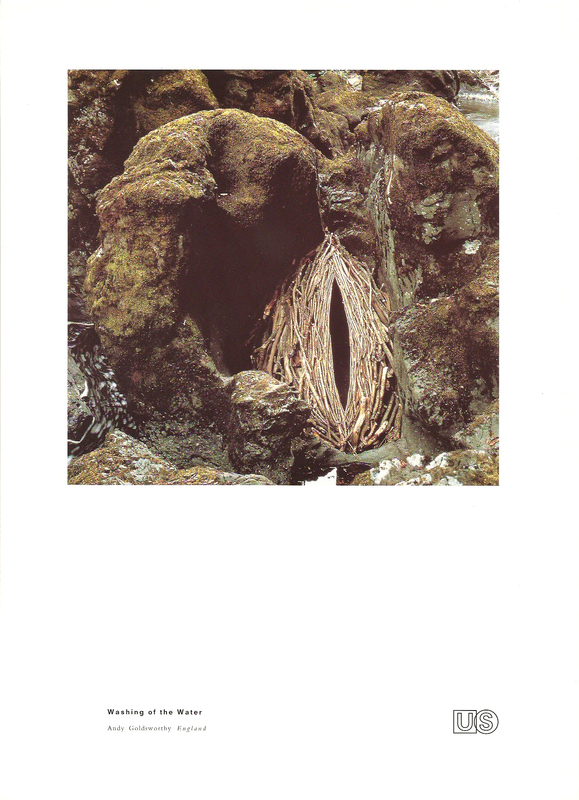 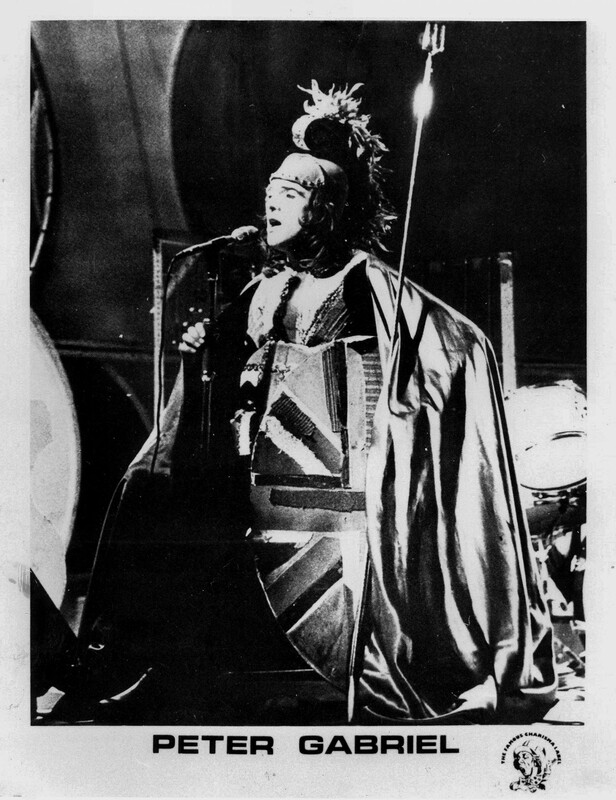 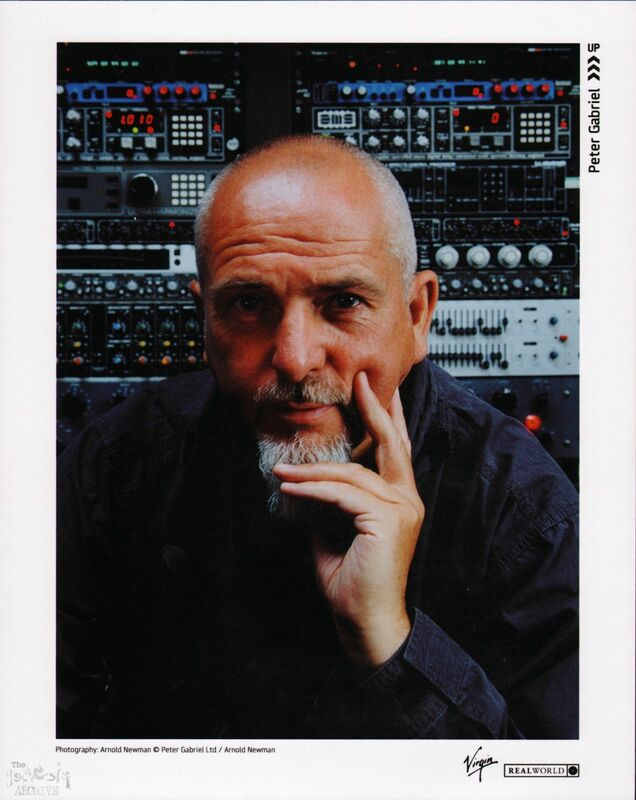 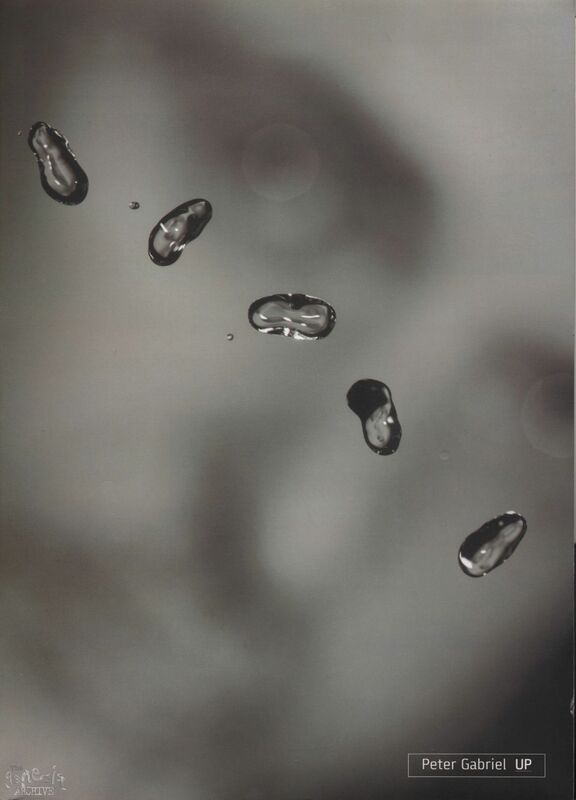 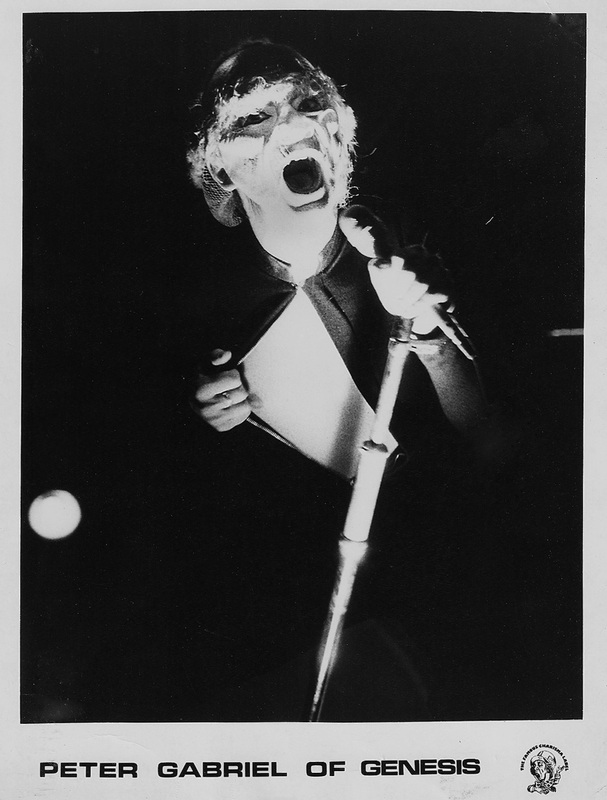 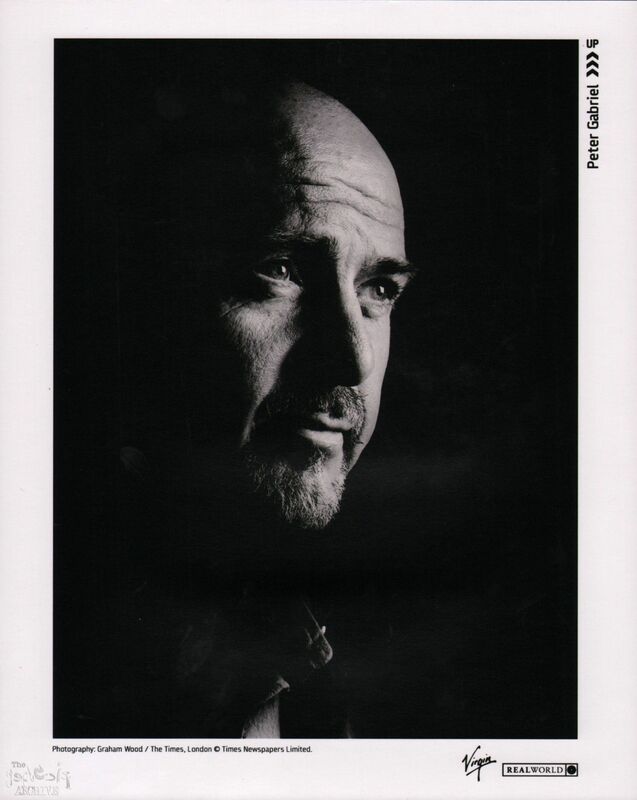 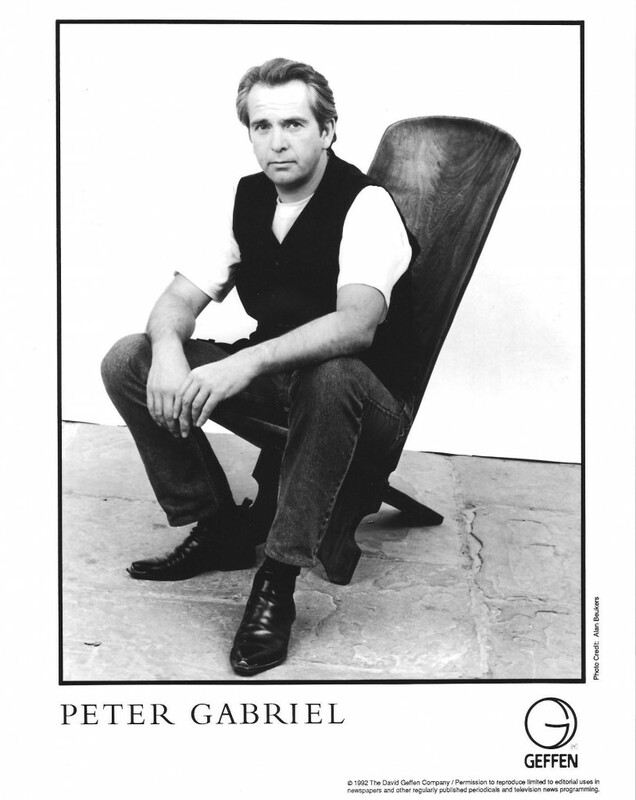 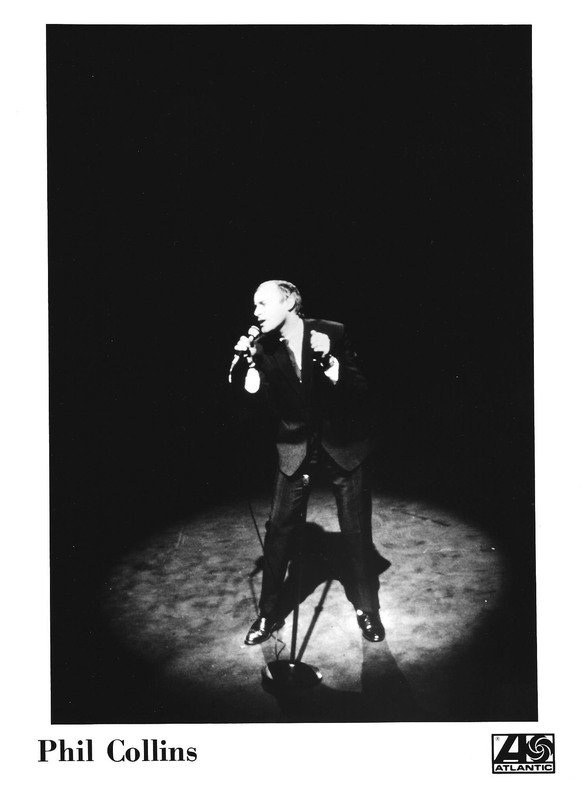 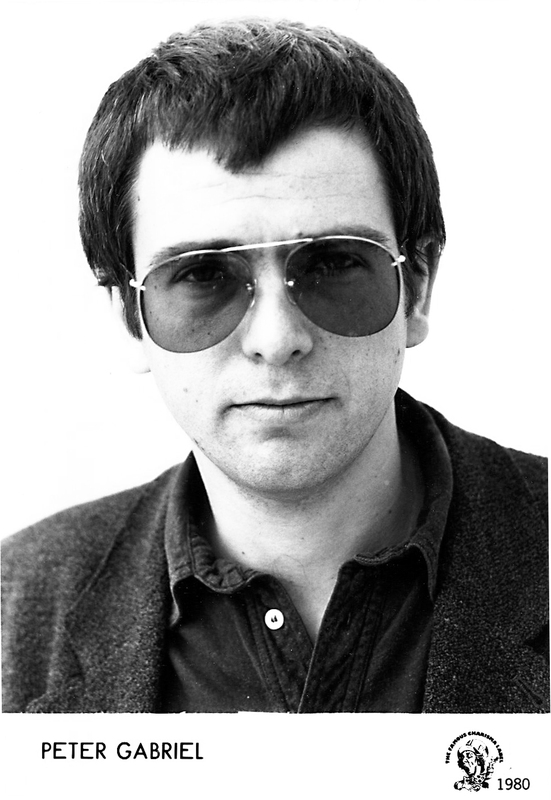 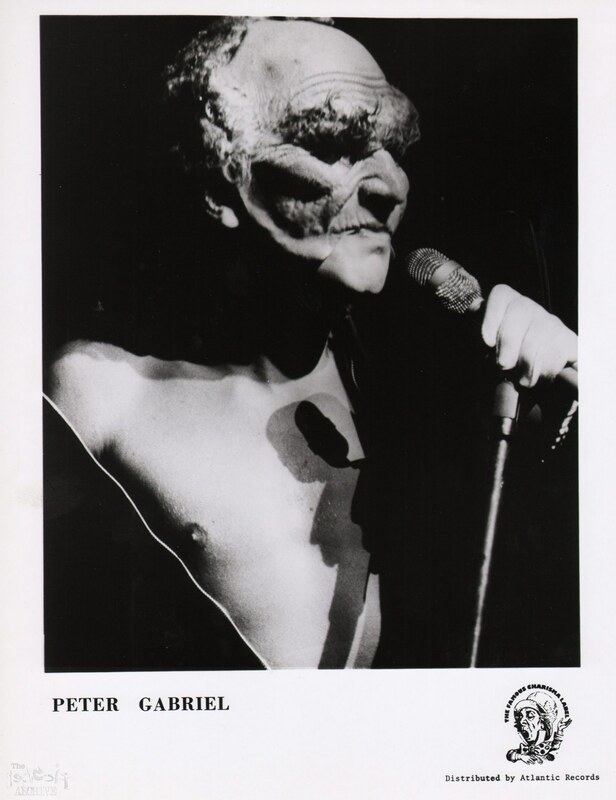 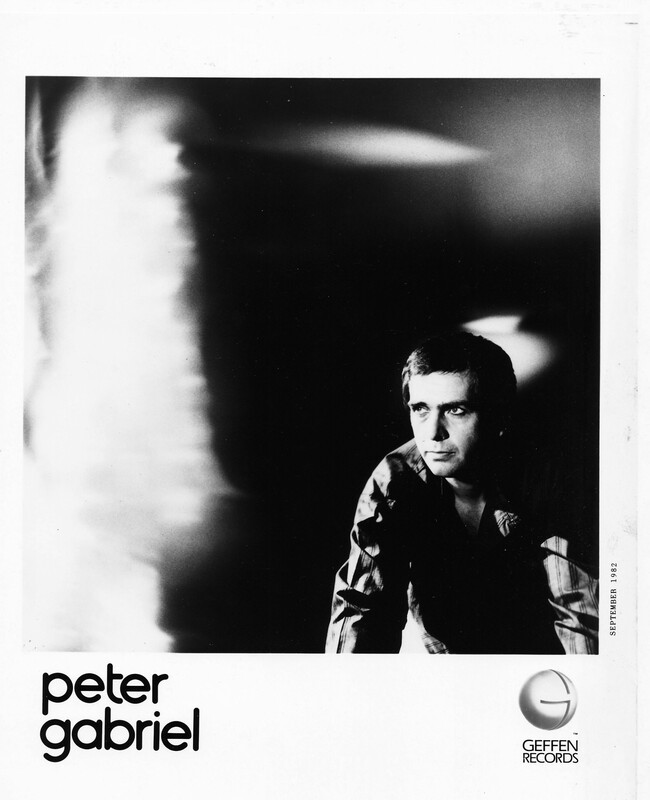 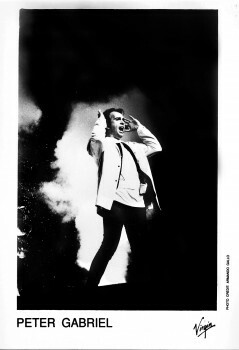 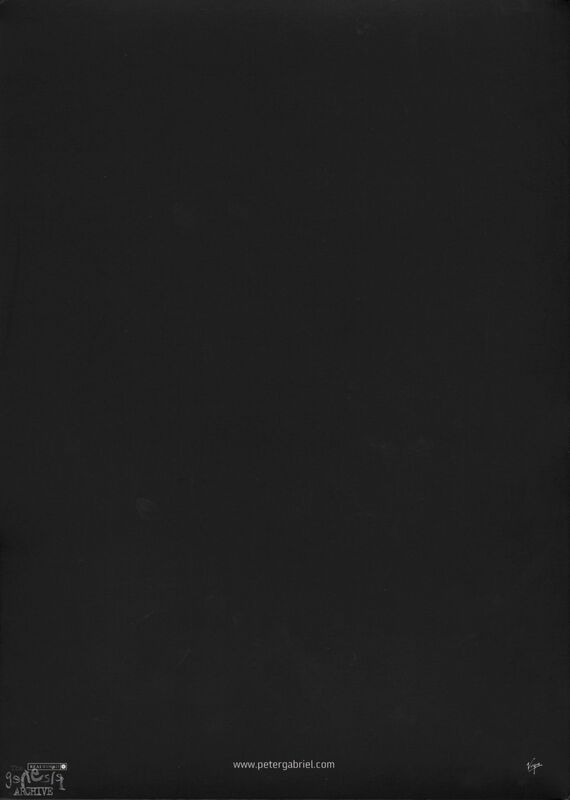 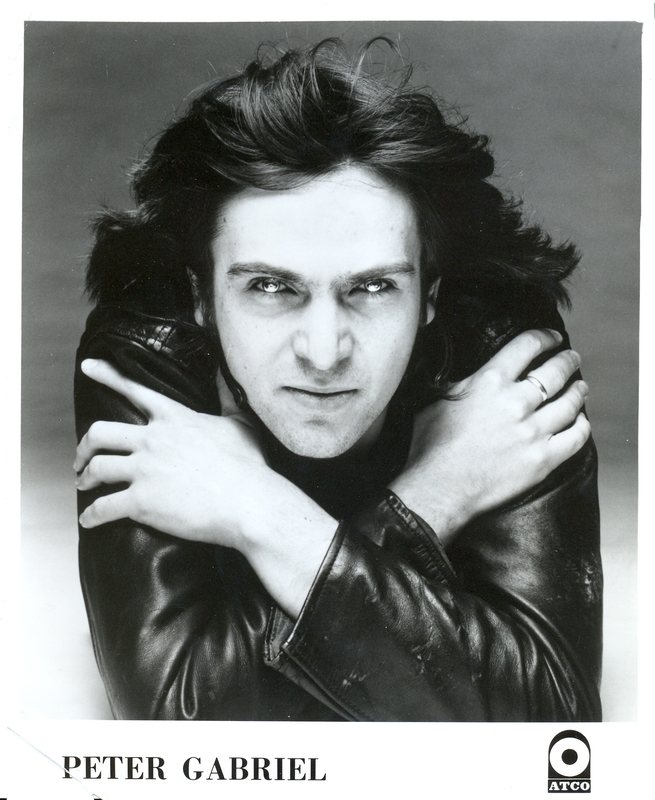 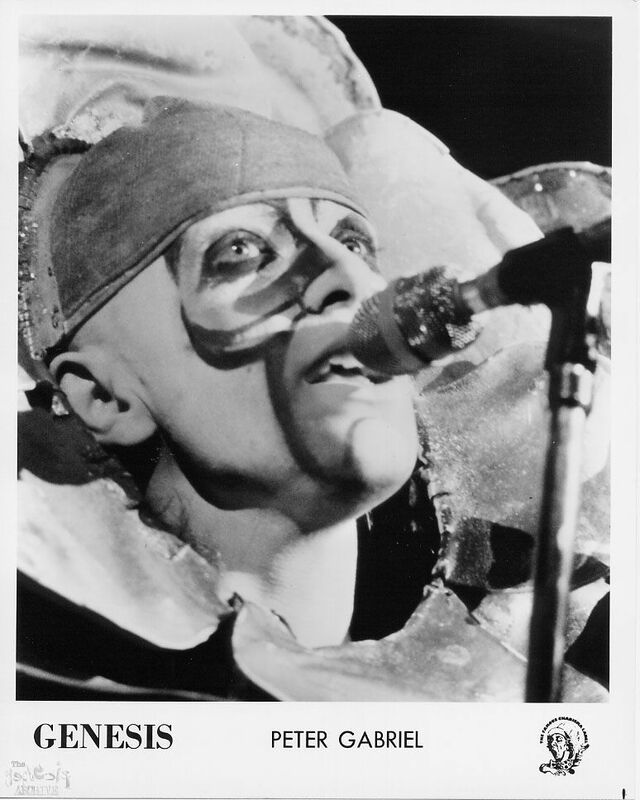 A Peter Gabriel press photo from 1977 – similar to the one used on Solsbury Hill single! 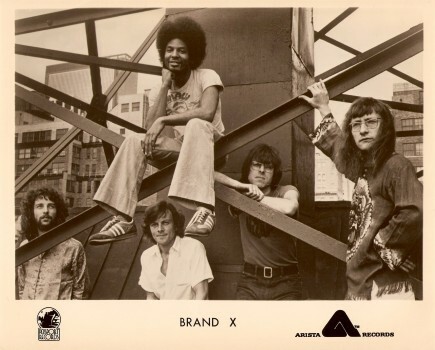 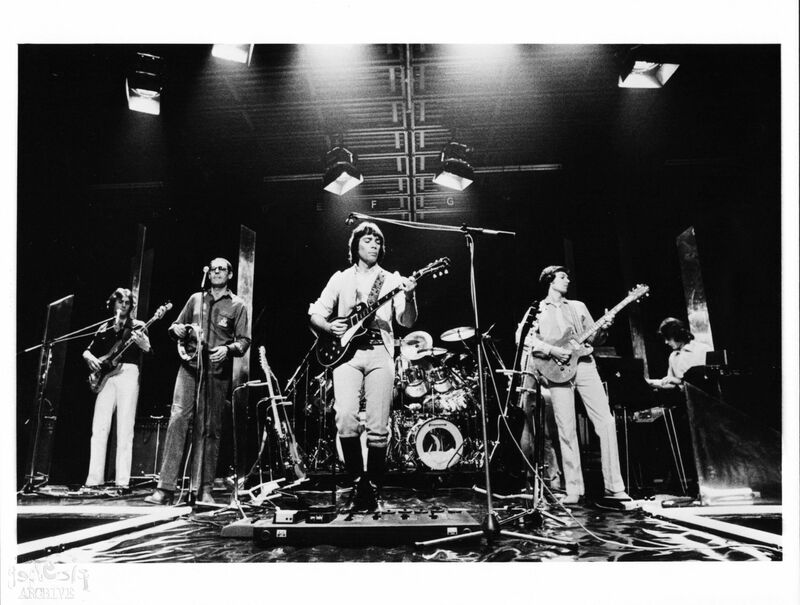 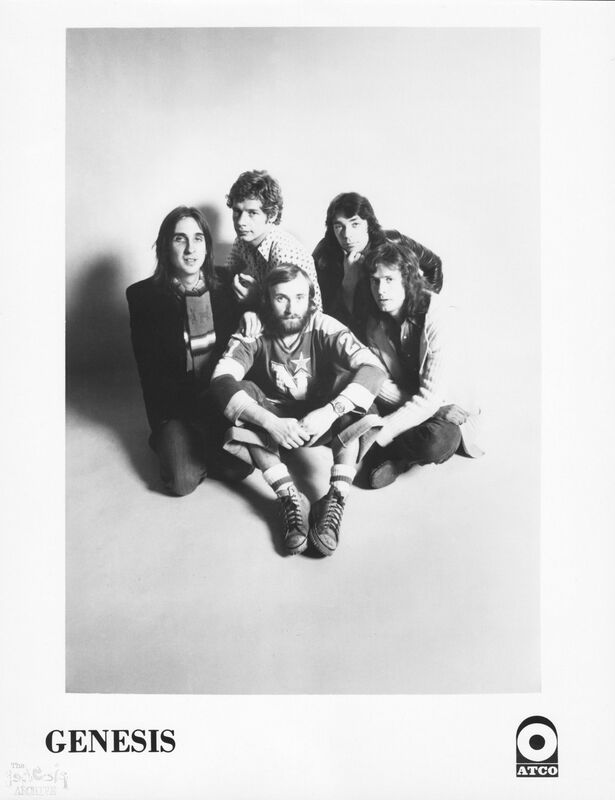 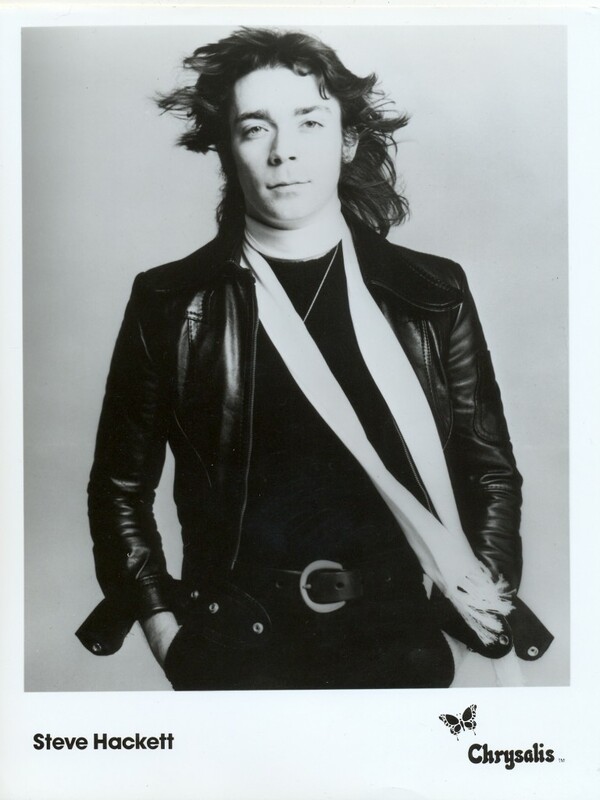 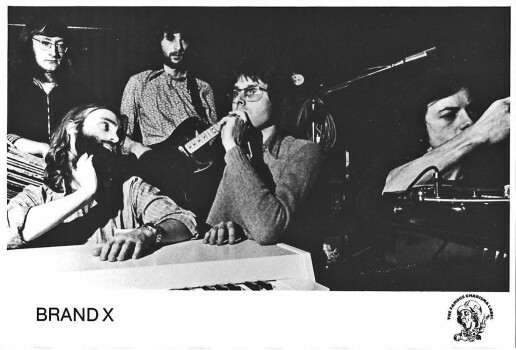 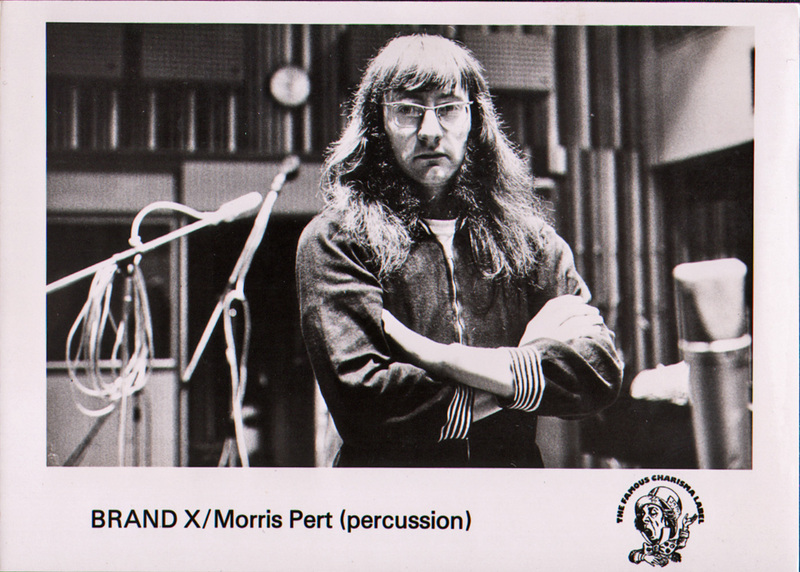 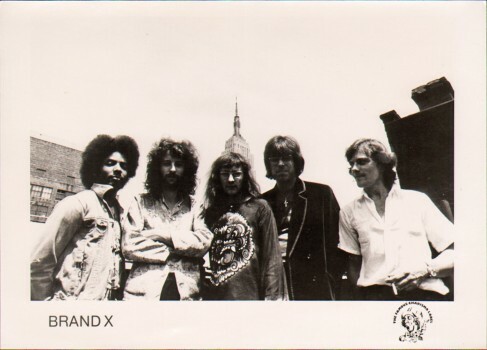 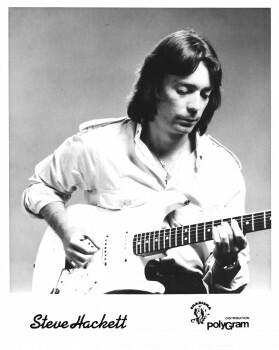 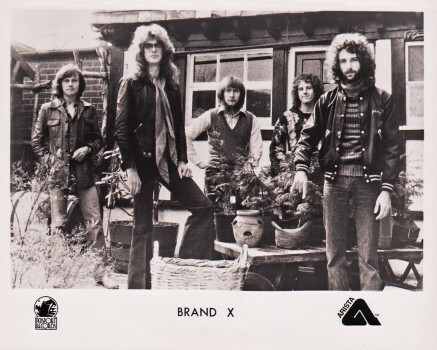 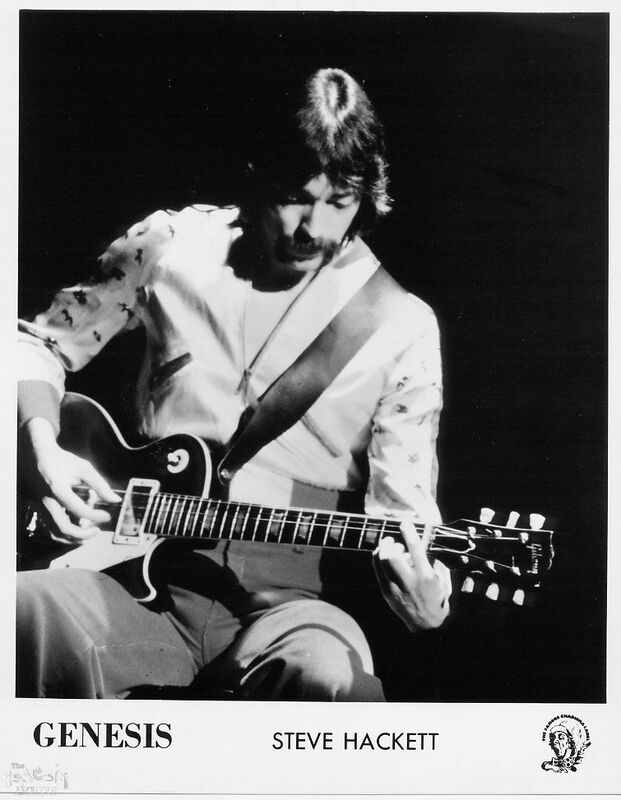 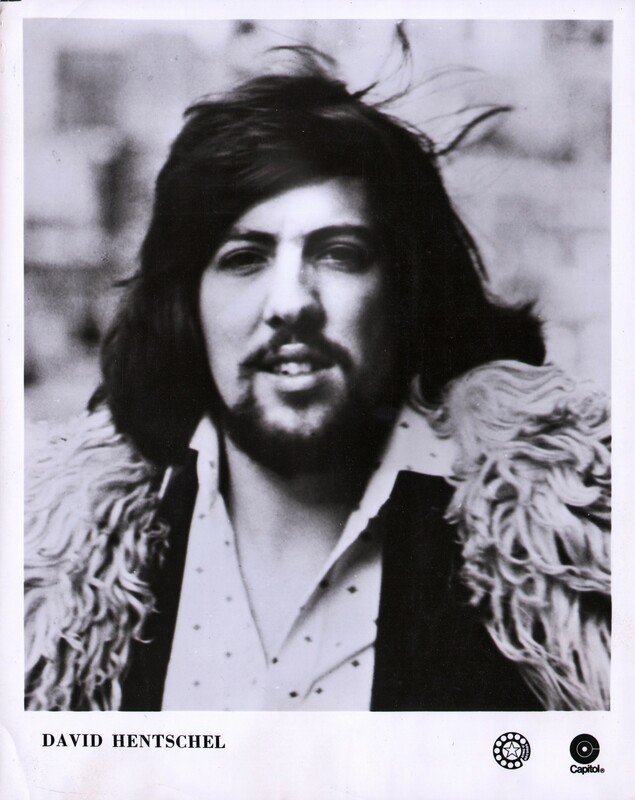 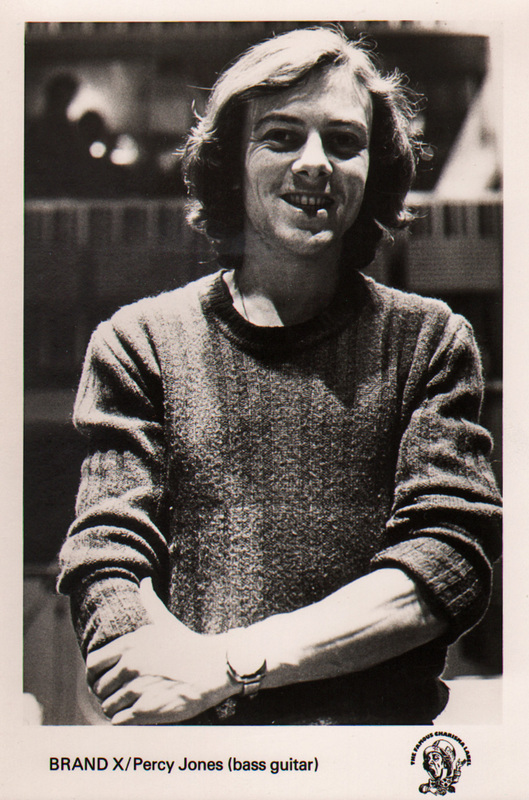 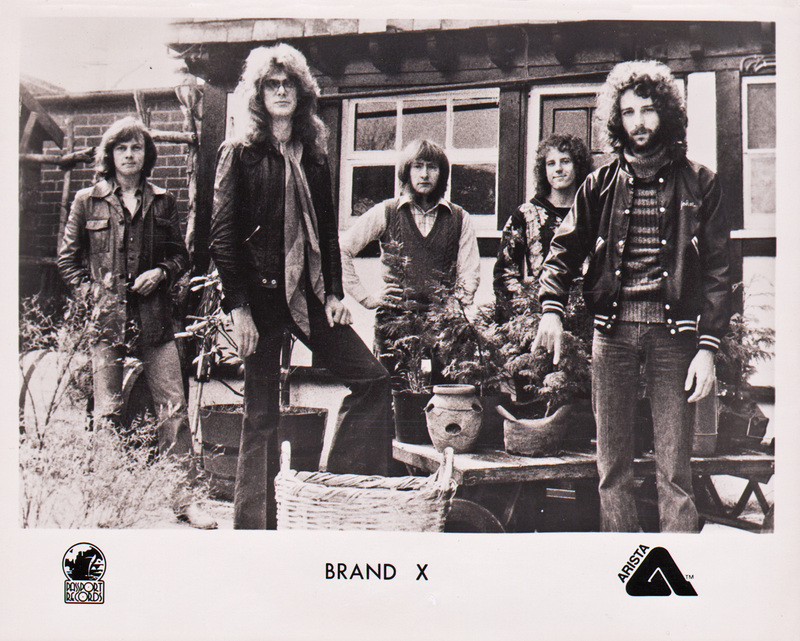 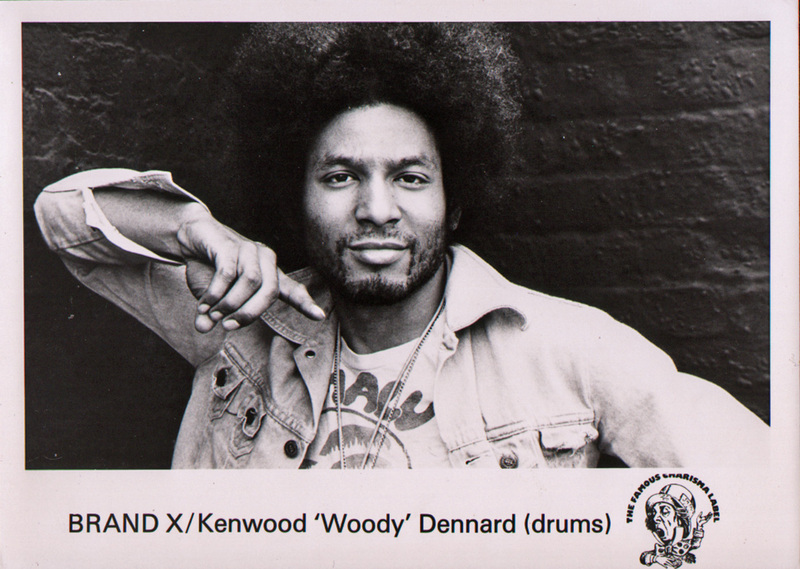 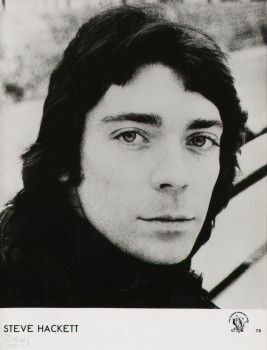 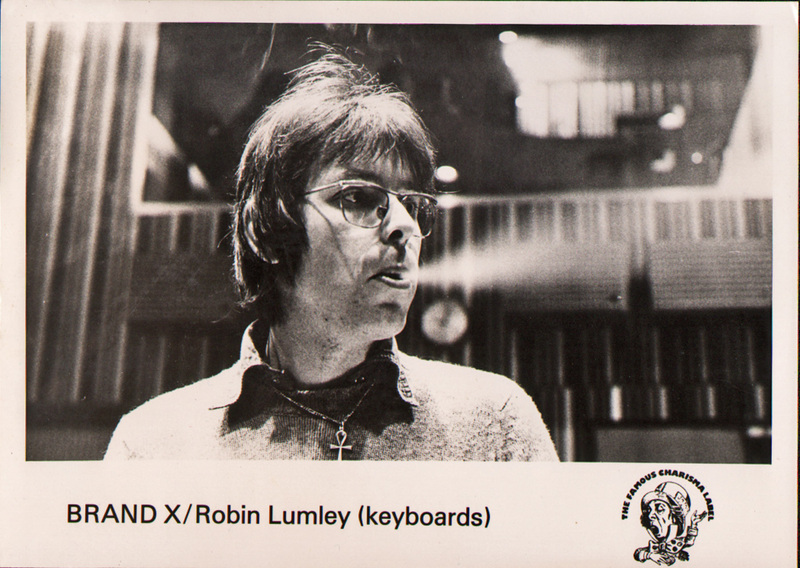 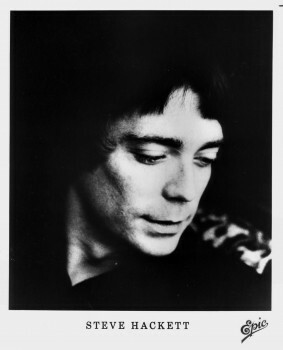 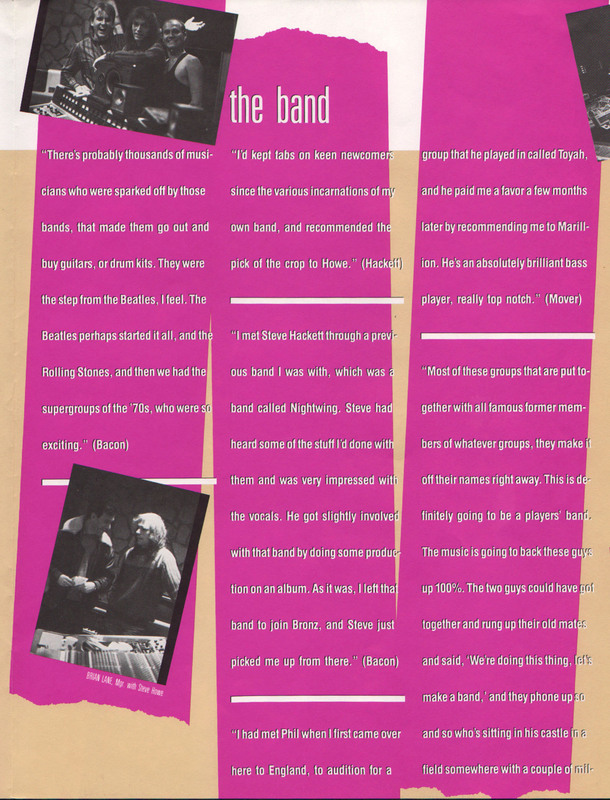 Here you will find single photos of each of the band members of Brand X 1977, the only missing photo from the collection is that of Guitarist John Goodsall. 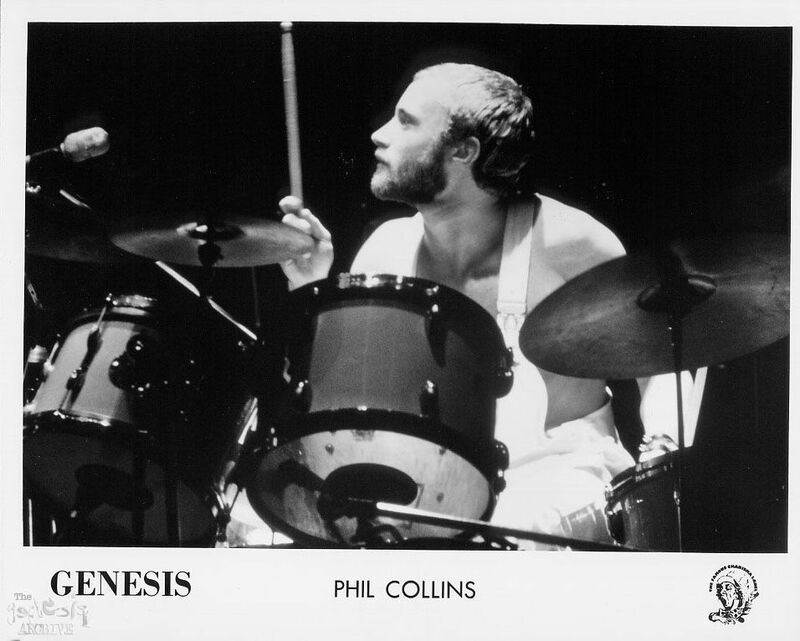 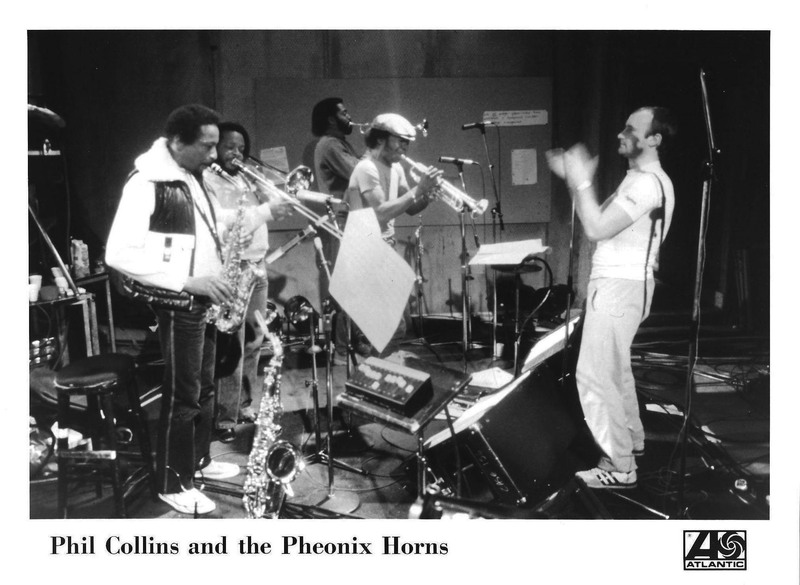 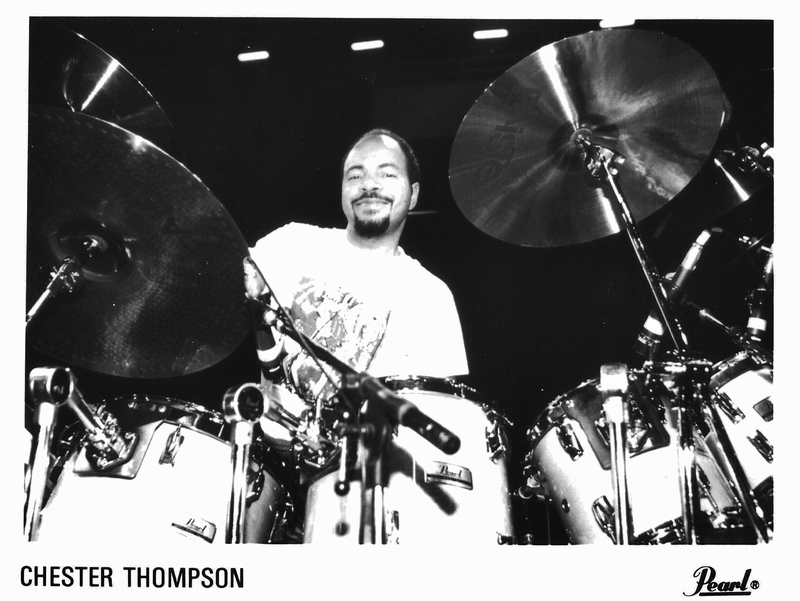 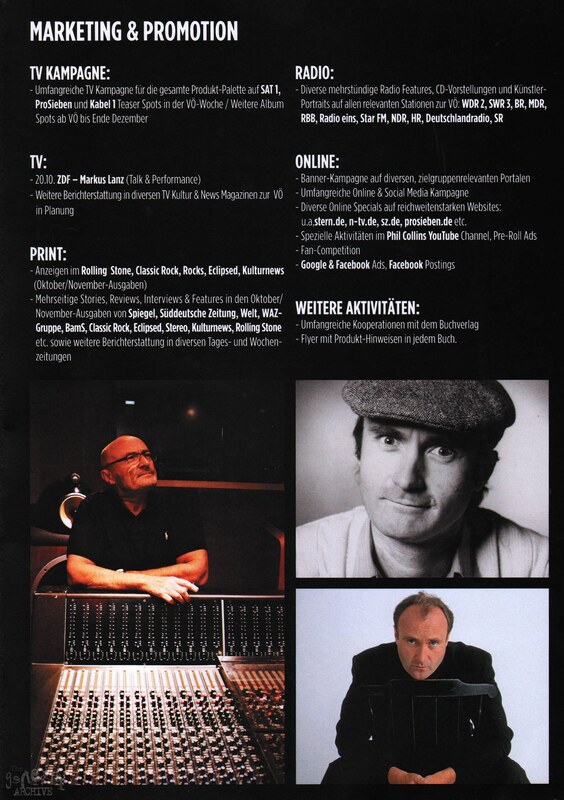 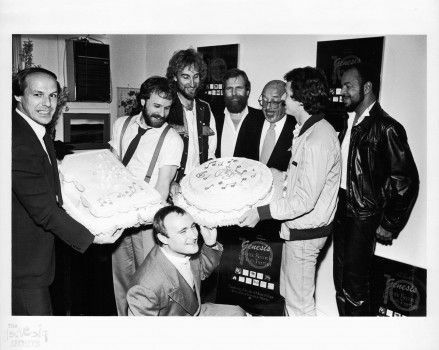 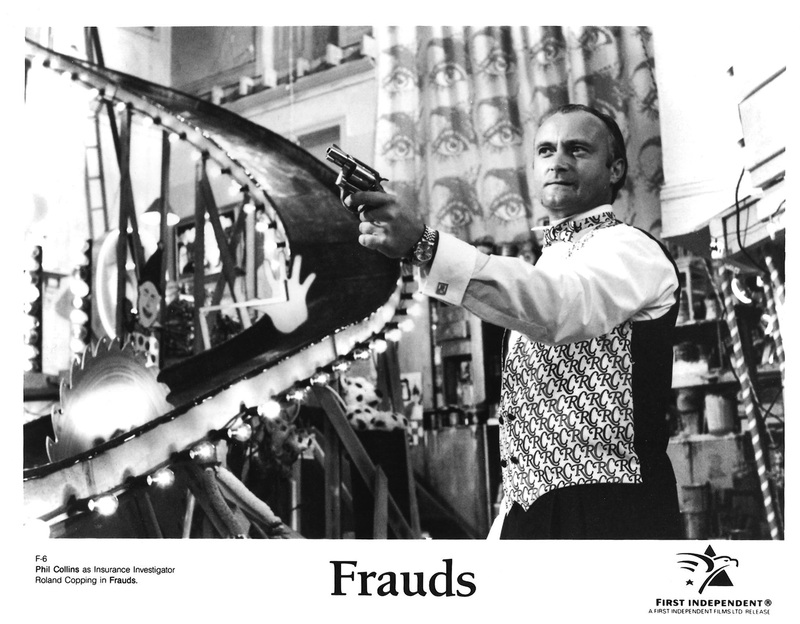 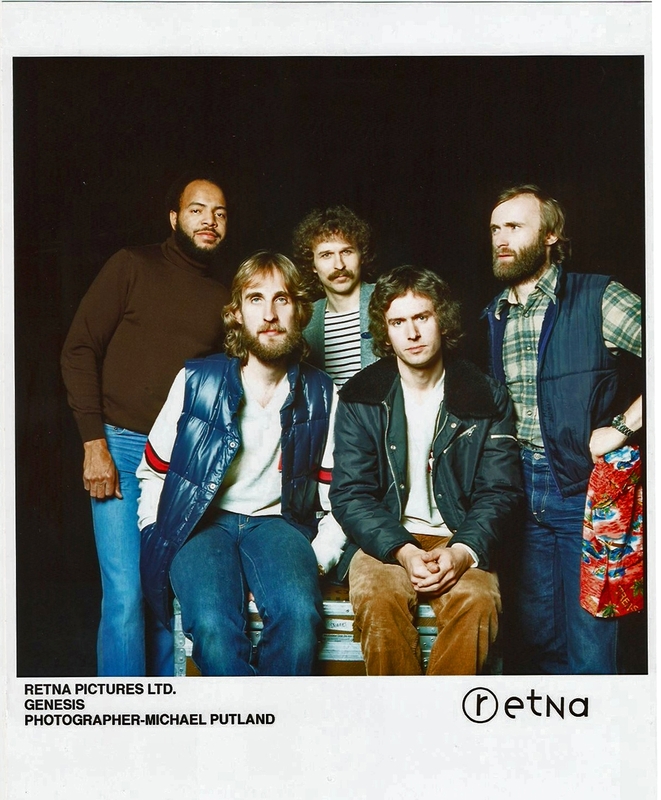 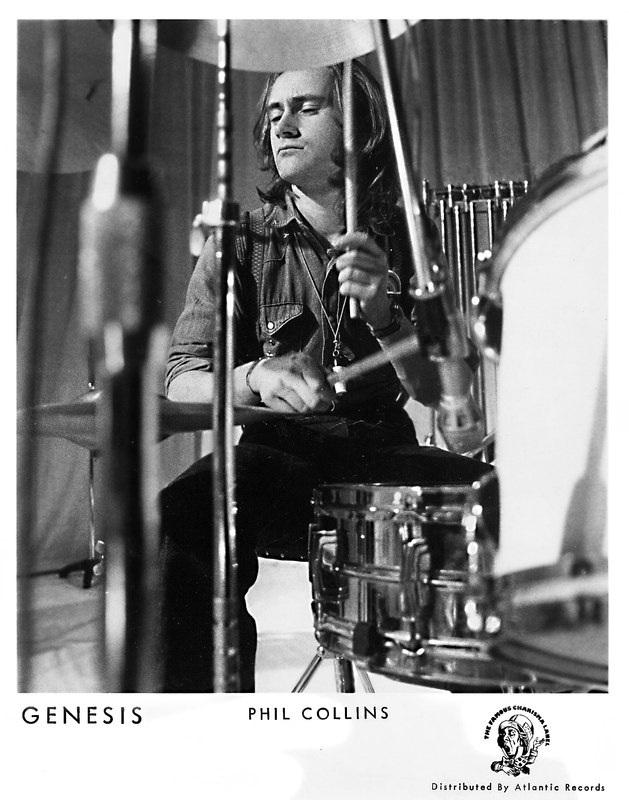 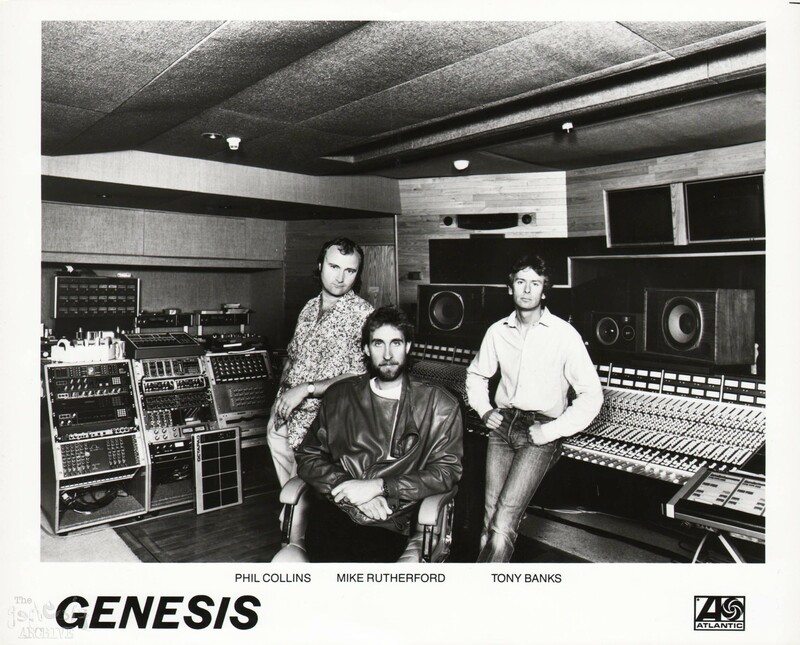 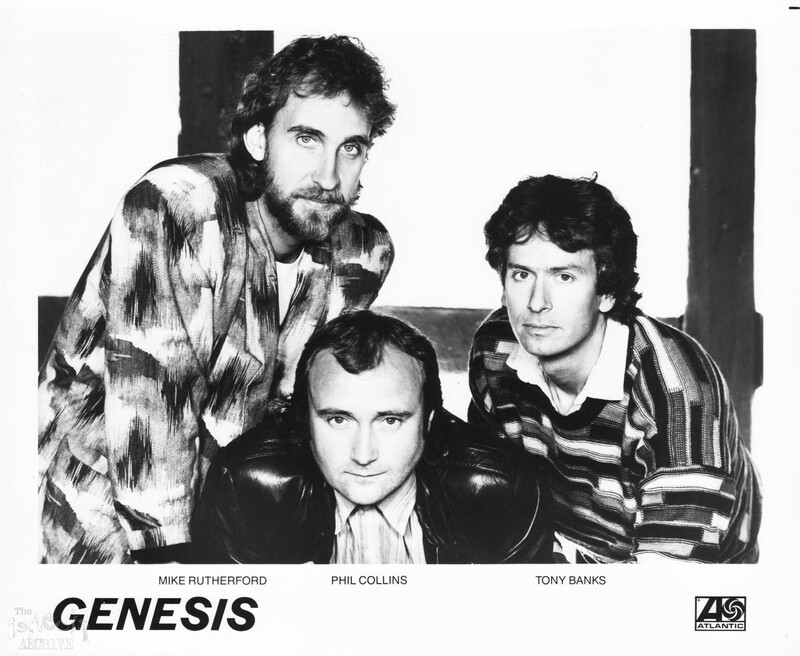 Whilst Phil Collins isn’t in the promo photo he is mentioned within the press release and he drums on some tracks whilst Kenwood Denard drums on others. 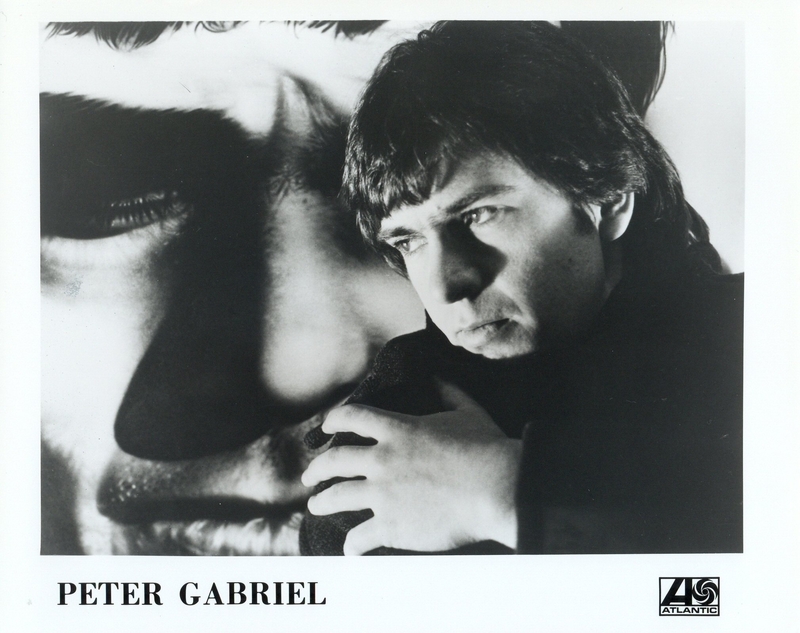 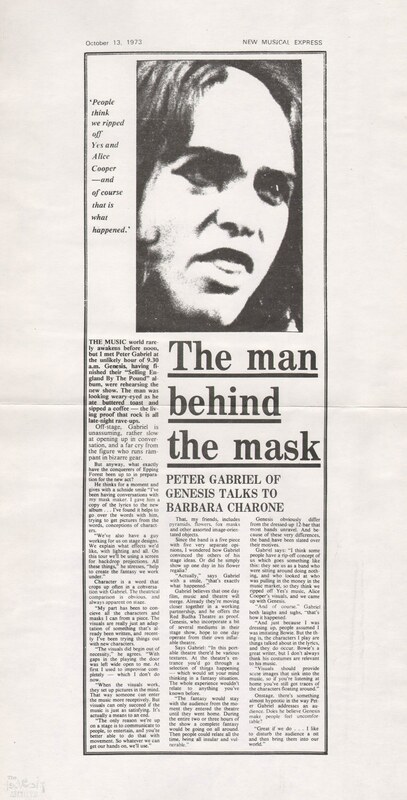 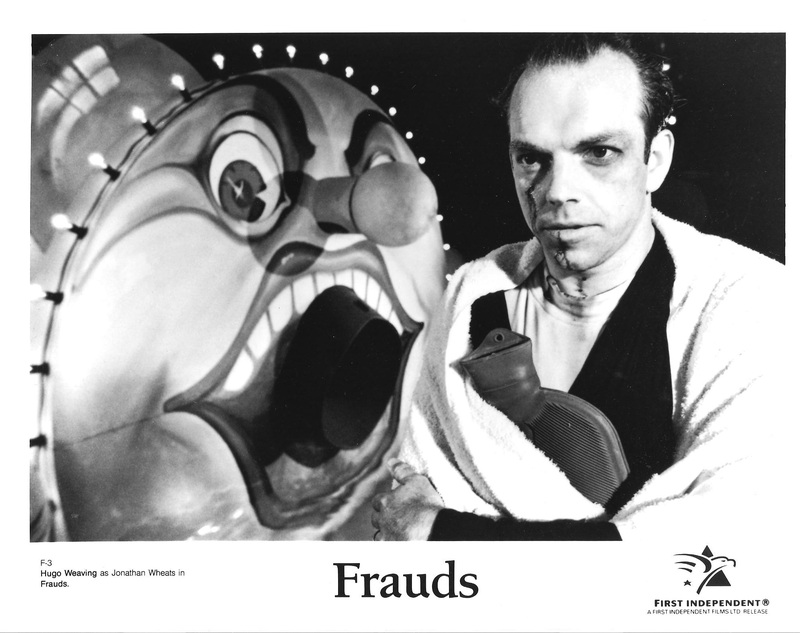 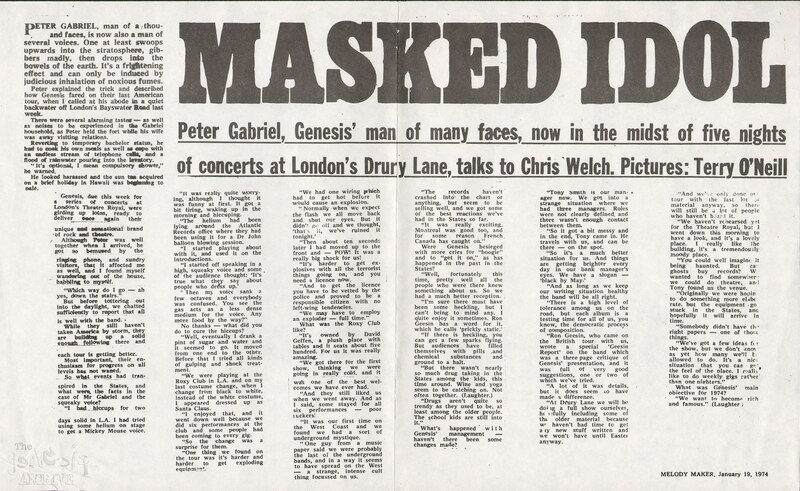 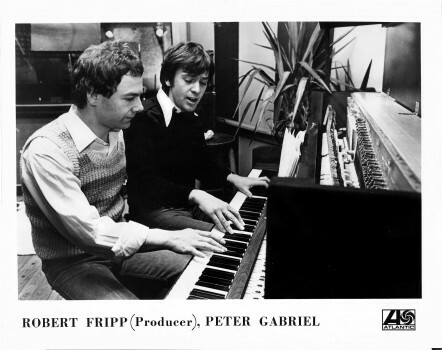 Two Peter Gabriel press photos from 1978… one of which includes Producer Robert Fripp of King Crimson. 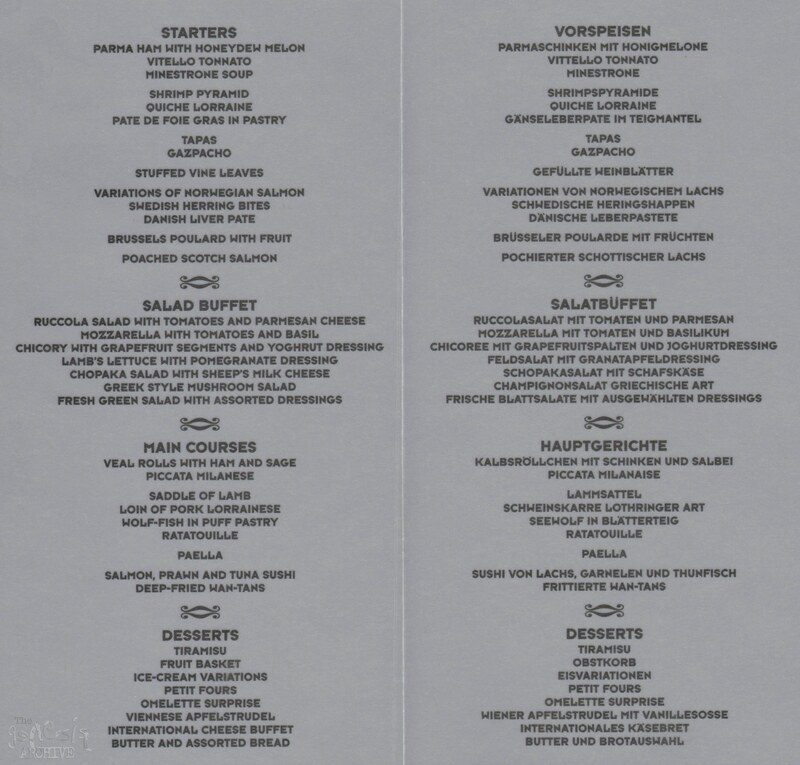 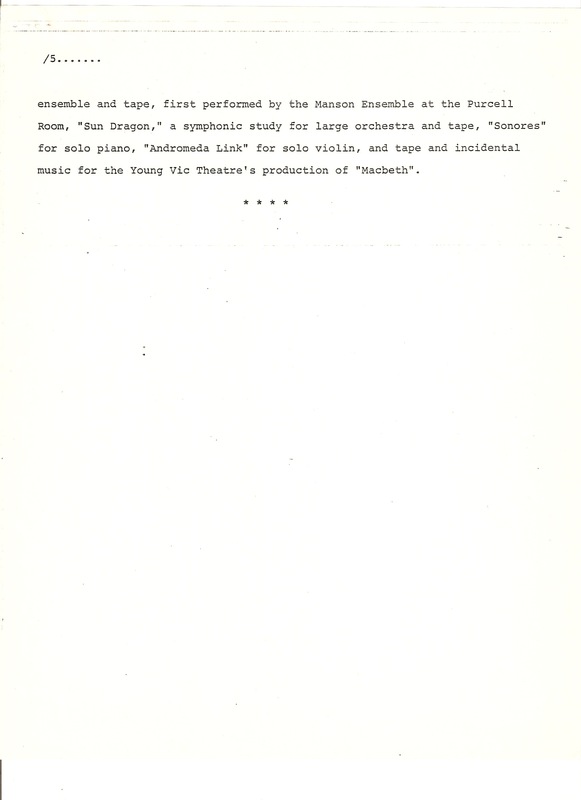 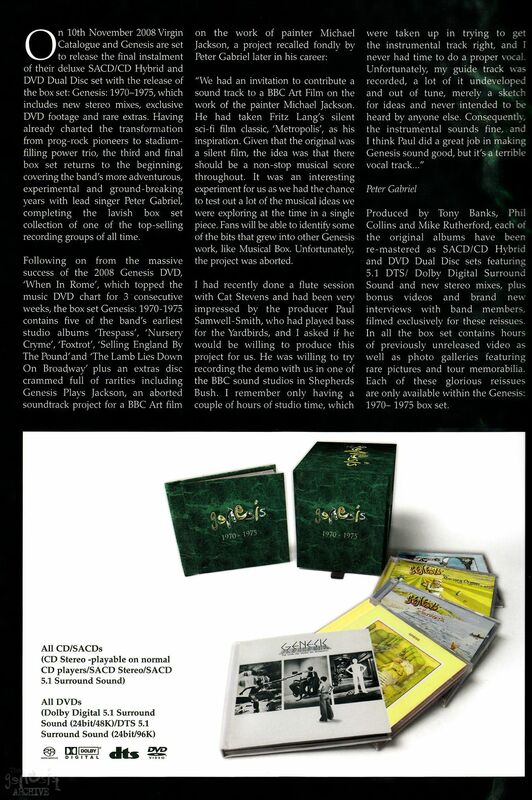 The press kit for the 1978 Brand X album Masques! 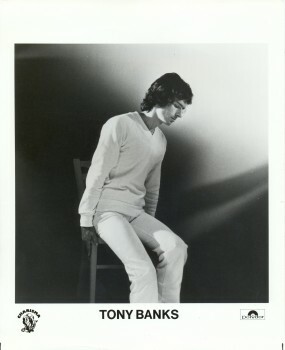 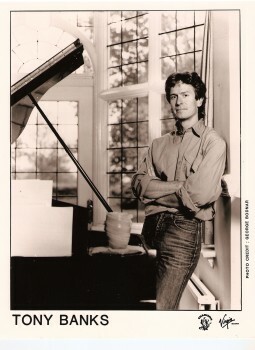 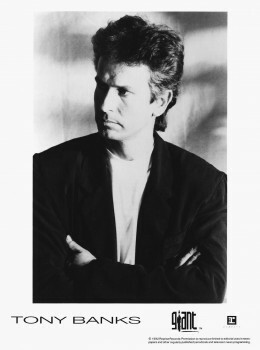 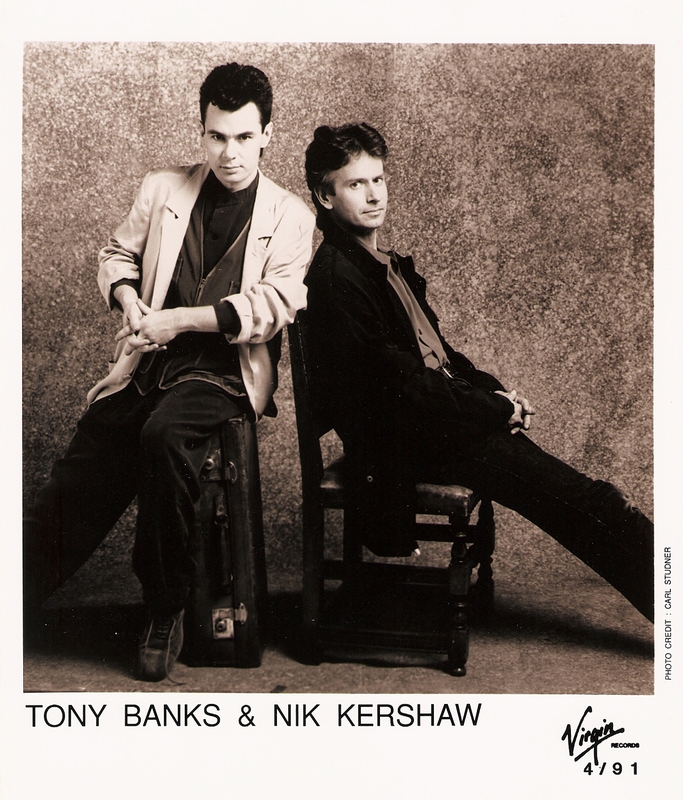 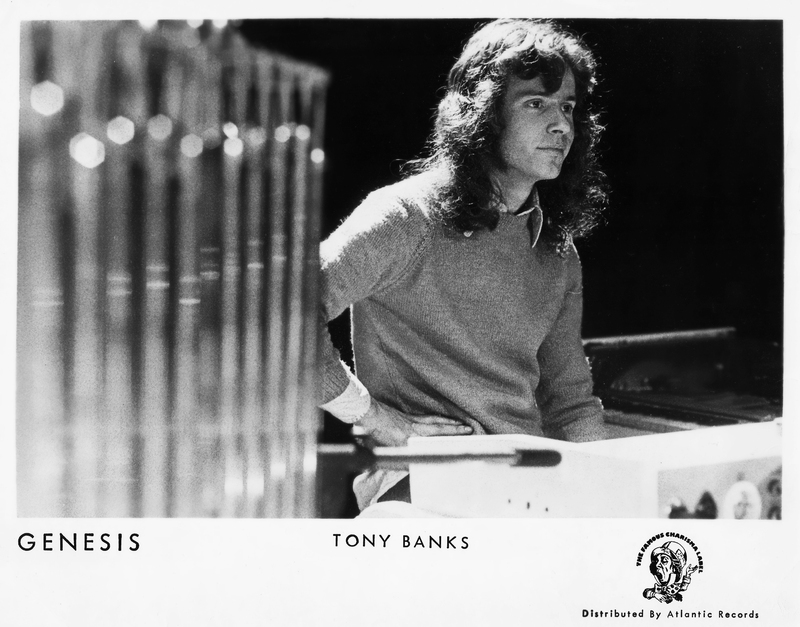 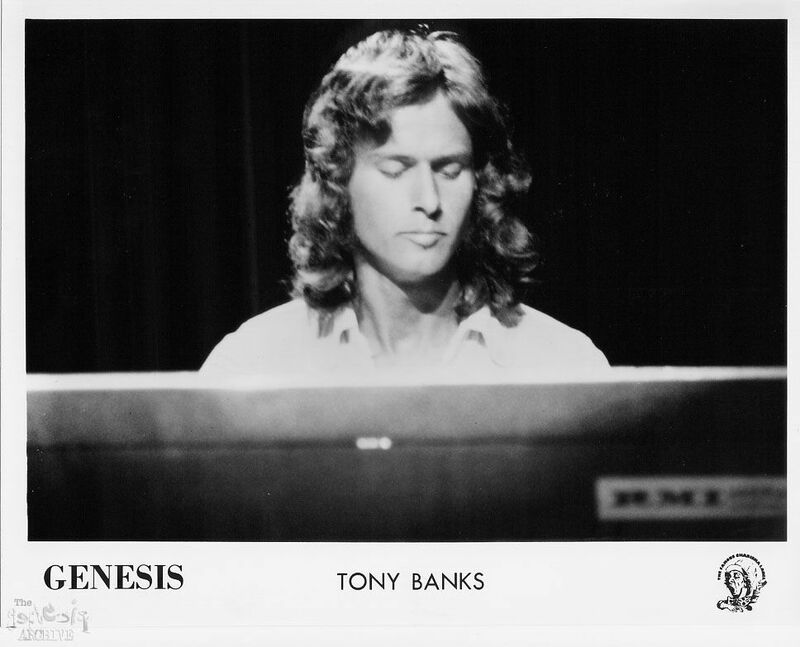 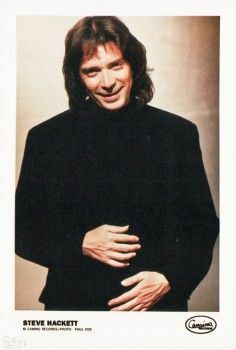 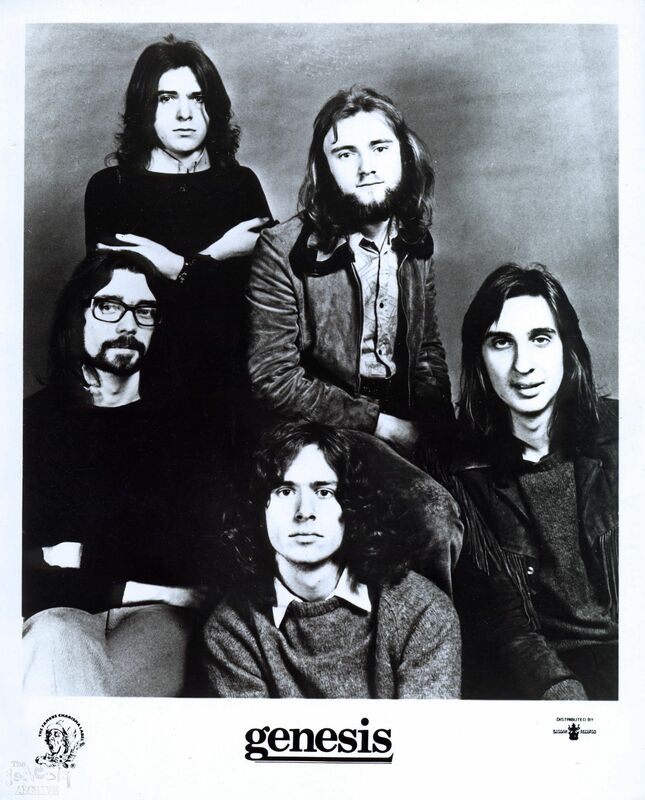 This is a press photo of Tony Banks used for promotion of the Album “A Curious Feeling”. 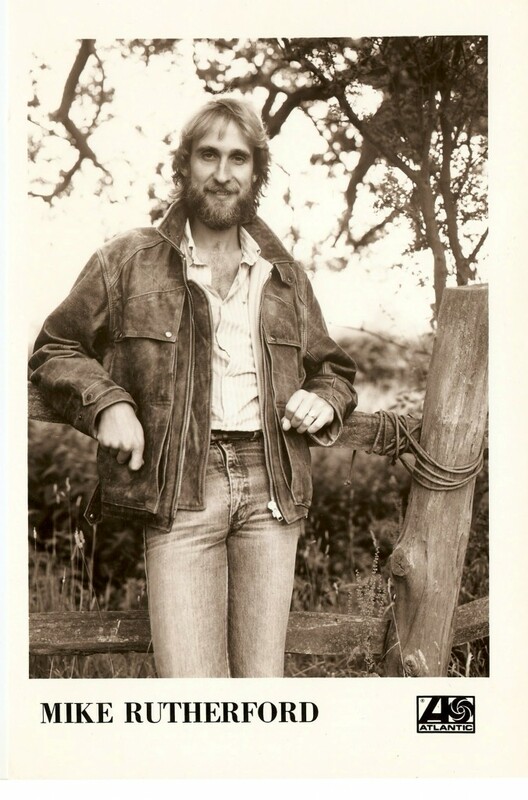 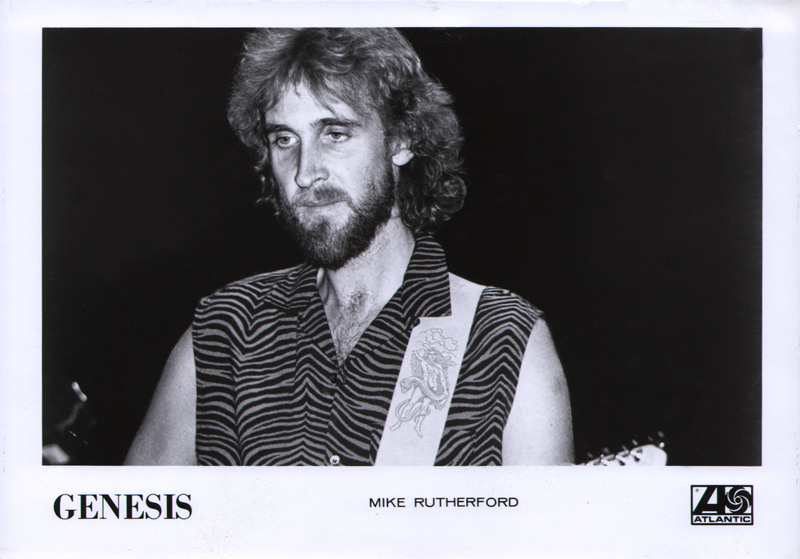 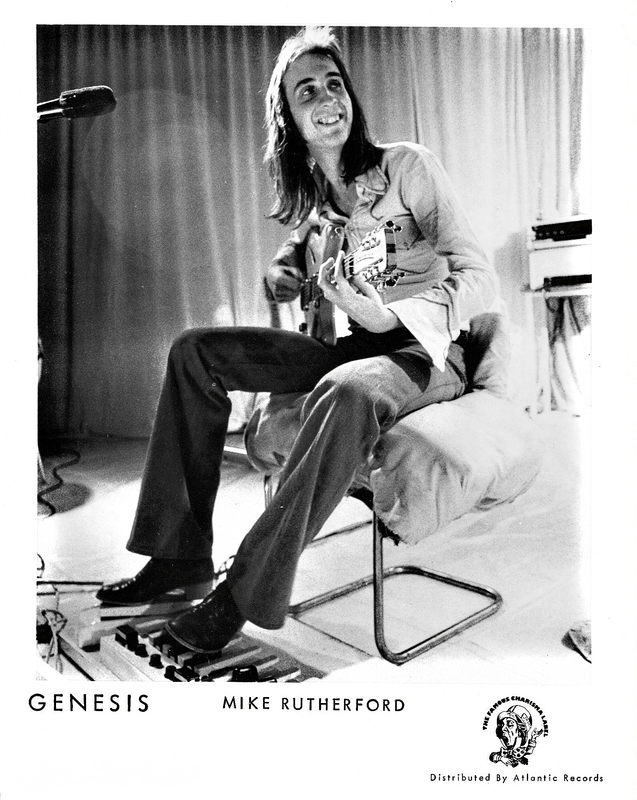 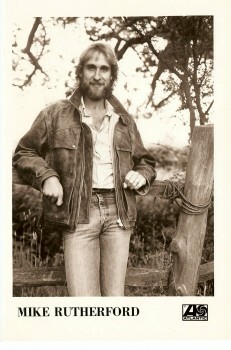 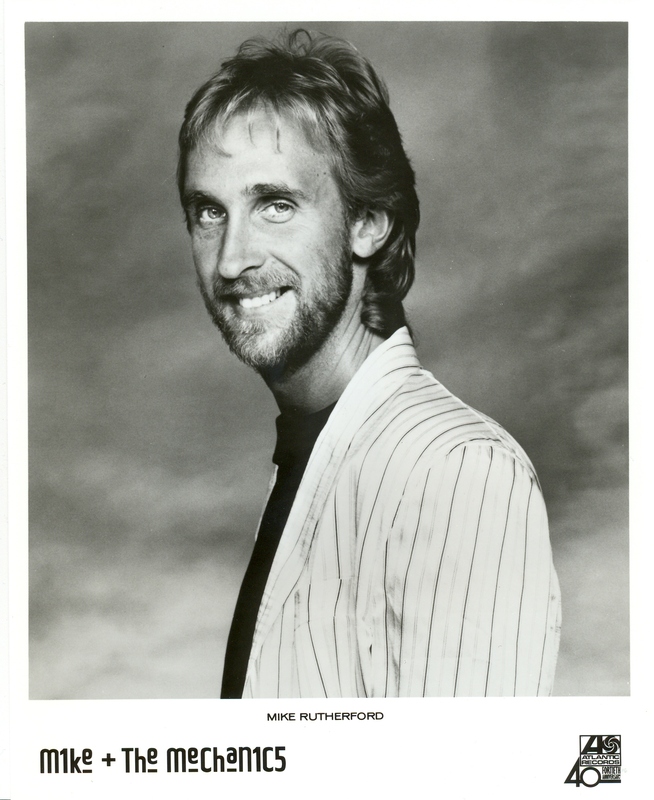 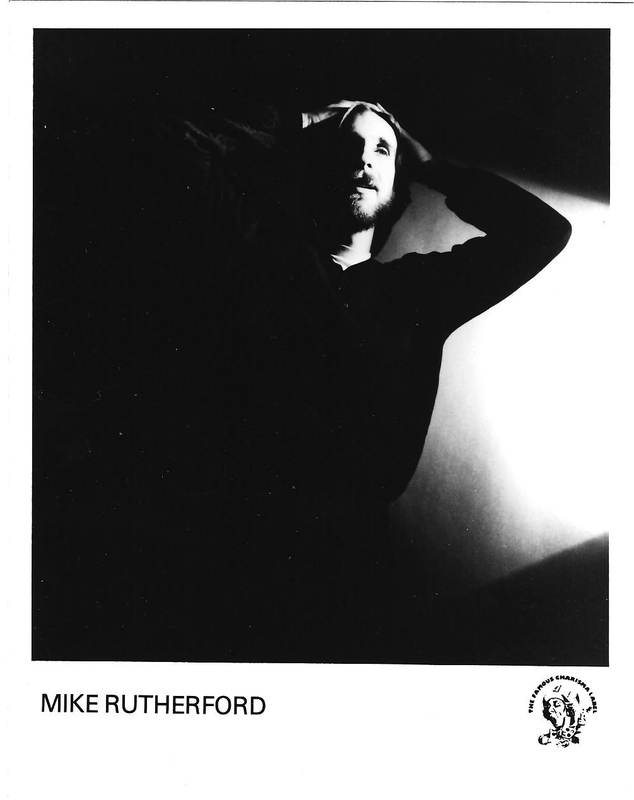 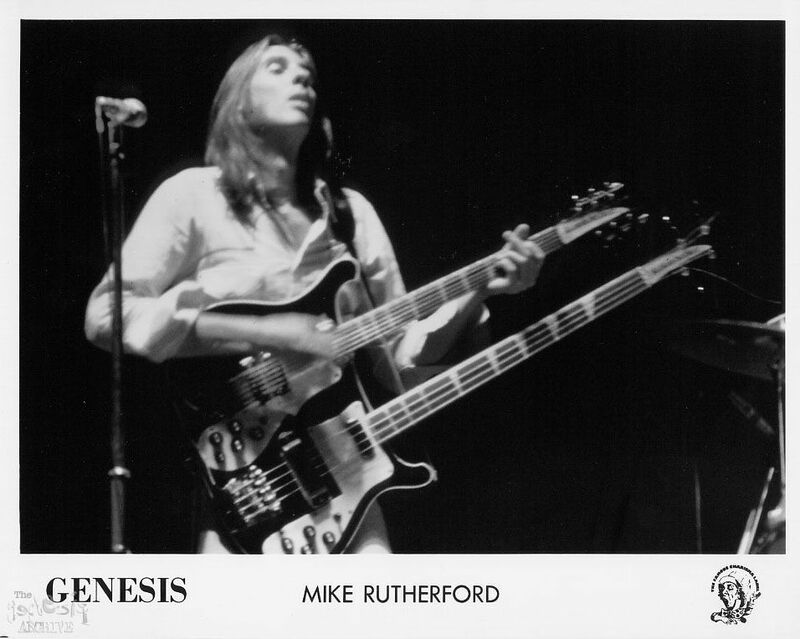 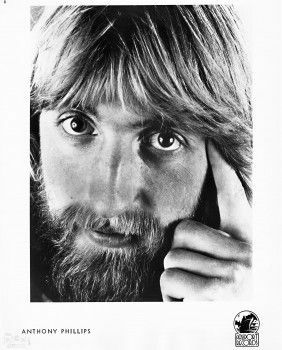 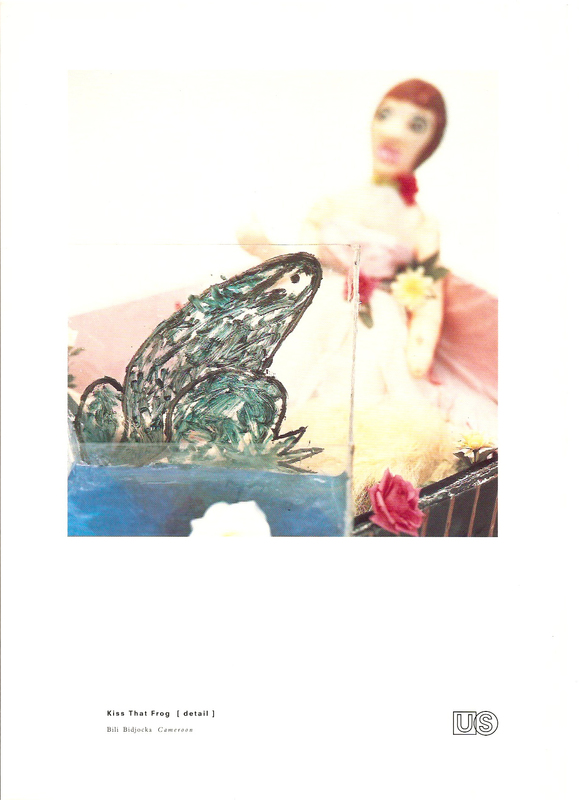 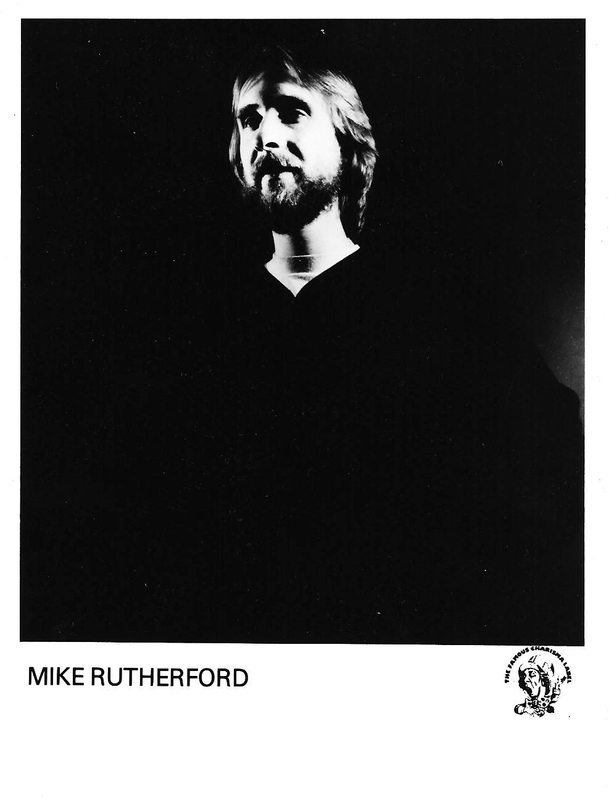 A Collection of Smallcreeps Day promotional photos featuring Mike Rutherford. 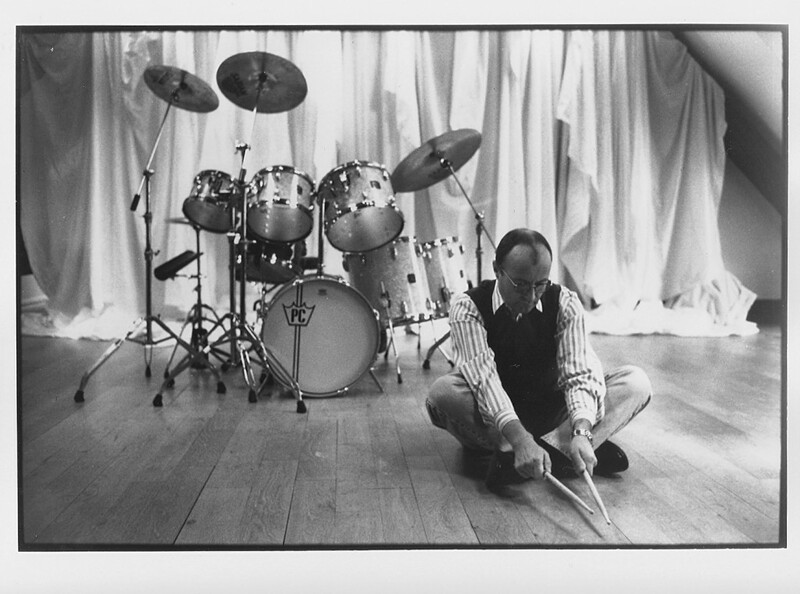 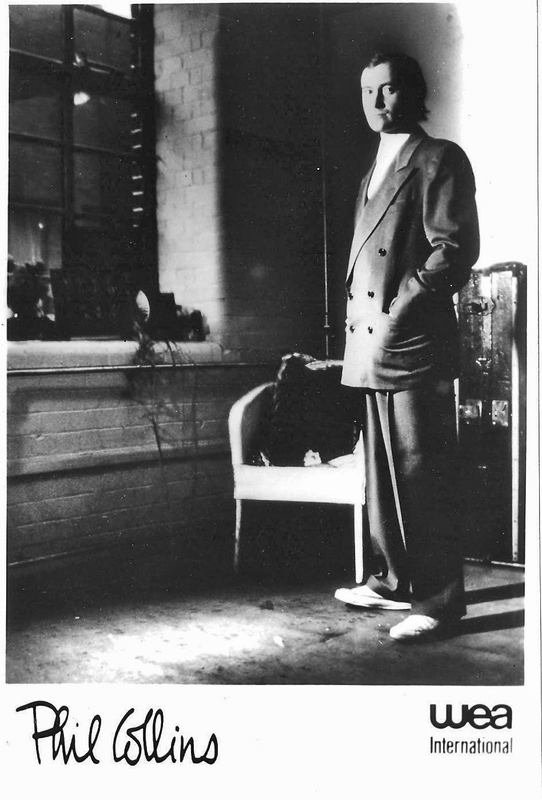 These photos were taken during the DUKE tour or rehearsals? 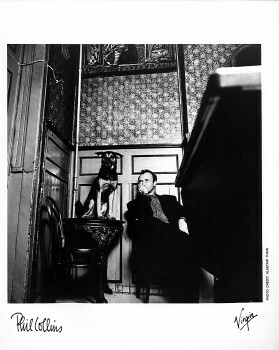 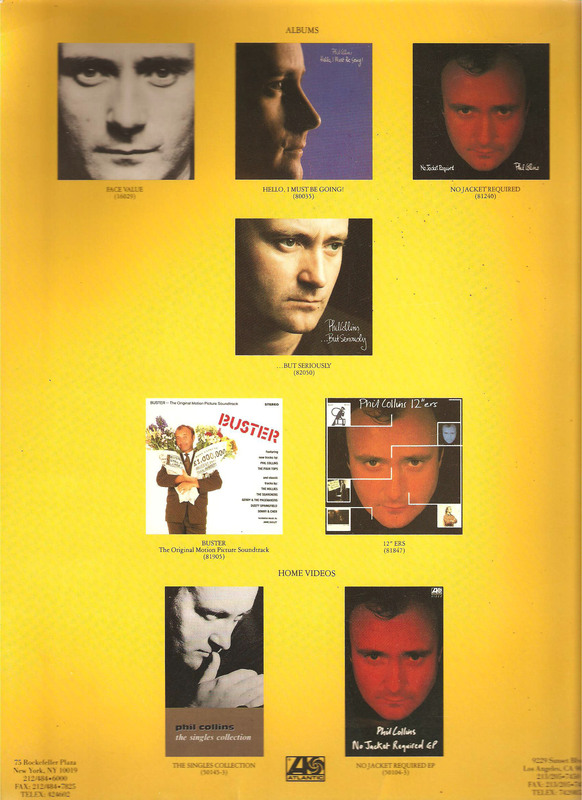 one was used in the press kit for Duke the other entered a photo archive. 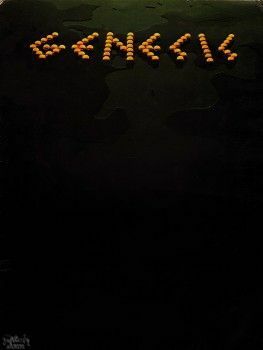 © Michael Putland. 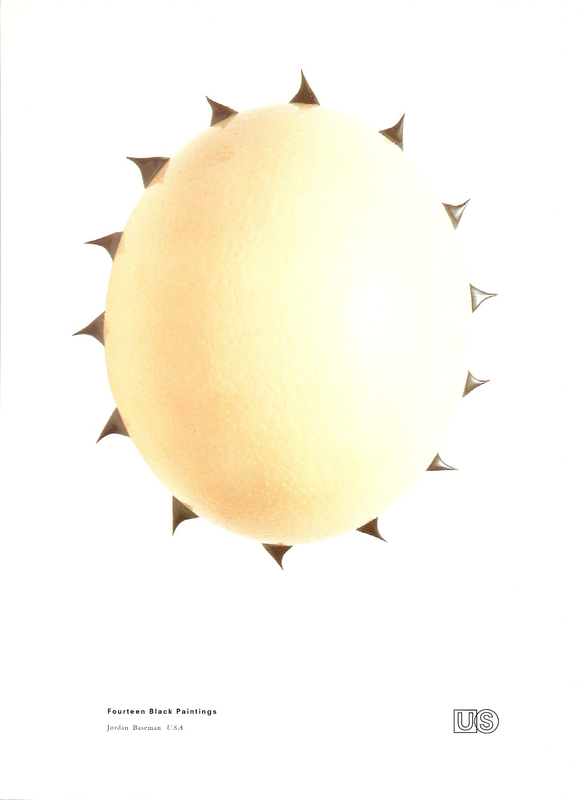 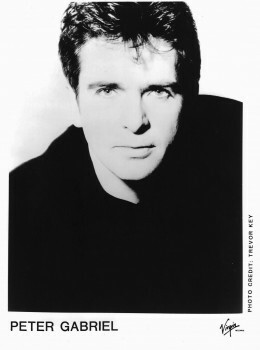 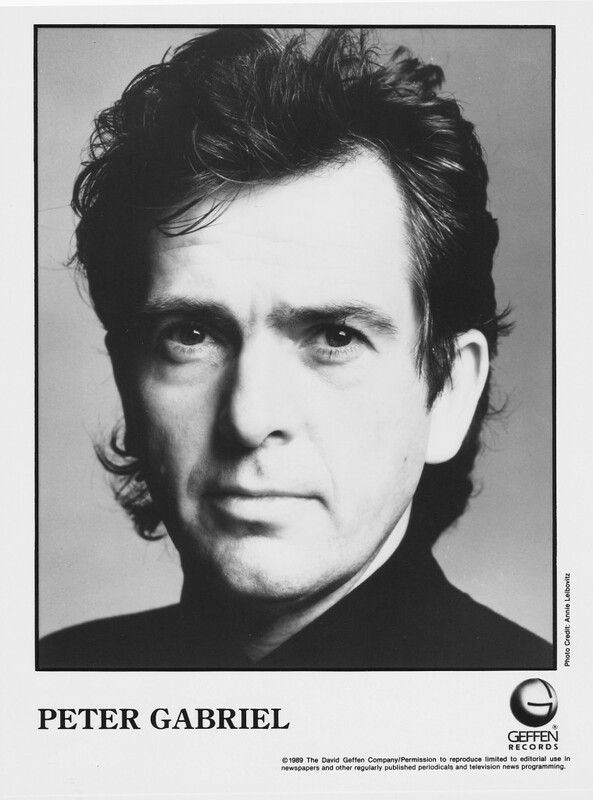 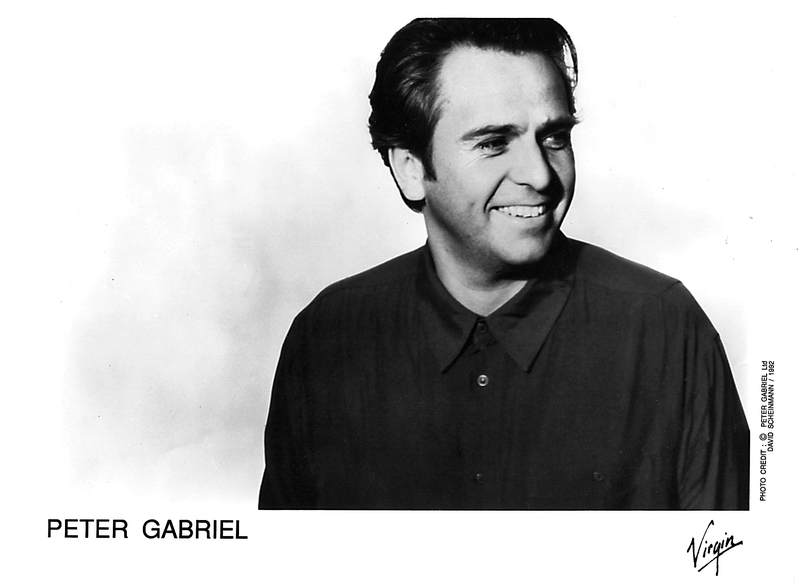 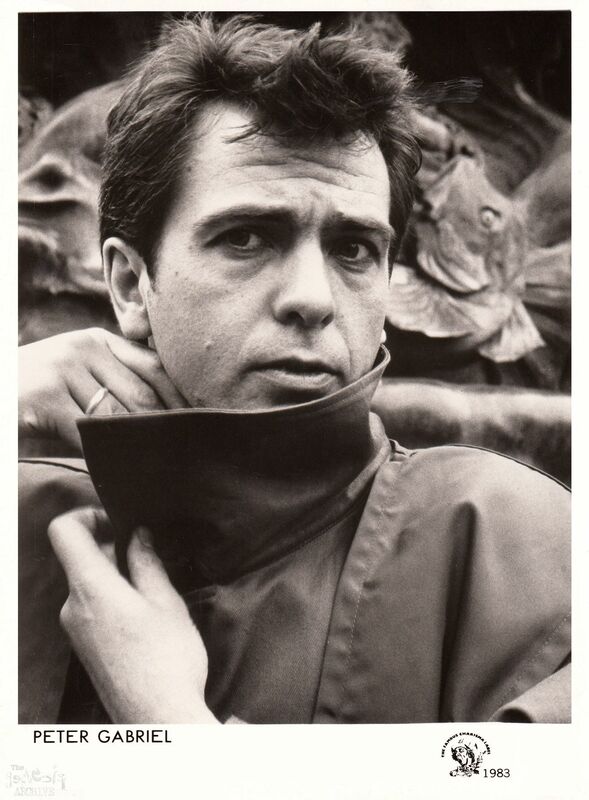 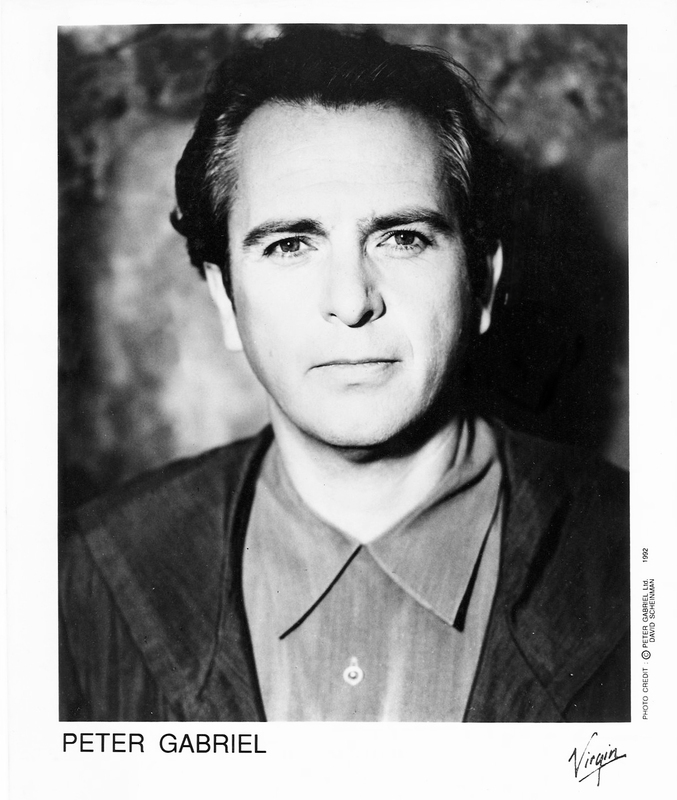 A Peter Gabriel press photo from 1980! 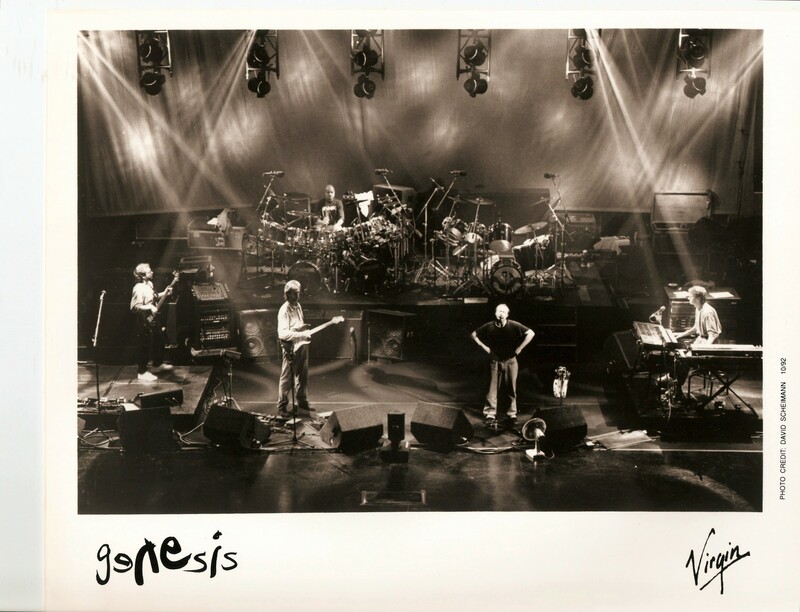 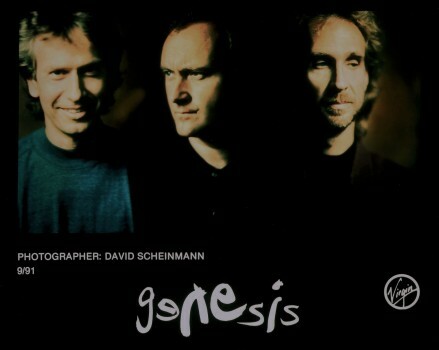 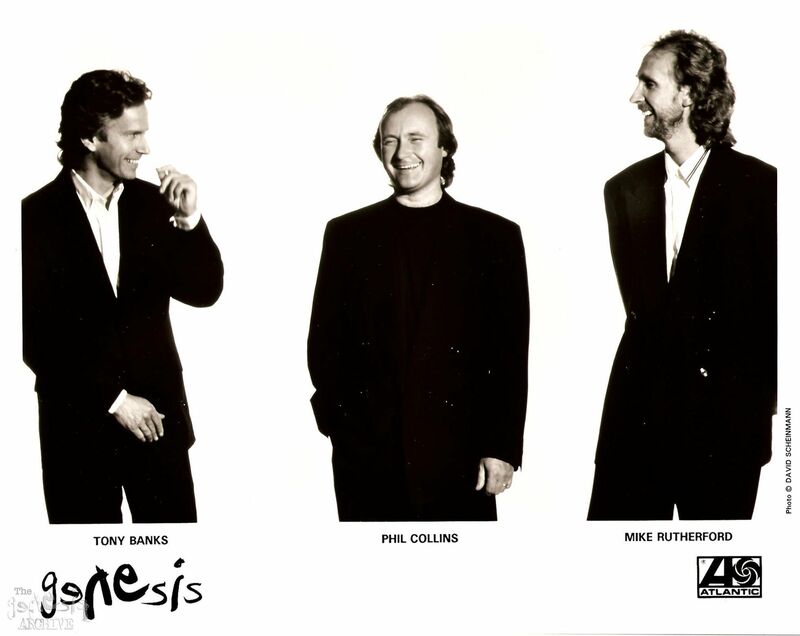 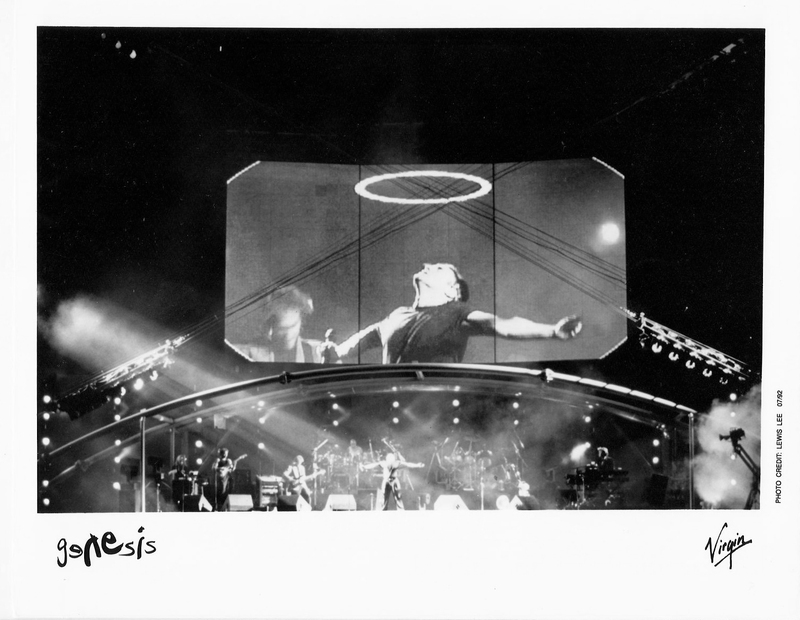 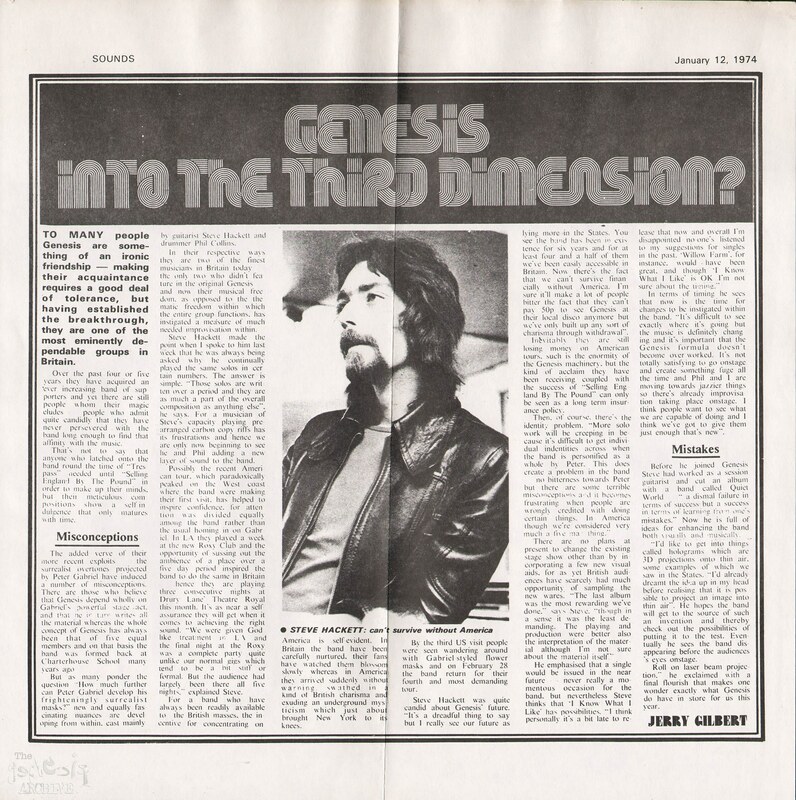 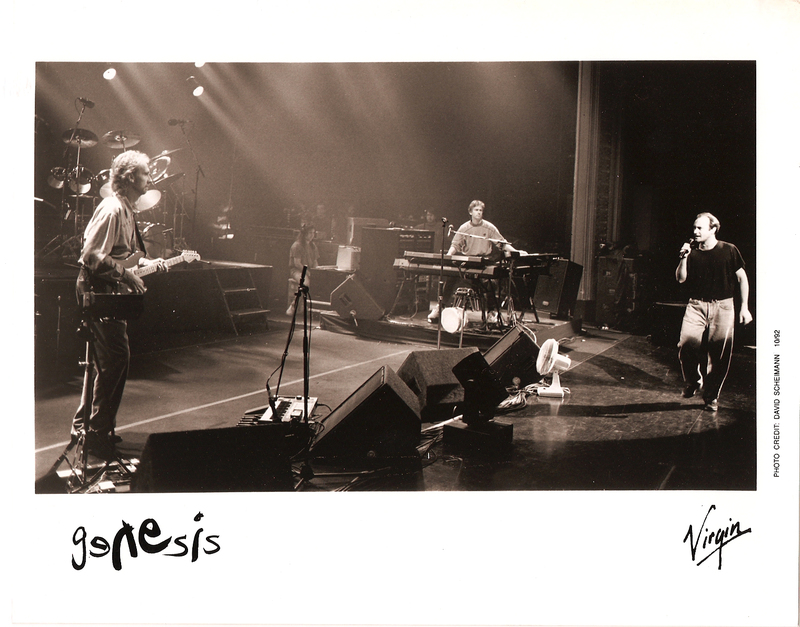 Here are two promo photos for the Genesis live album “Three Sides Live”. 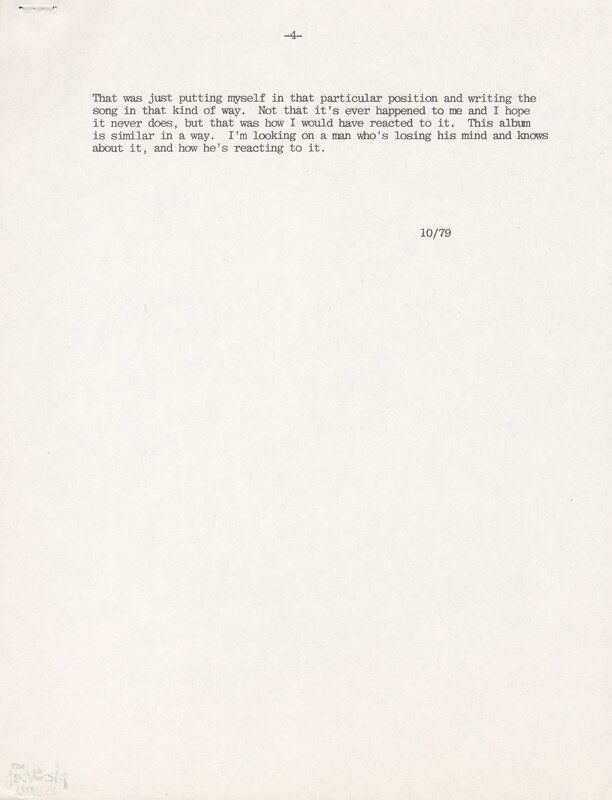 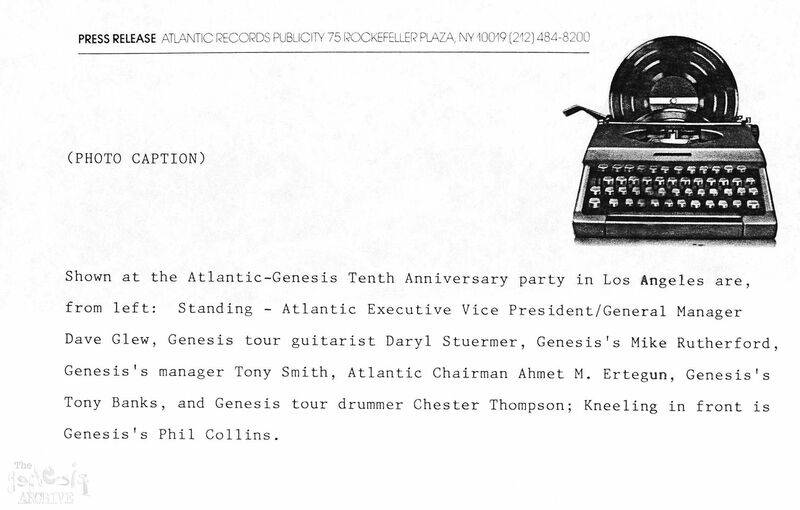 An Atlantic Records press kit (therefore American) for the album Acting Very Strange. 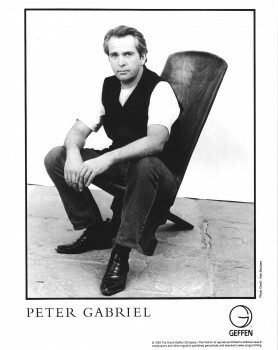 a Peter Gabriel press photo from September 1982.
a Chester Thompson touring drummer with Genesis/Phil Collins and who has appeared on albums by Tony Banks etc taken around 1982. 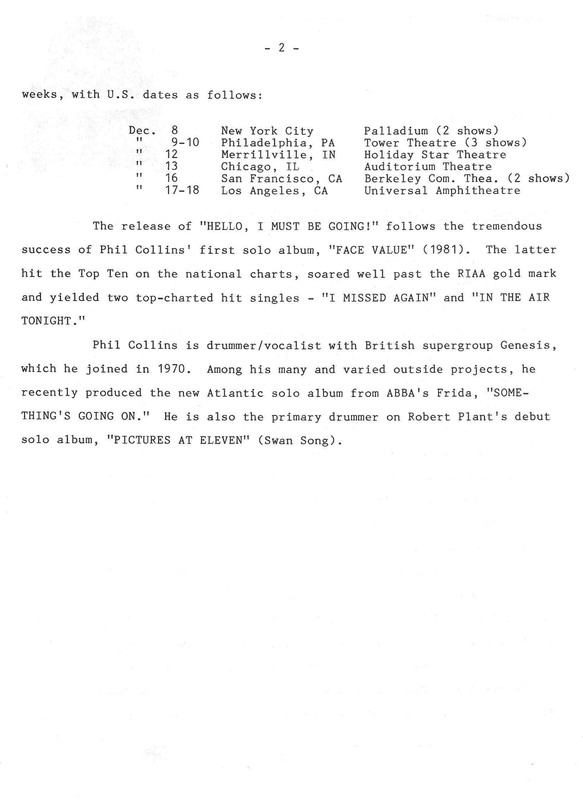 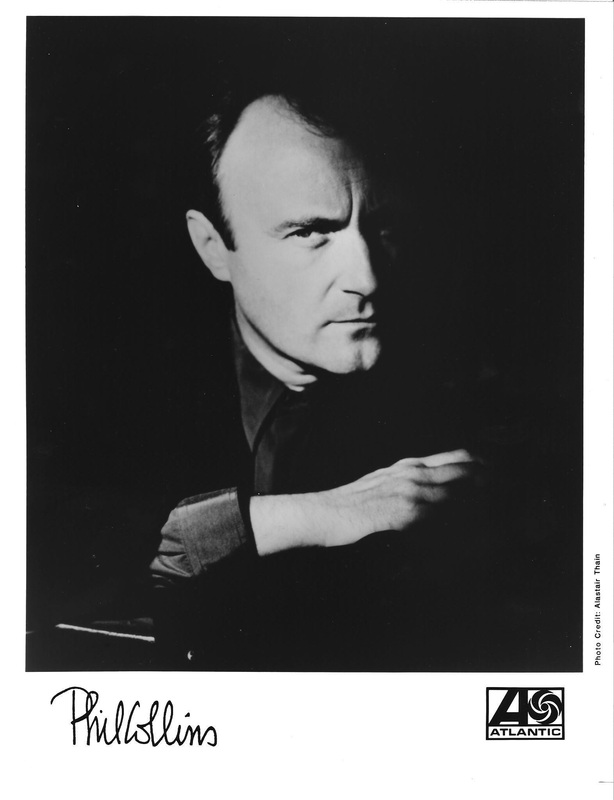 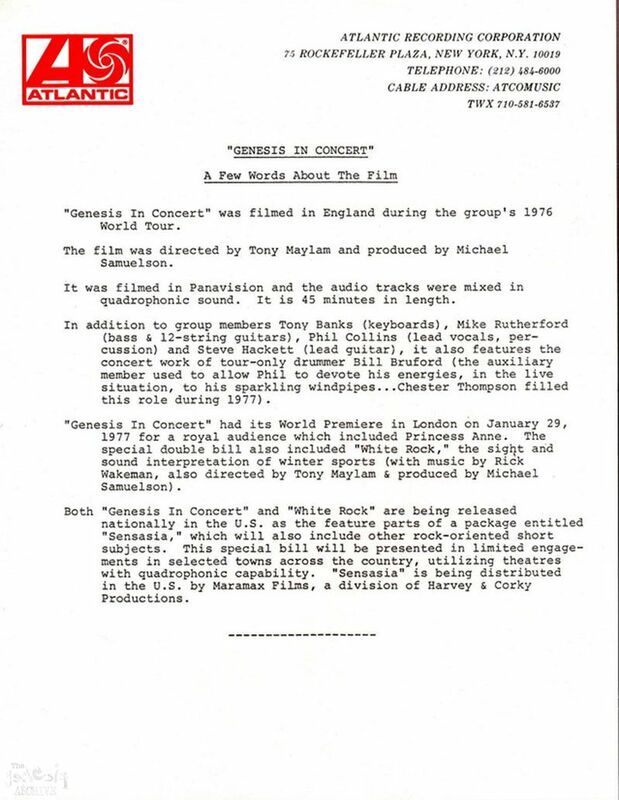 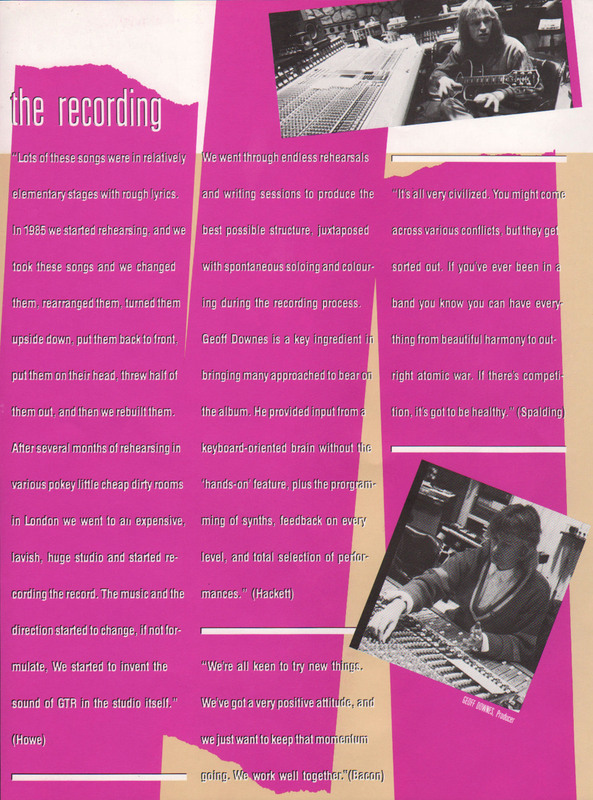 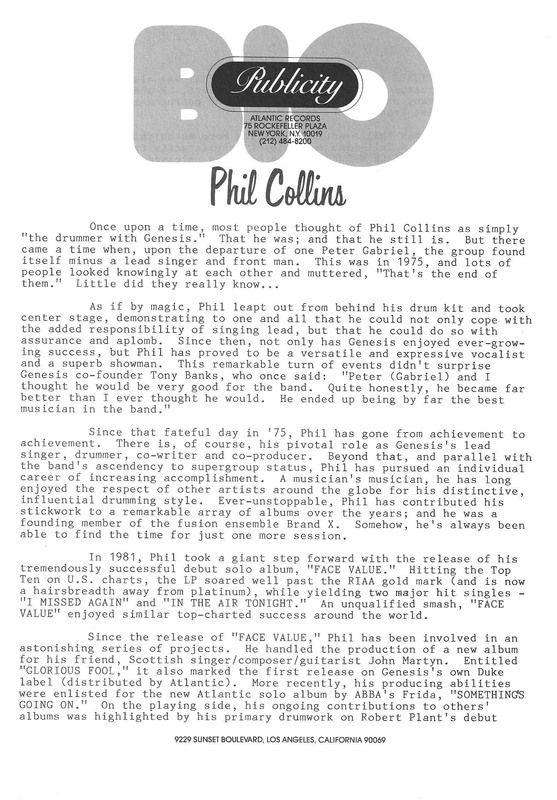 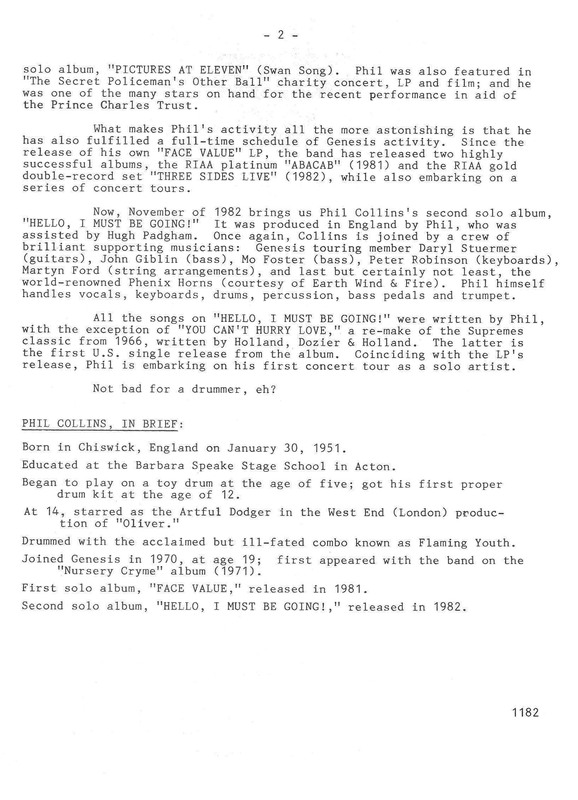 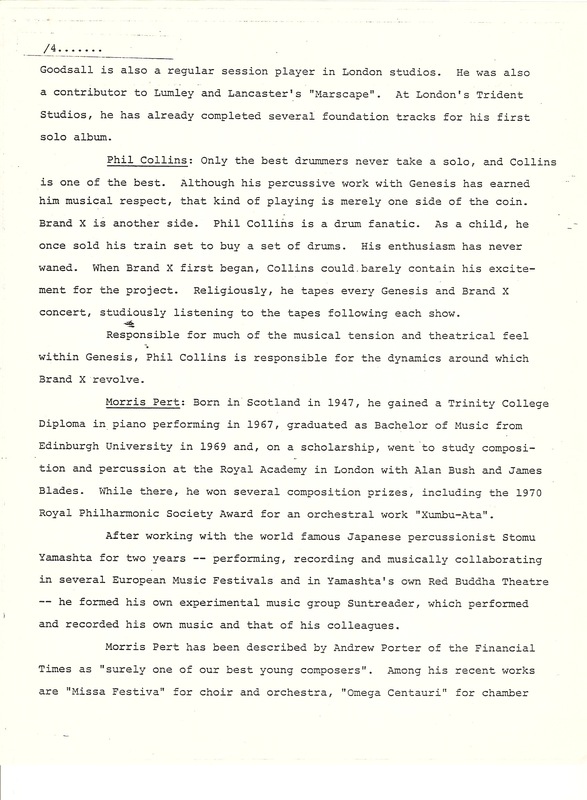 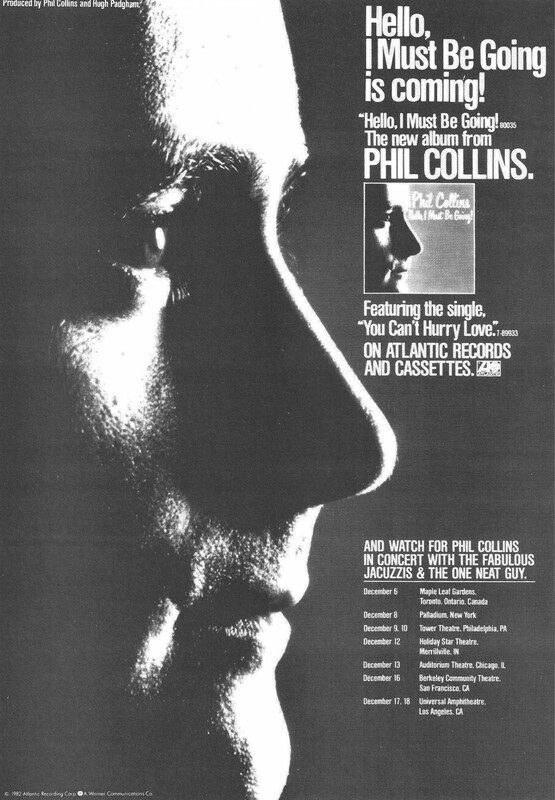 Atlantic Records (therefore American) press kit for the 1982 Phil Collins album. 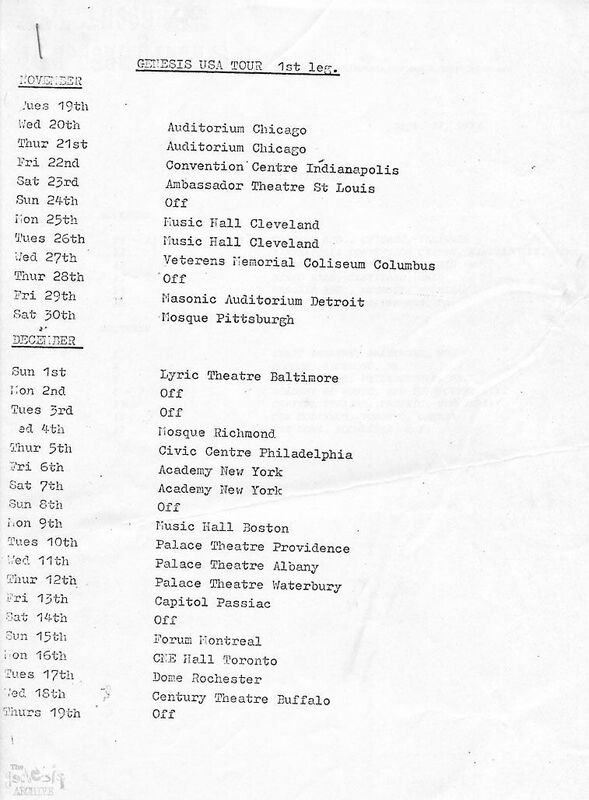 Hello I Must Be Going. 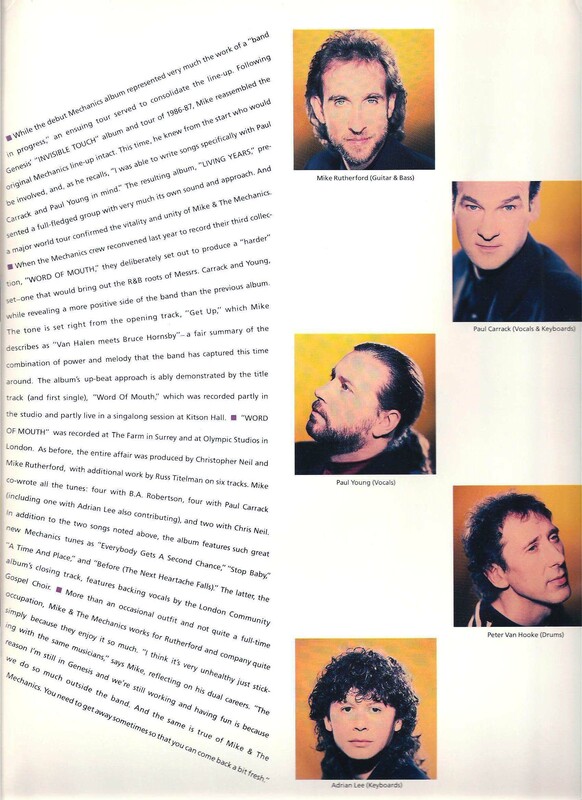 These were taken around the time of Hello I Must Be Going, one of them is from the set of “Thru these walls” music video. 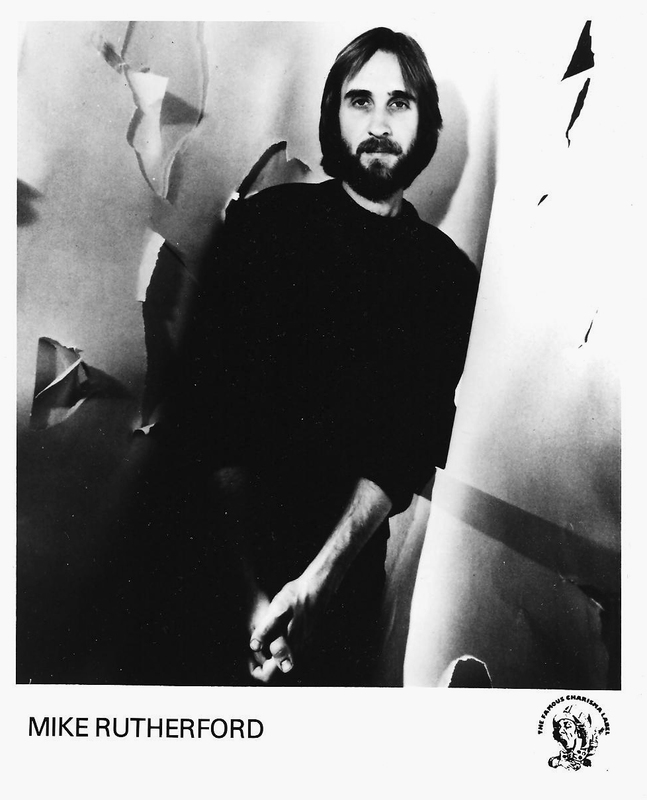 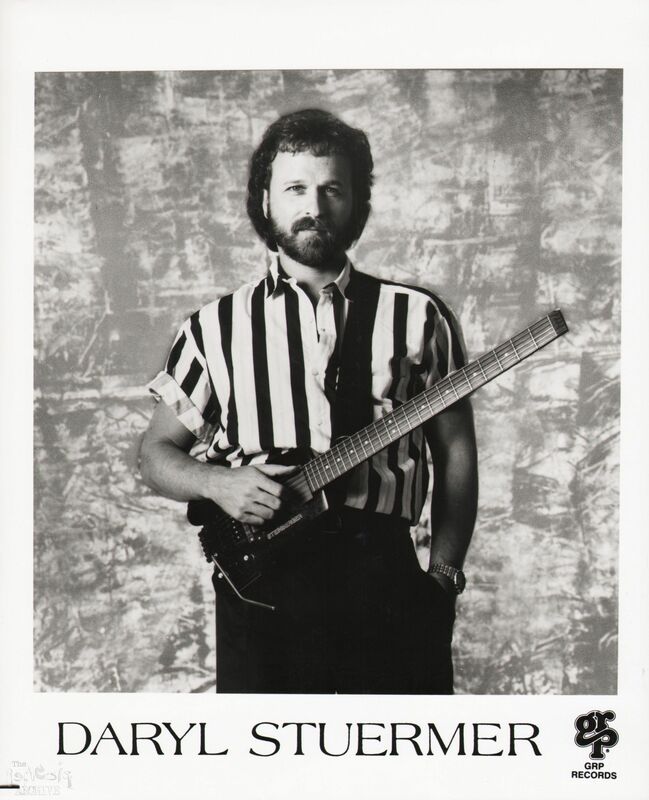 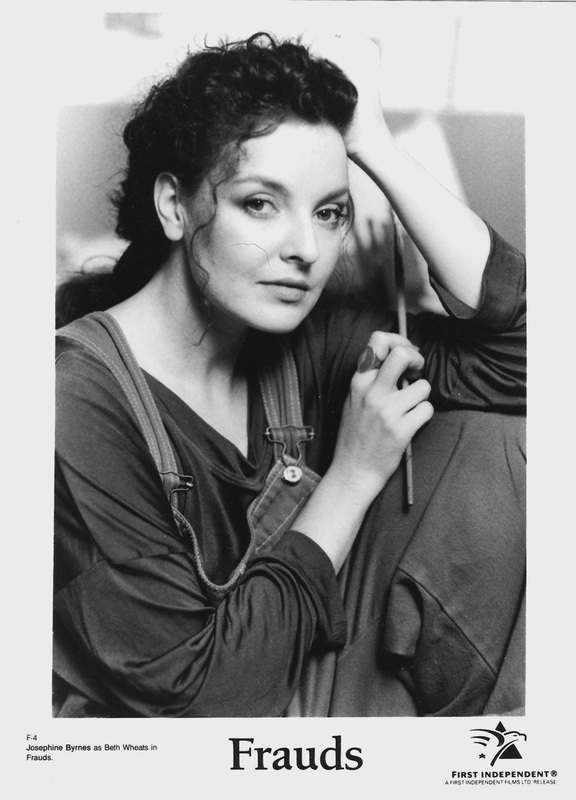 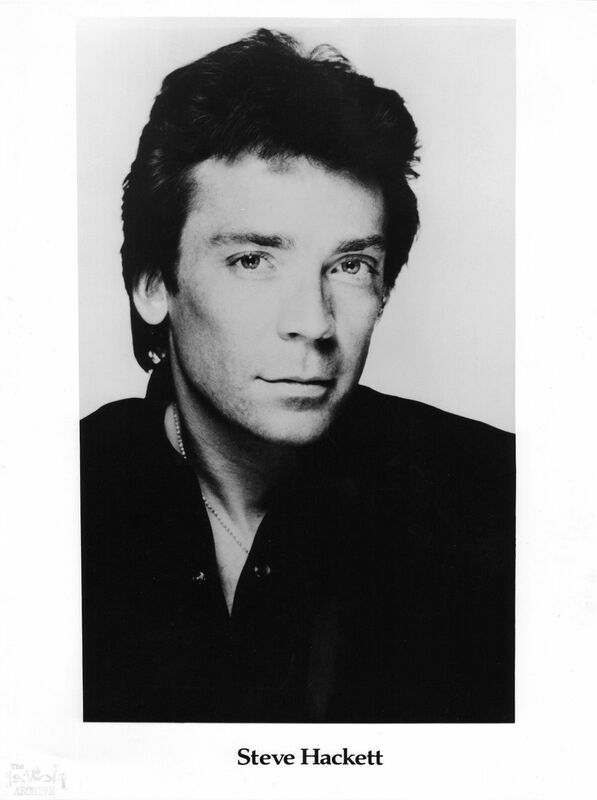 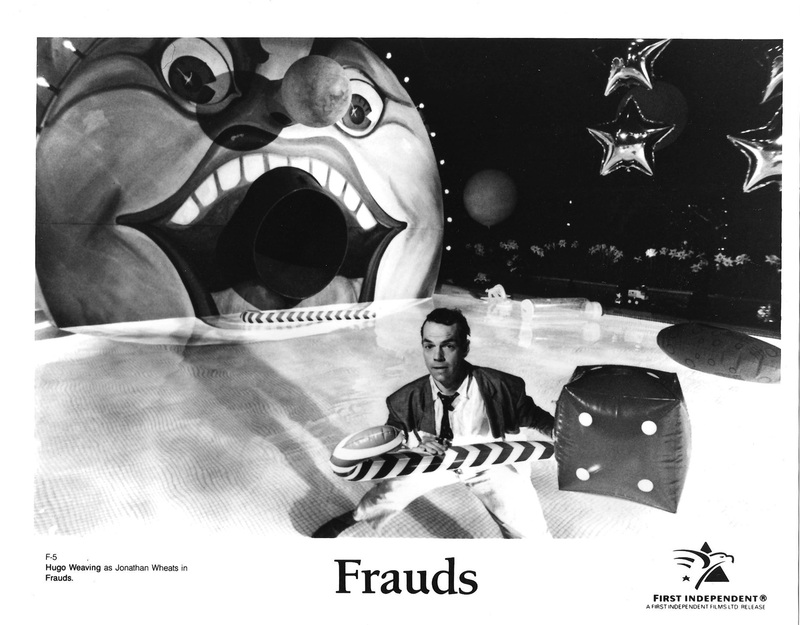 I believe this Promo photo to be of around the time of The Fugitive album from June 1983. 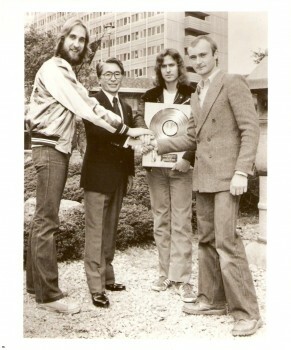 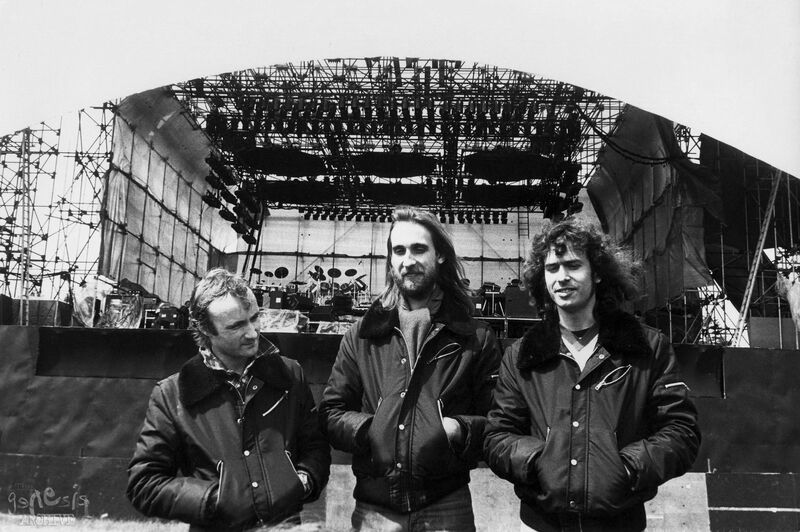 Two press photos from the Mama or Genesis album “Genesis” from 1983 here. 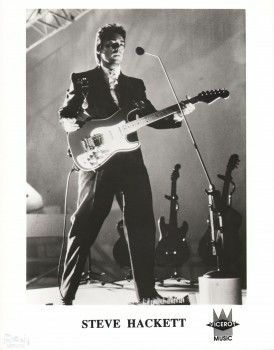 An Atlantic Records press photo from 1983, looks like it was taken either during a sound check on the 1983 American tour! 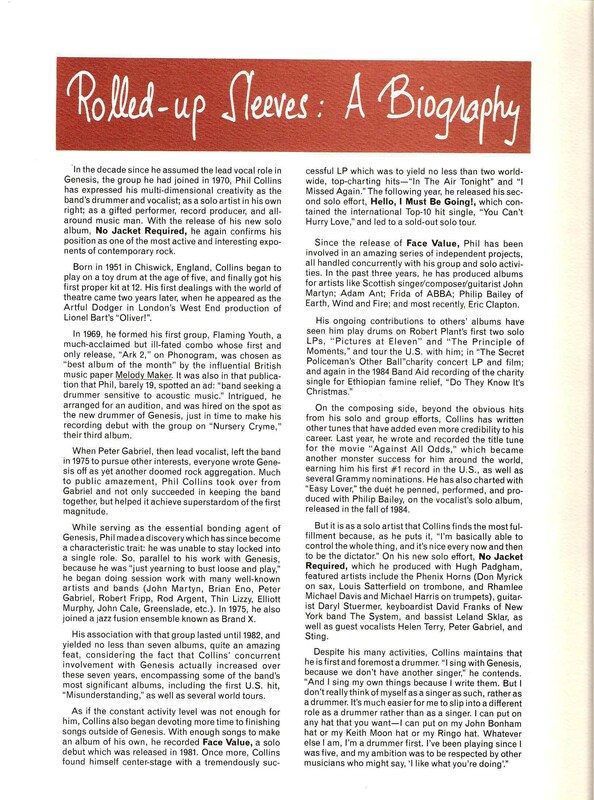 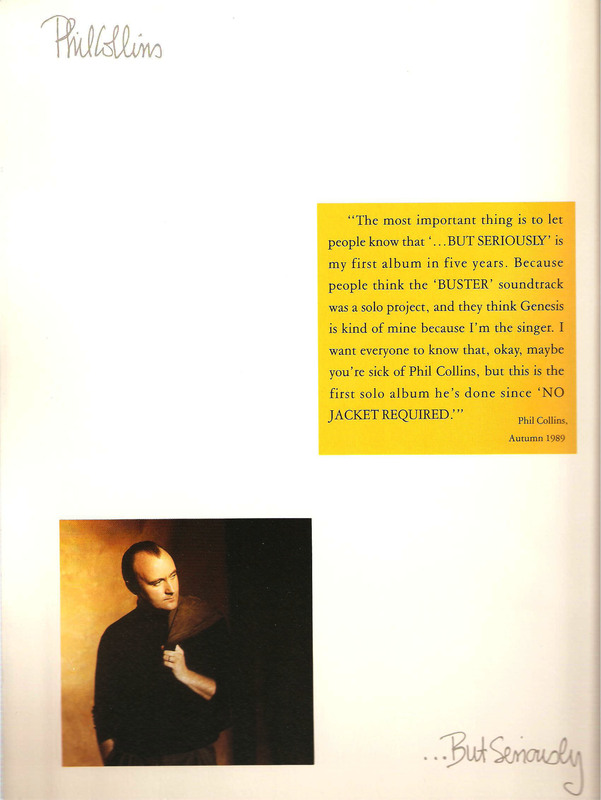 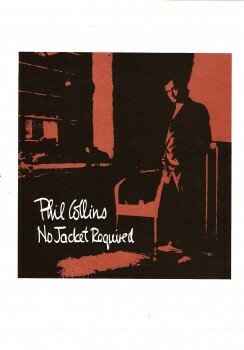 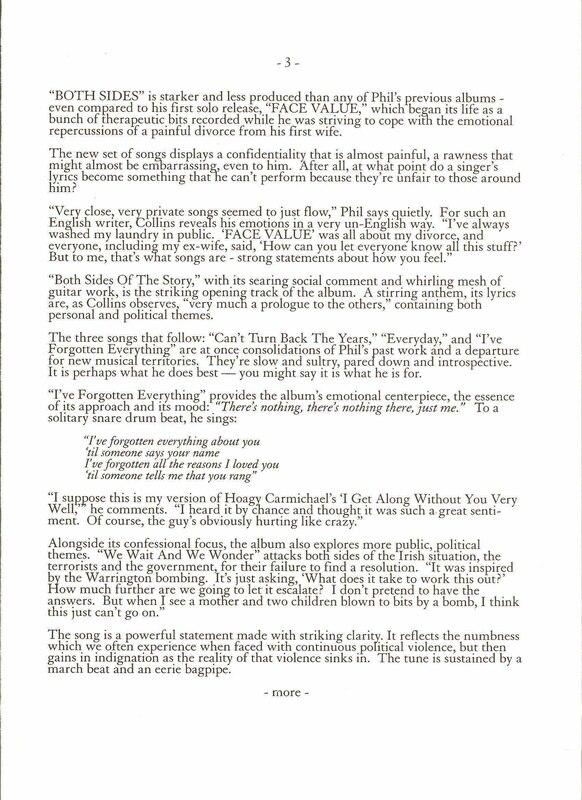 A Atlantic Records (therefore American) press kit for the 1985 Phil Collins album No Jacket Required. 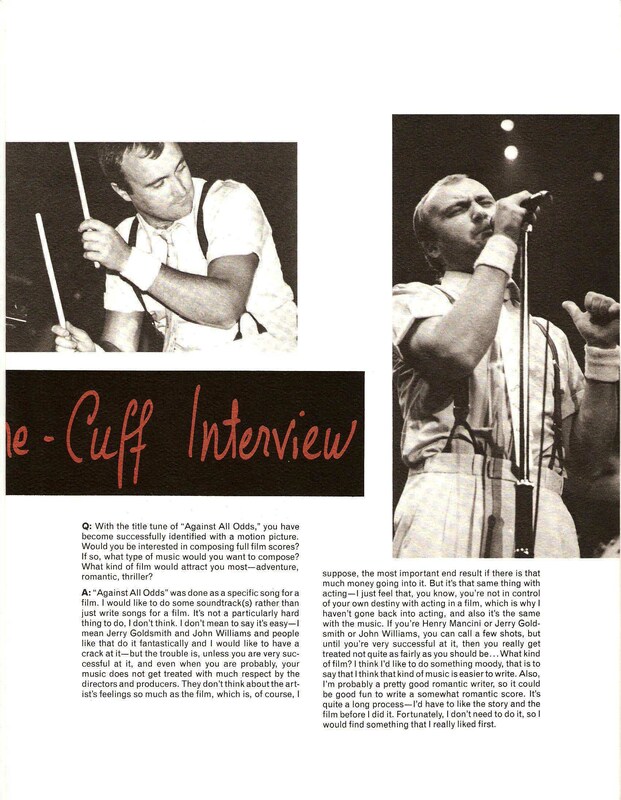 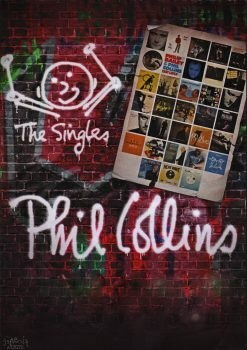 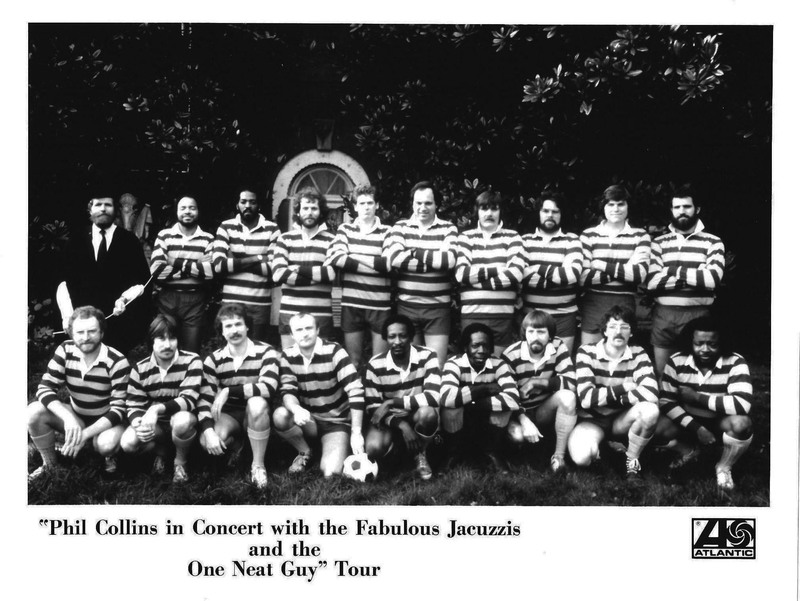 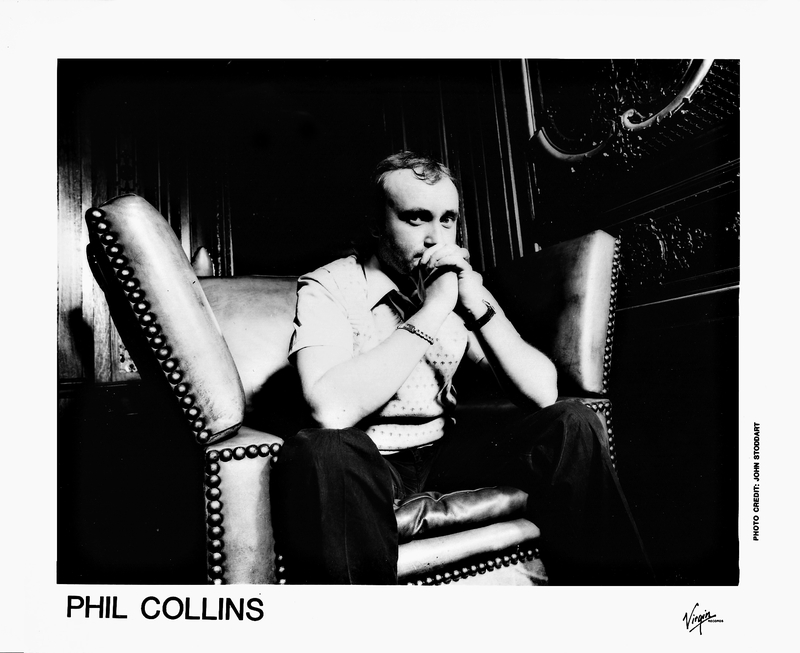 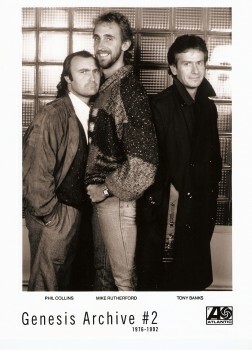 Some Phil Collins promo photos from around 1985! 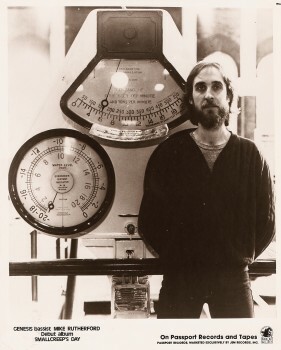 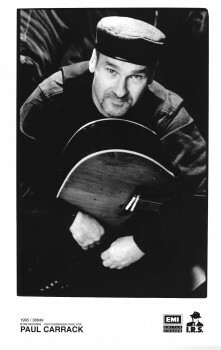 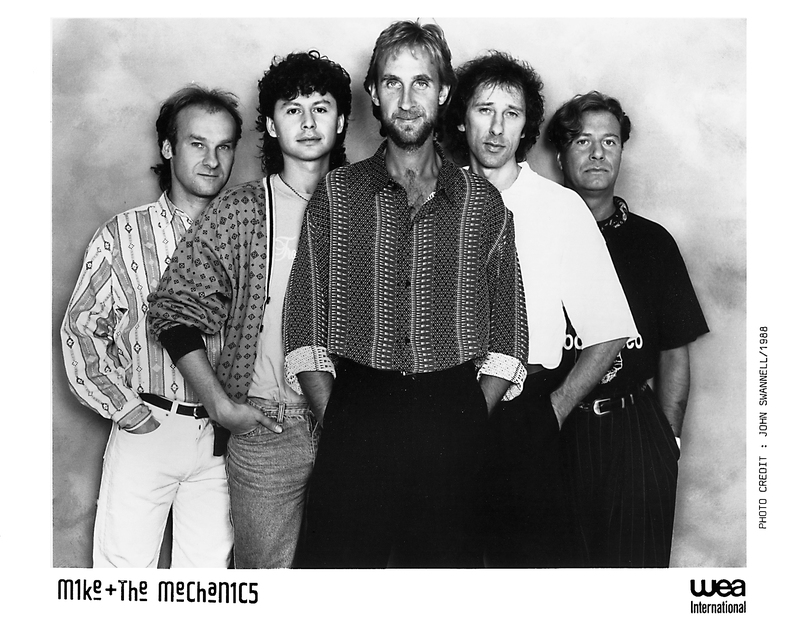 Press photo for the very first Mike and The Mechanics album in 1985. 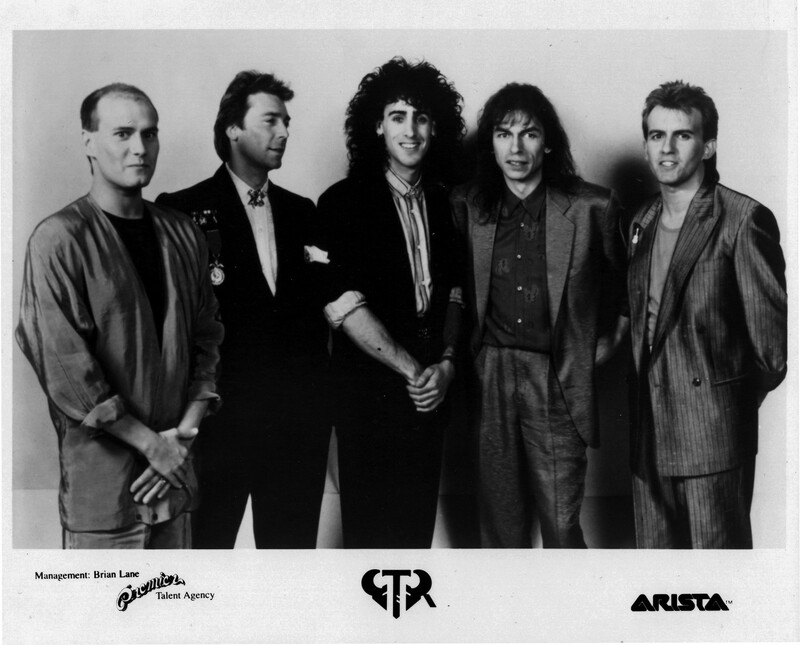 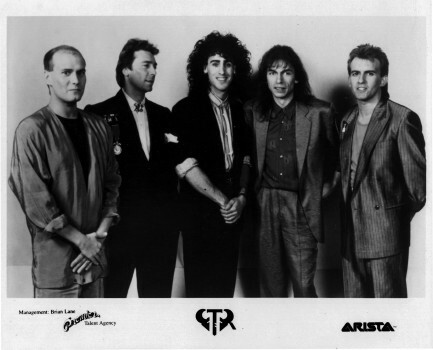 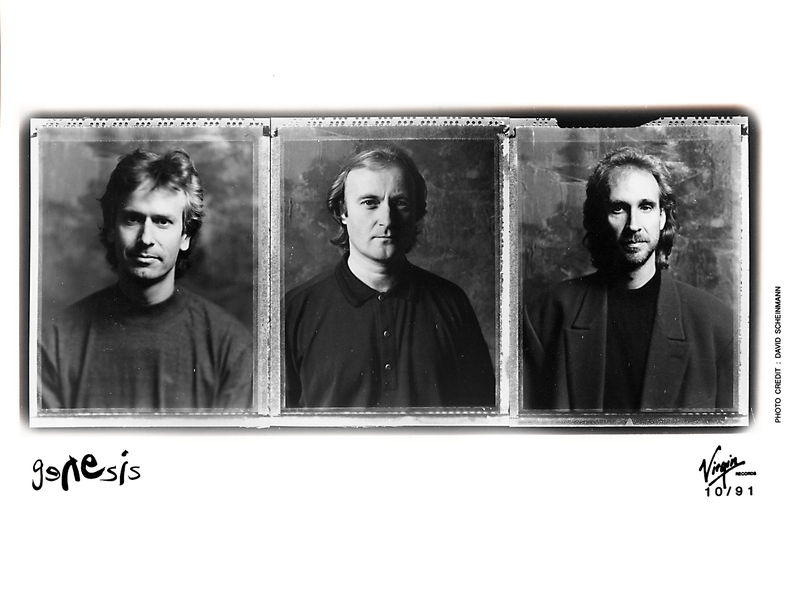 These are two GTR press photos from April/May 1986. 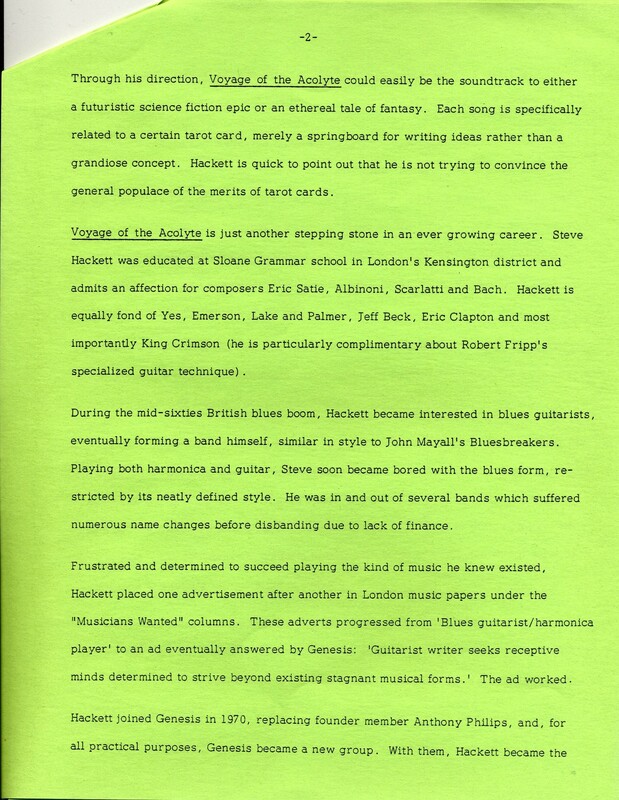 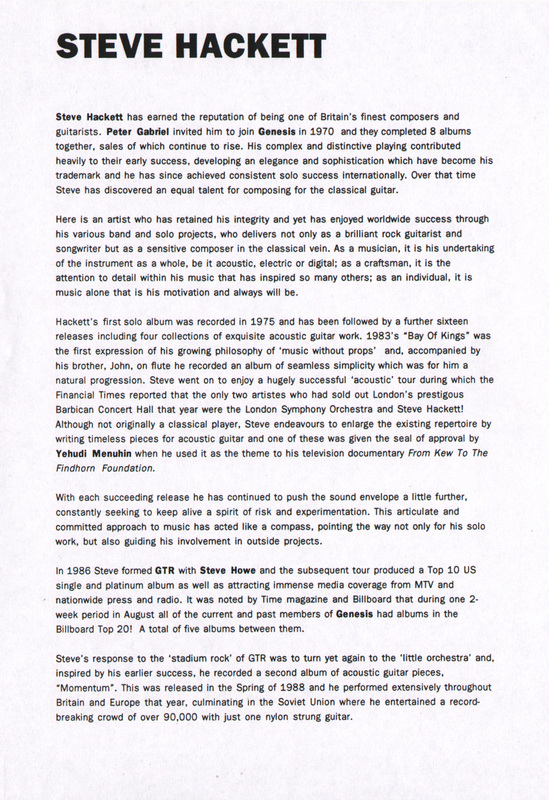 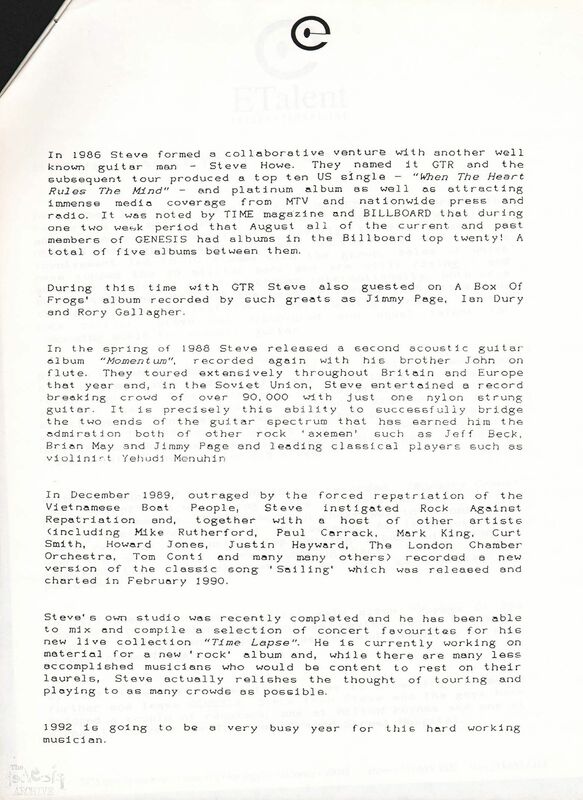 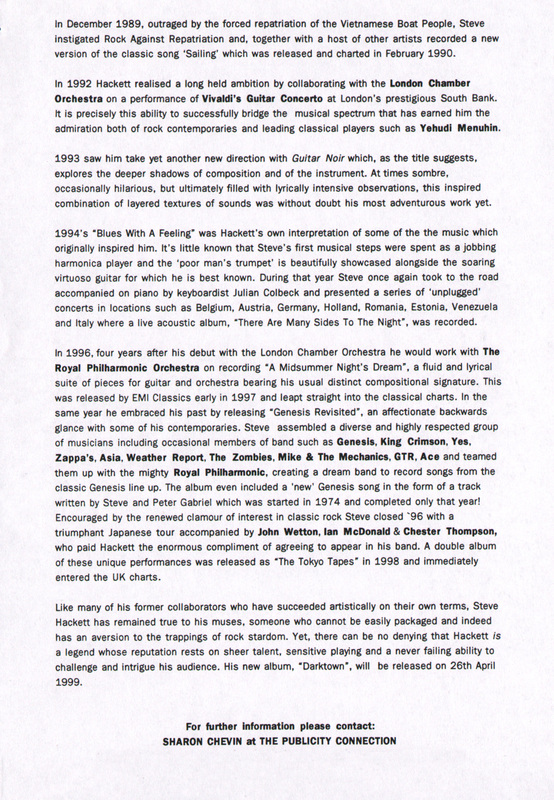 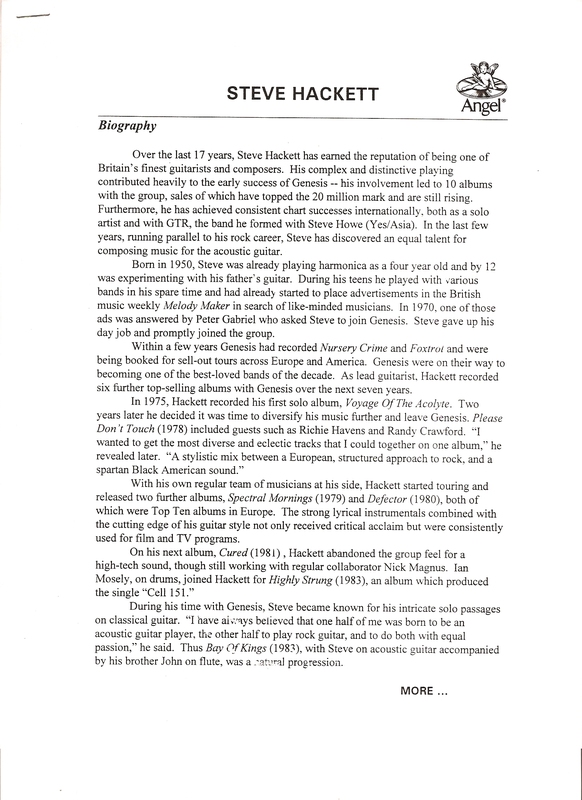 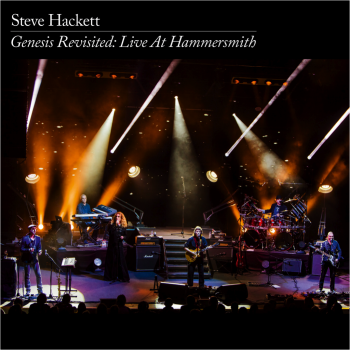 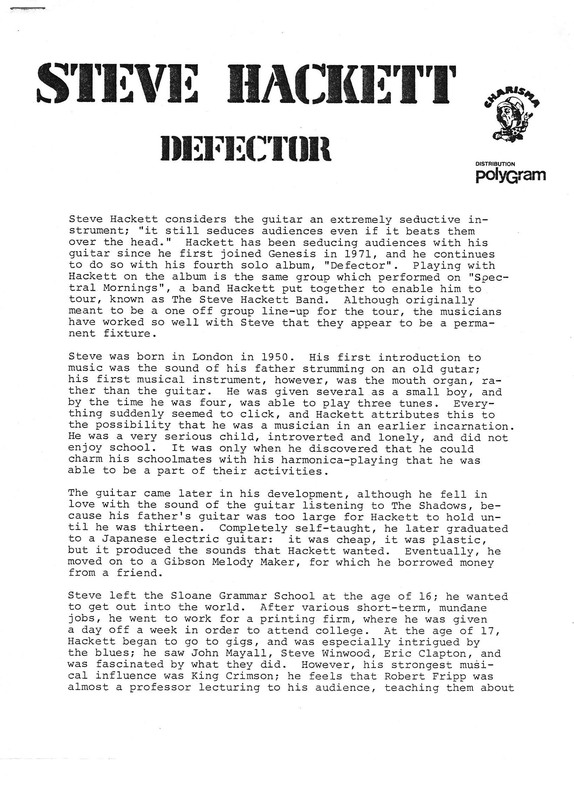 Here is the Press kit for the Steve Hackett and Steve Howe joint monster group GTR! 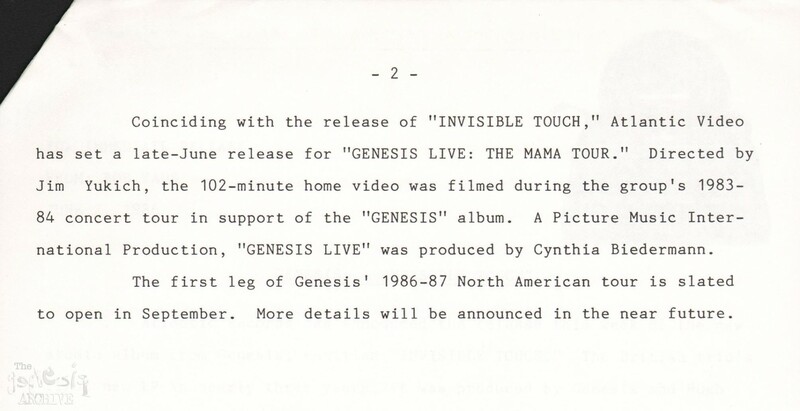 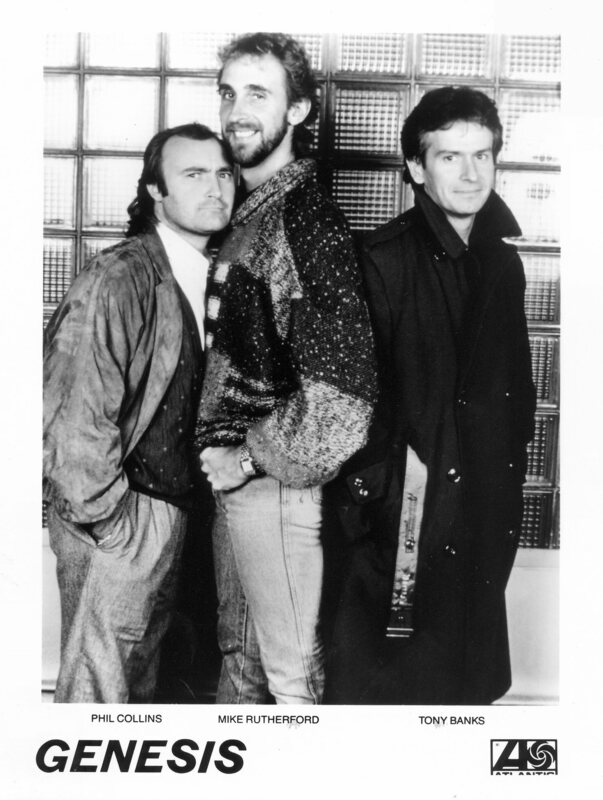 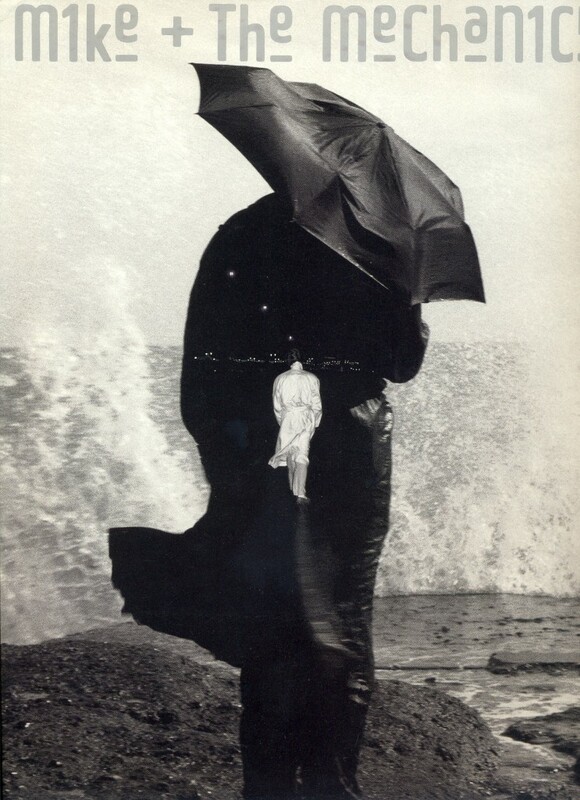 These are a collection of promotional photos for the 1986 Genesis album Invisible Touch. 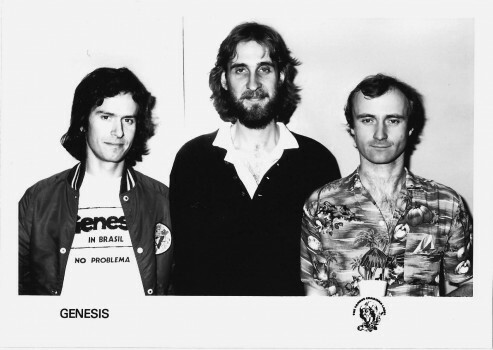 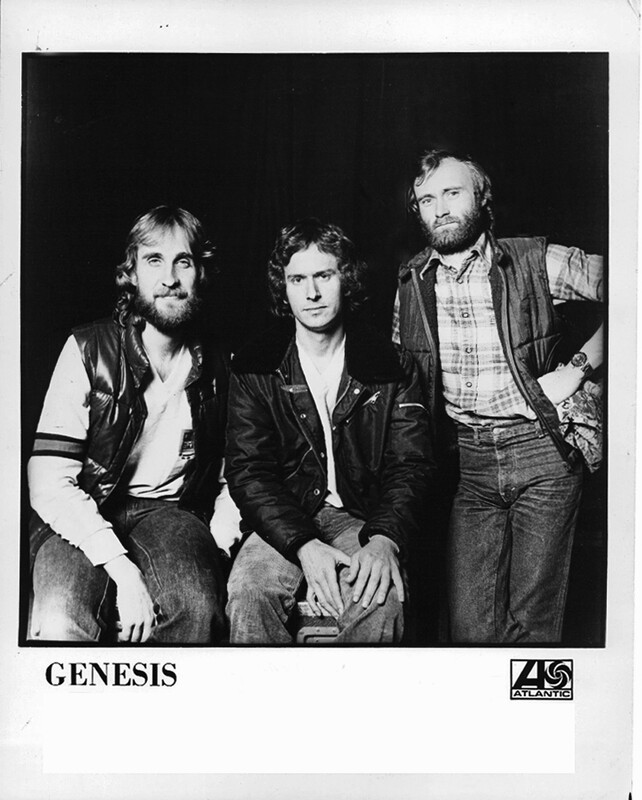 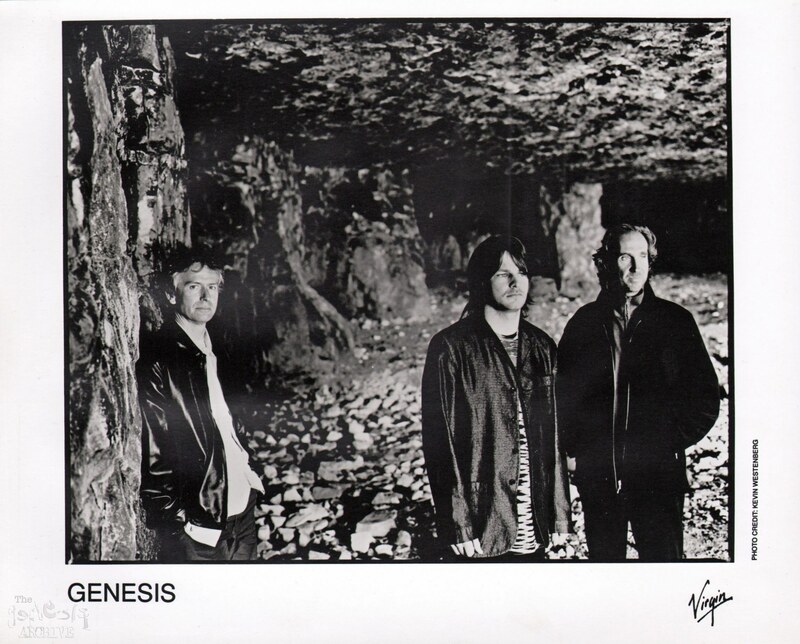 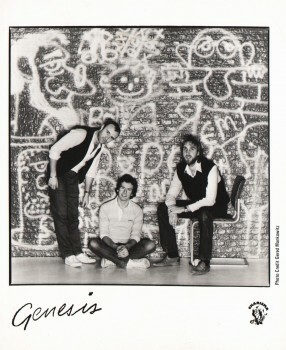 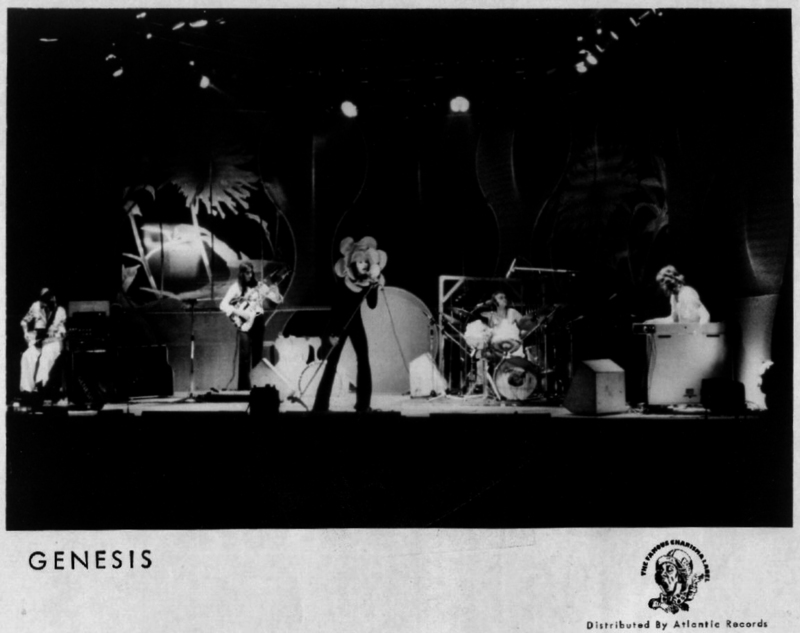 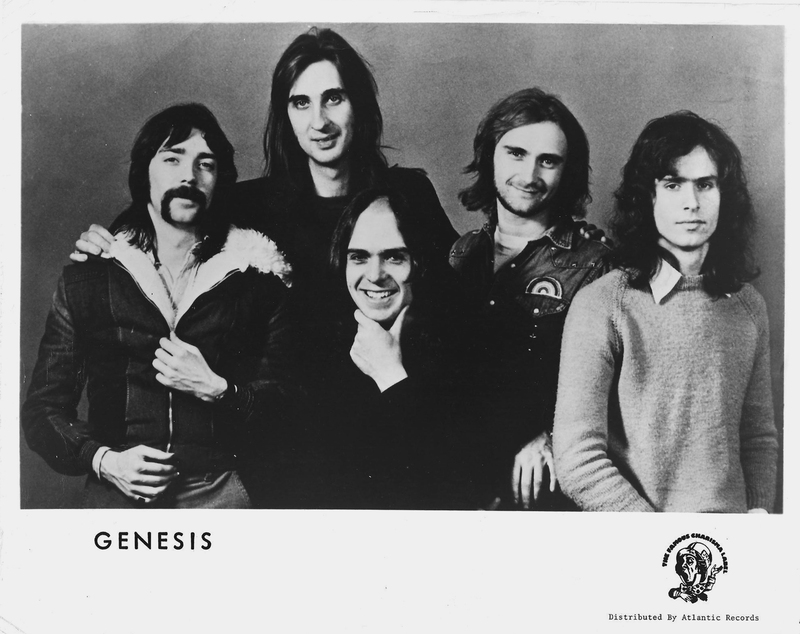 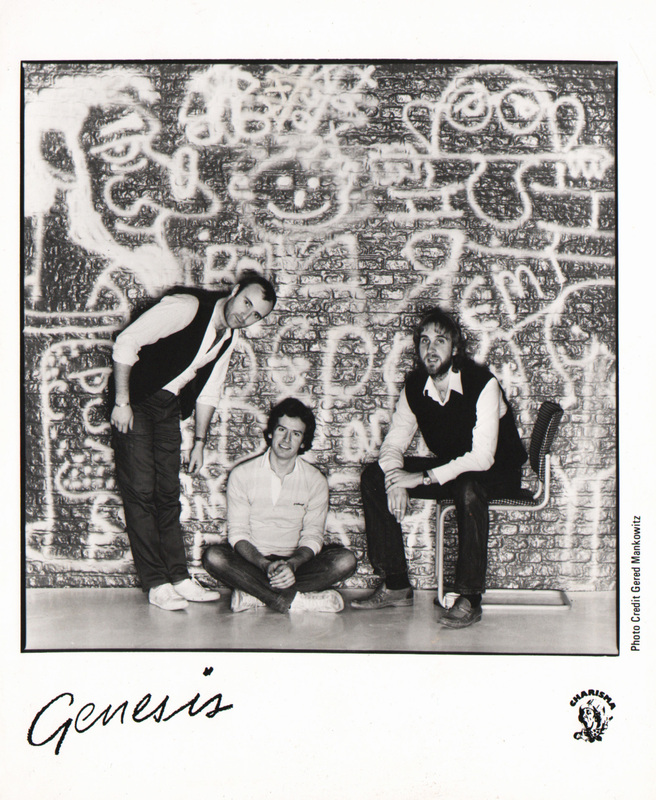 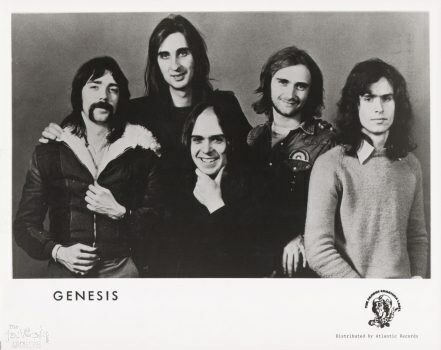 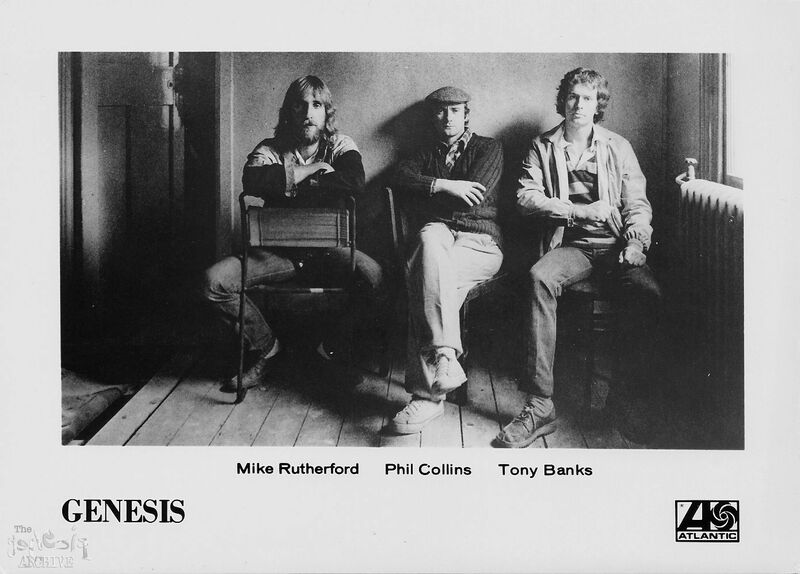 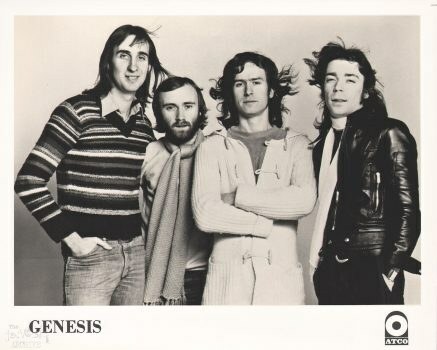 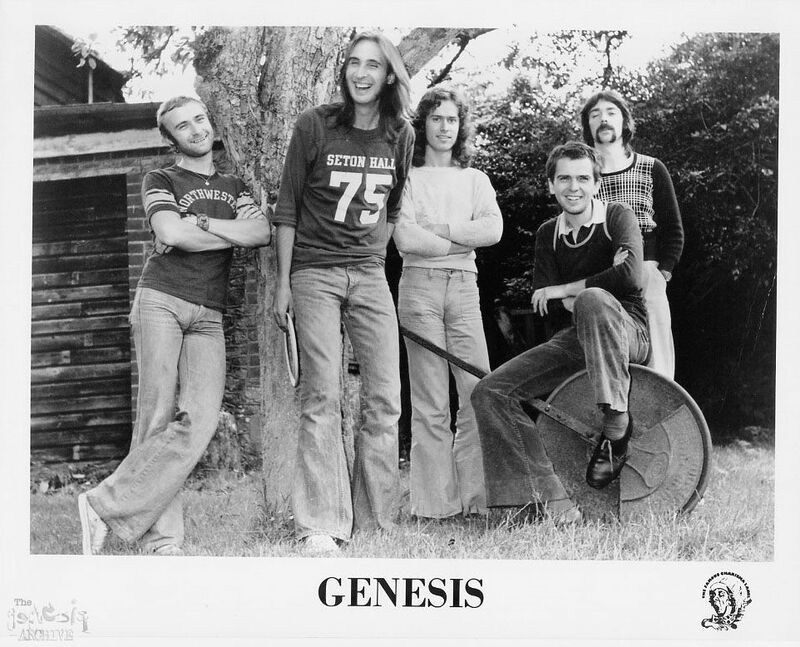 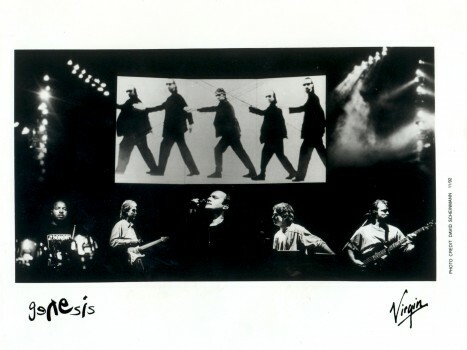 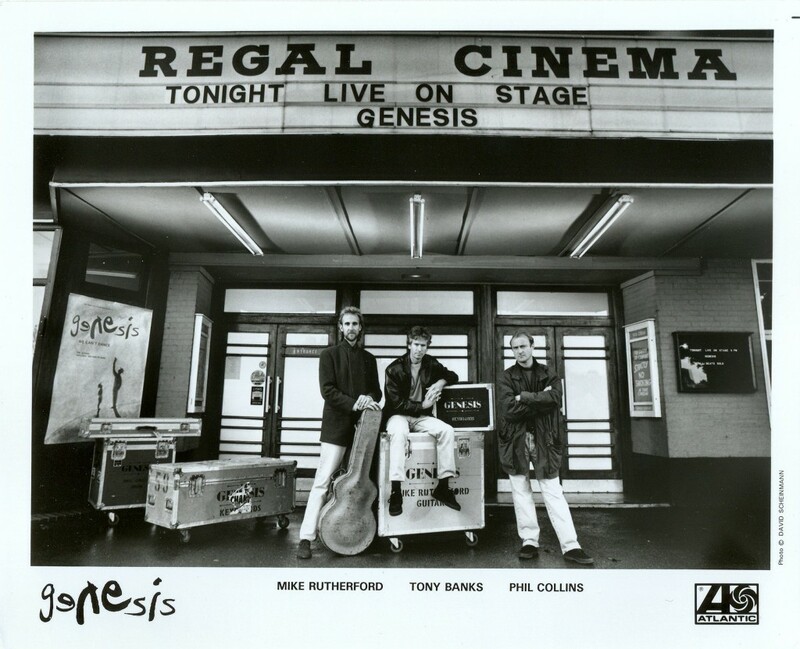 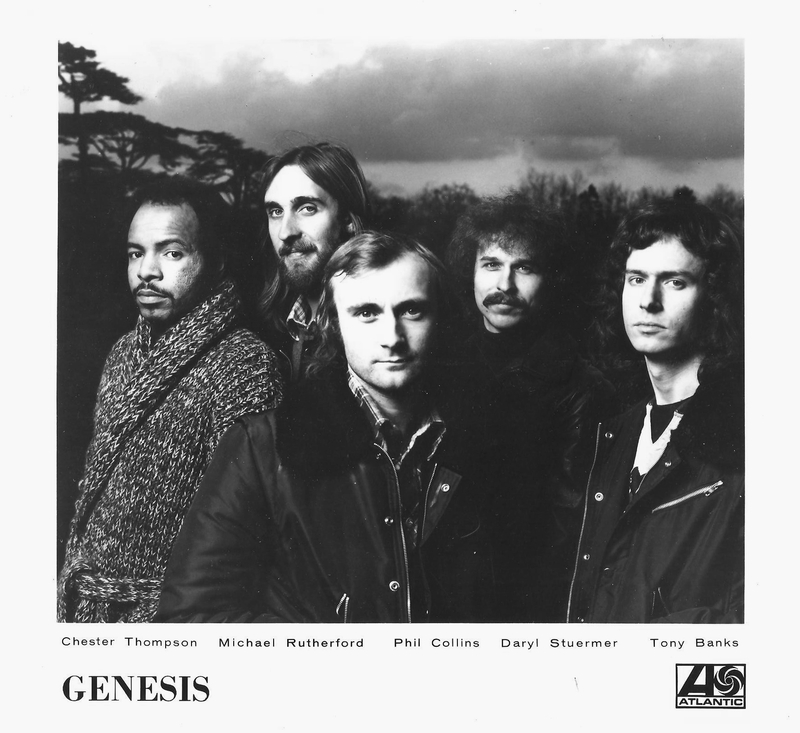 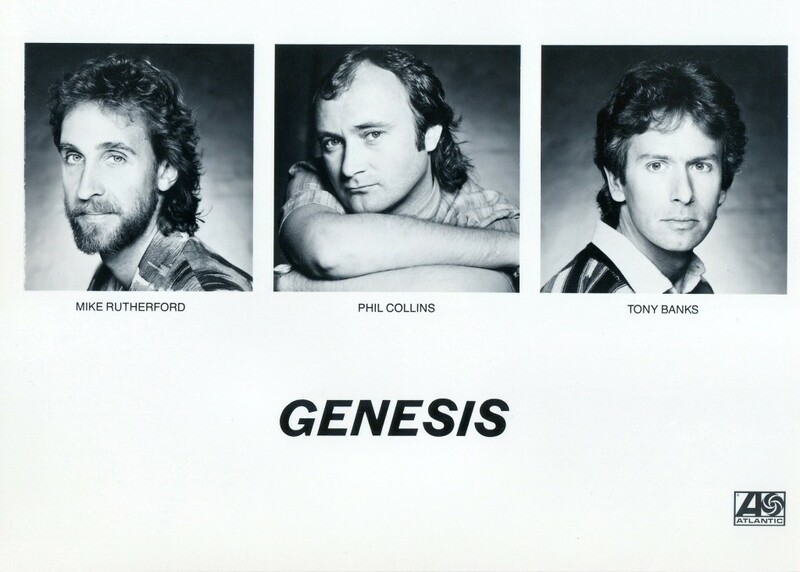 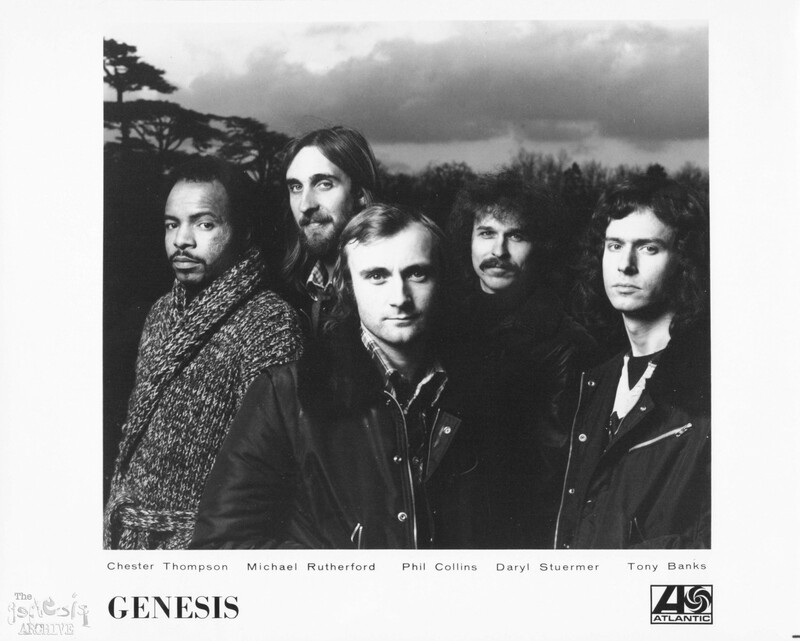 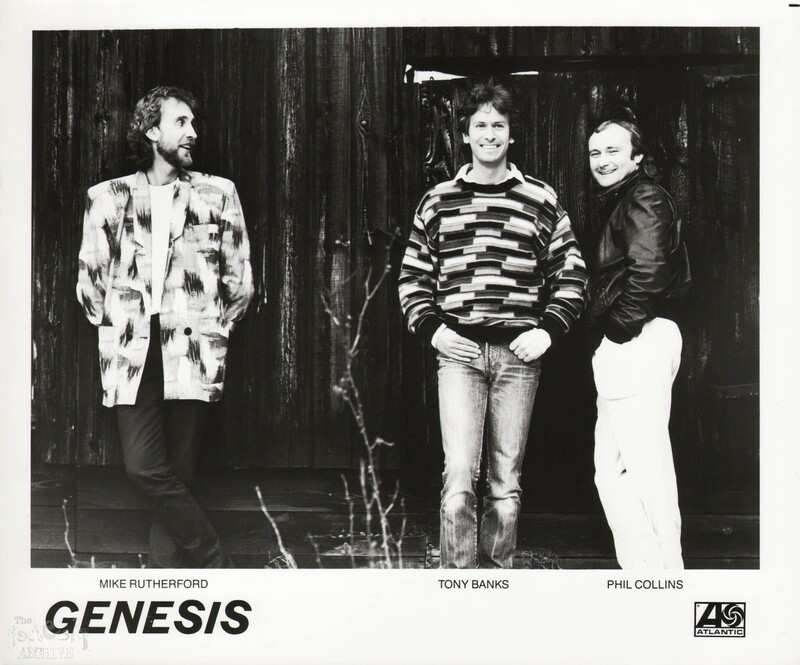 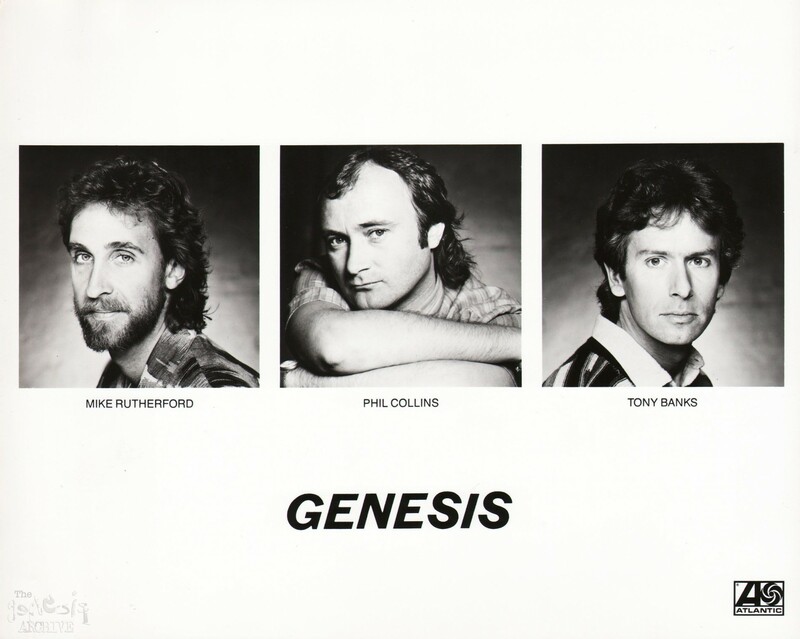 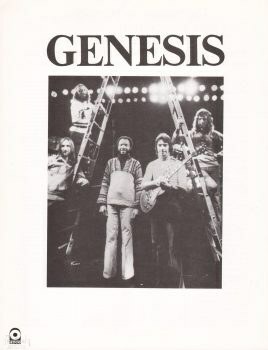 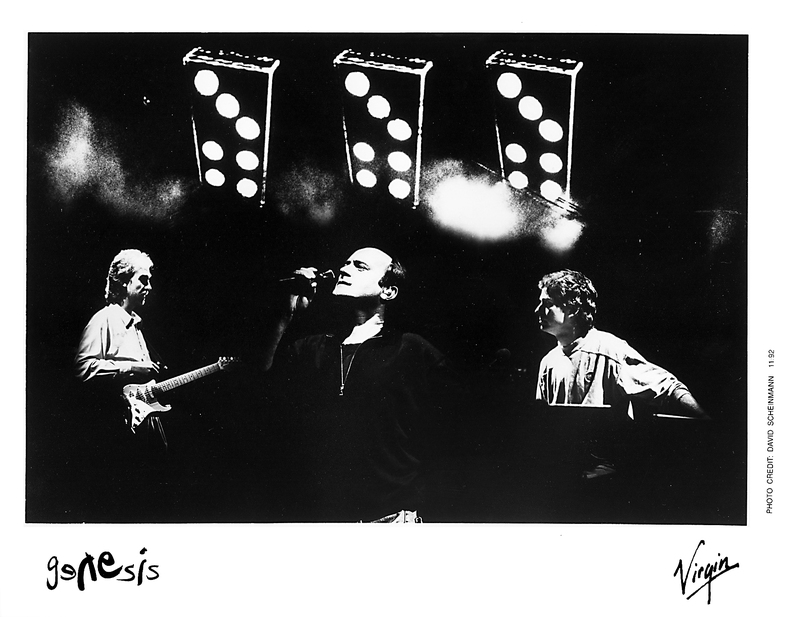 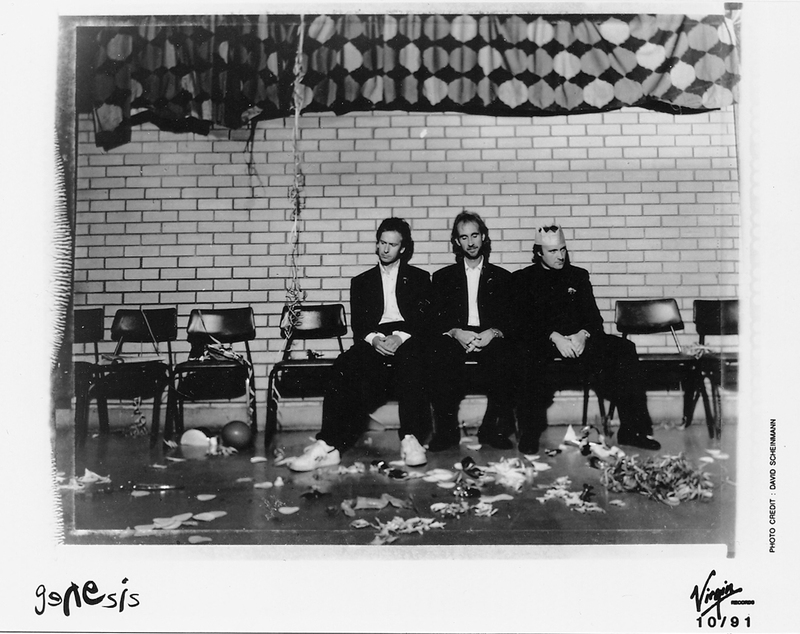 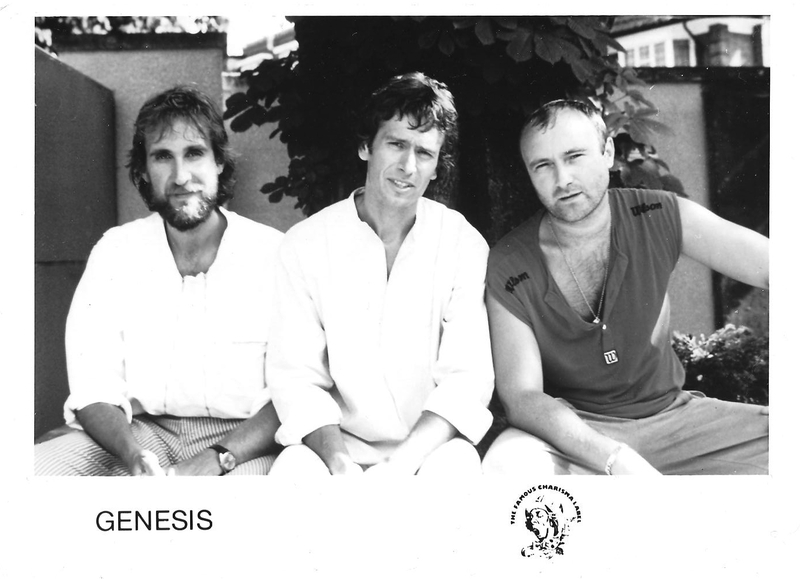 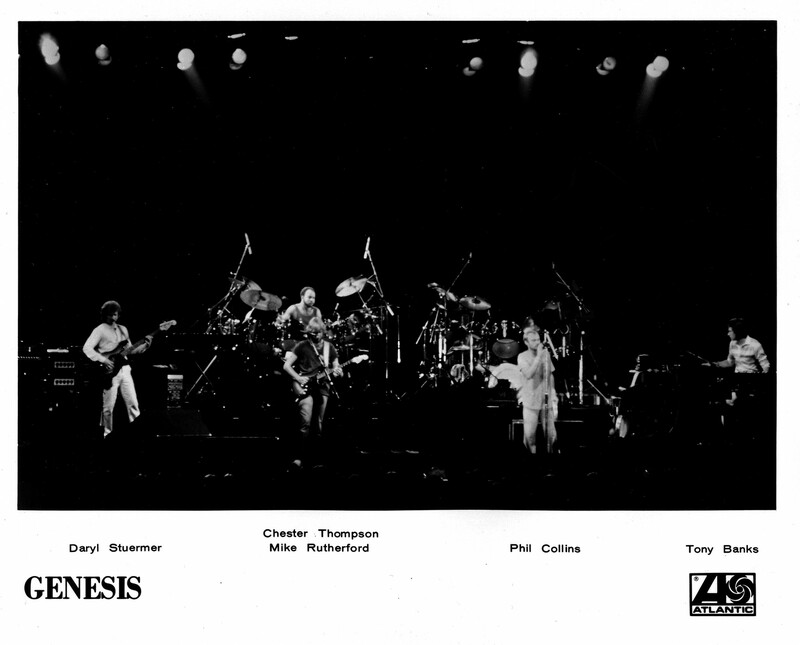 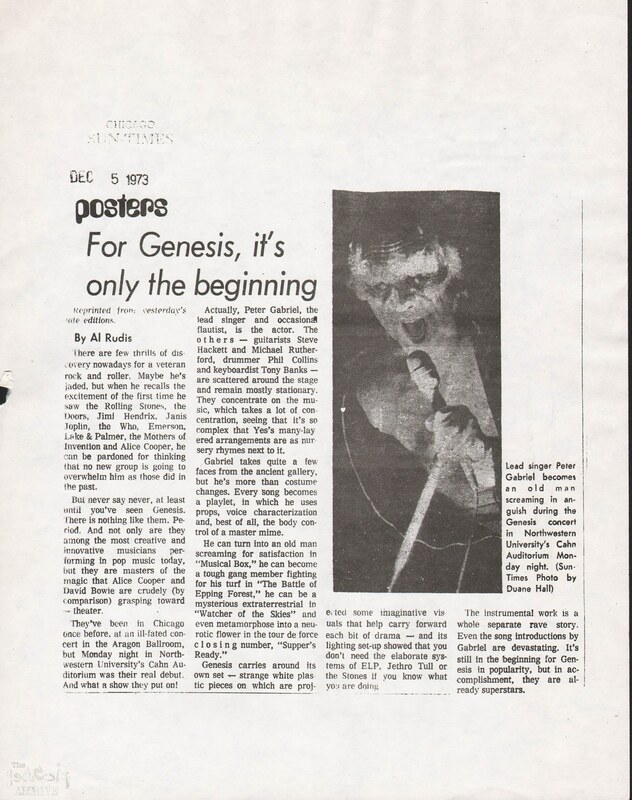 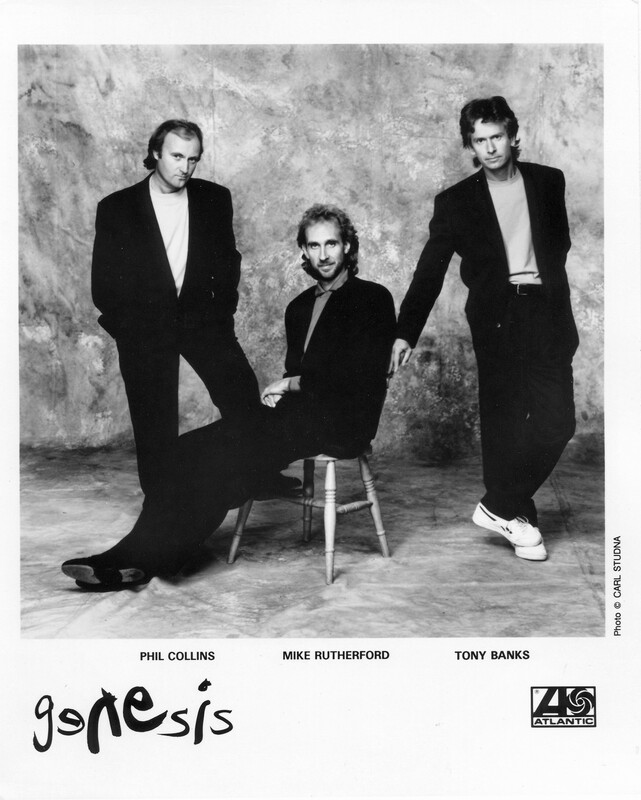 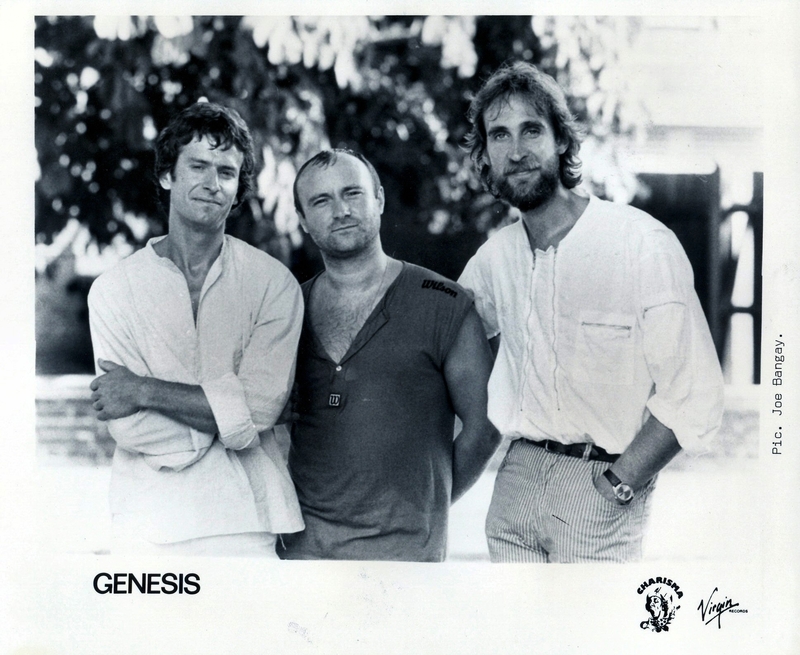 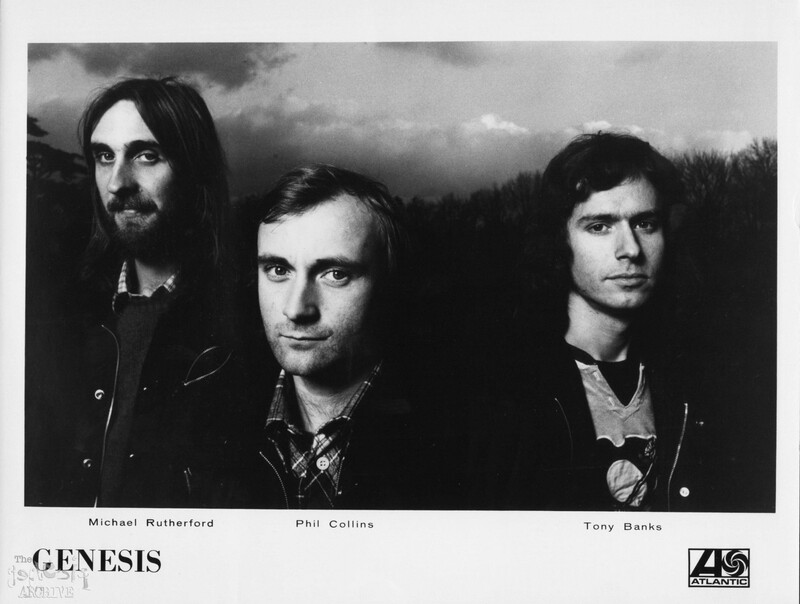 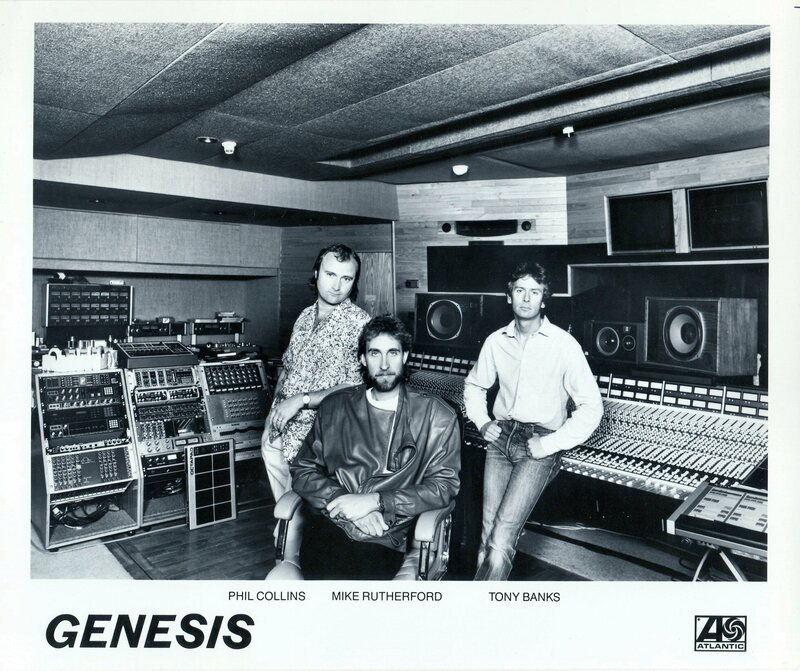 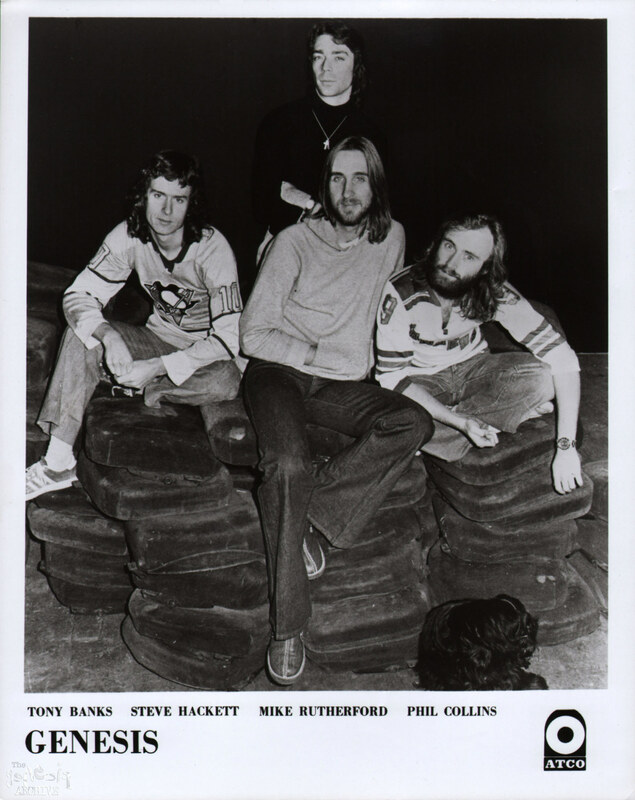 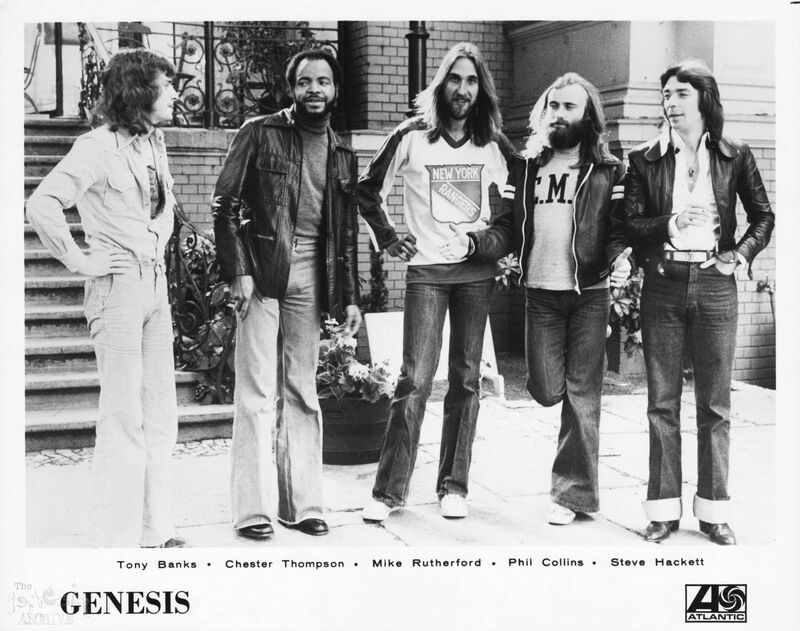 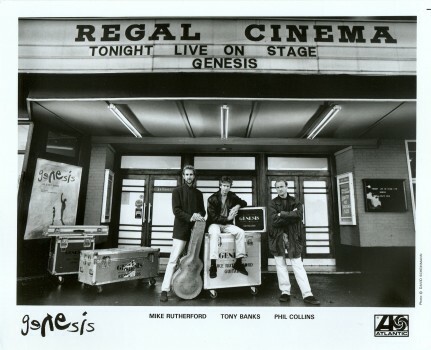 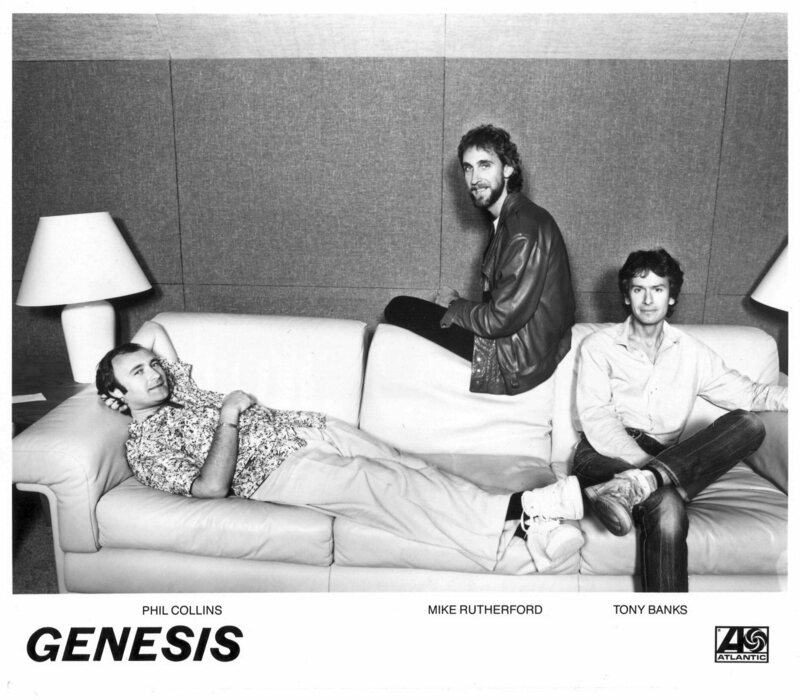 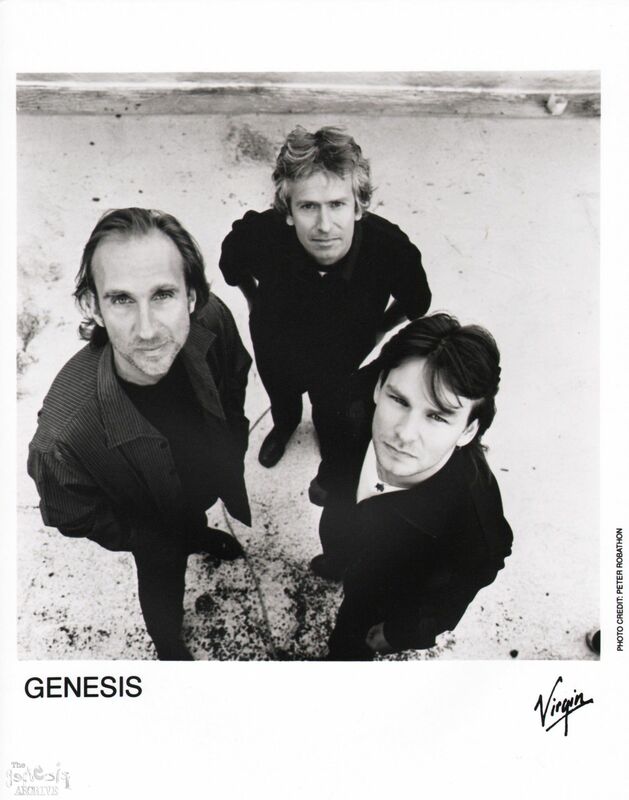 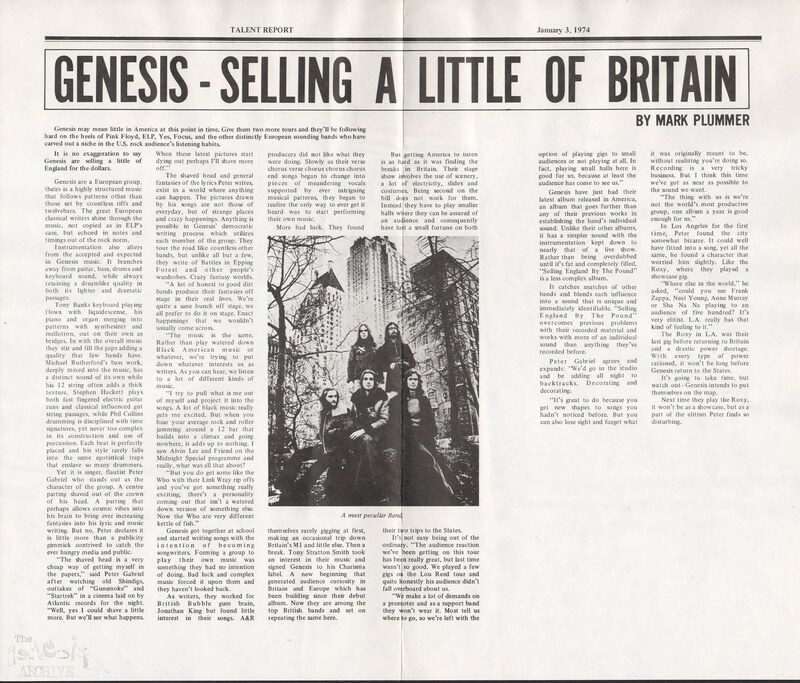 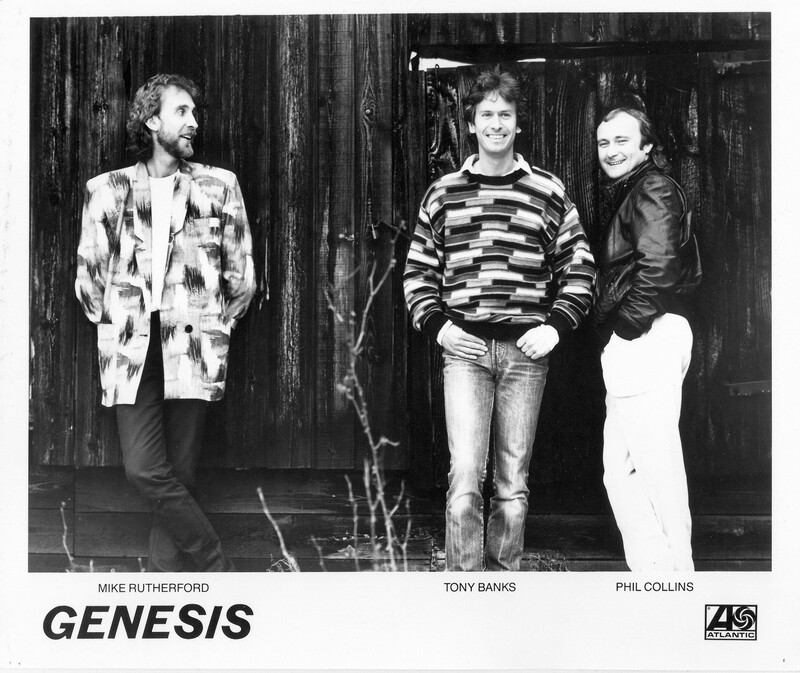 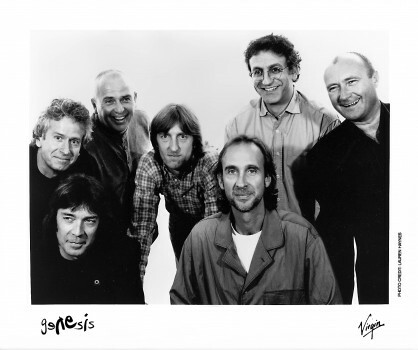 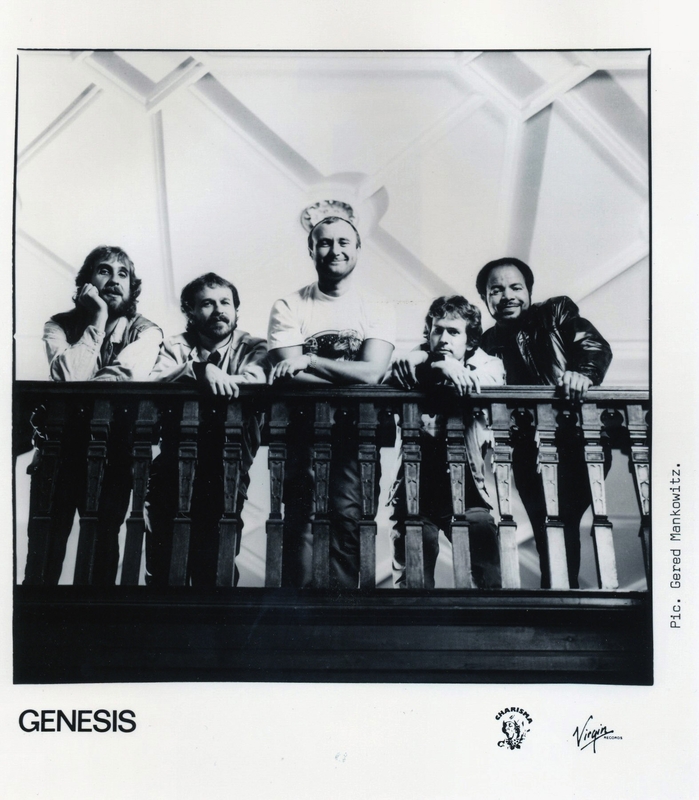 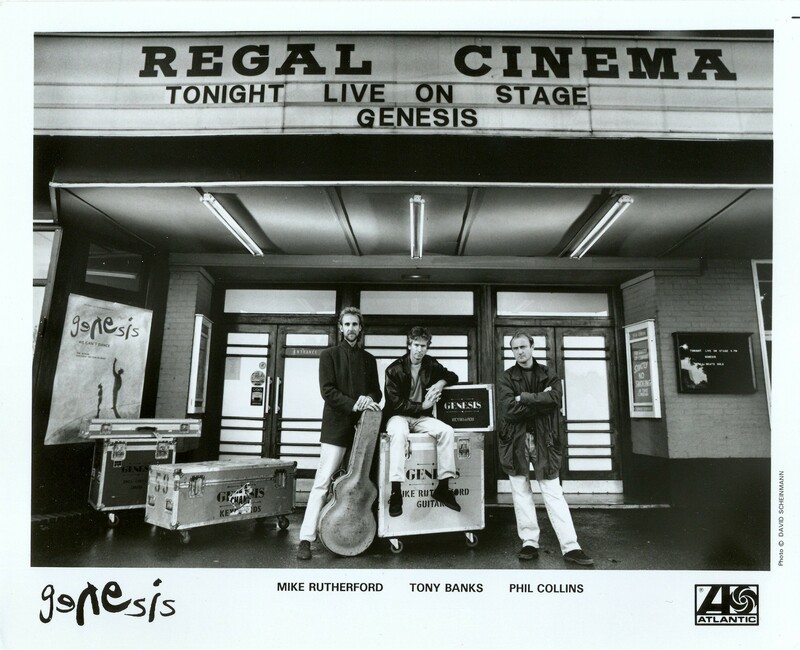 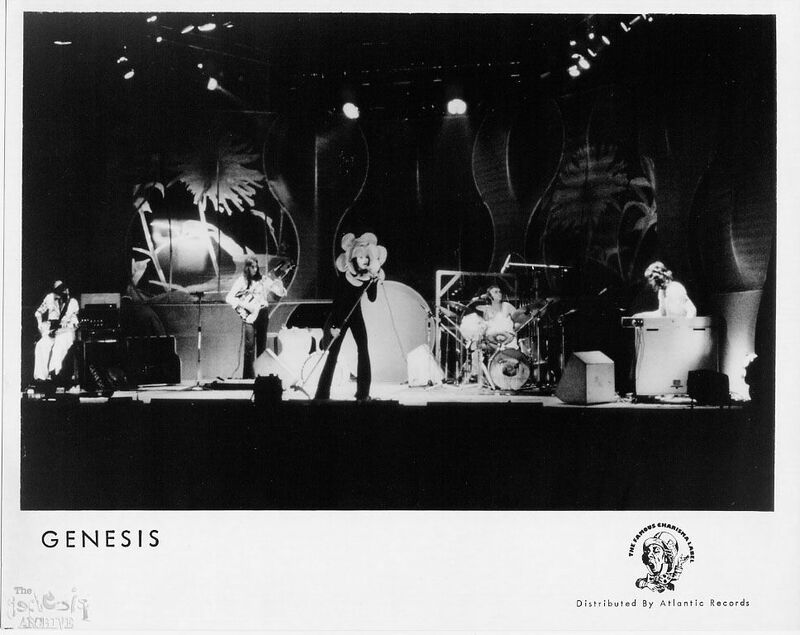 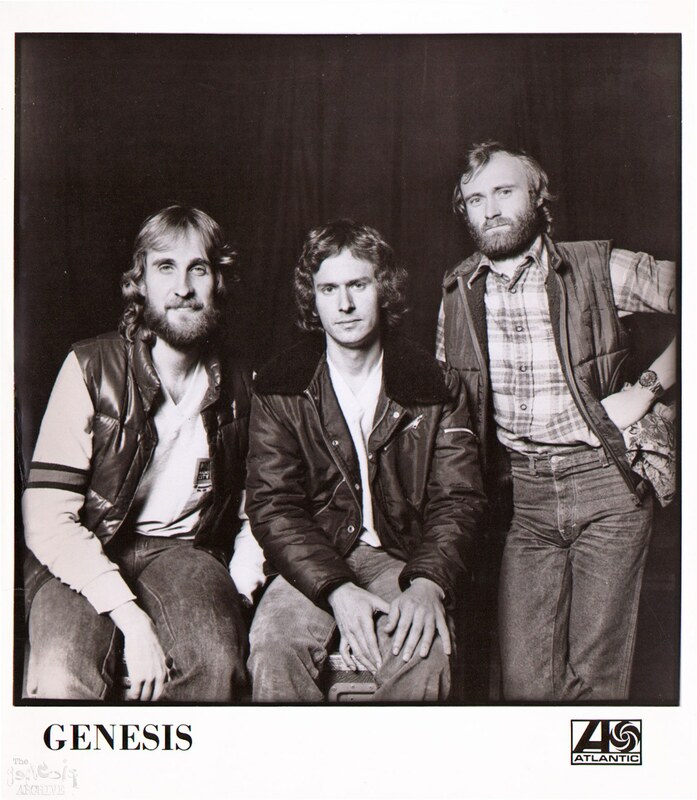 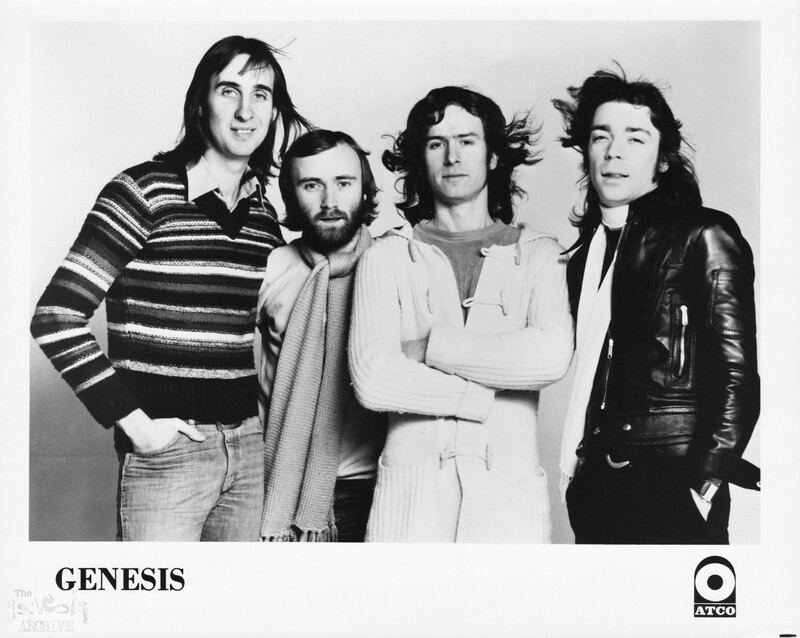 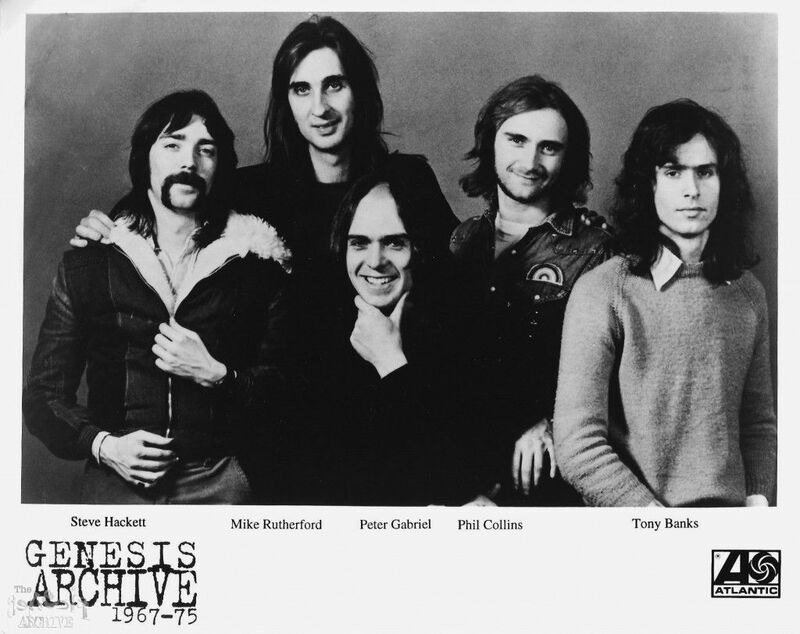 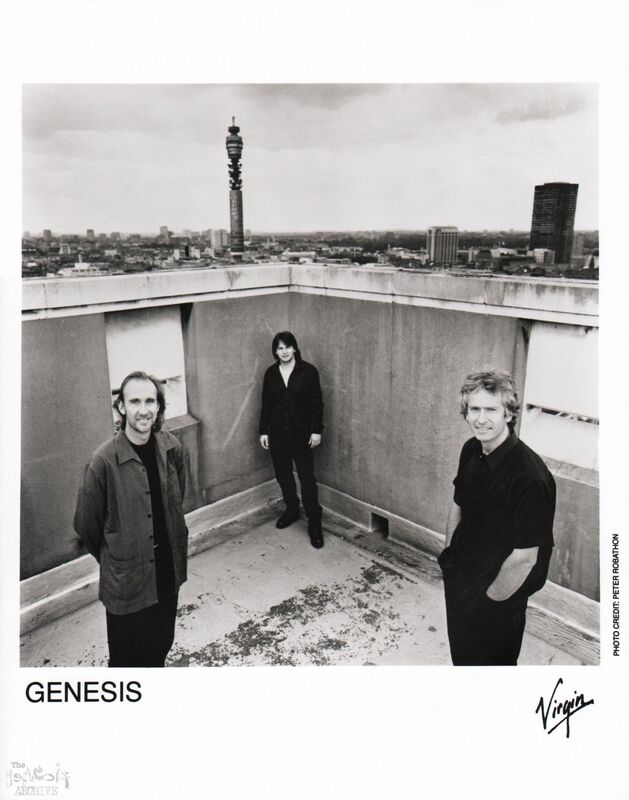 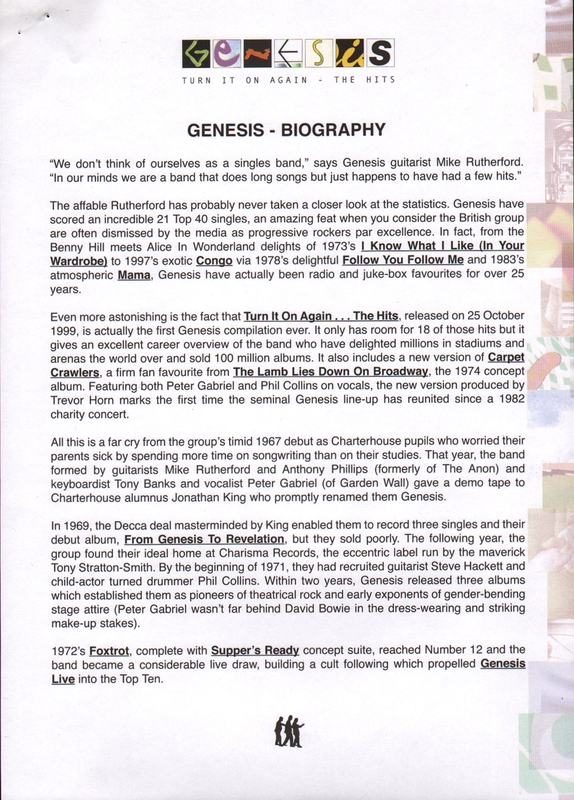 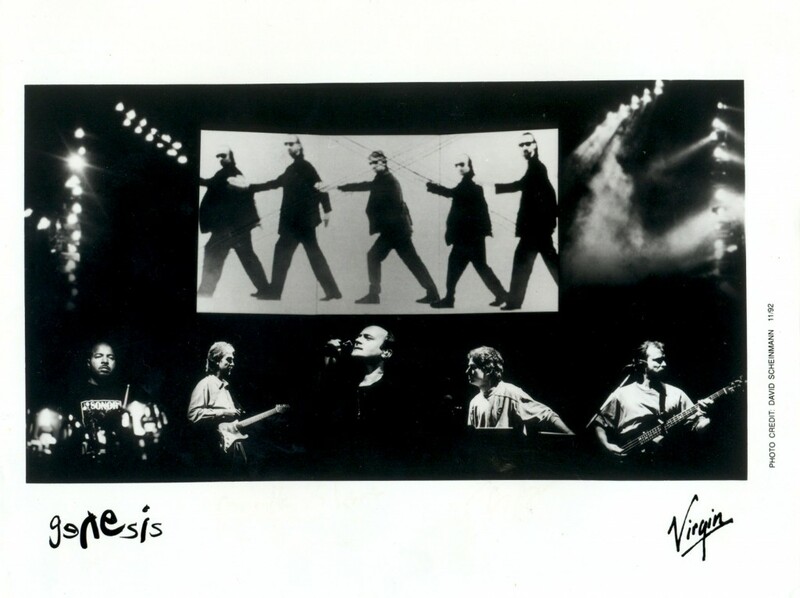 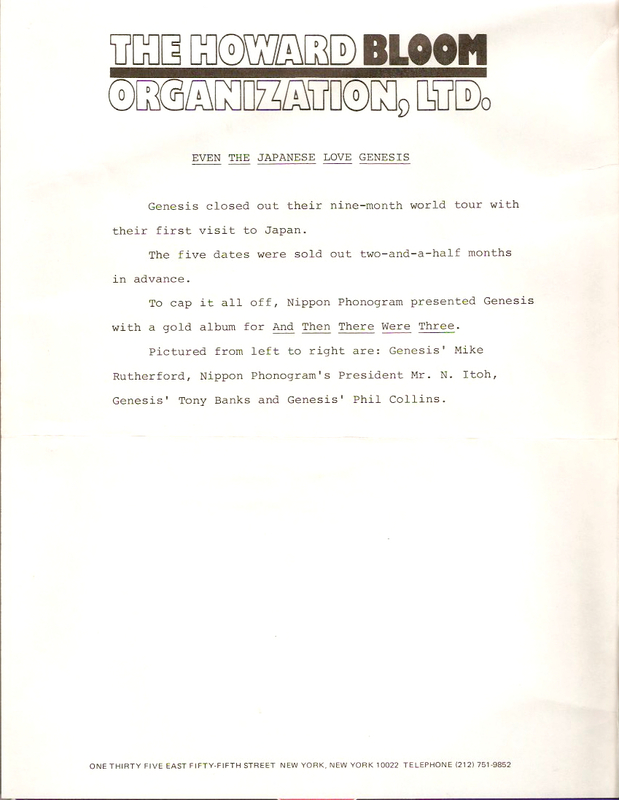 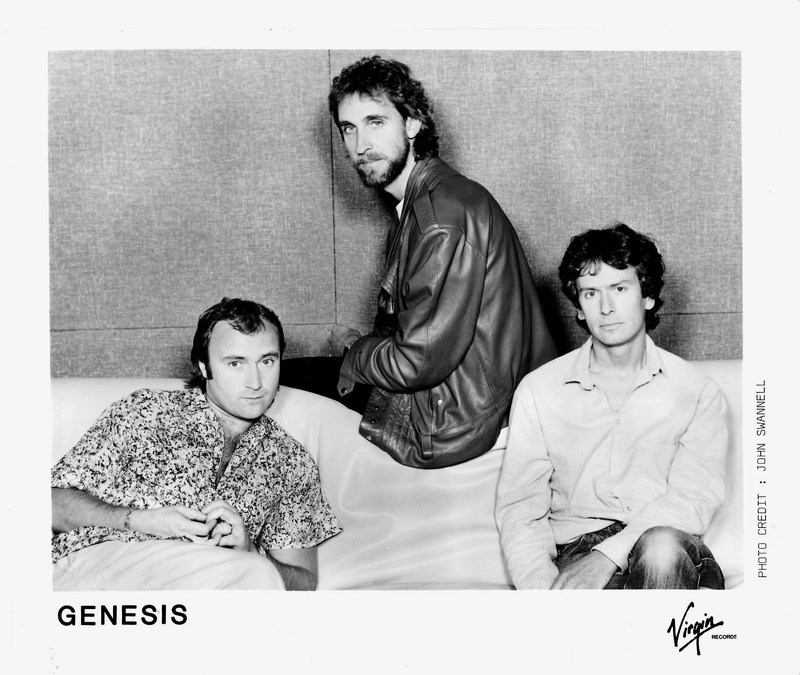 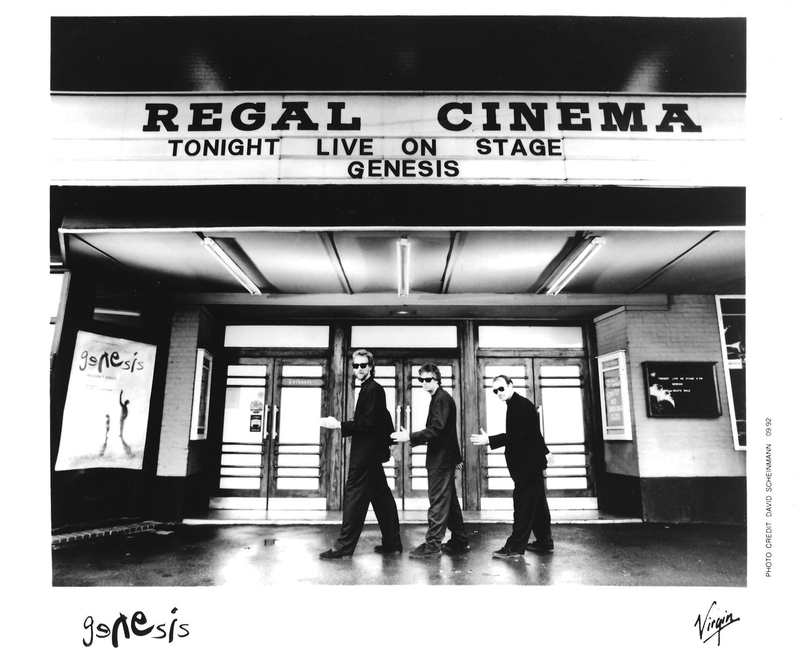 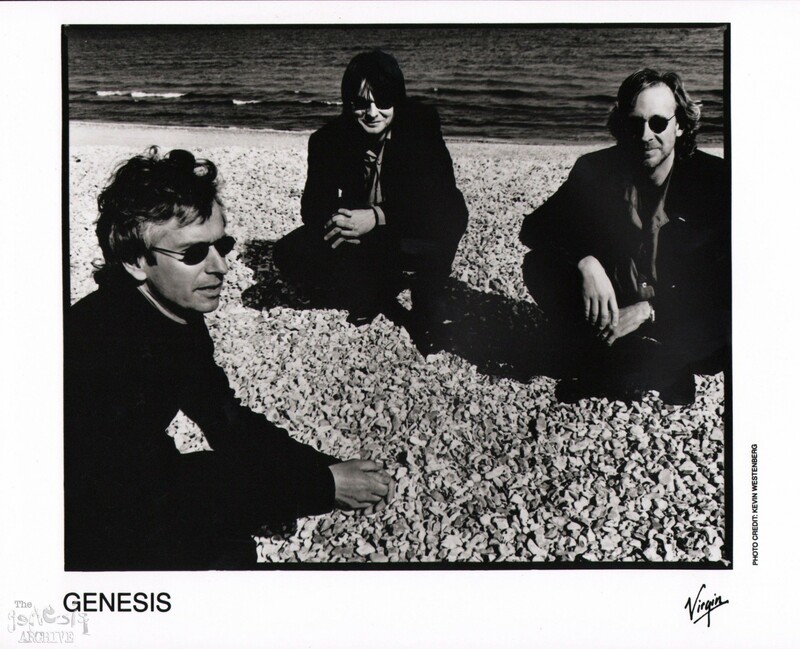 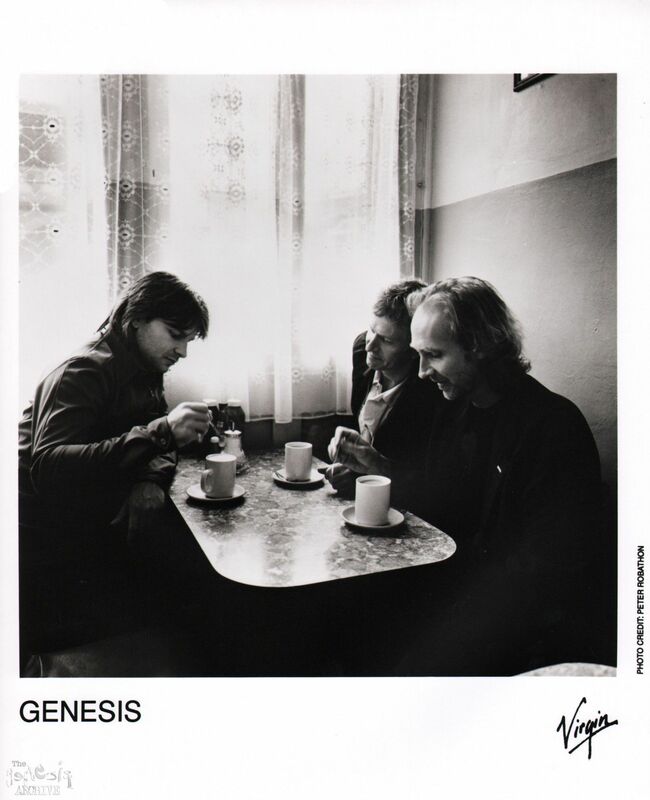 A Genesis press photo (taken in April) but used in May 1987 to announce some gigs Genesis were going to be doing. 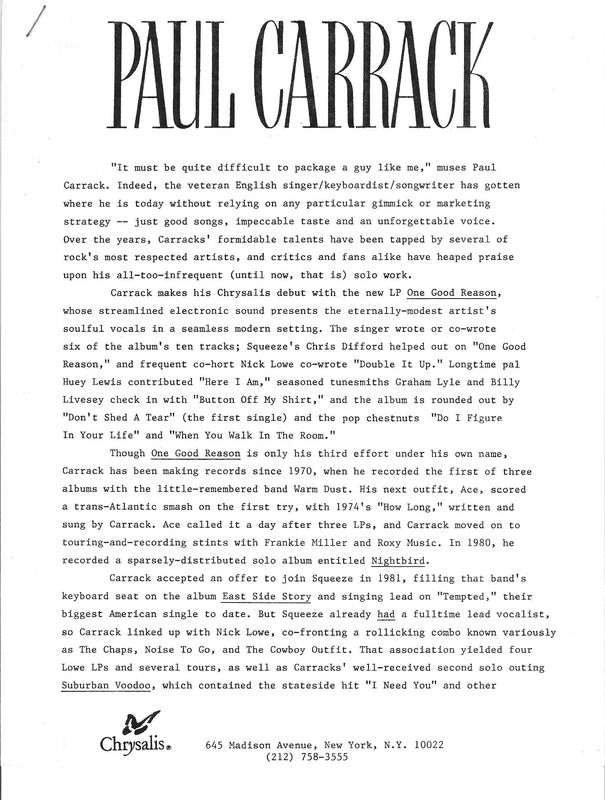 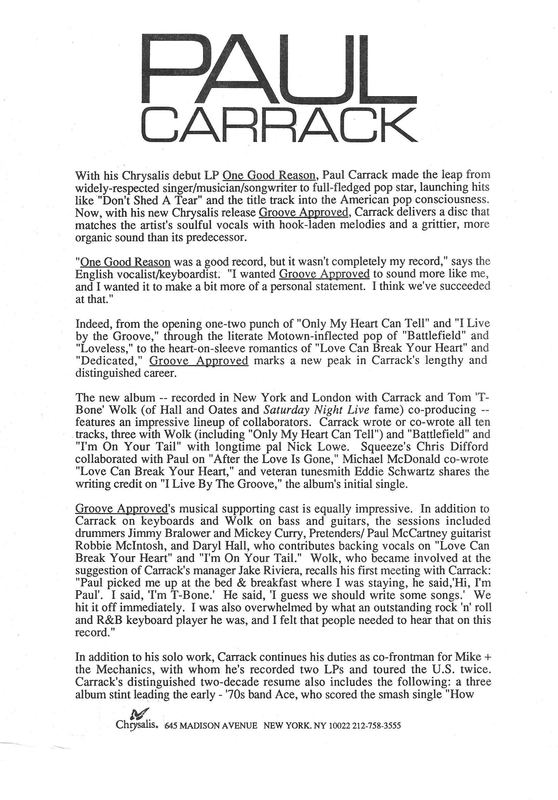 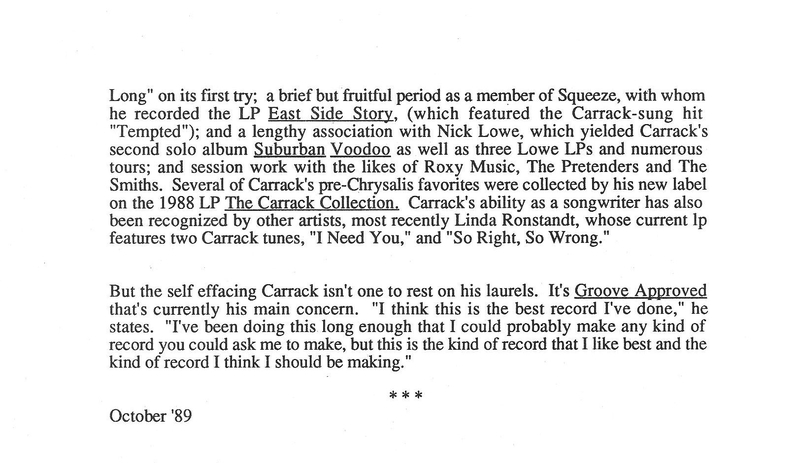 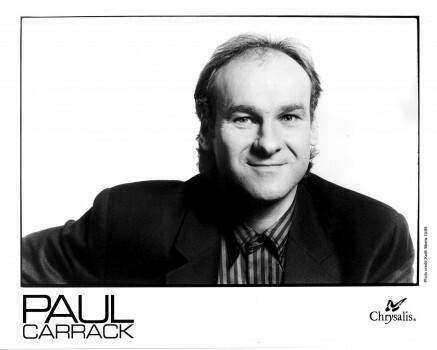 The Paul Carrack 1987 album “One Good Reason” press kit on Chrysalis Records! 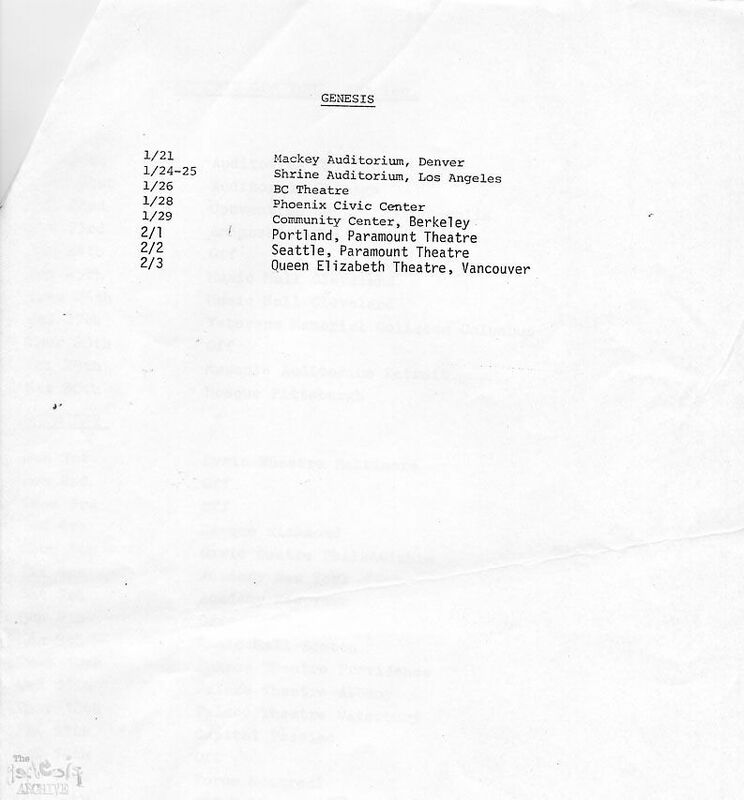 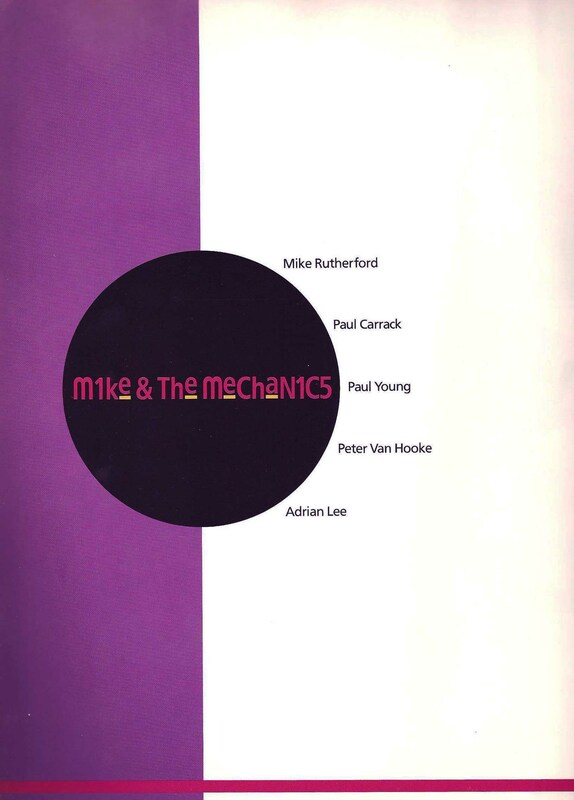 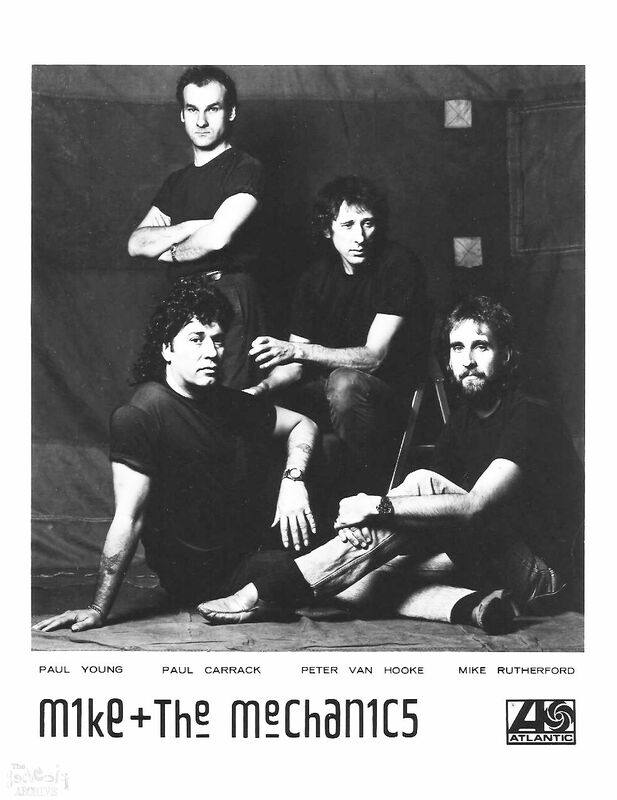 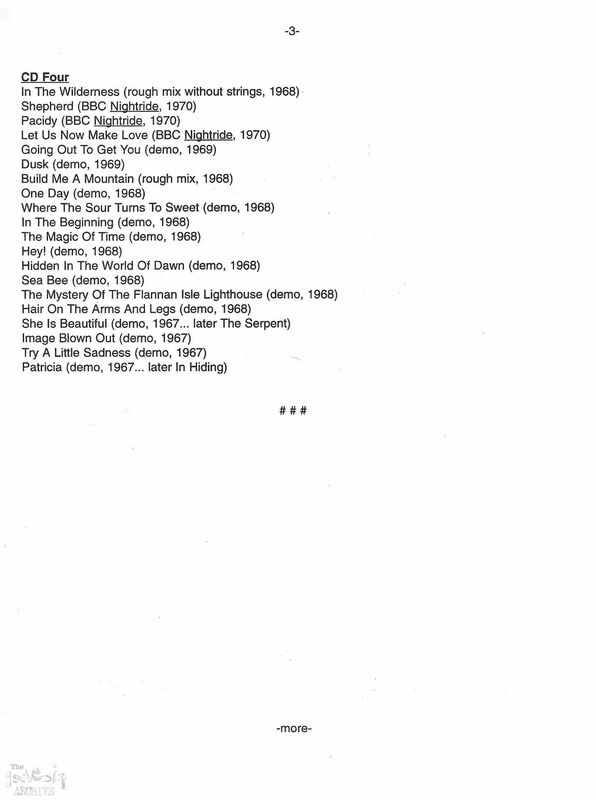 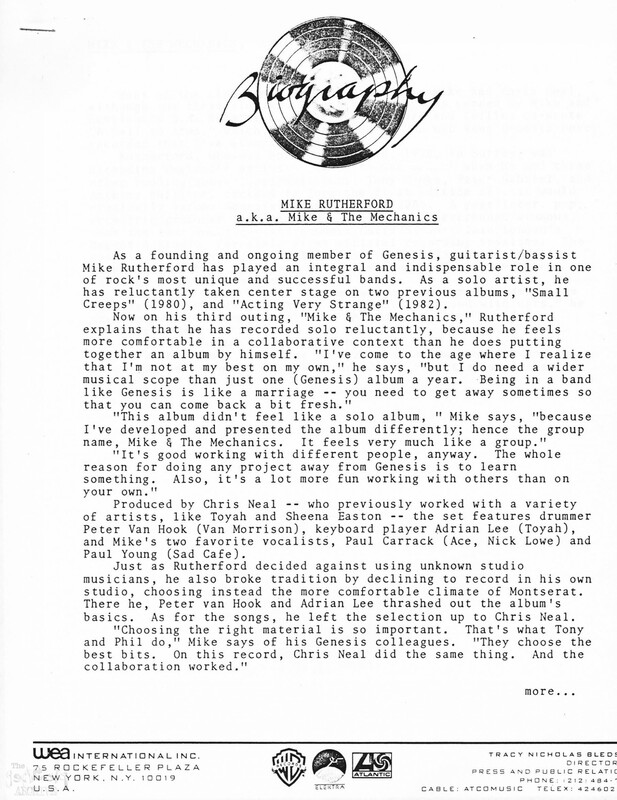 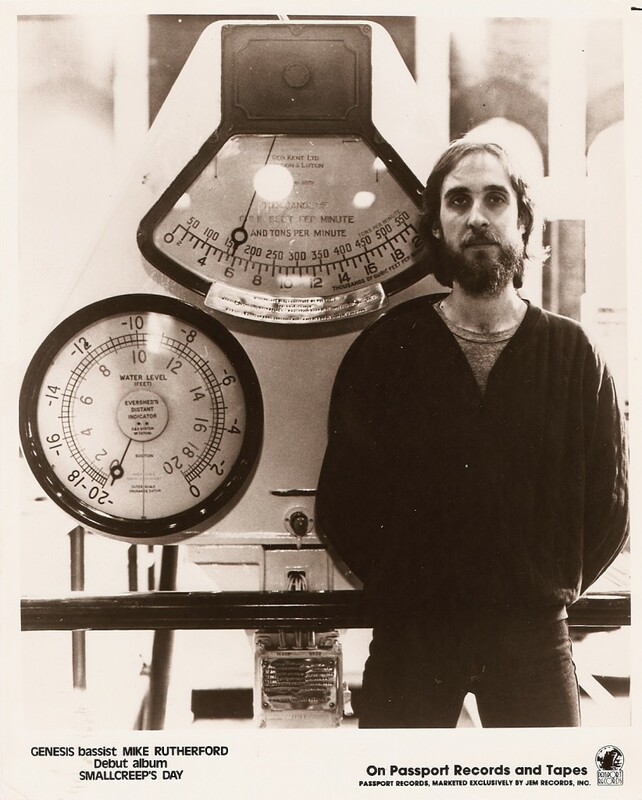 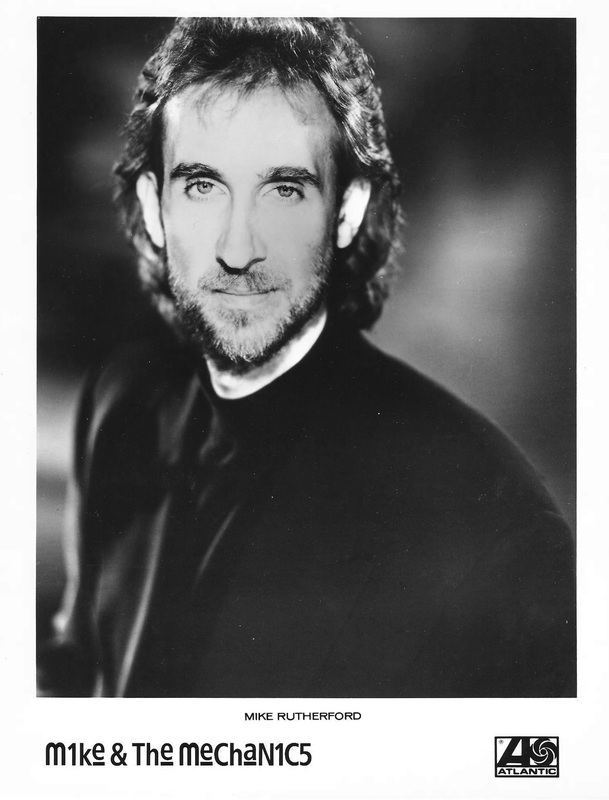 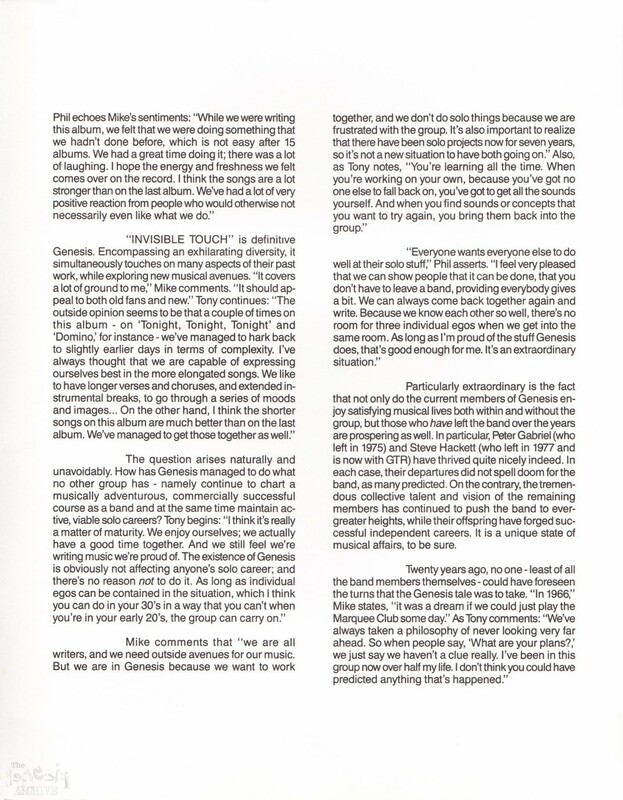 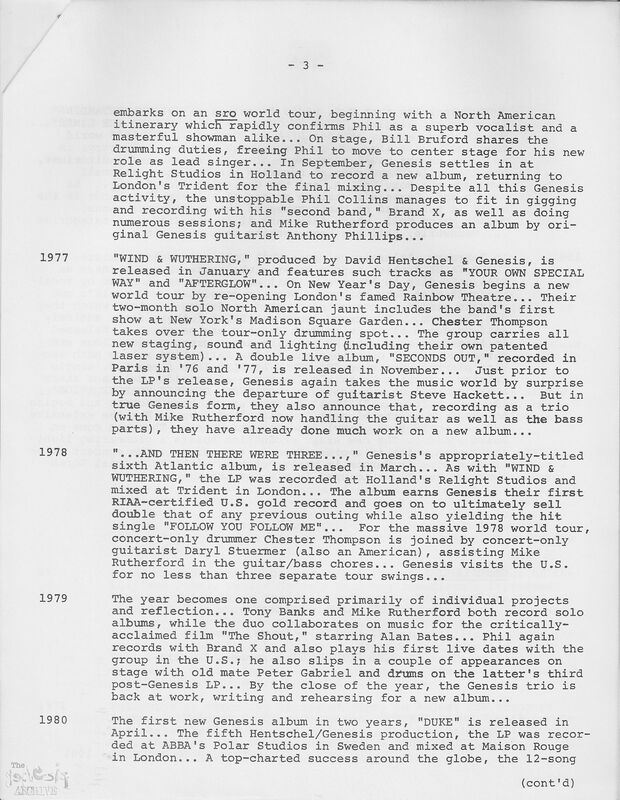 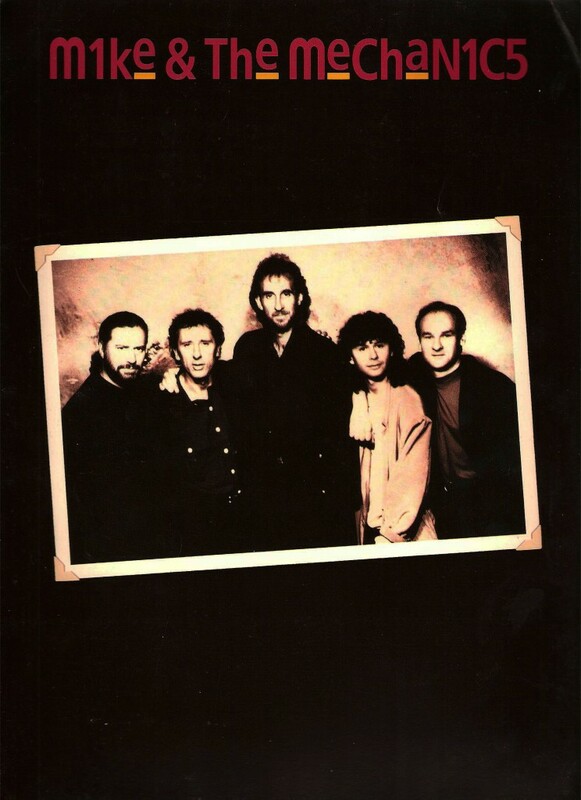 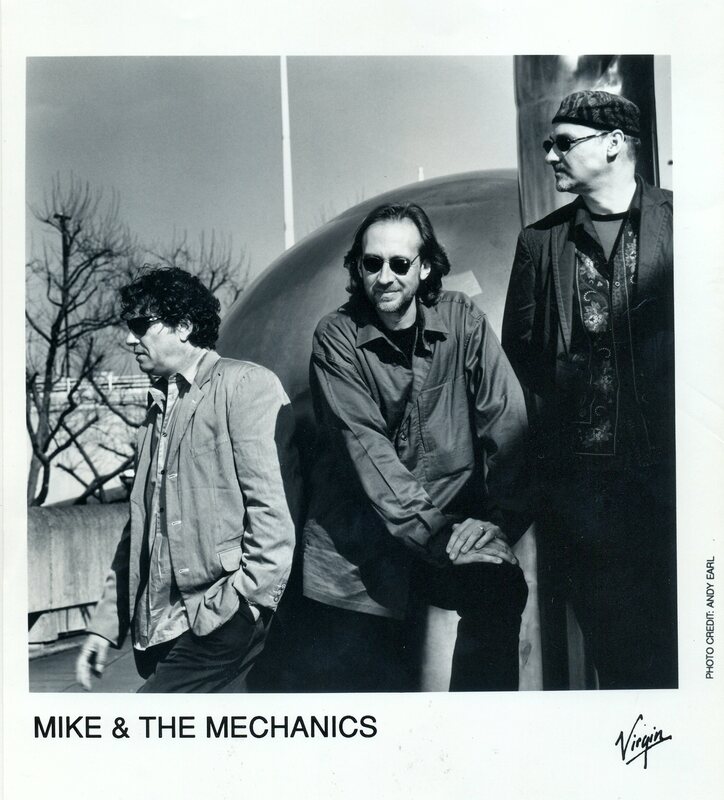 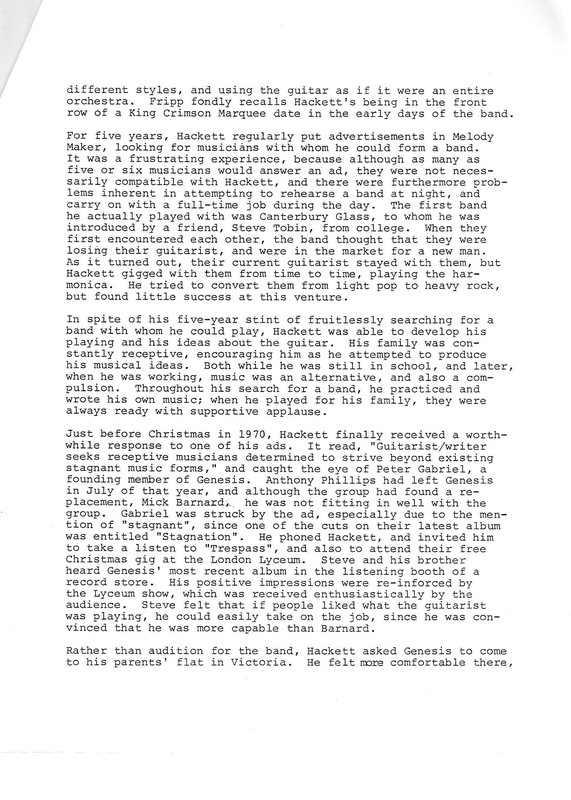 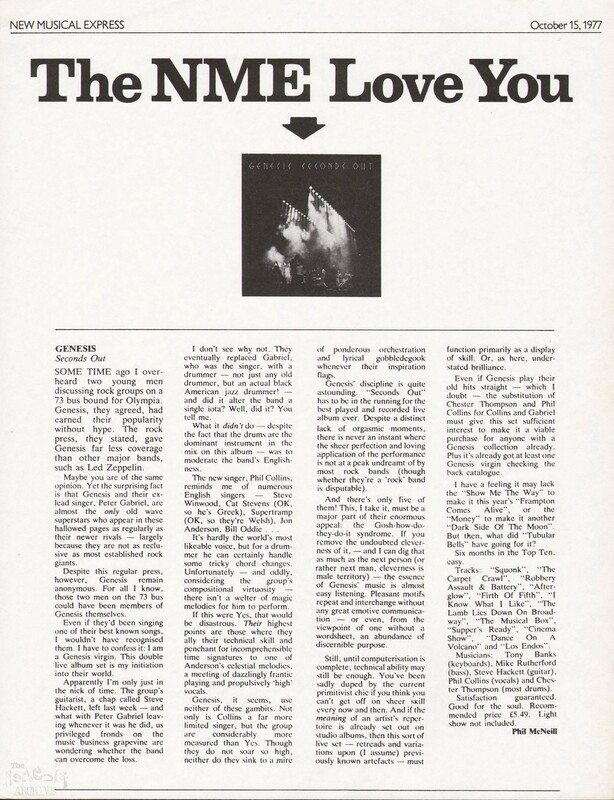 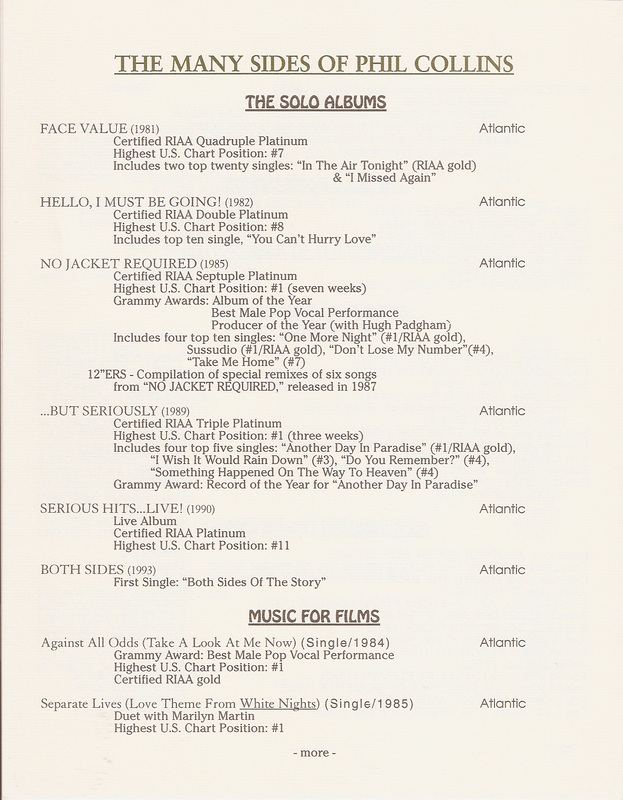 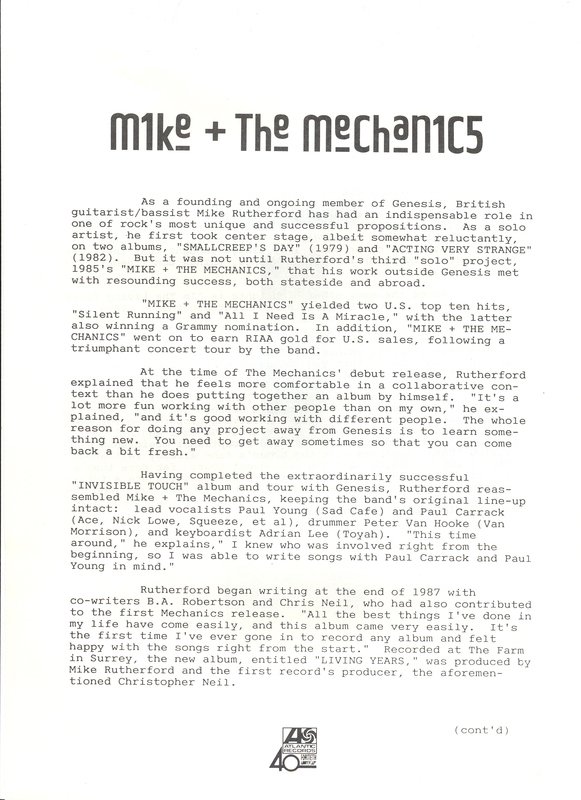 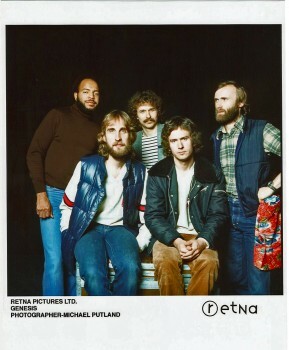 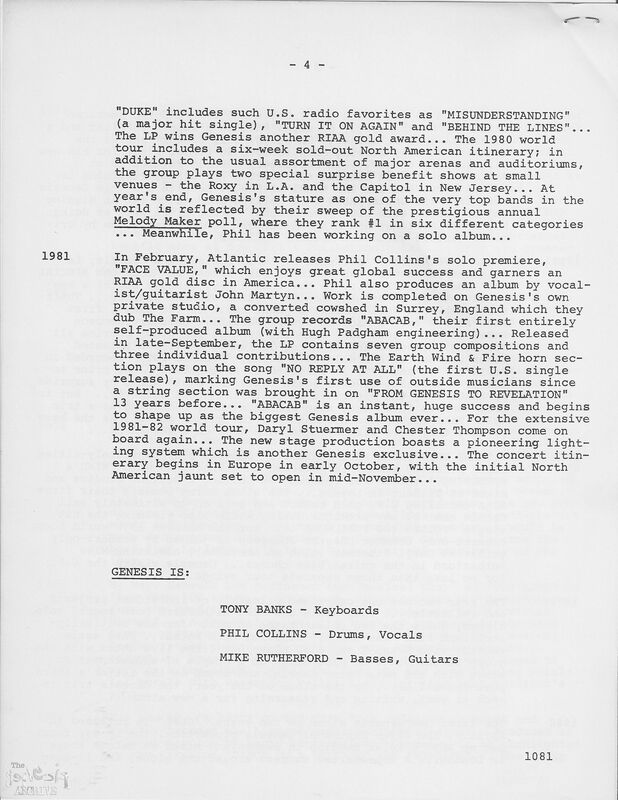 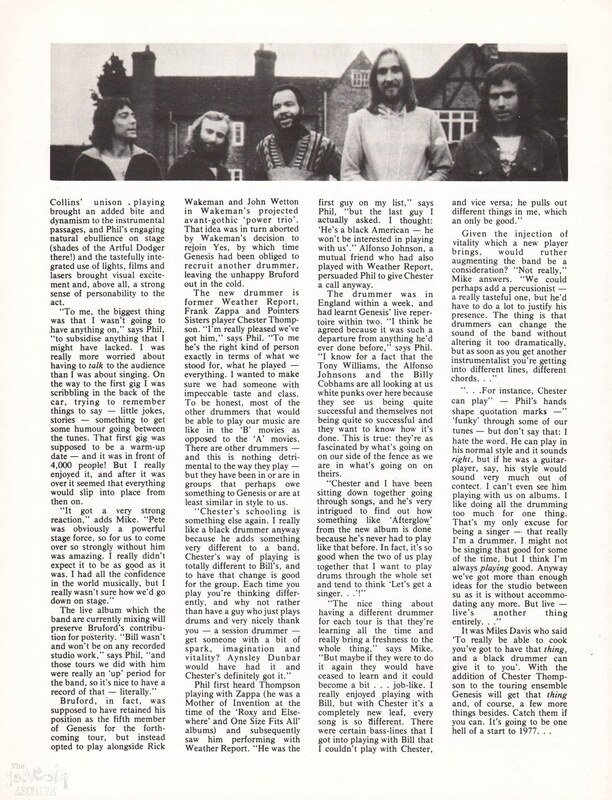 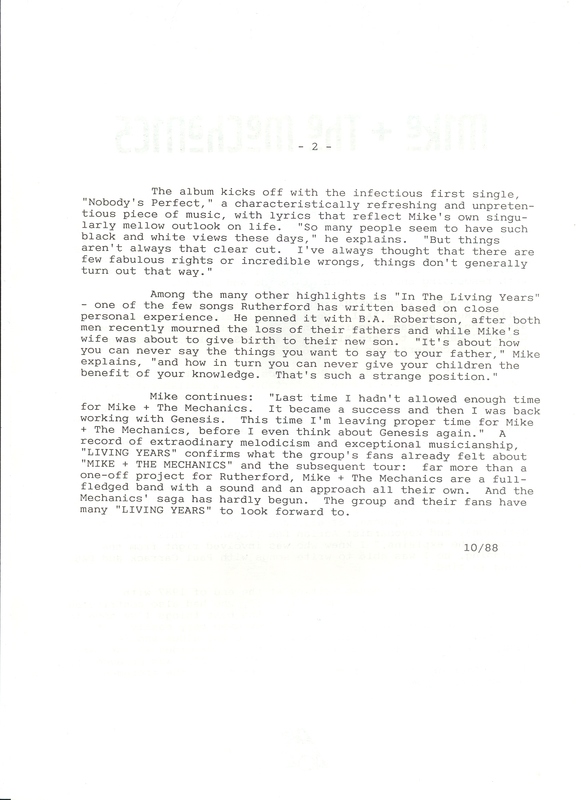 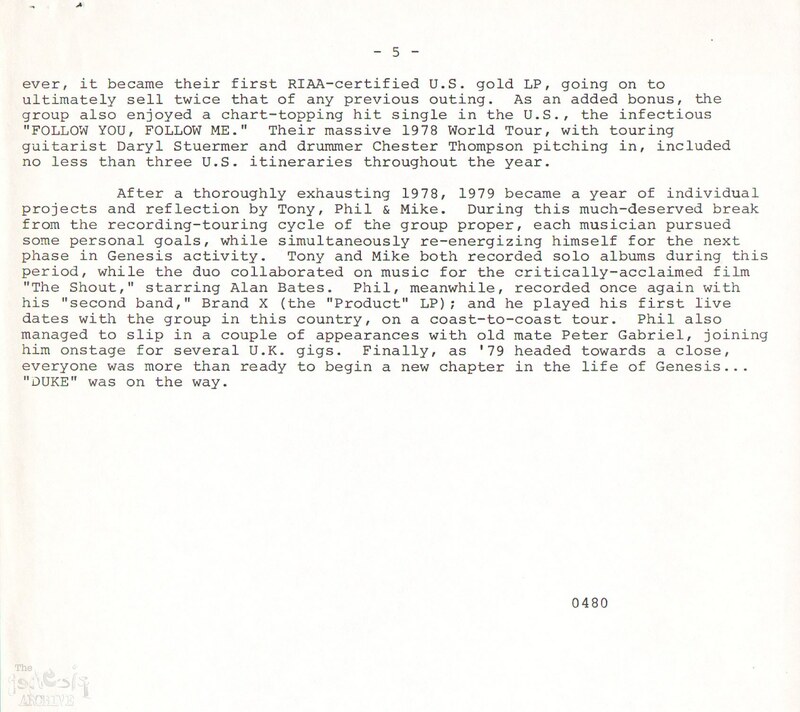 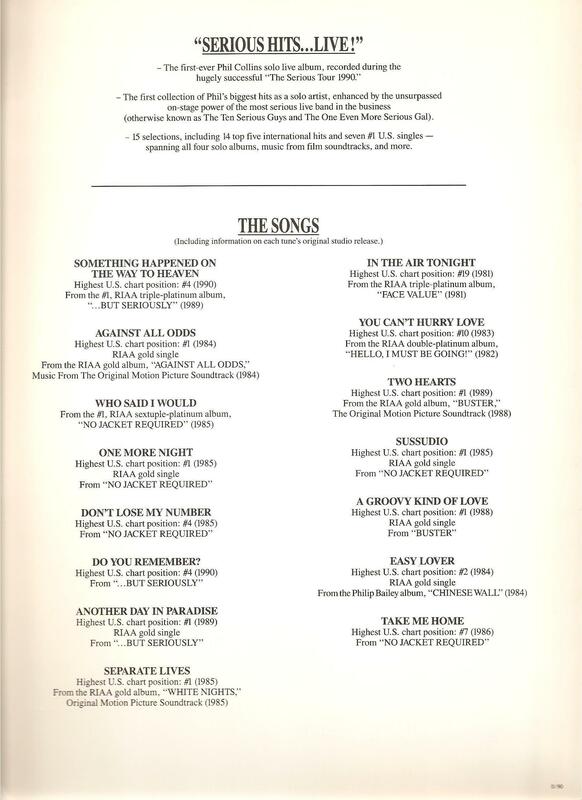 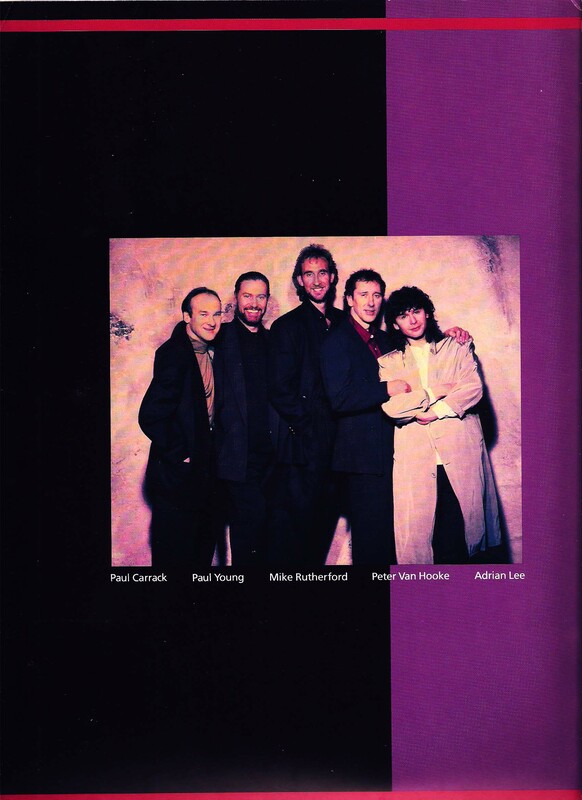 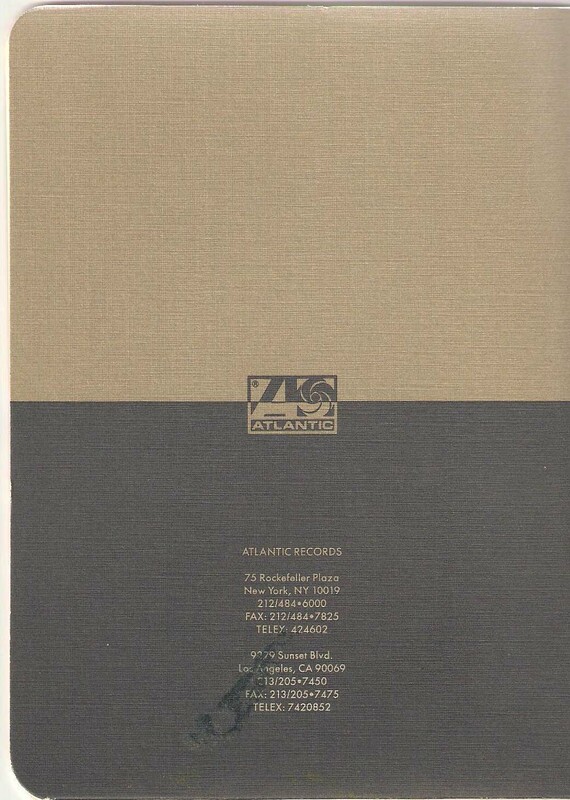 Mike and The Mechanics – The Living Years – Atlantic Records (therefore American) press kit. 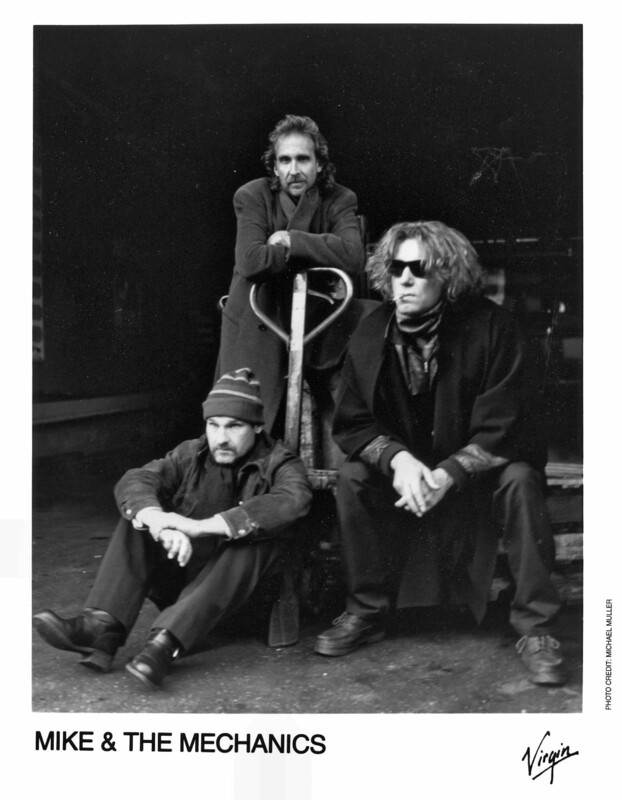 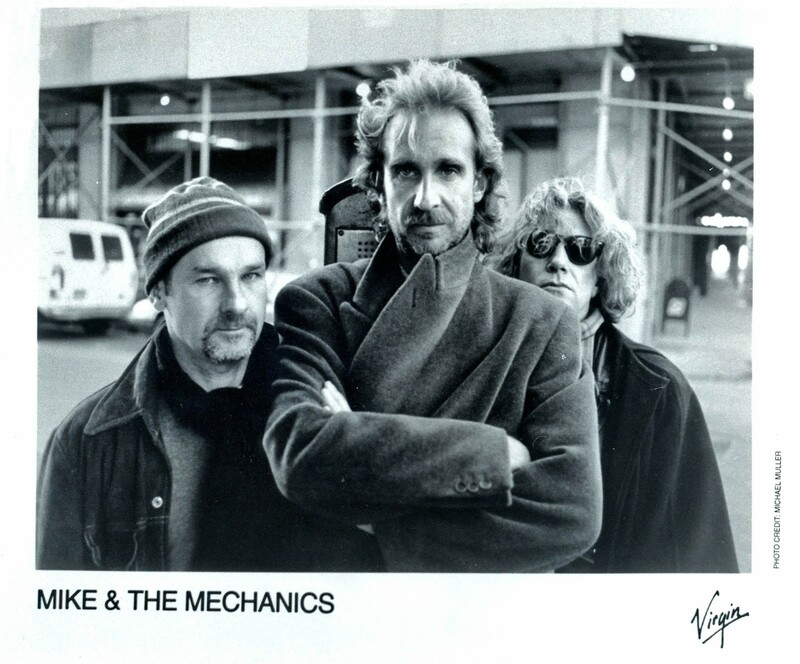 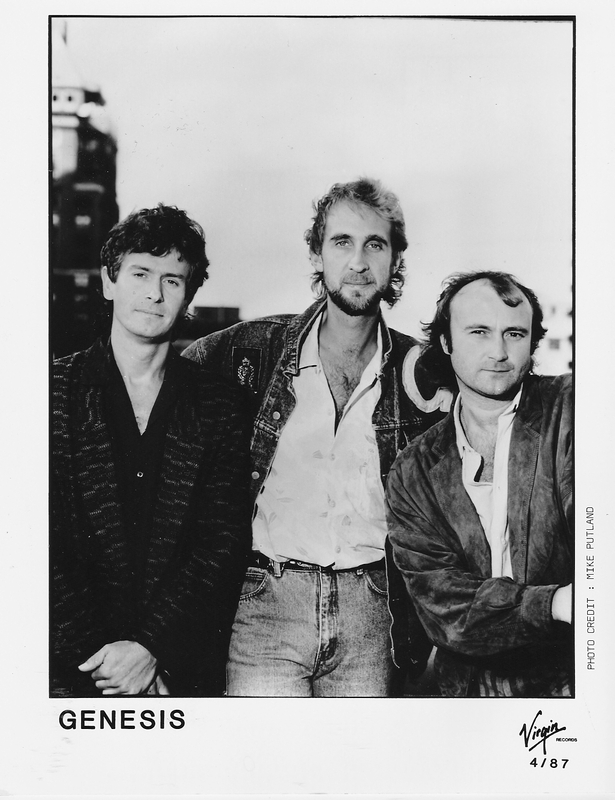 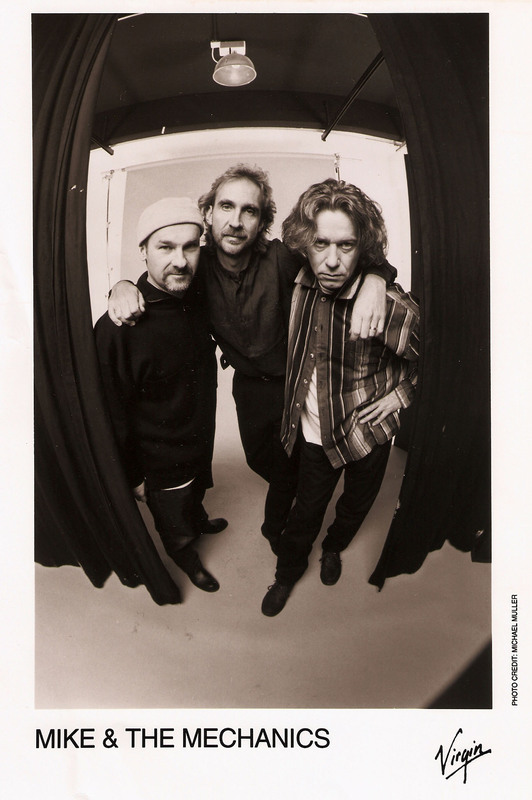 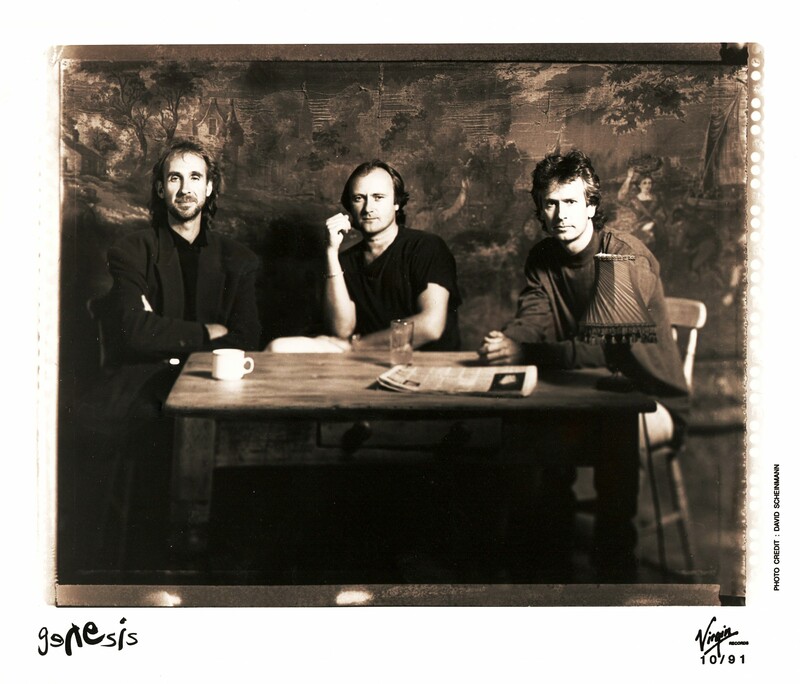 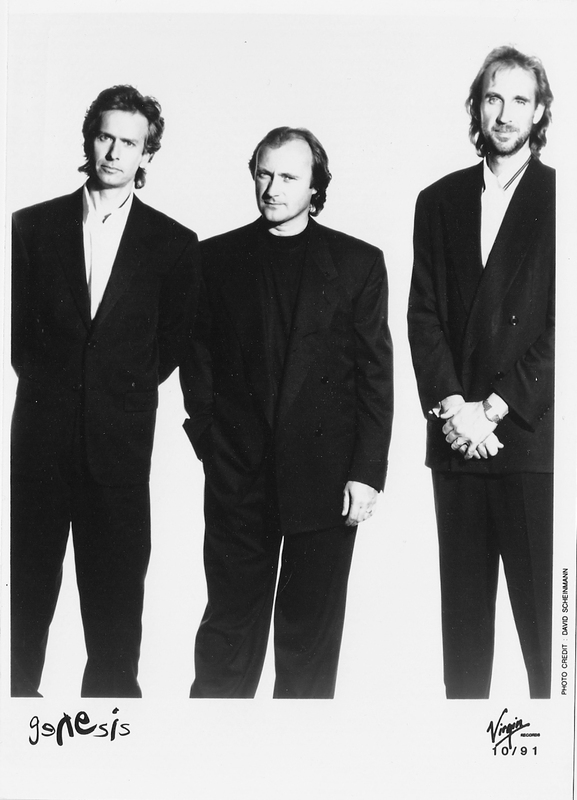 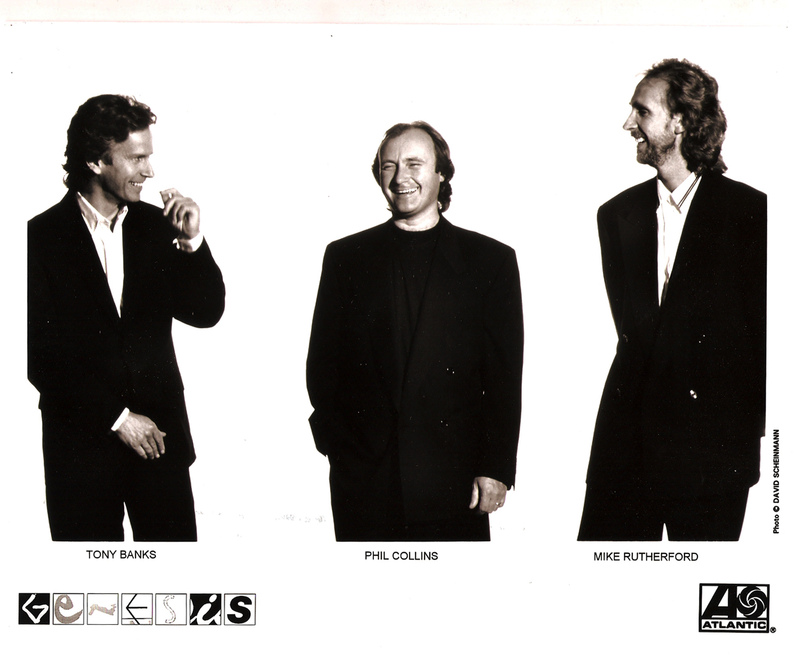 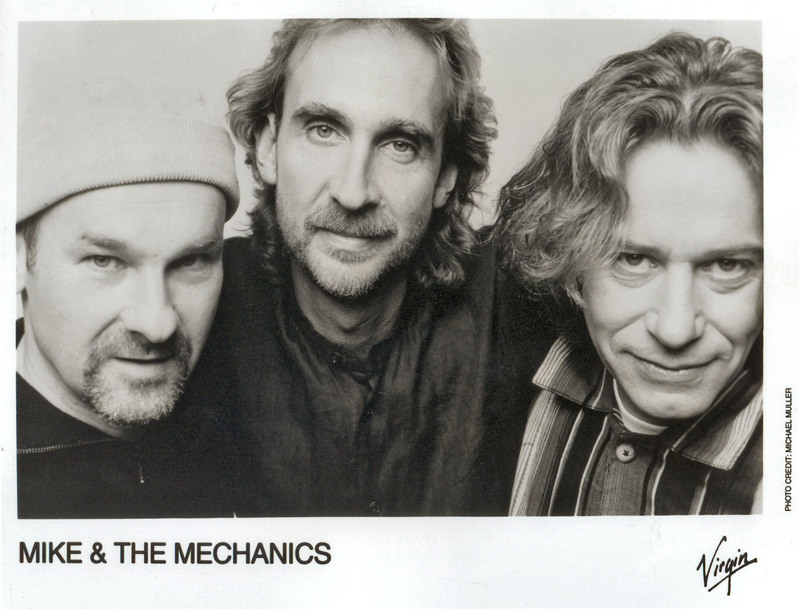 This is a trio of photos featruing group members of Mike and the Mechanics from around 1988 which would have been the era of The Living Years album..
An Atlantic Records (therefore an American) press kit for the Tony Banks album/project Bankstatement. 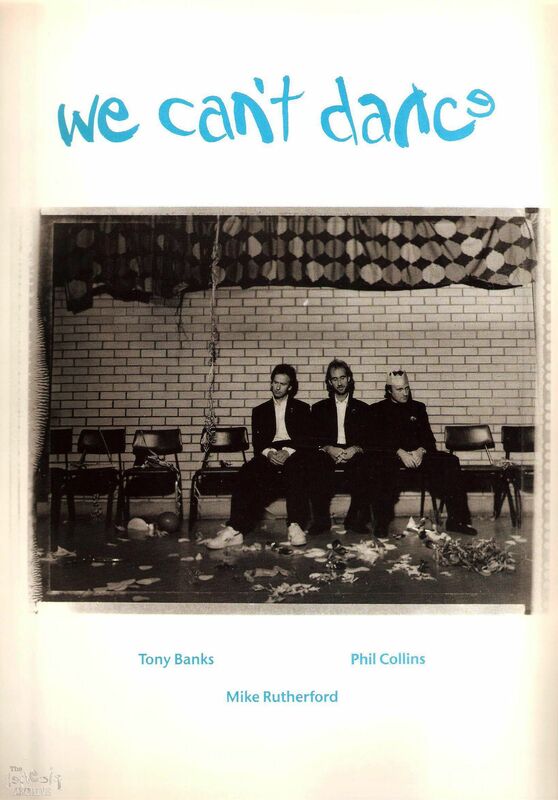 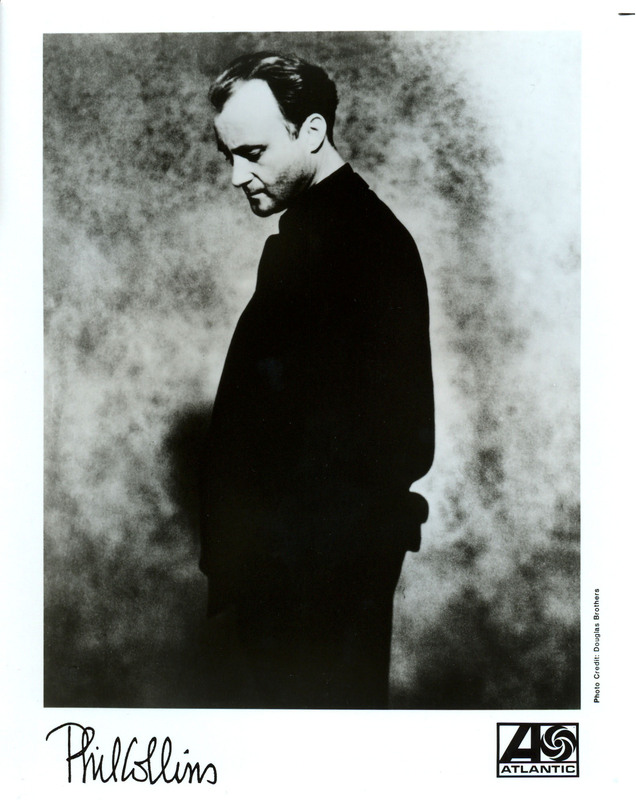 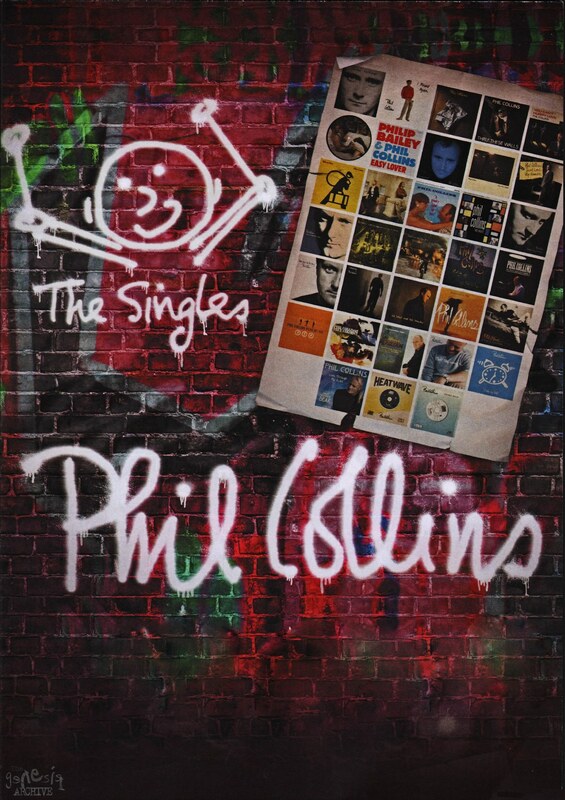 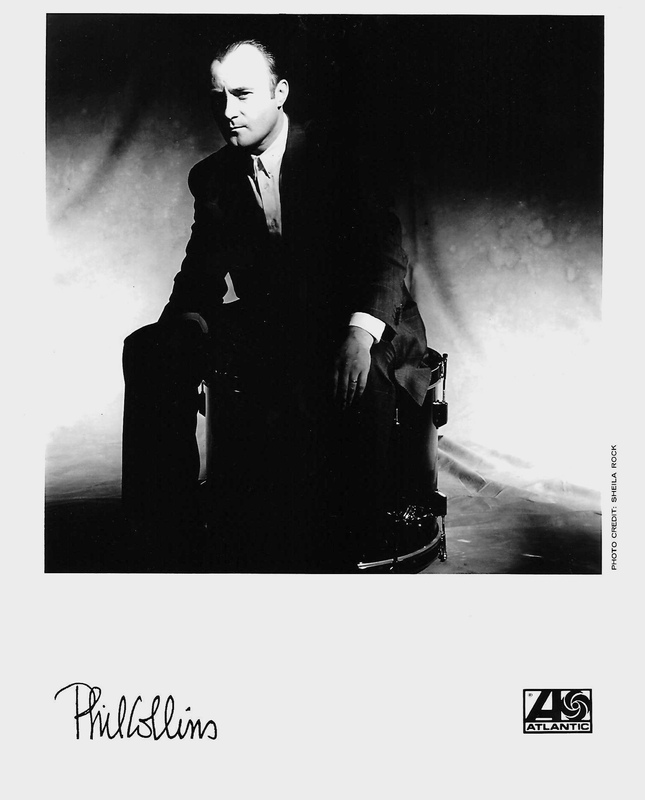 A few promo photos of Phil Collins around the time of the 1989 album But Seriously!. 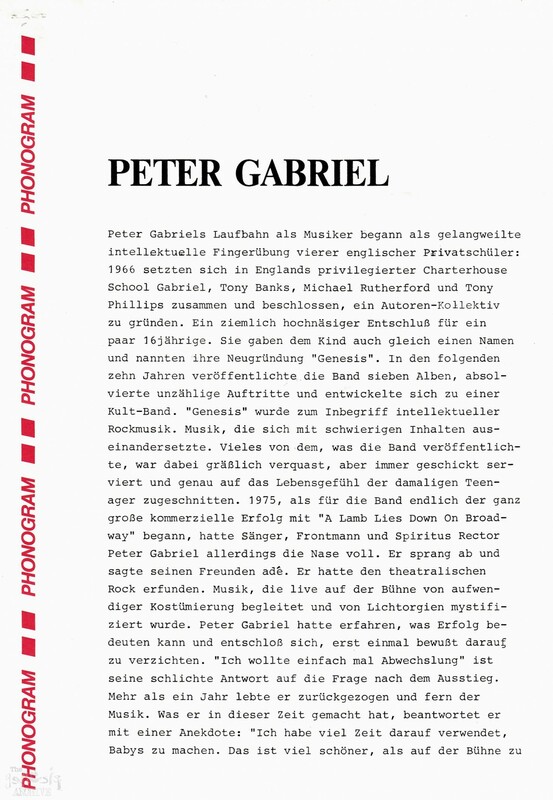 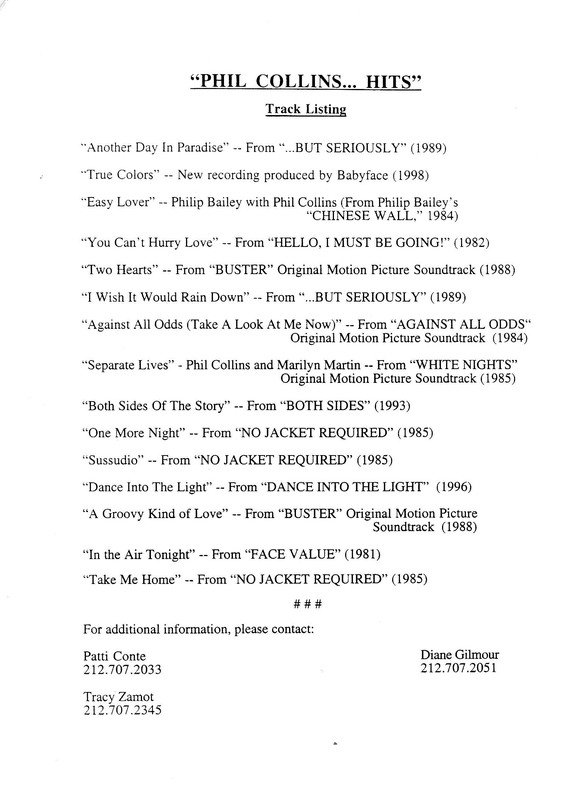 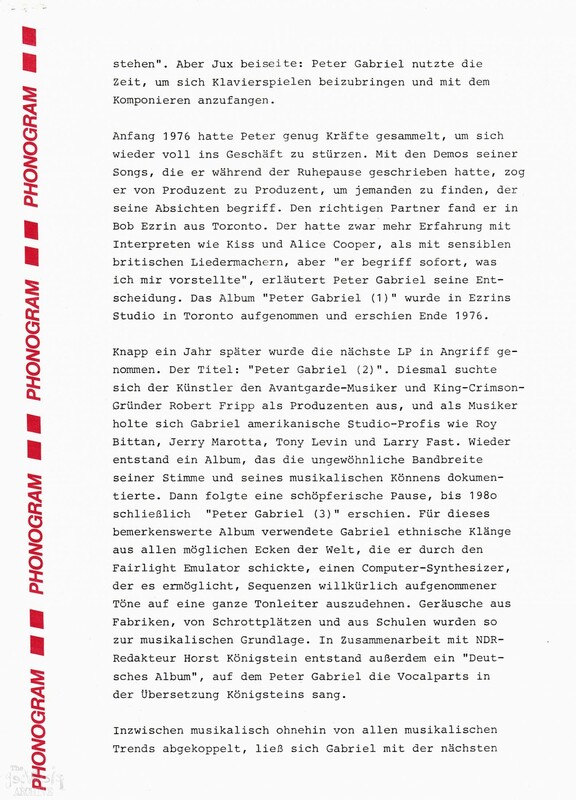 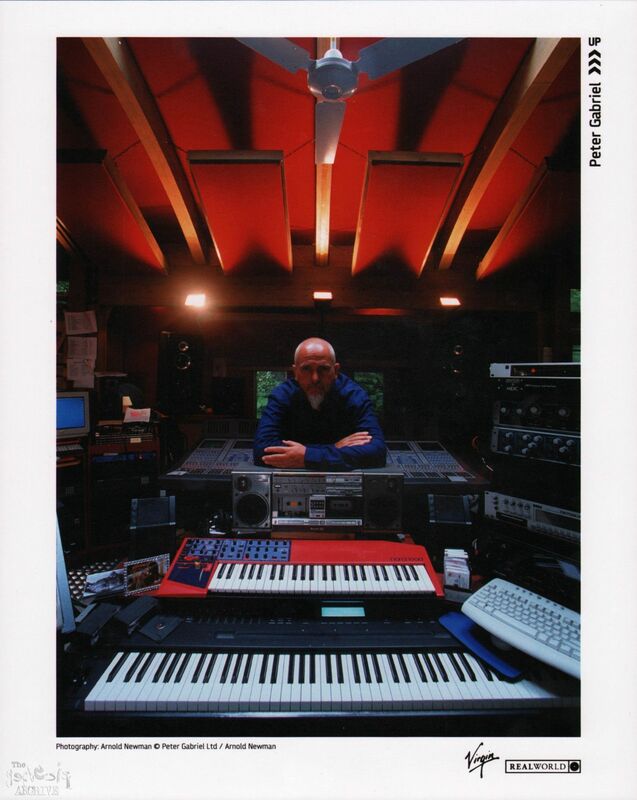 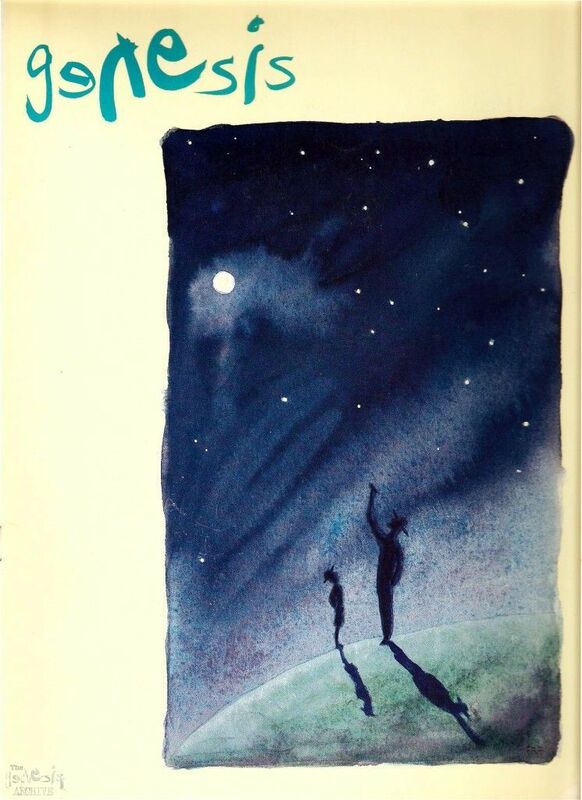 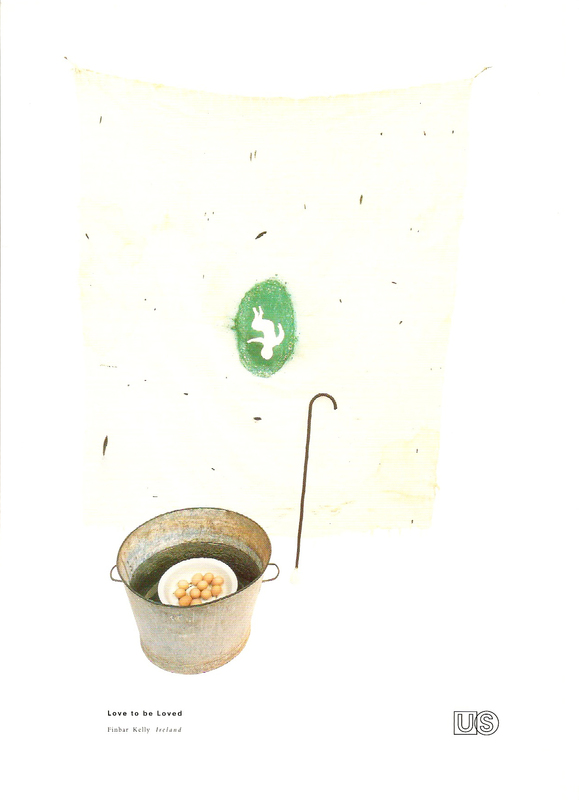 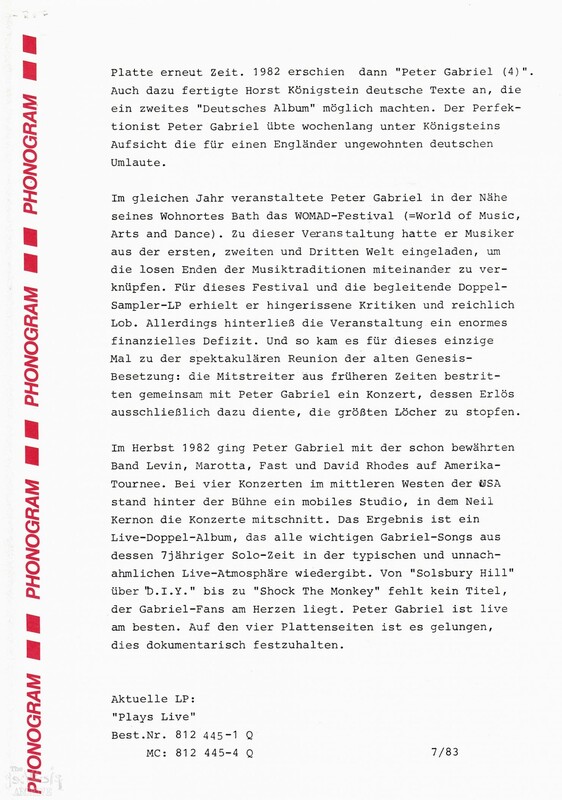 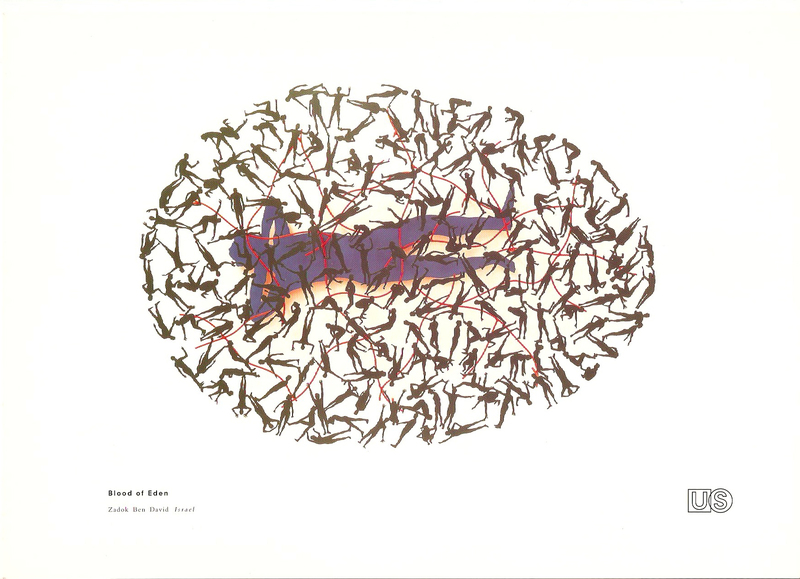 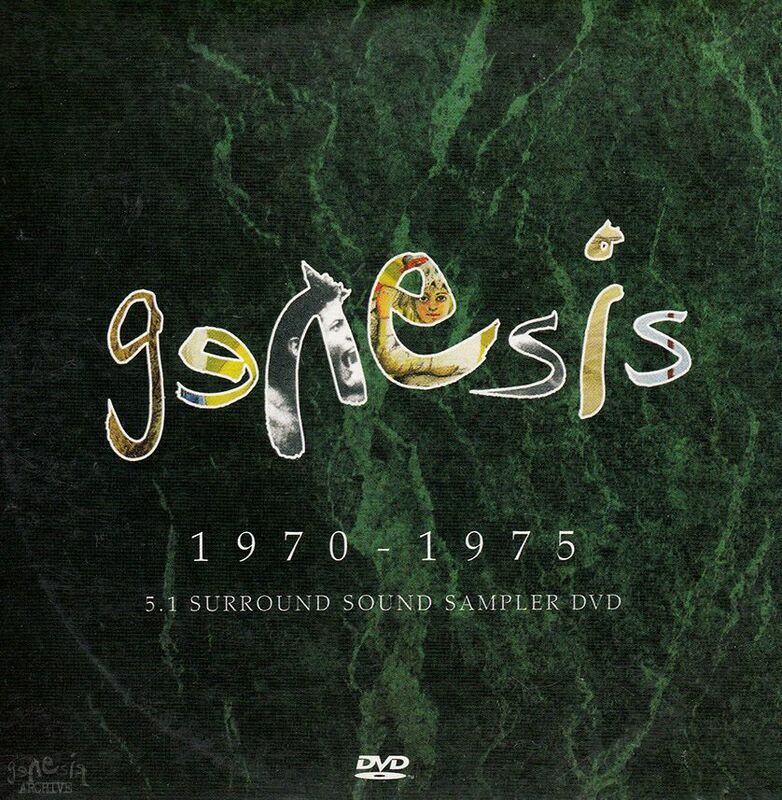 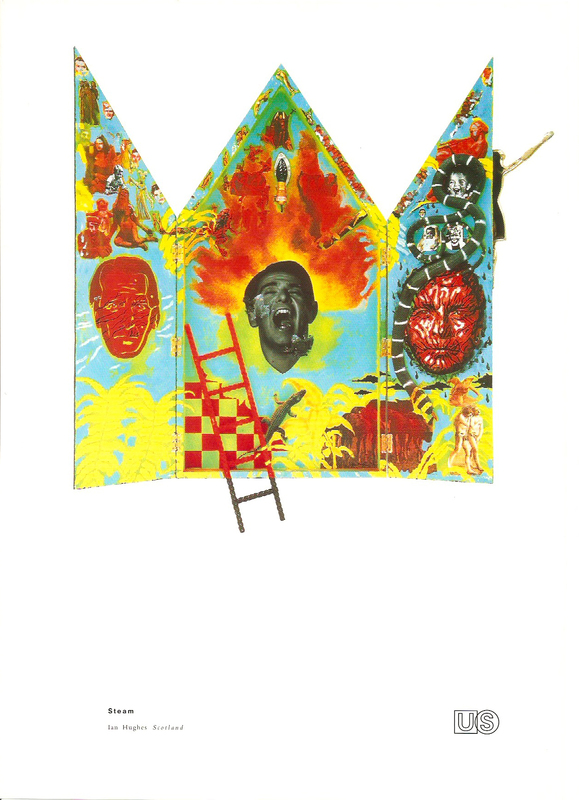 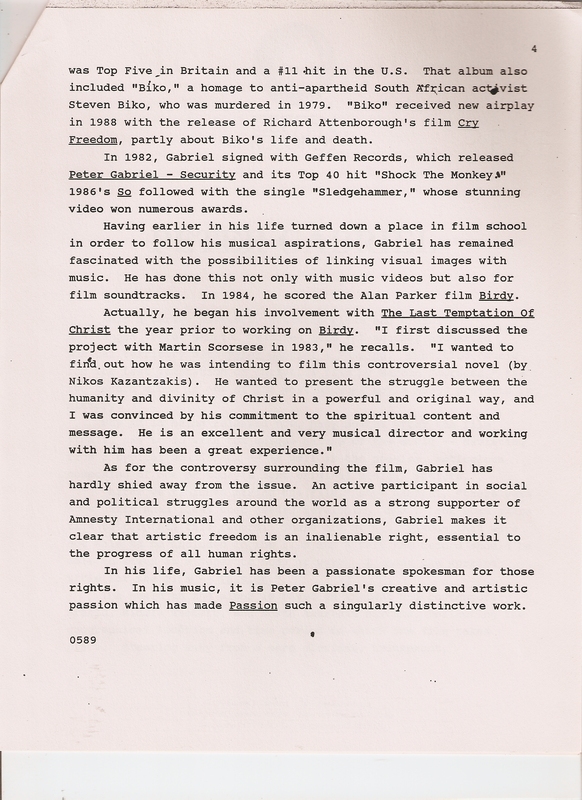 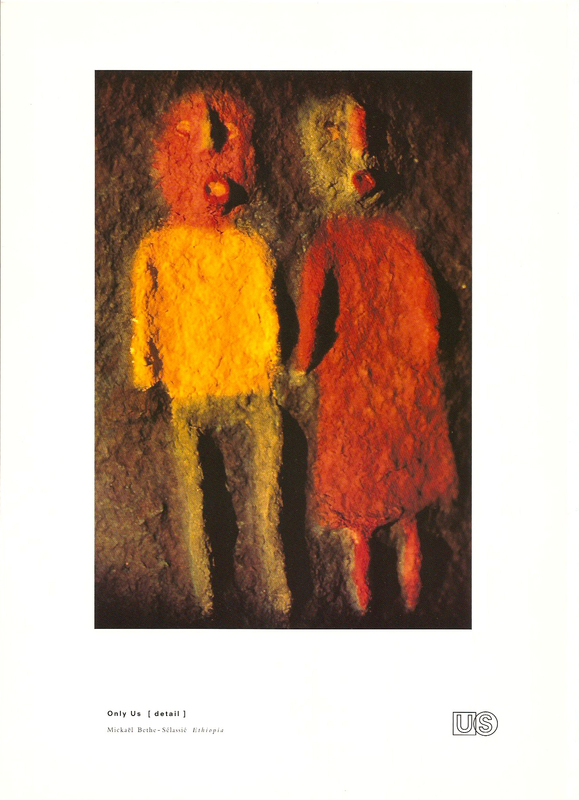 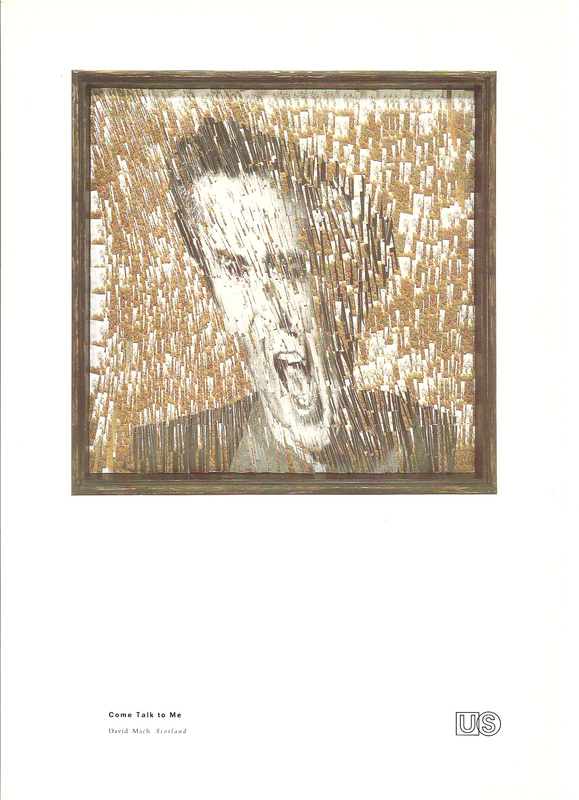 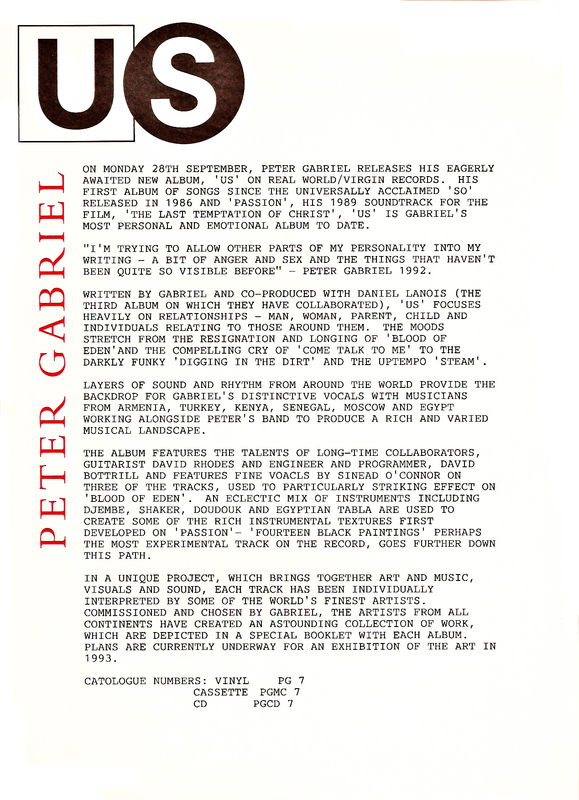 Peter Gabriel and others – Passion Sources soundtrack. 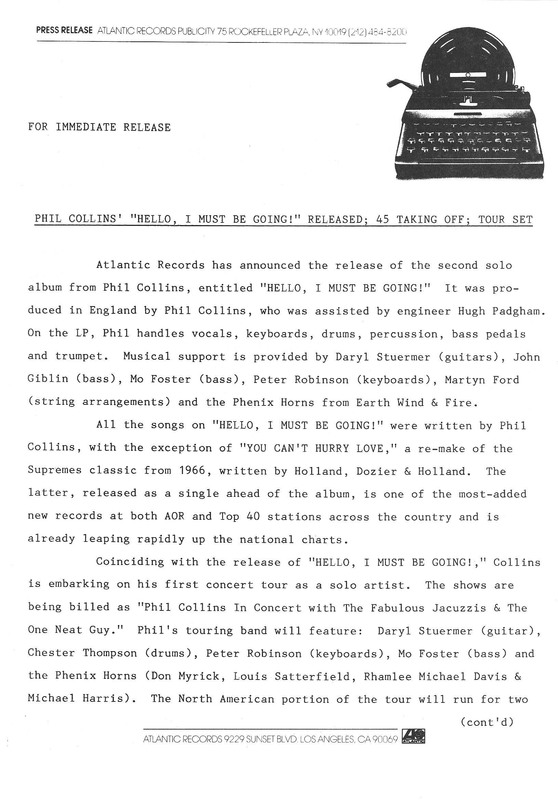 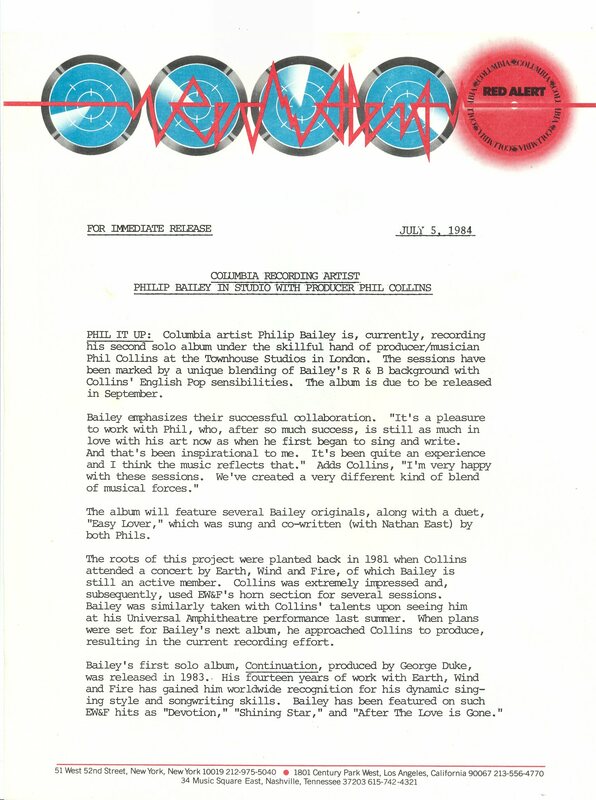 An Atlantic Records (therefore American) press kit for the 1989 Phil Collins album But Seriously! 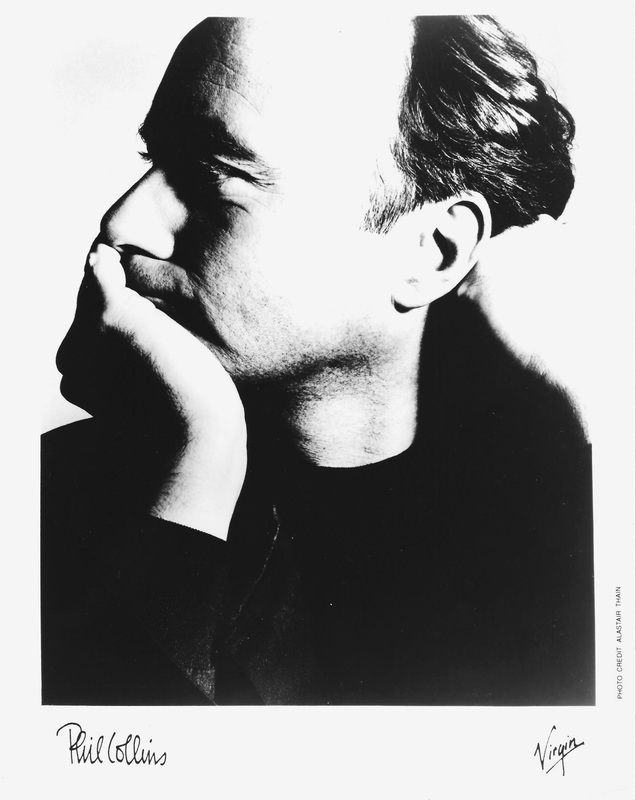 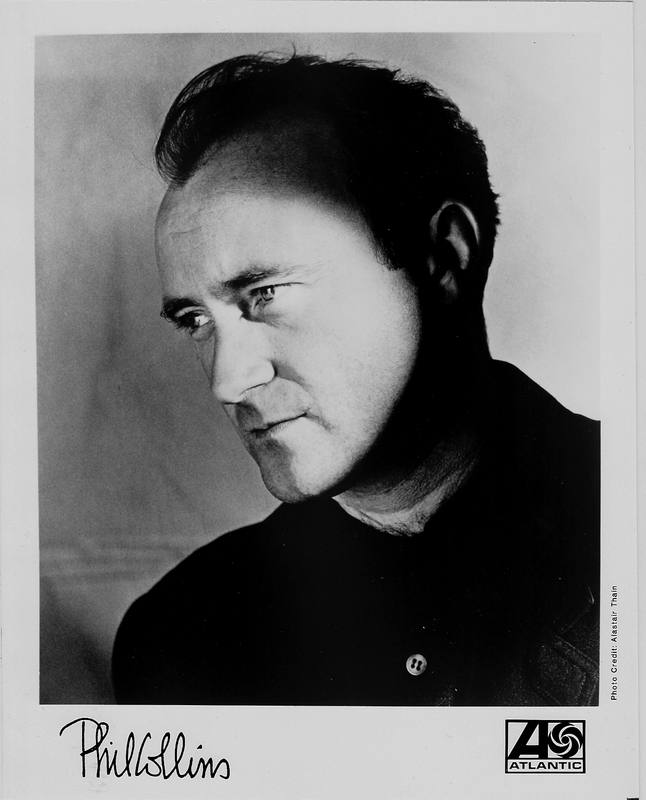 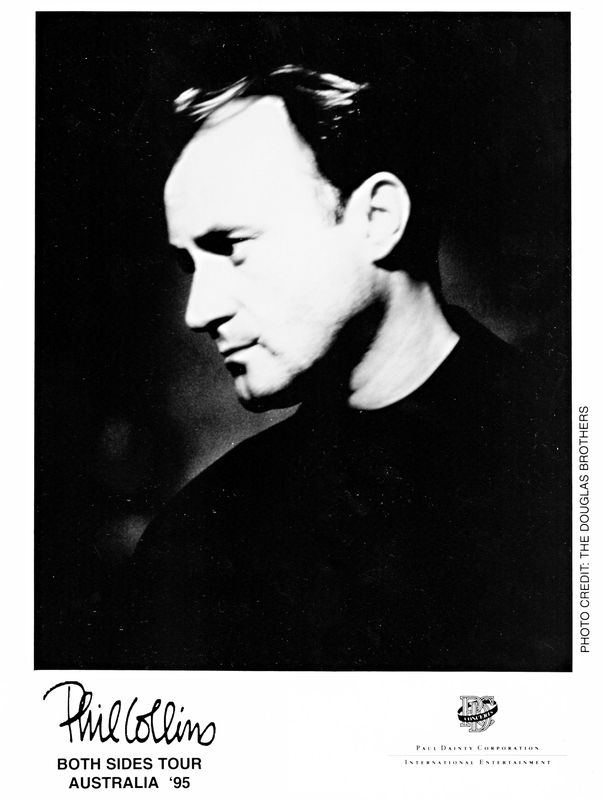 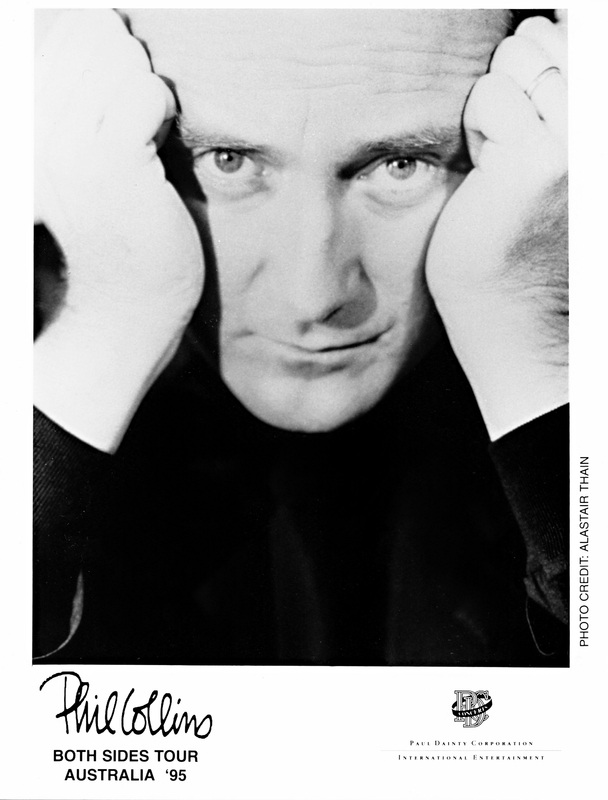 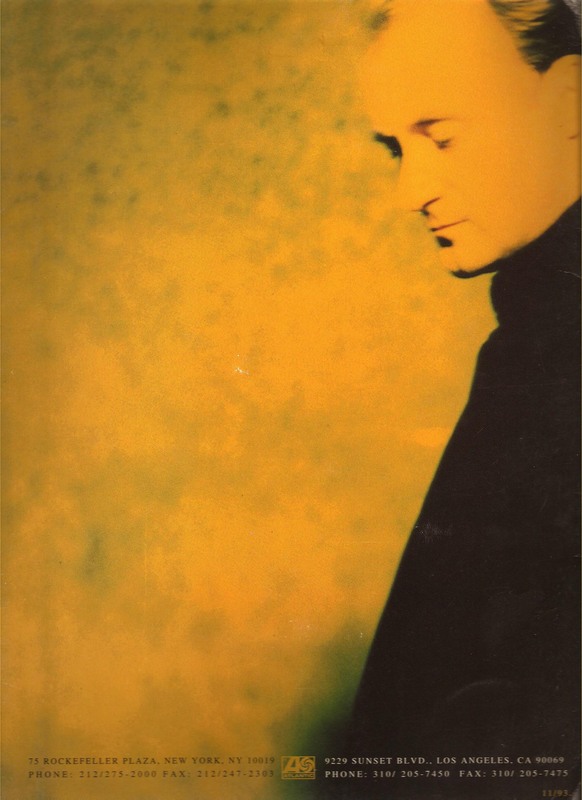 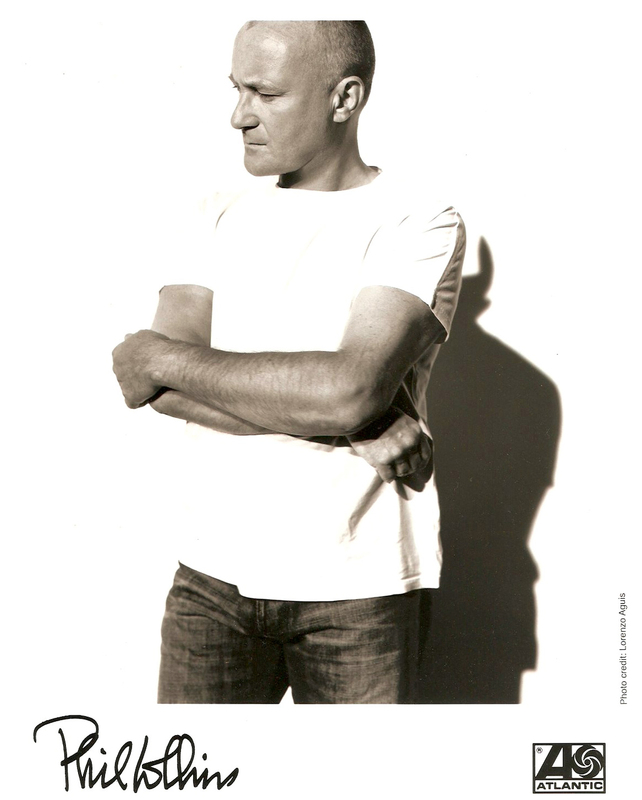 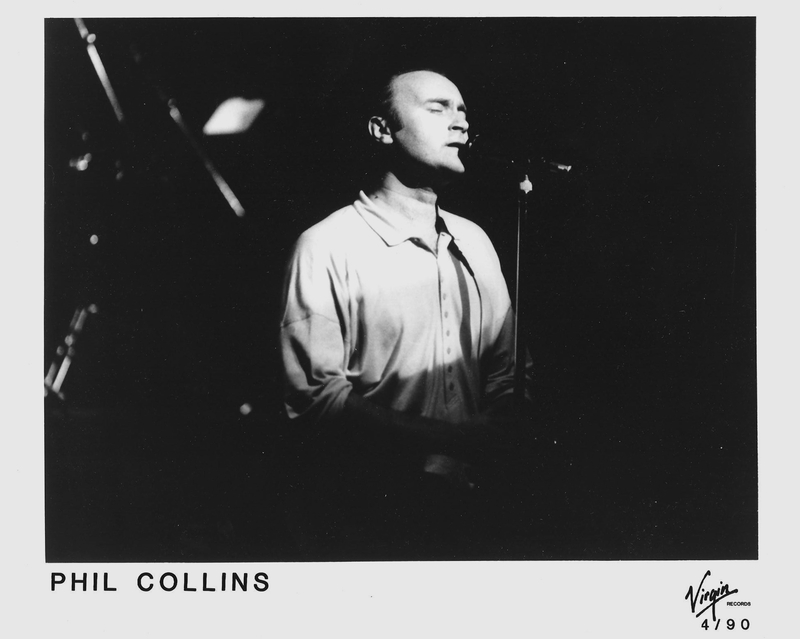 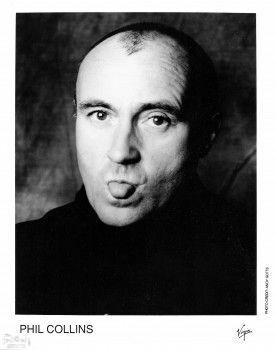 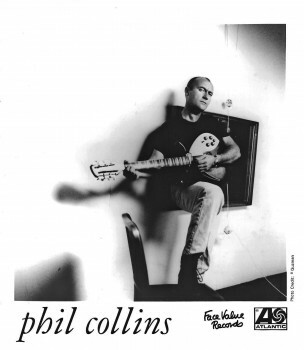 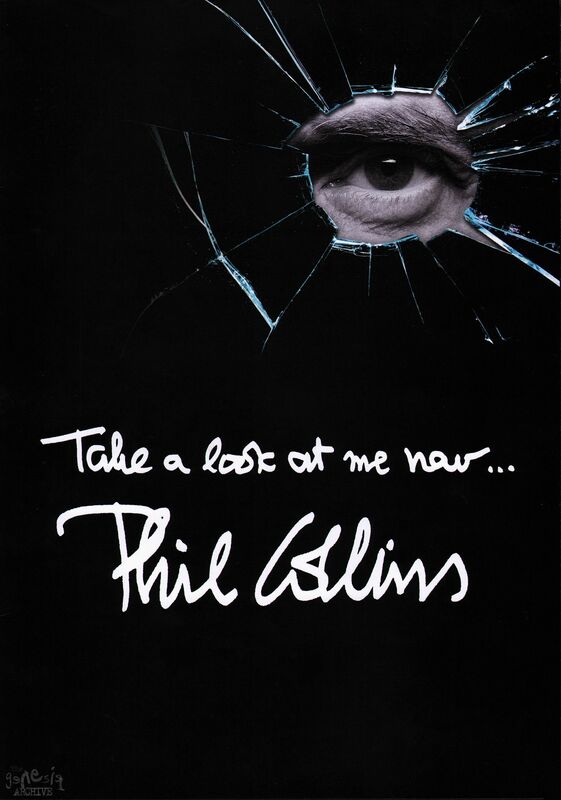 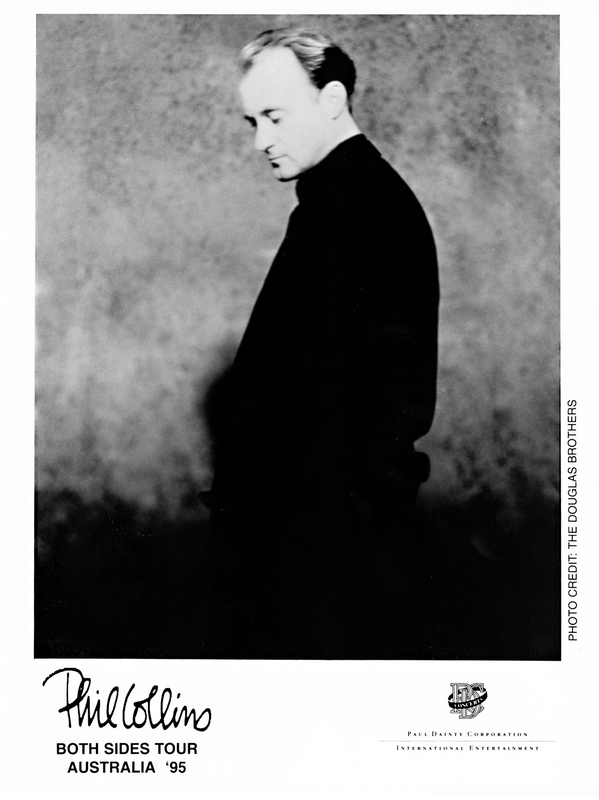 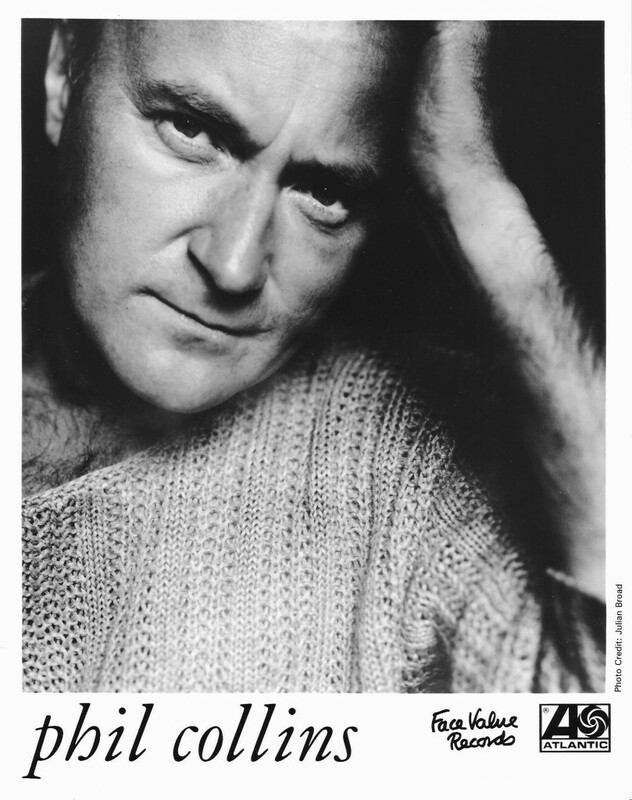 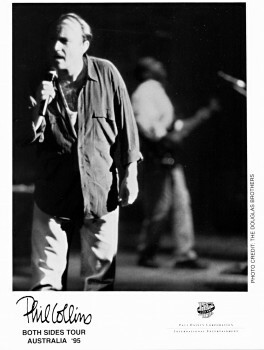 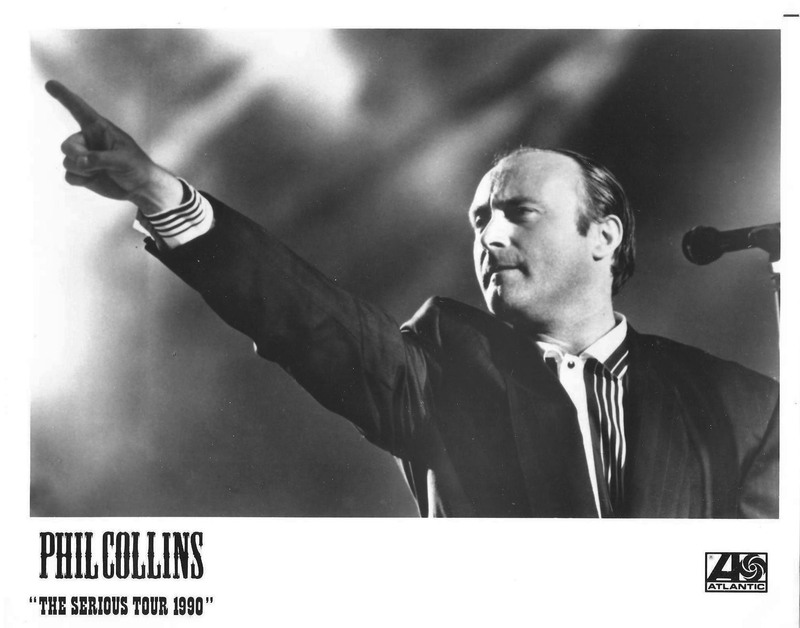 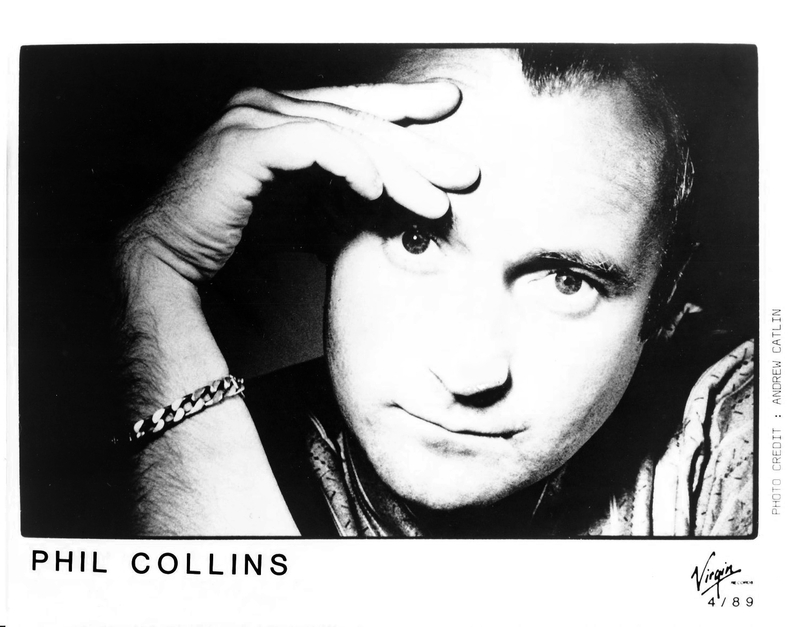 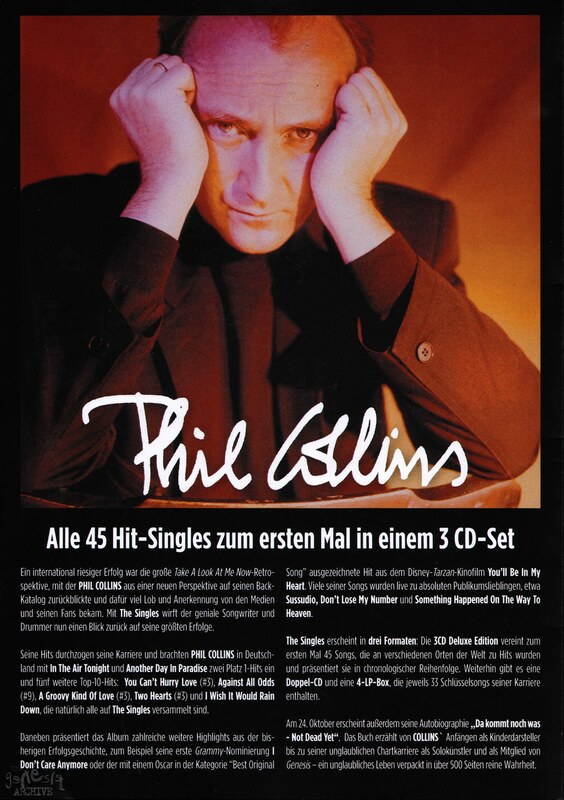 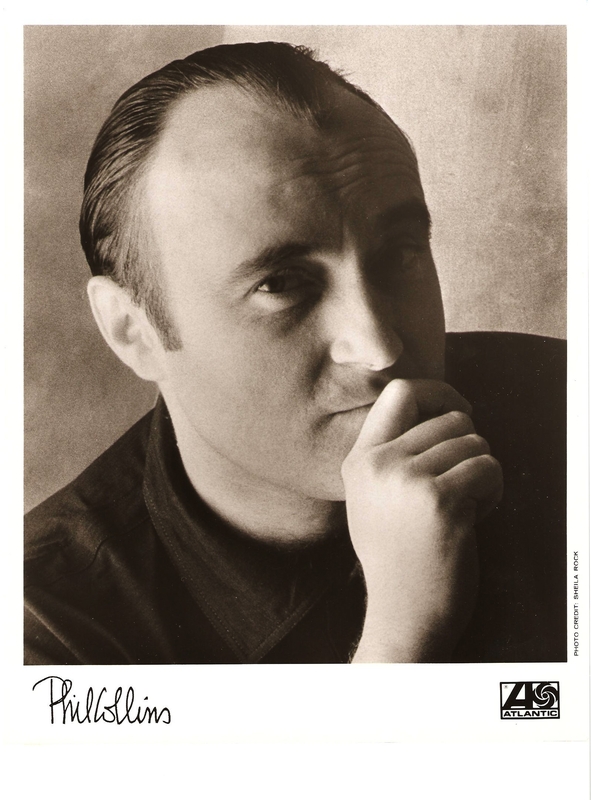 a collection of Phil Collins promo photos from 1990. 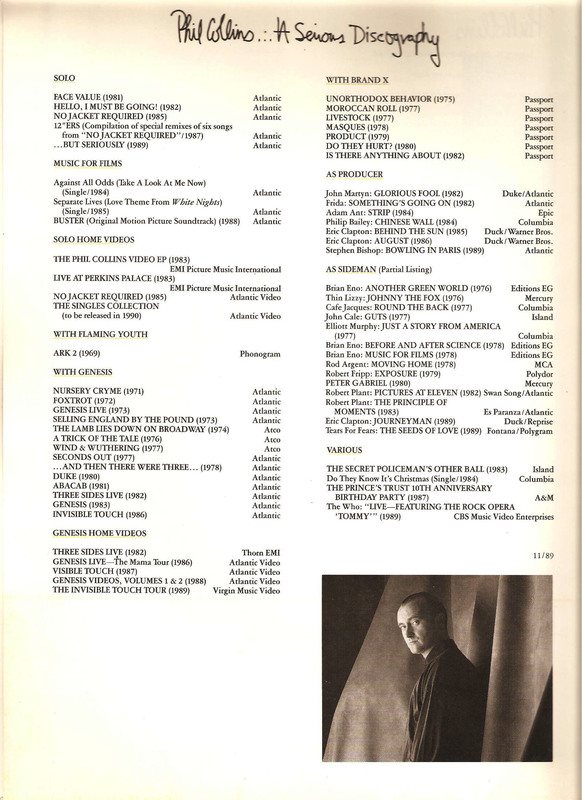 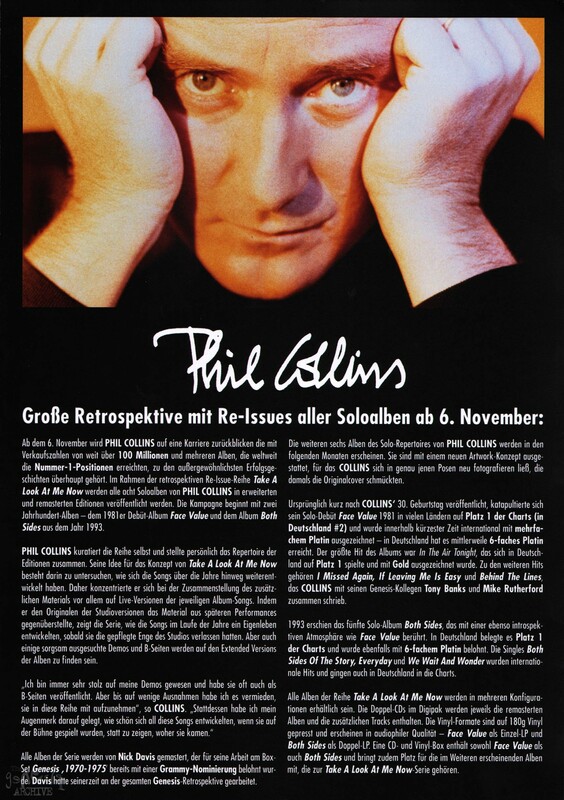 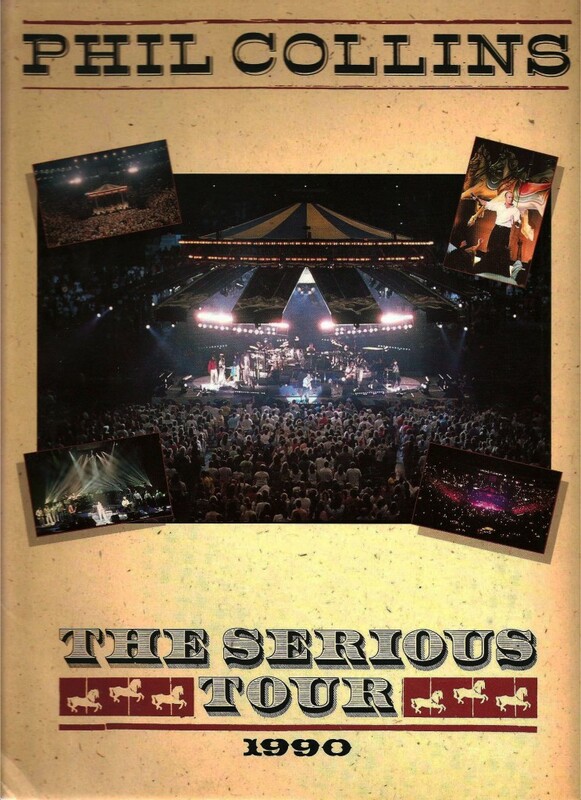 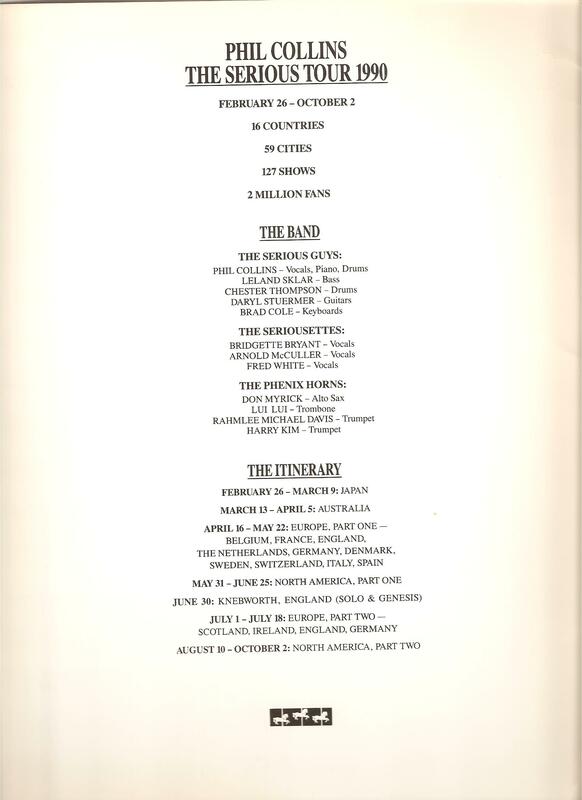 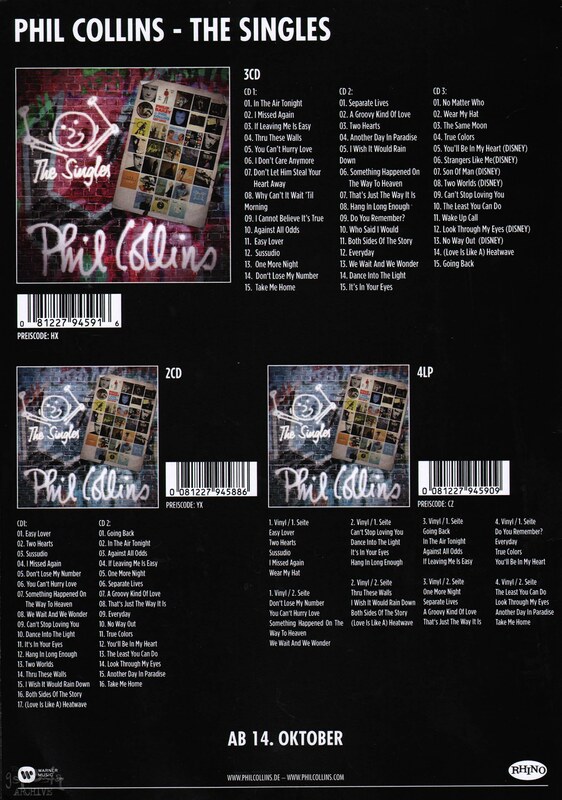 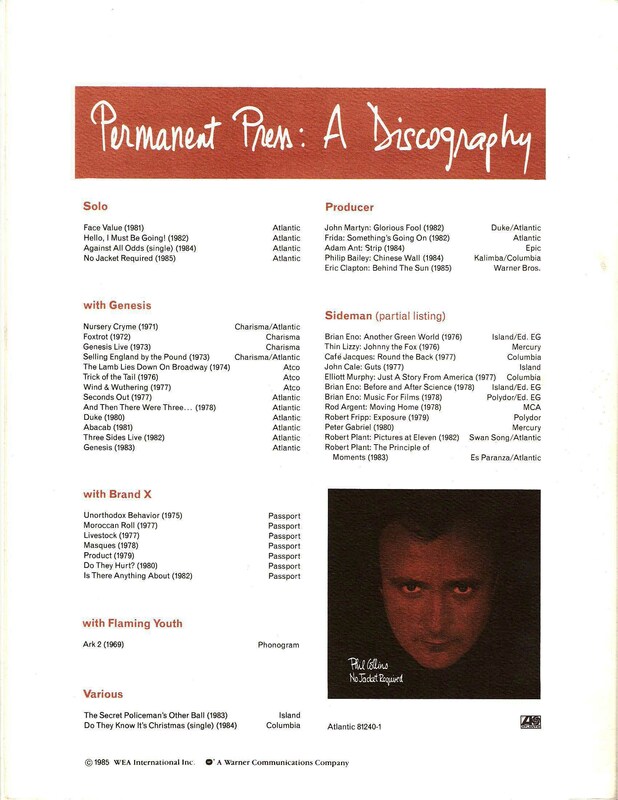 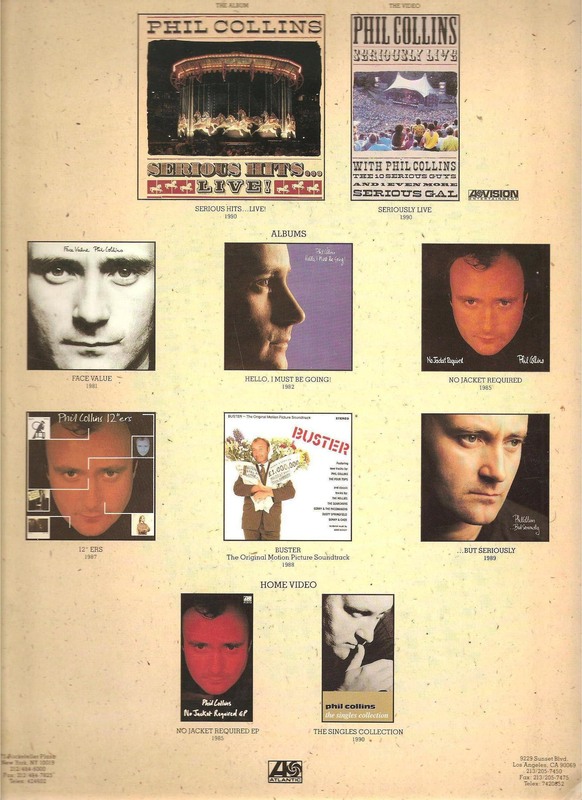 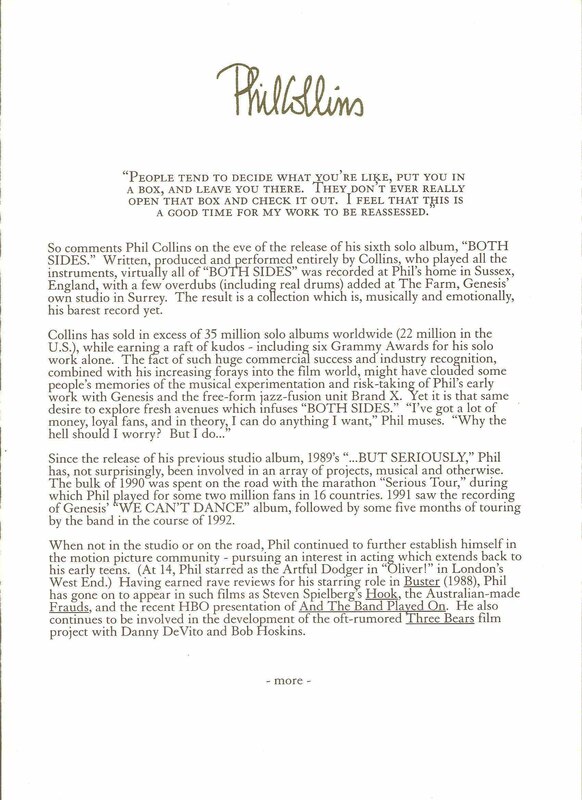 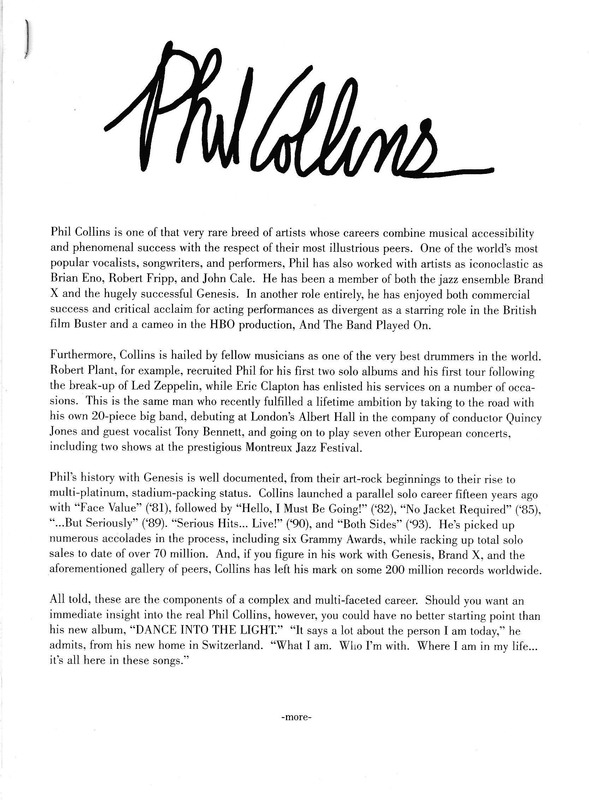 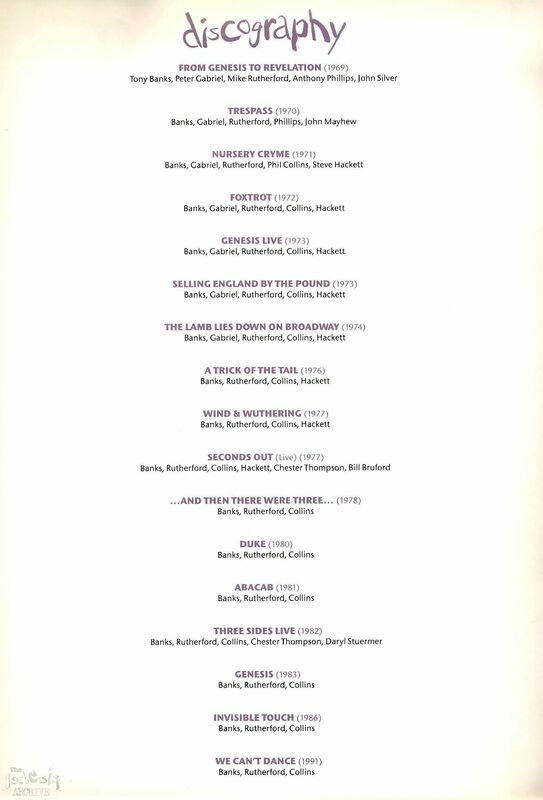 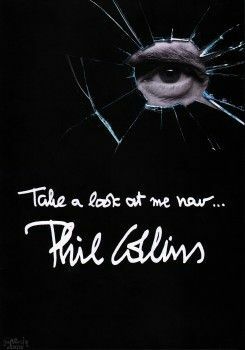 The press kit for the 1990 album Serious Hits Live – Phil Collins which is taken from various shows on his 1990 But Seriously World tour! 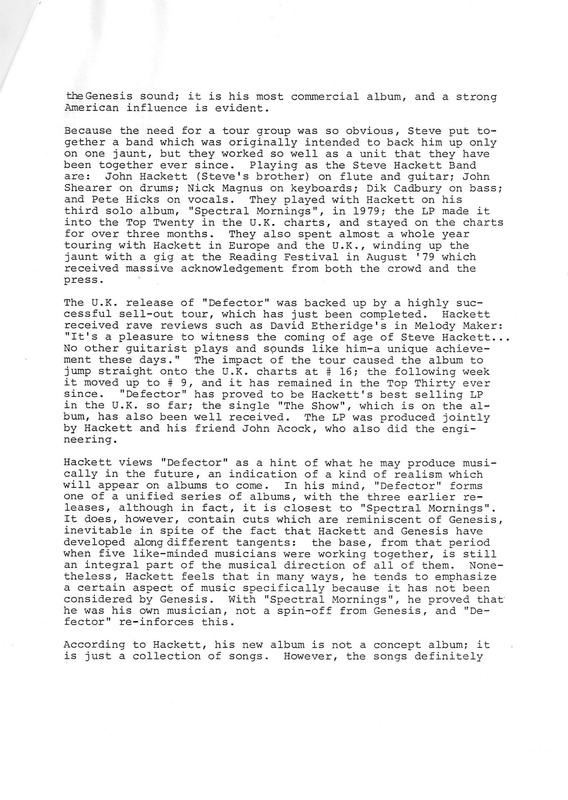 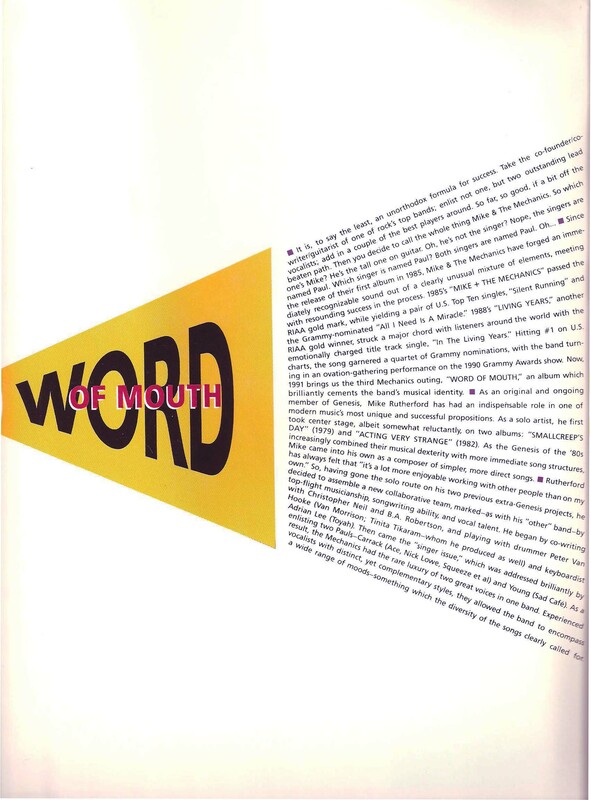 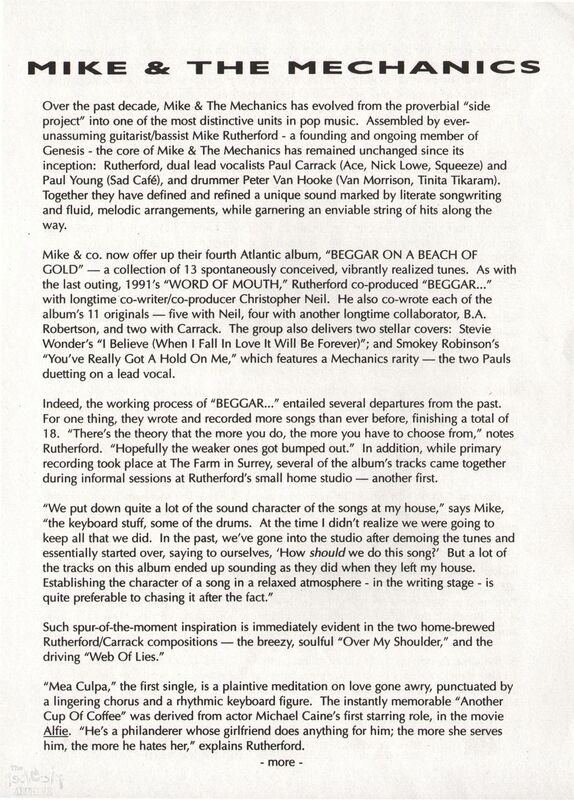 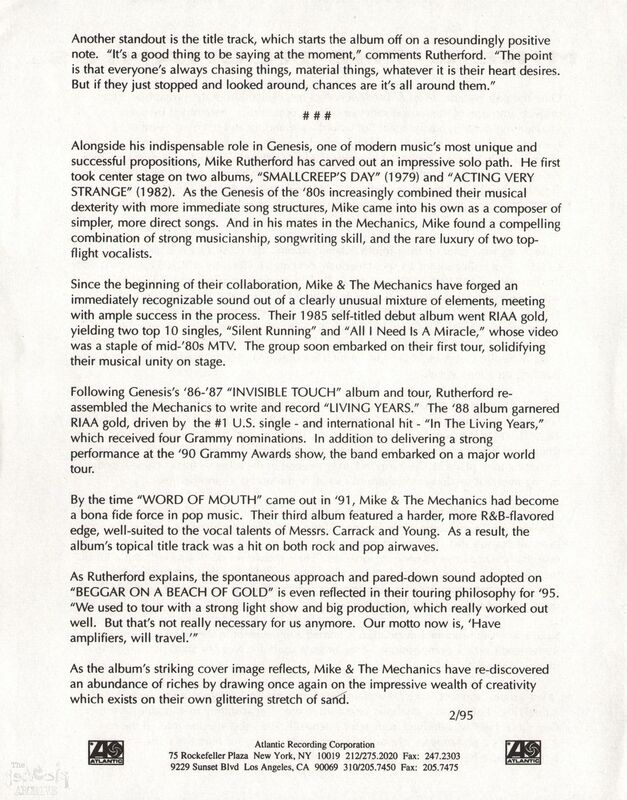 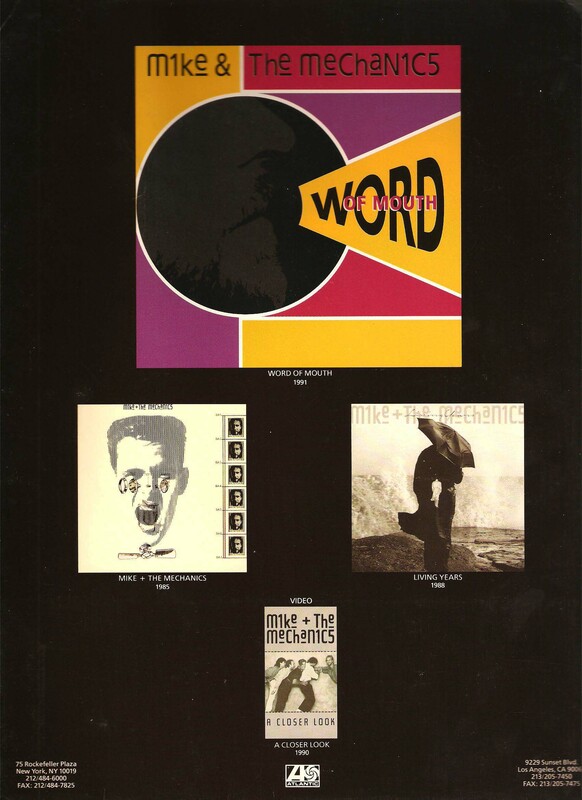 An Atlantic Records (therefore American) press kit for the 1991 Mike and the Mechanics album “Word Of Mouth”. 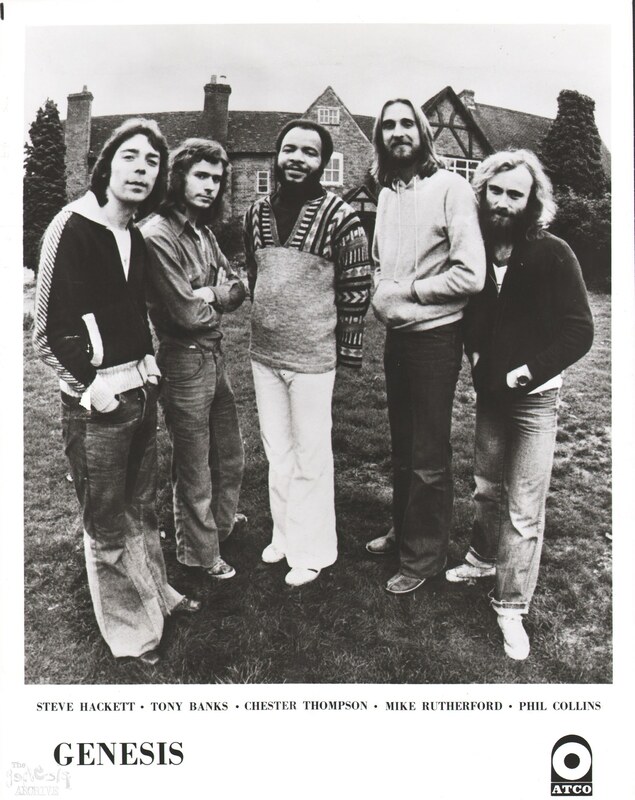 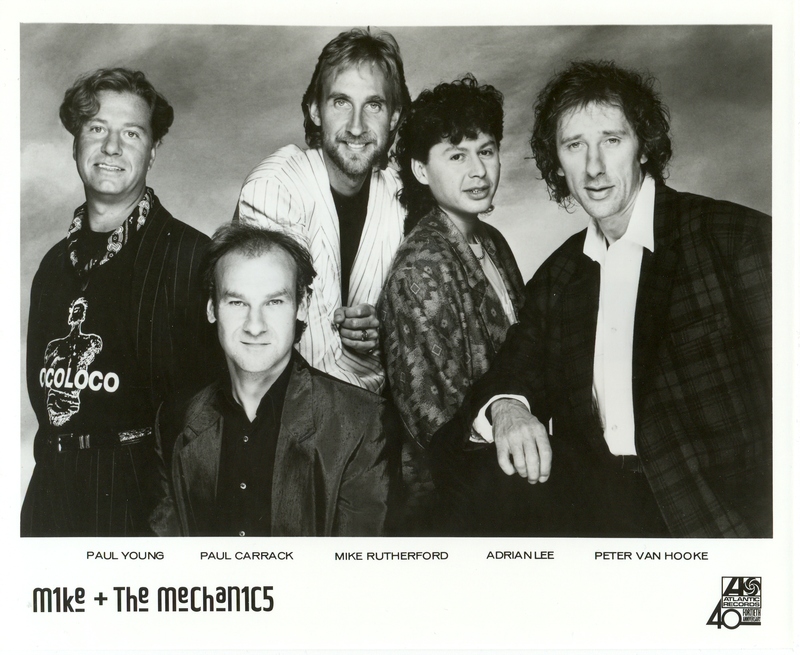 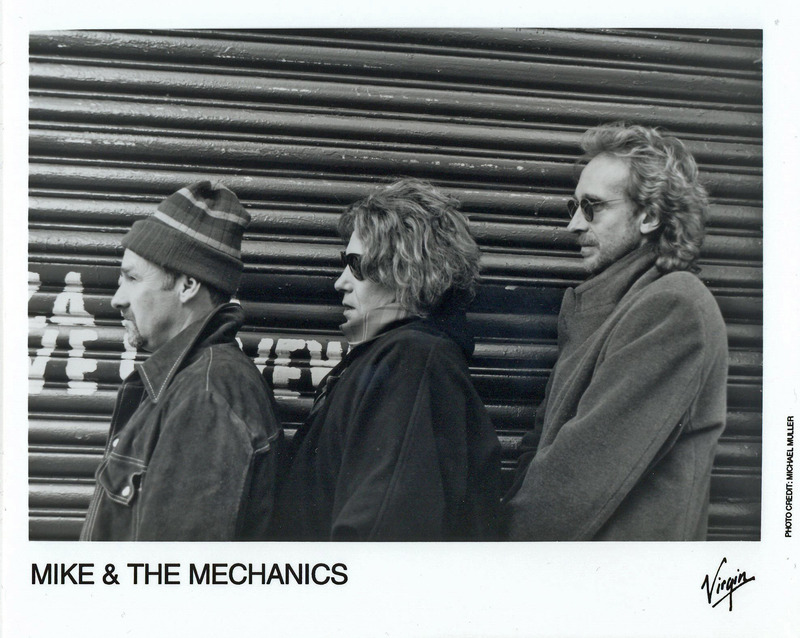 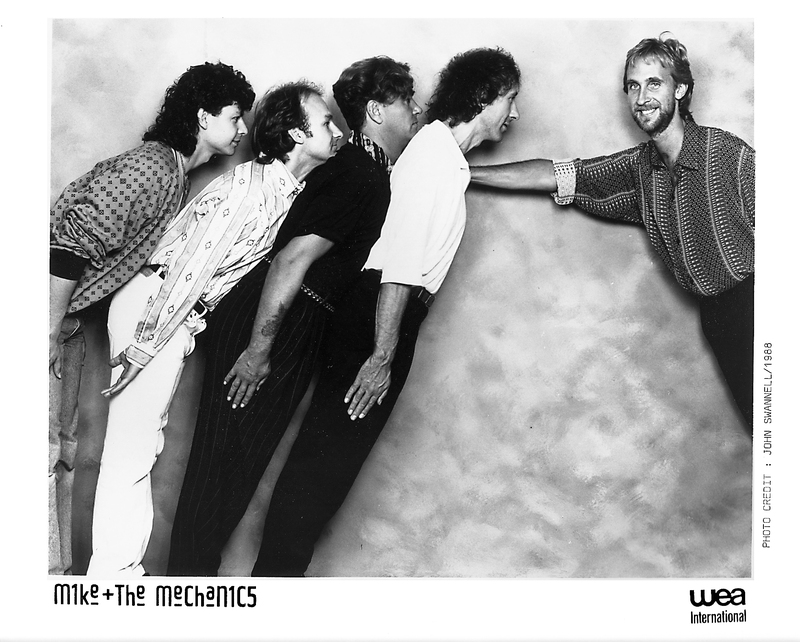 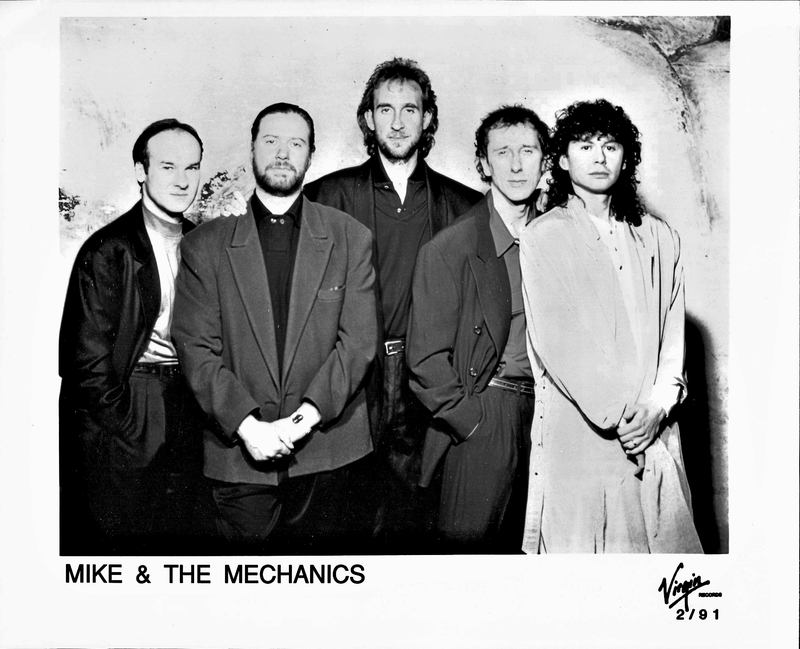 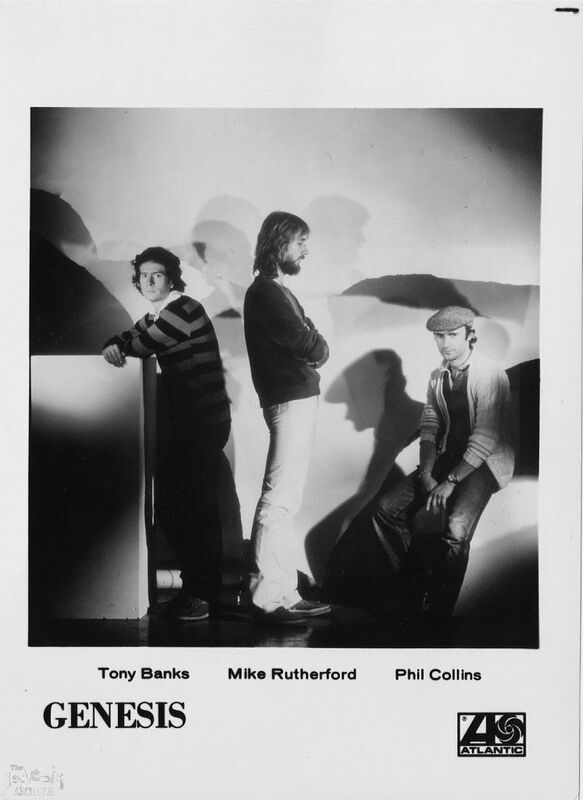 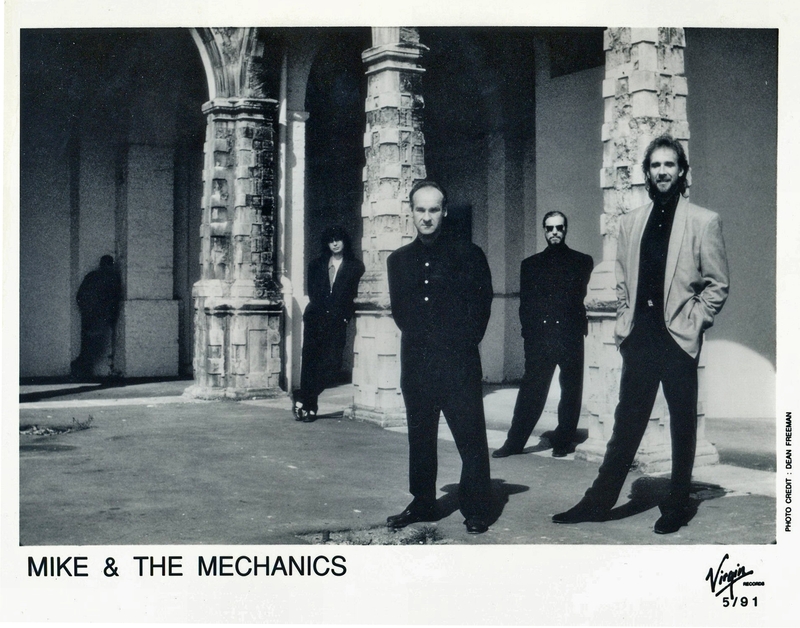 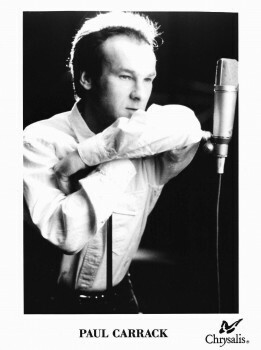 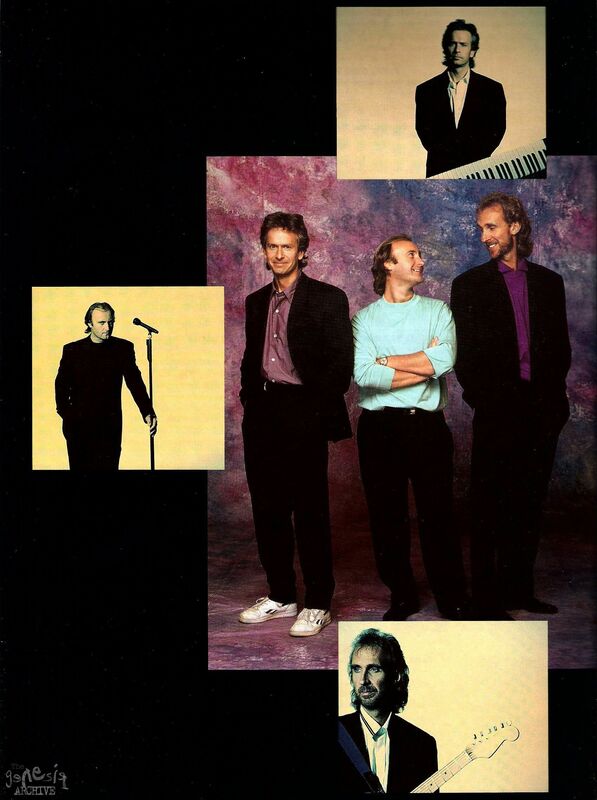 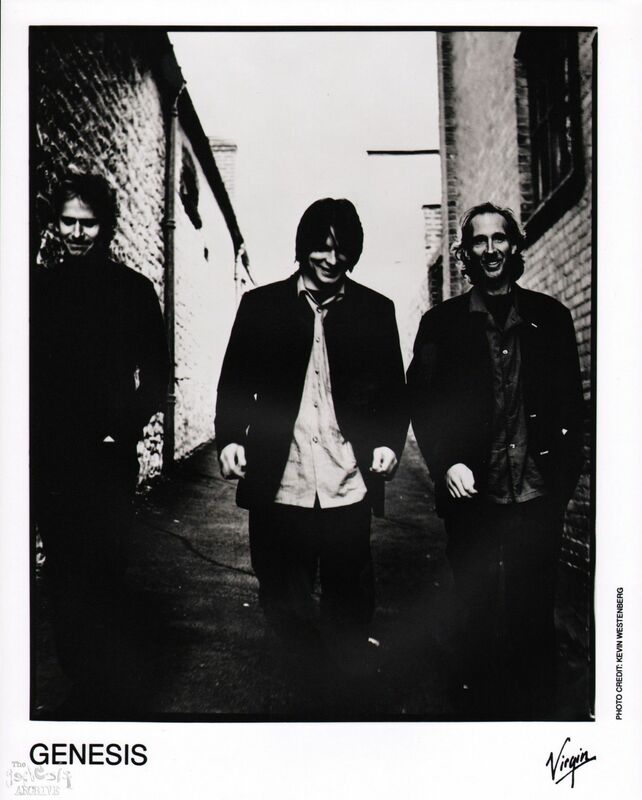 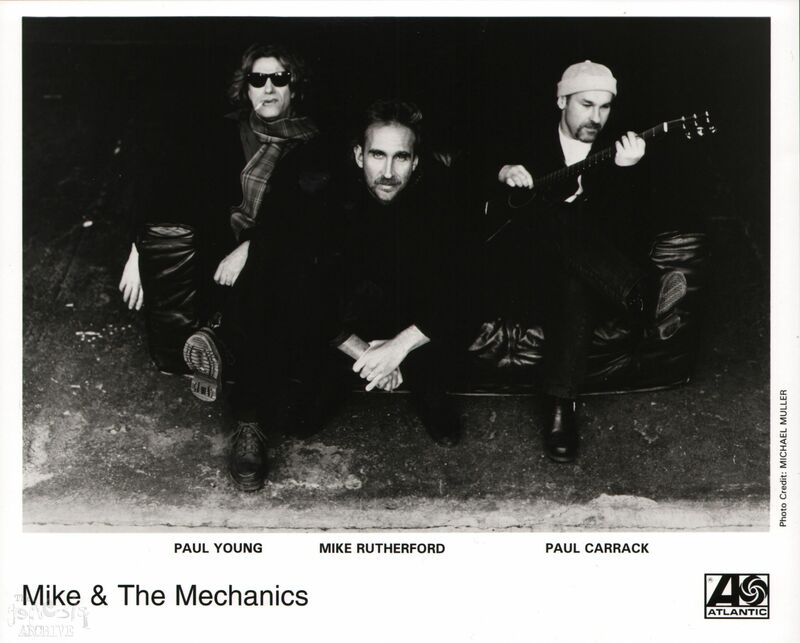 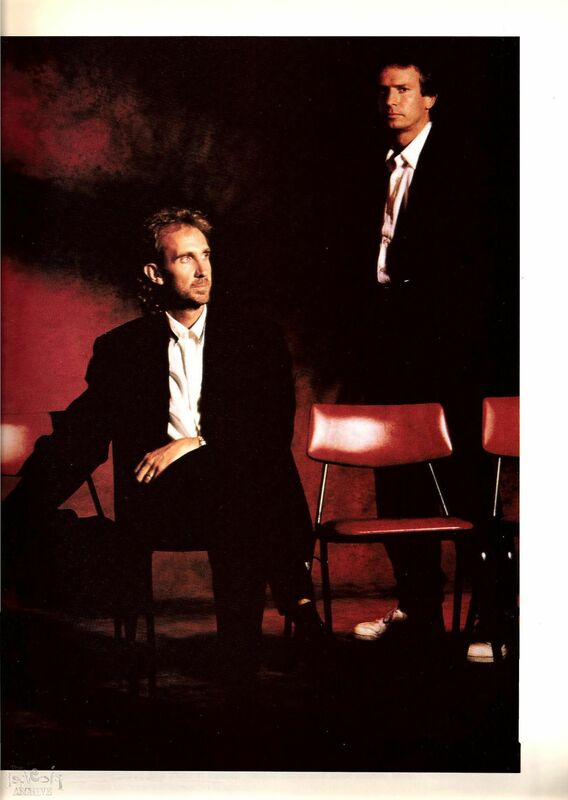 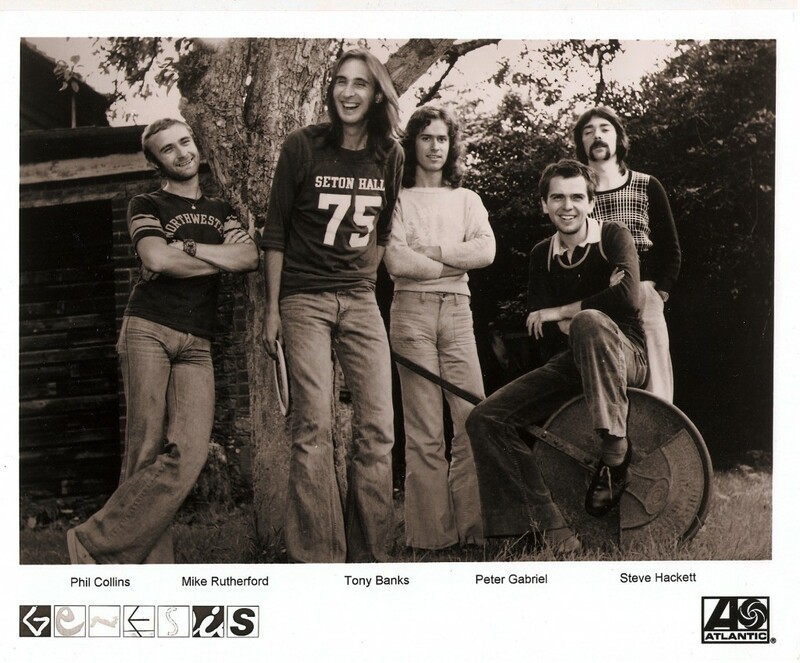 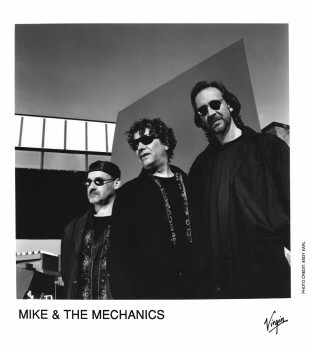 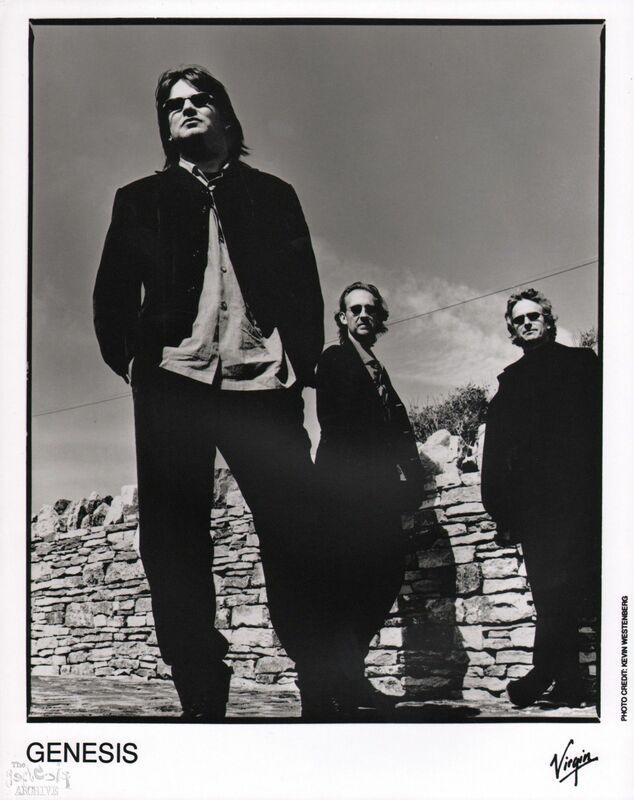 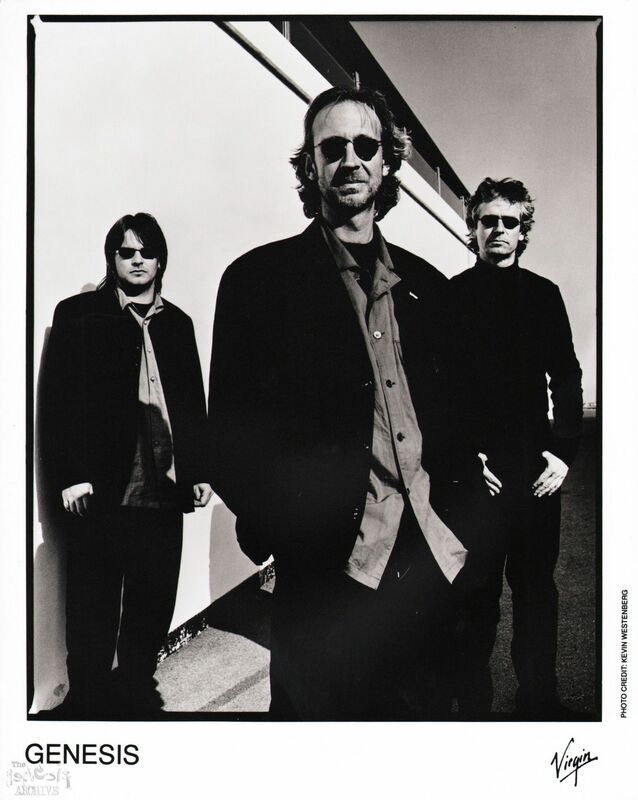 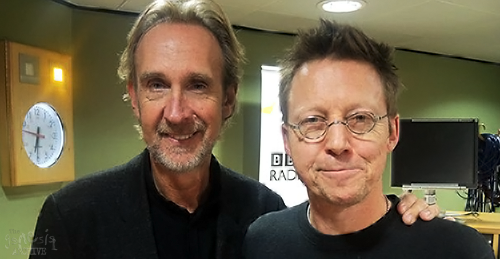 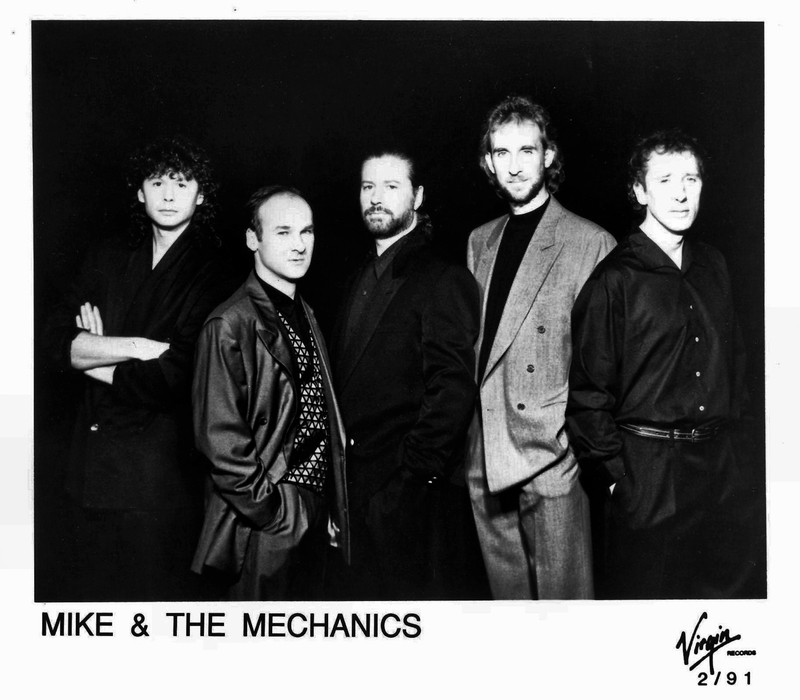 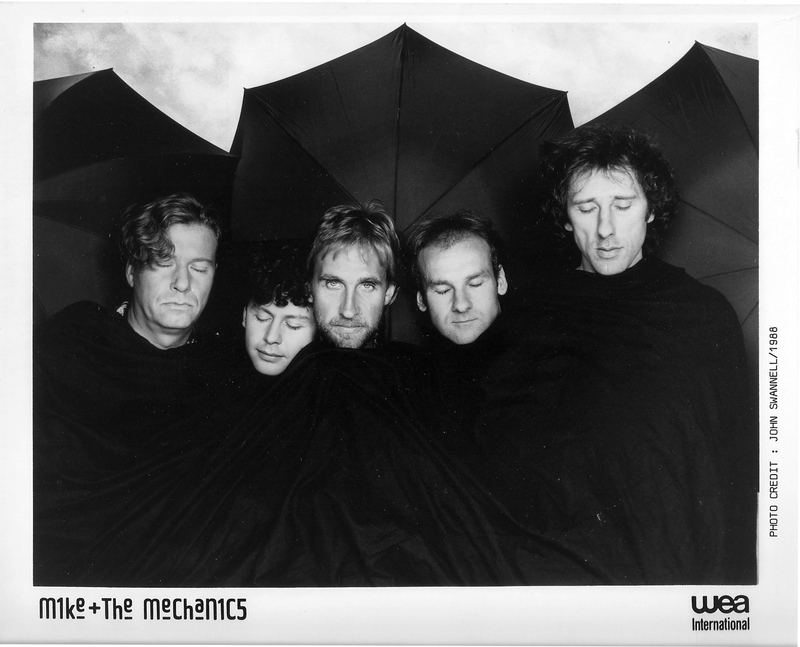 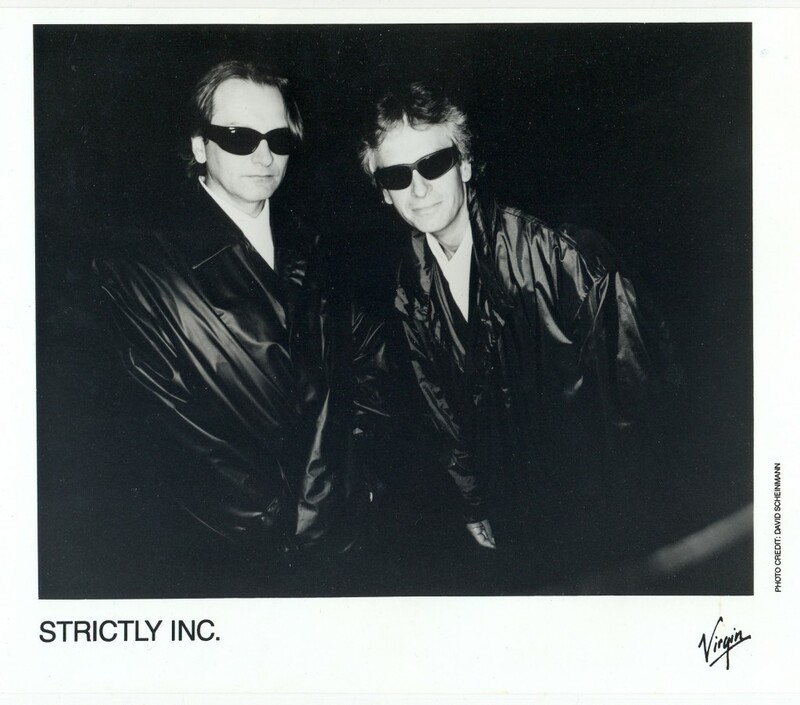 a few Mike and The Mechanics promo photos taken around the time of “The Word Of Mouth” album! 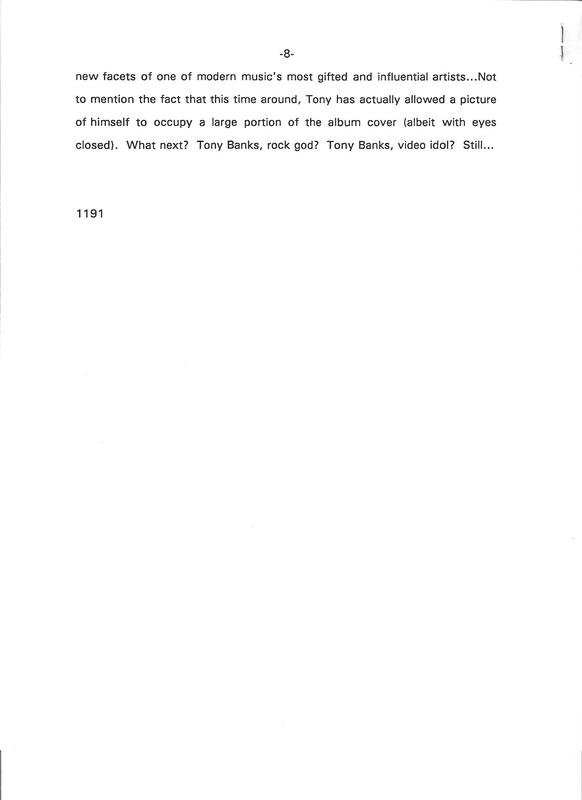 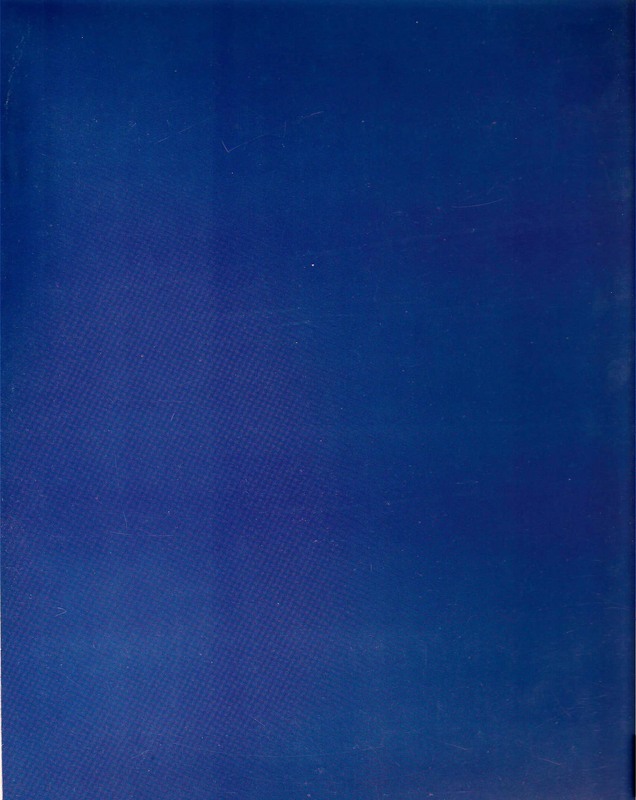 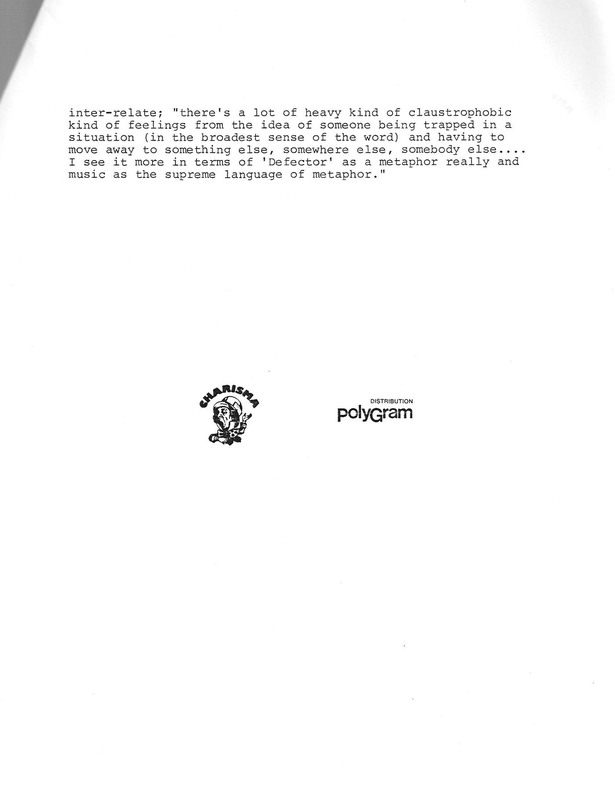 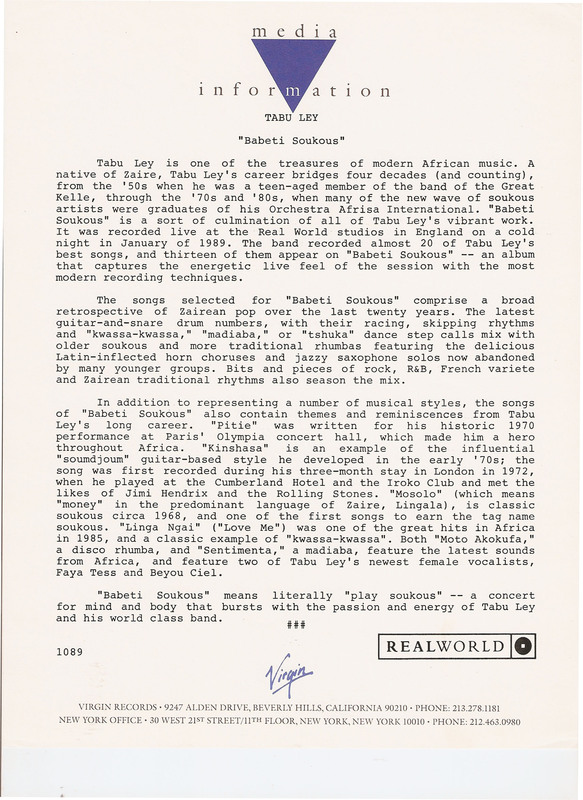 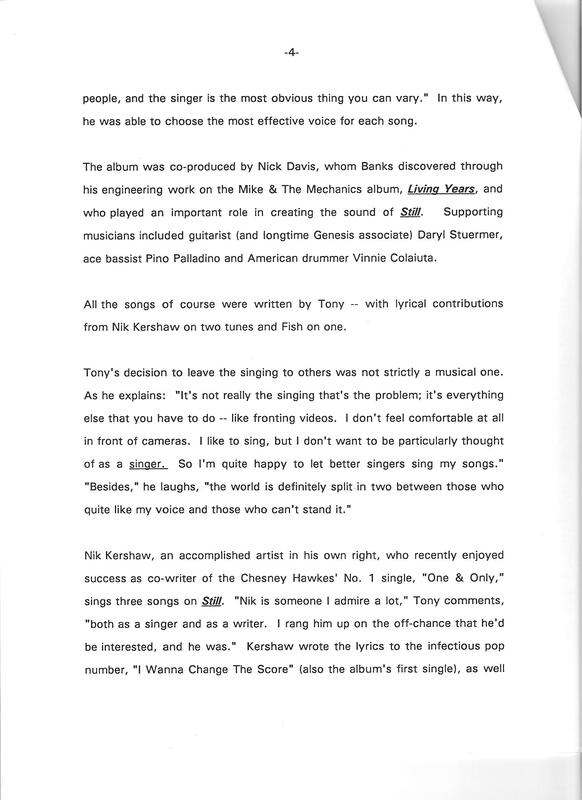 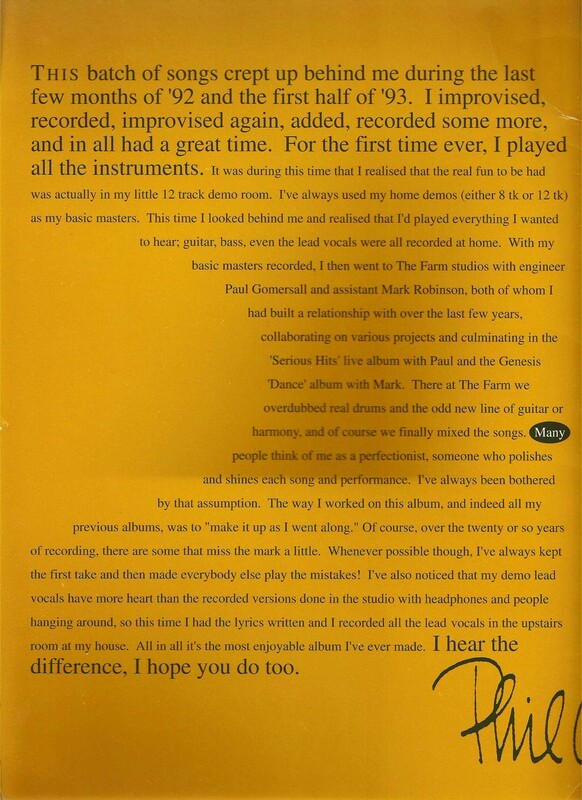 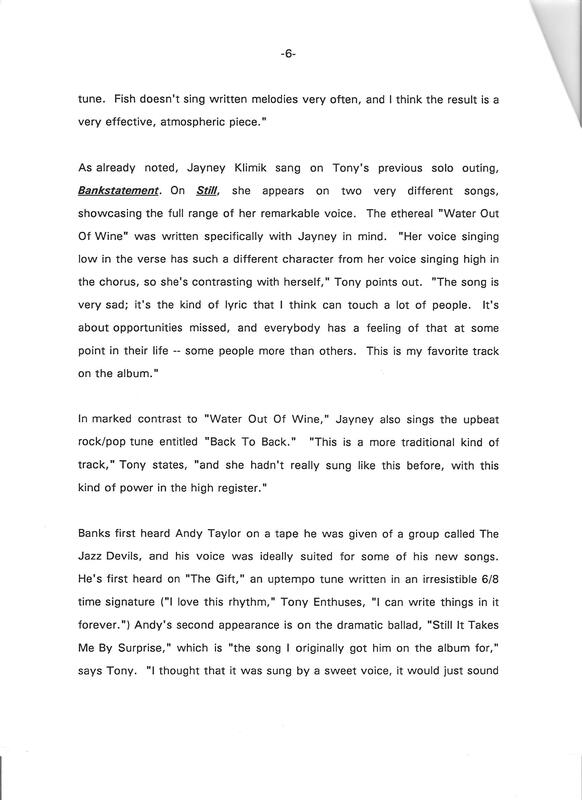 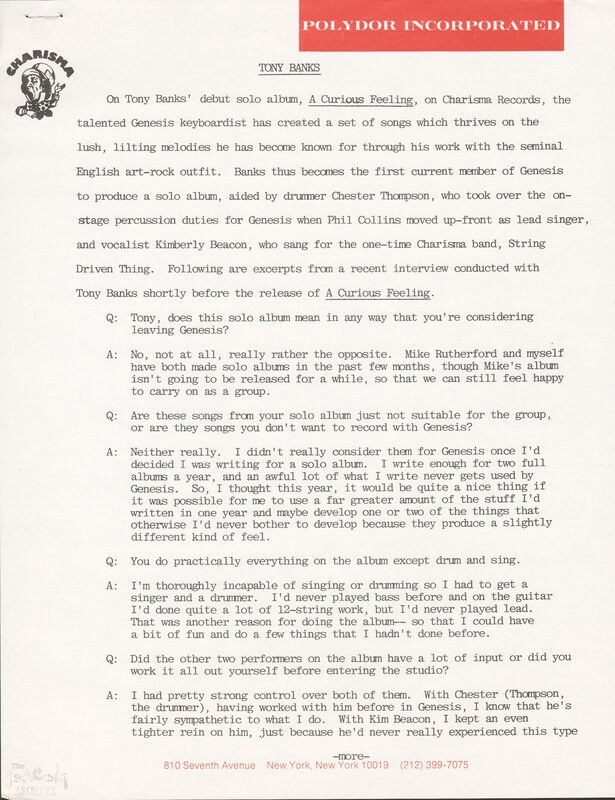 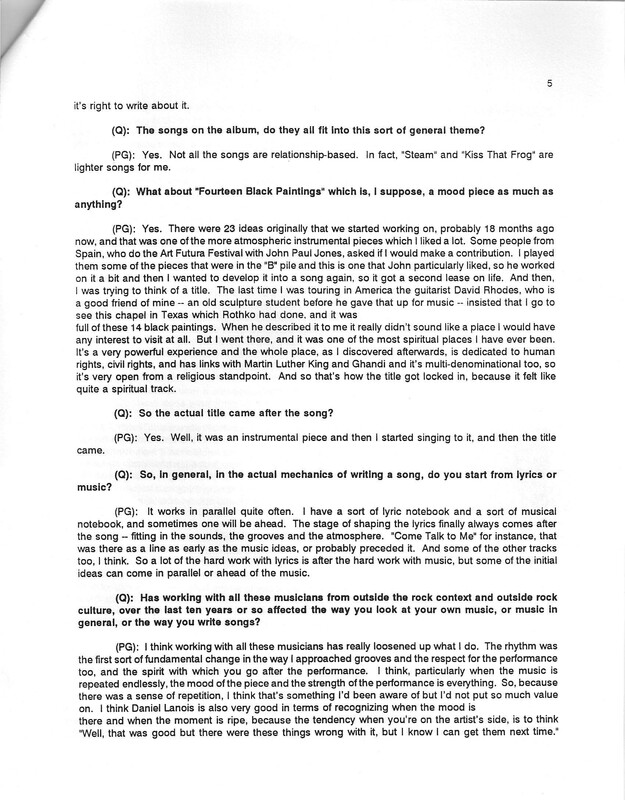 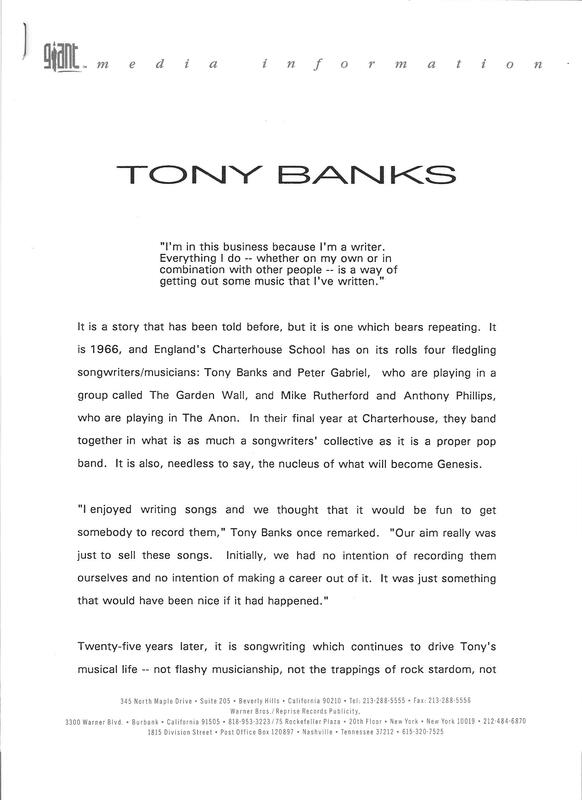 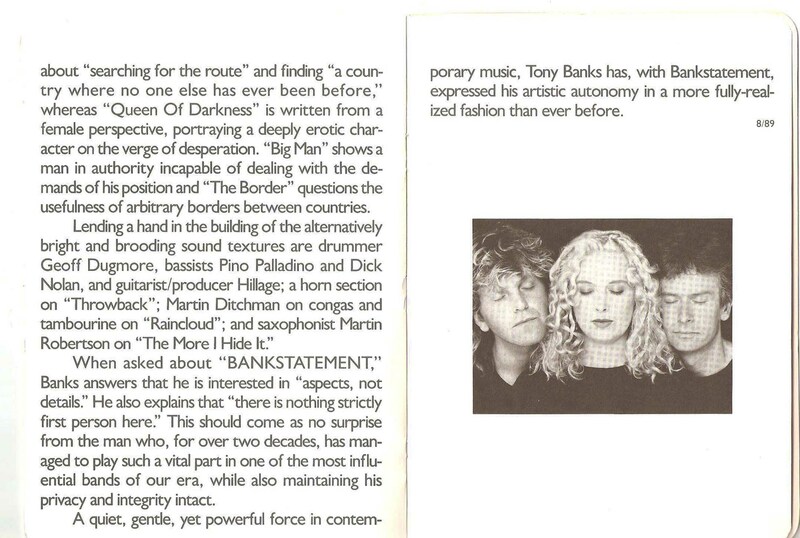 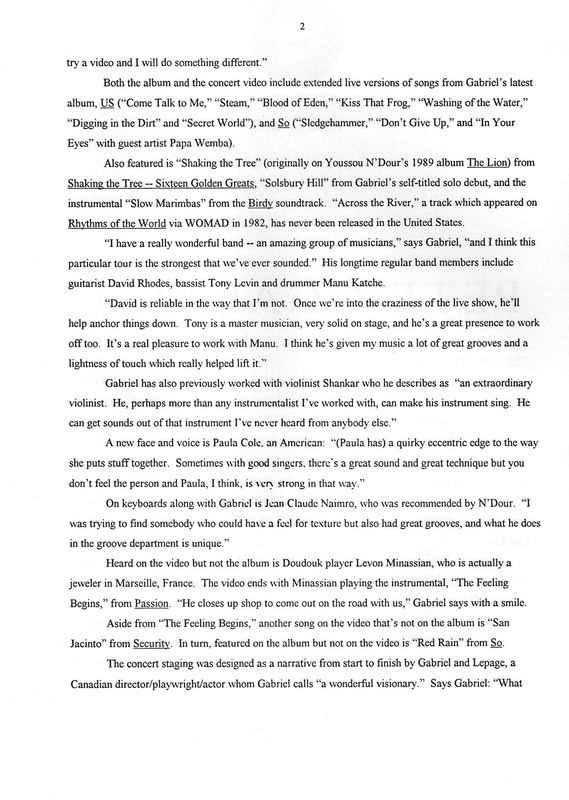 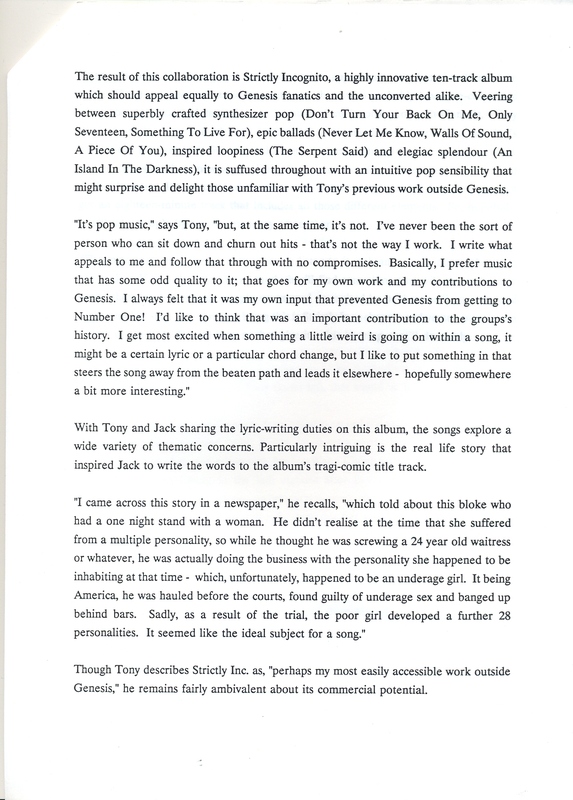 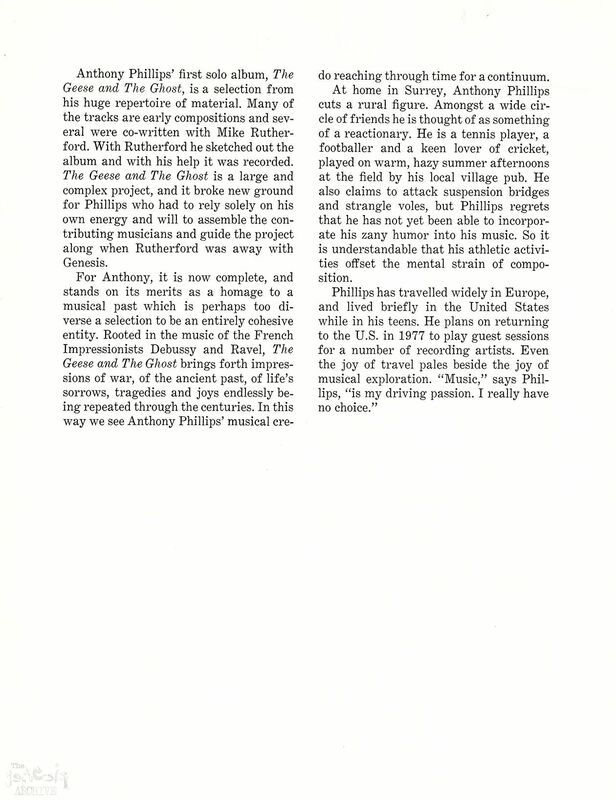 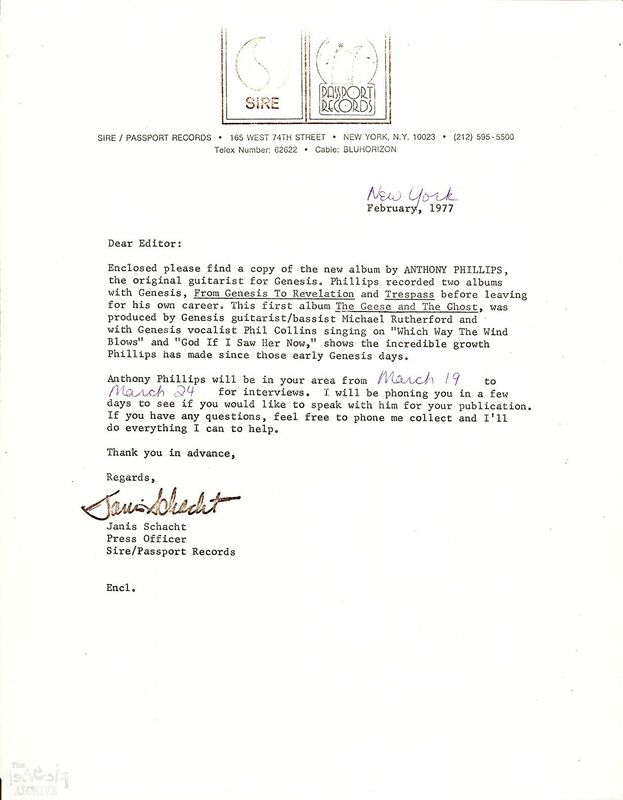 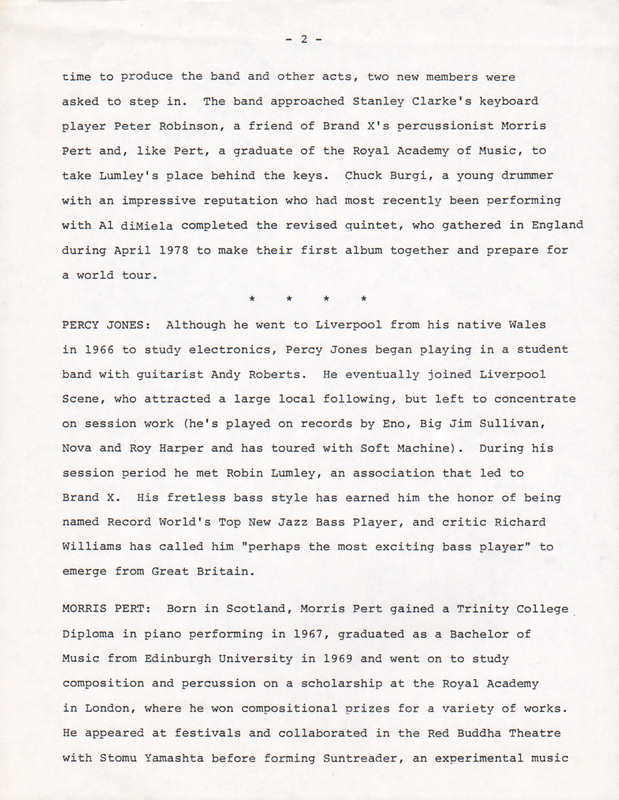 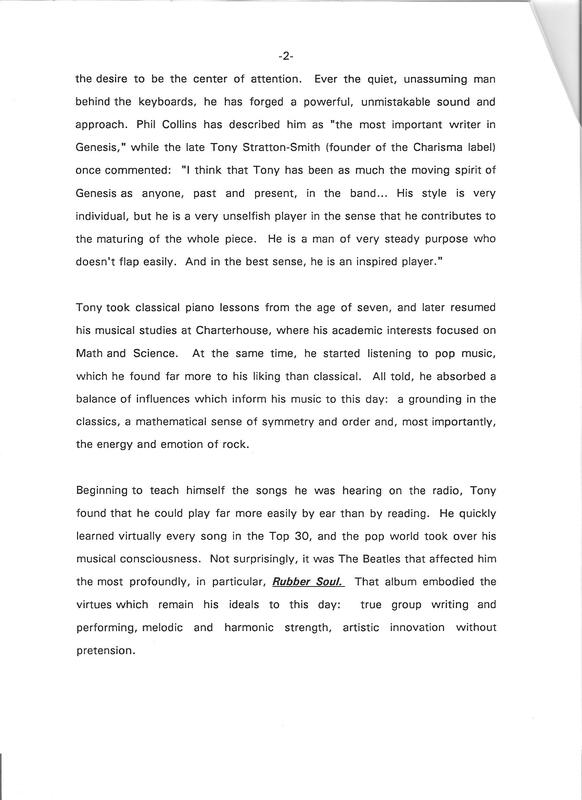 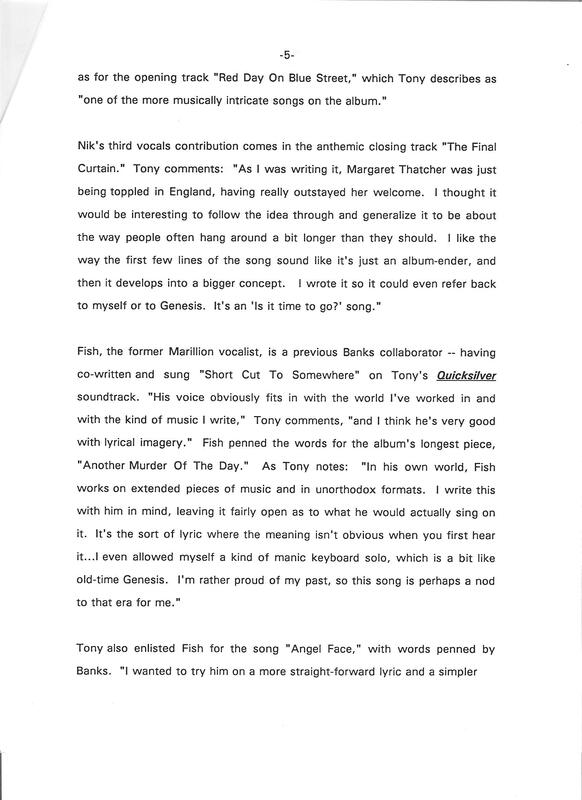 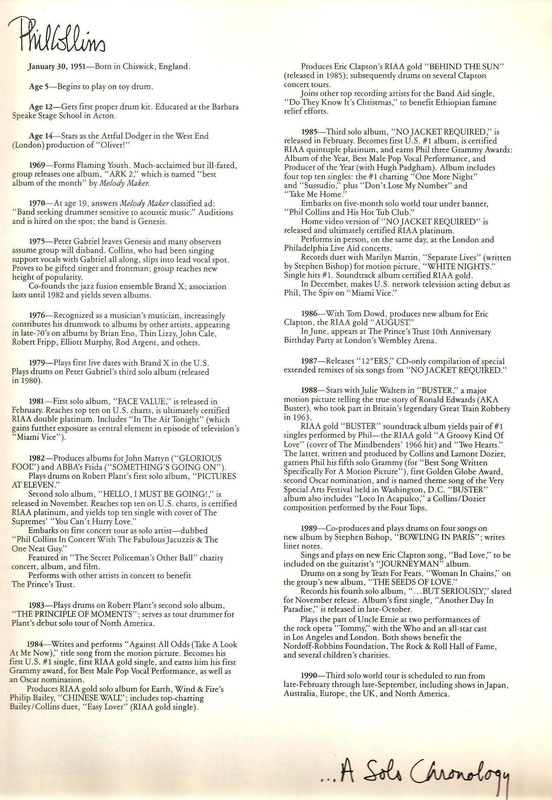 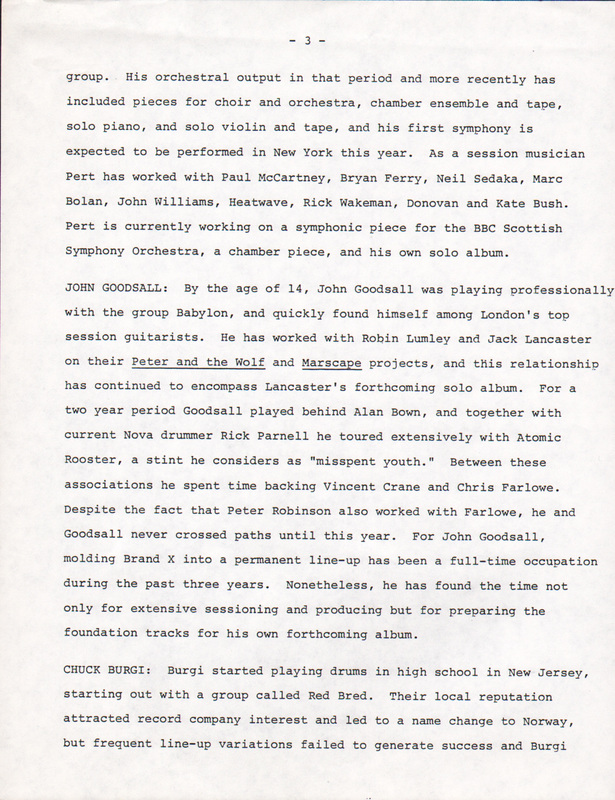 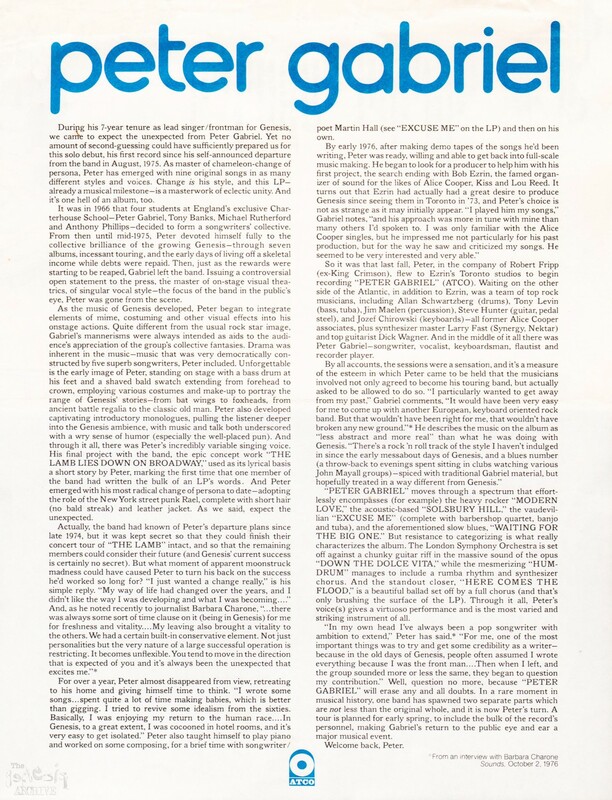 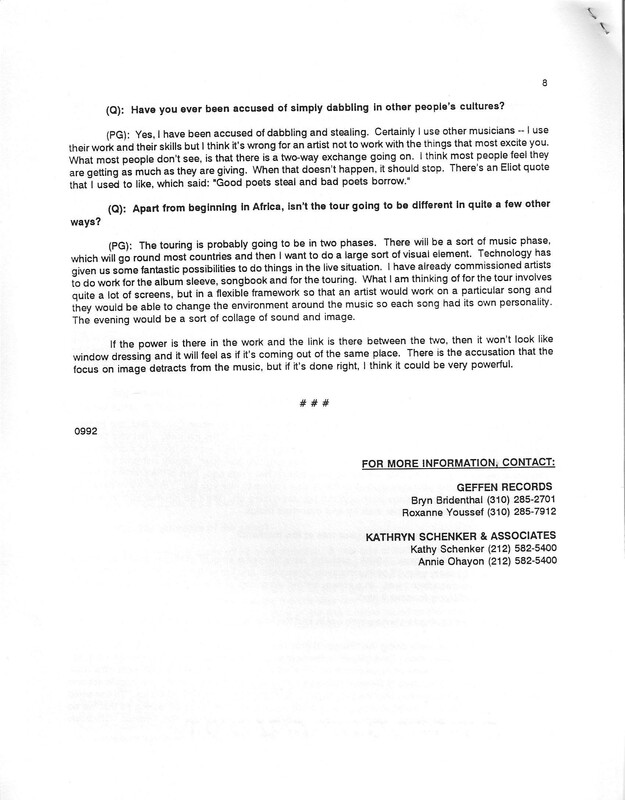 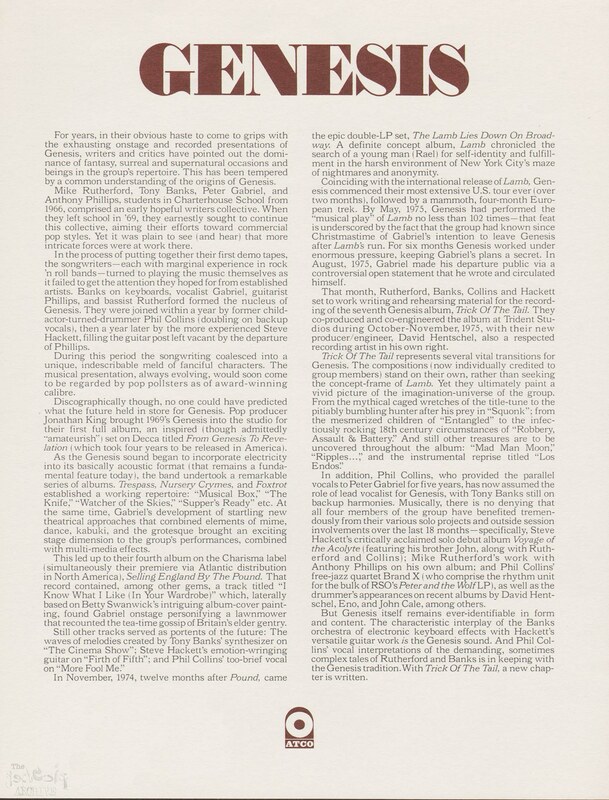 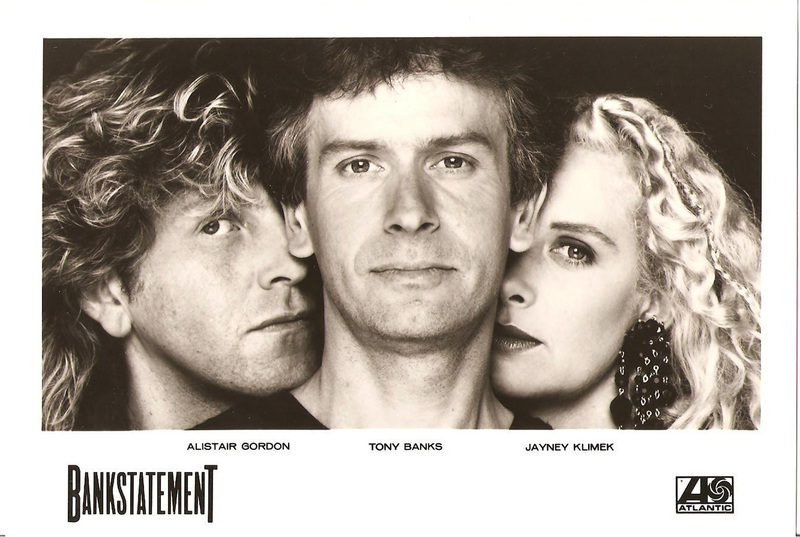 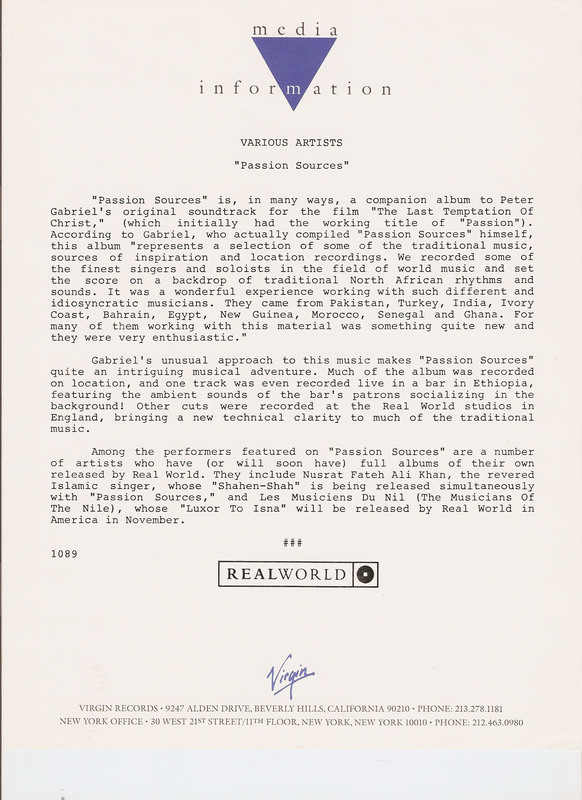 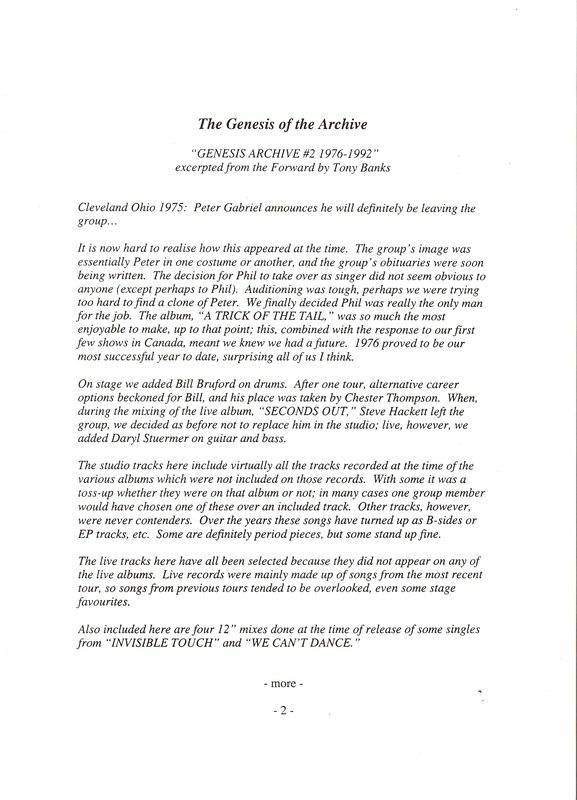 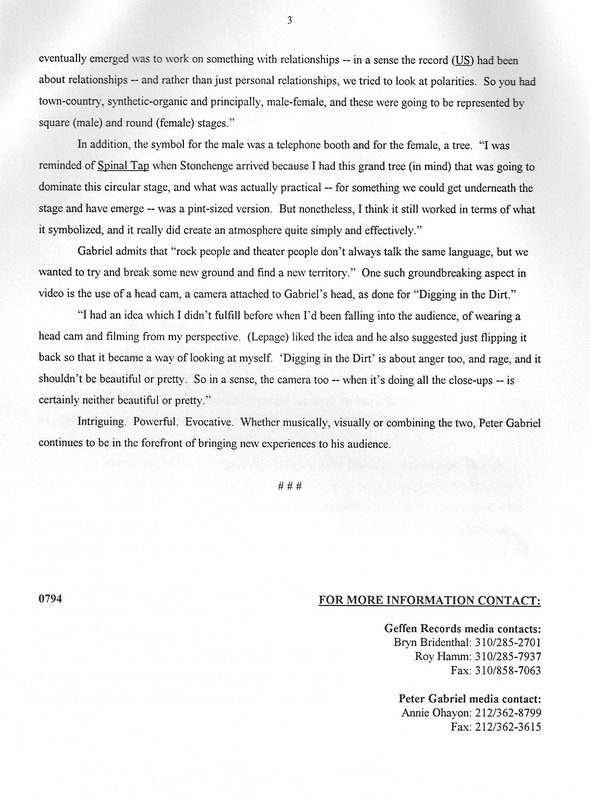 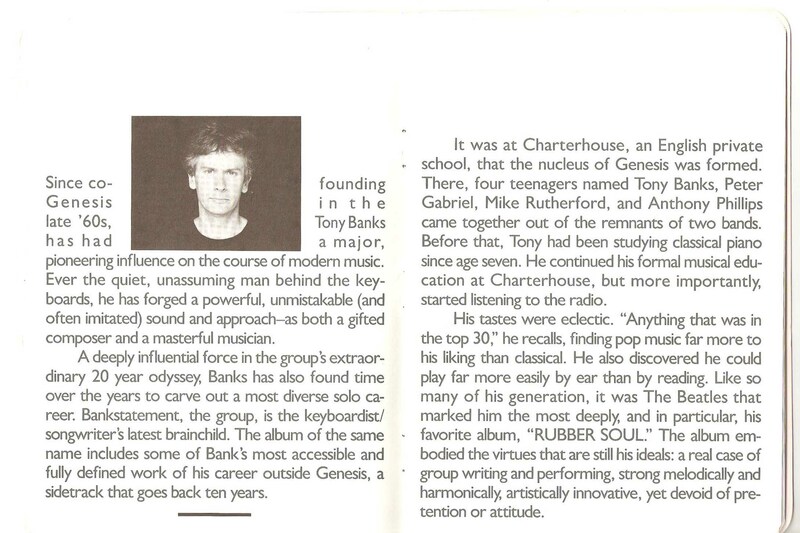 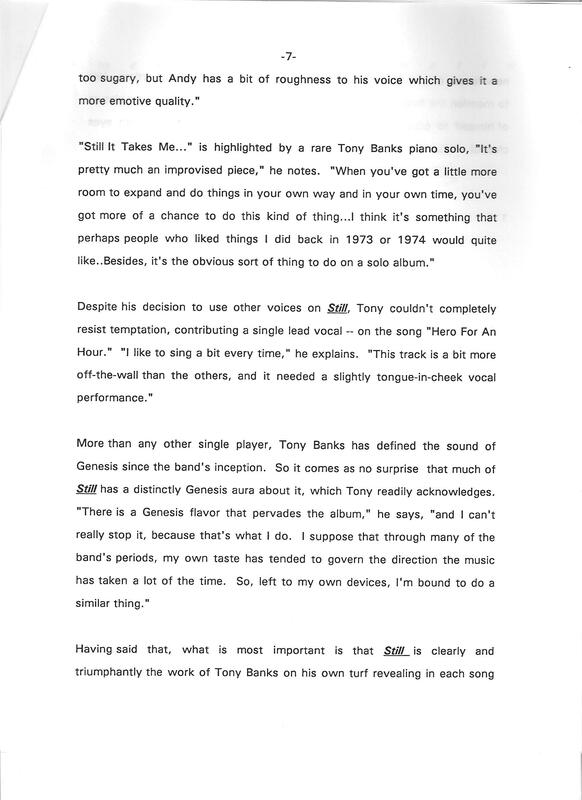 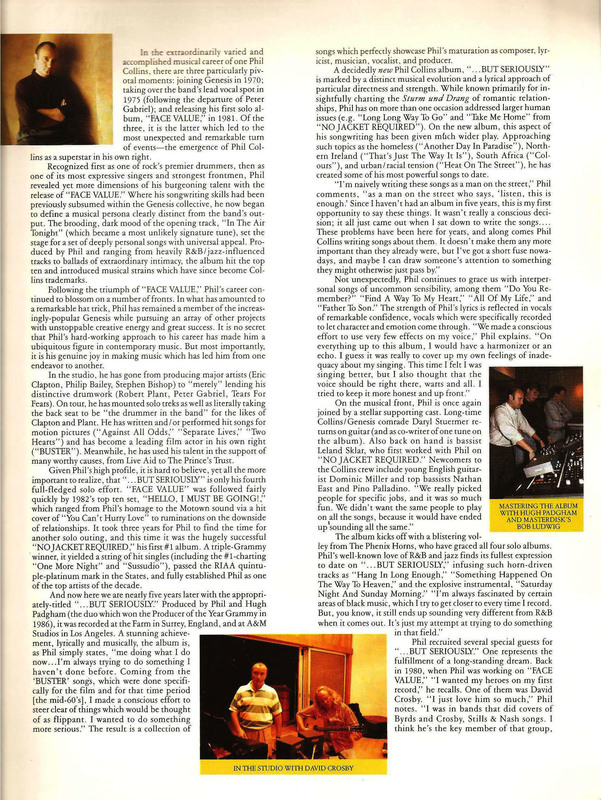 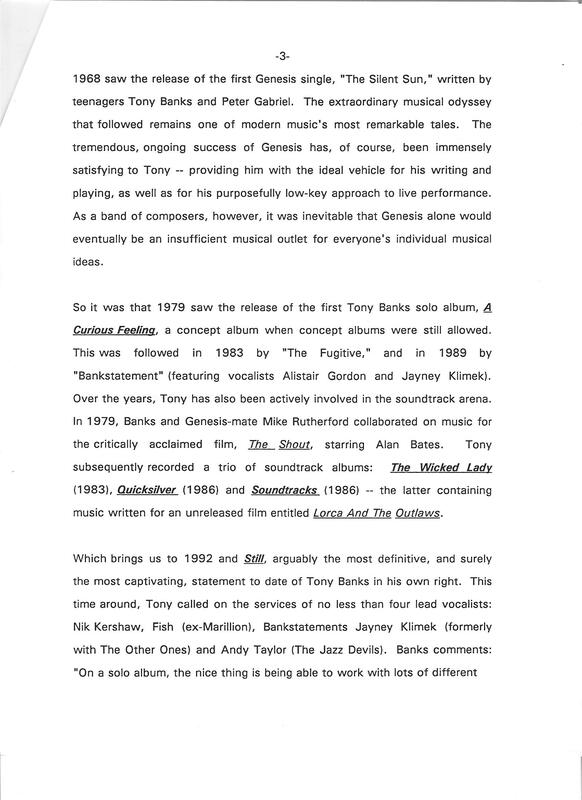 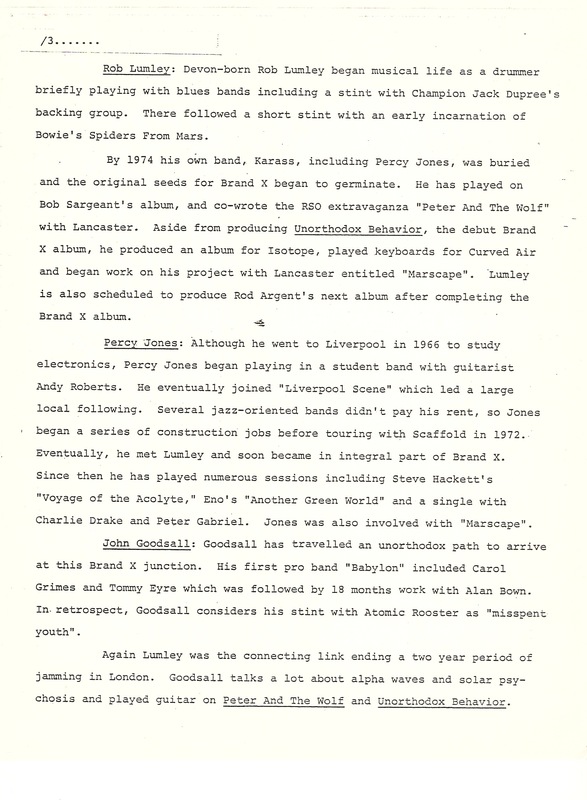 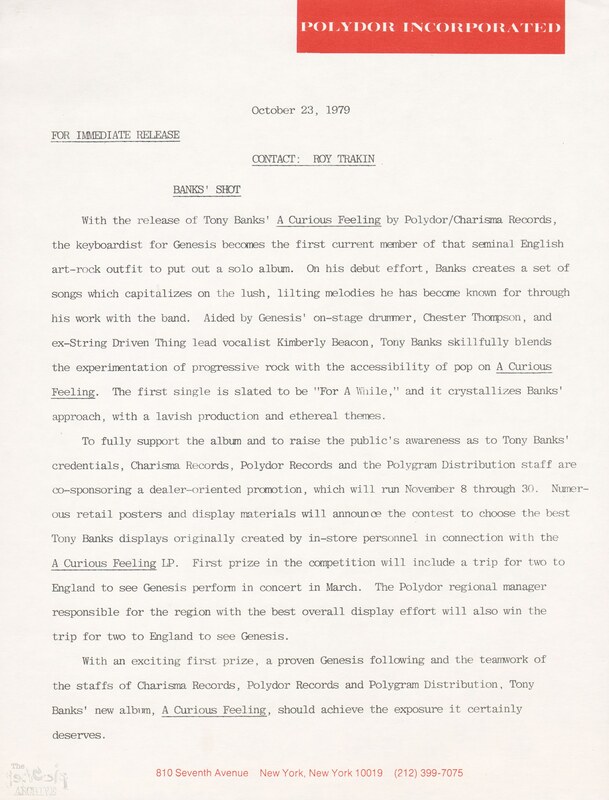 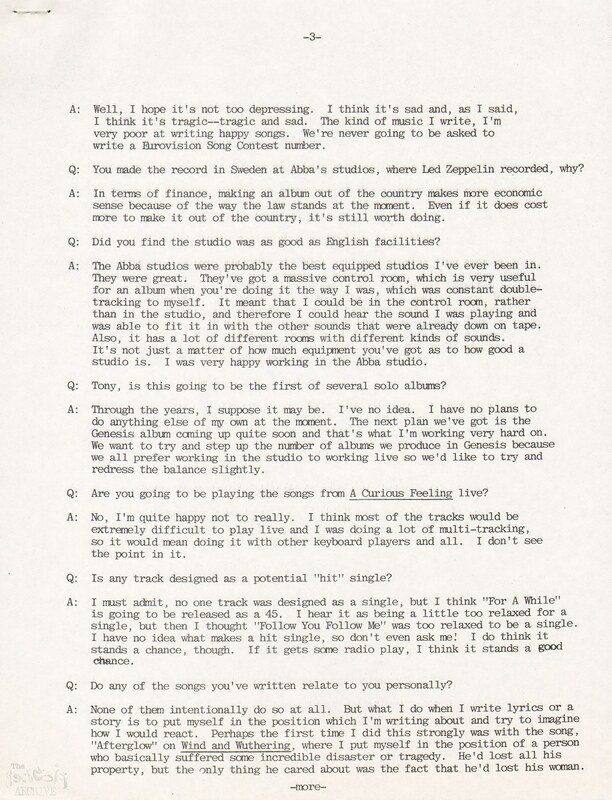 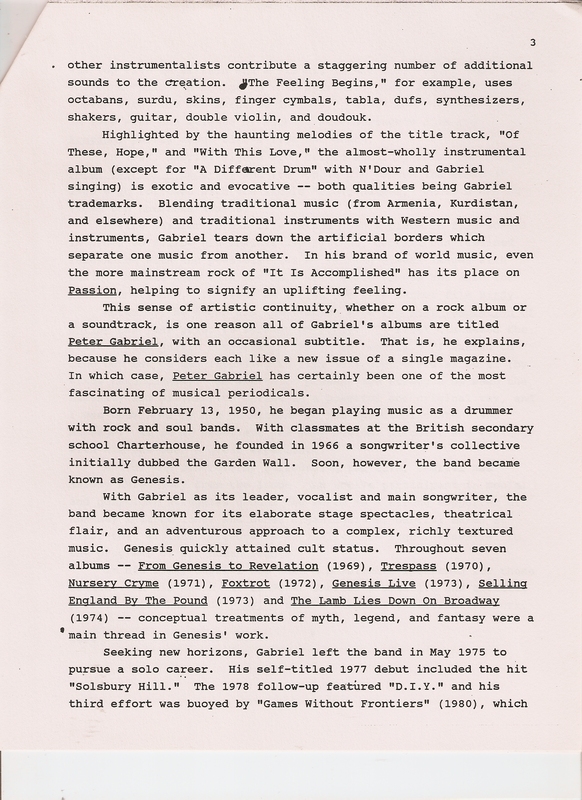 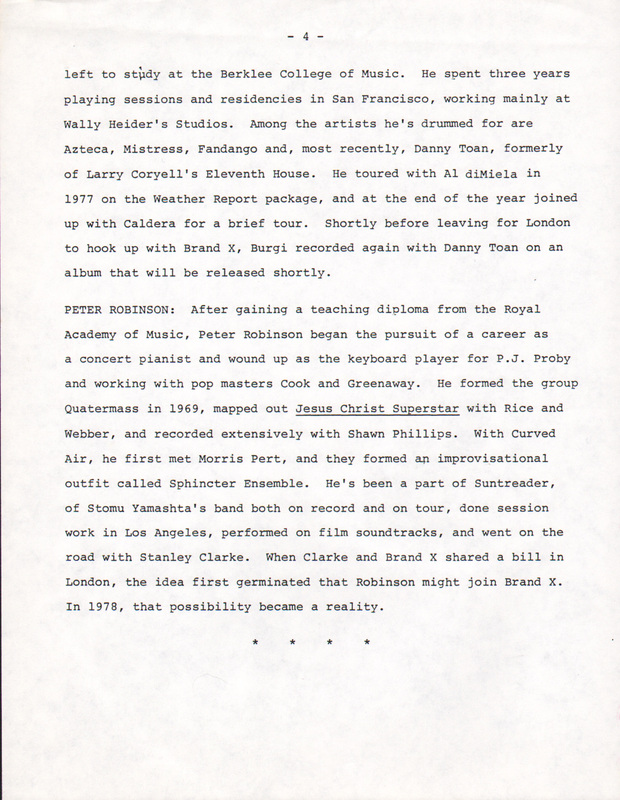 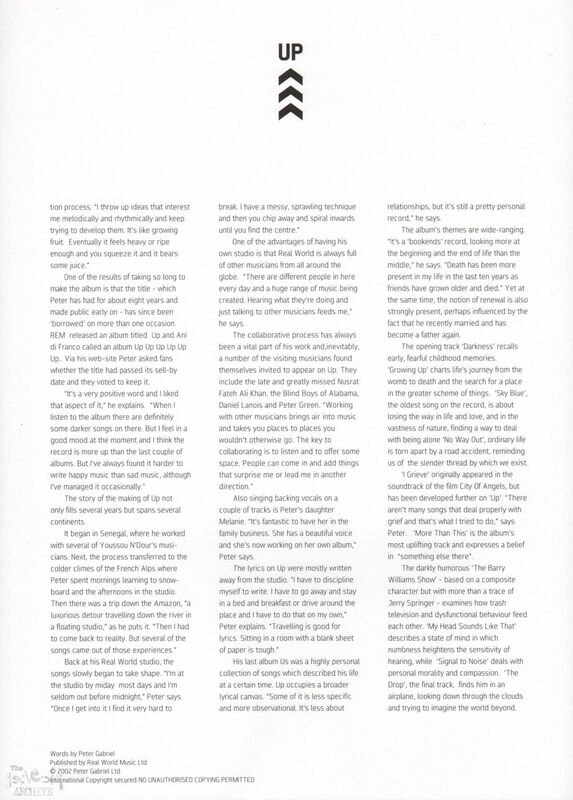 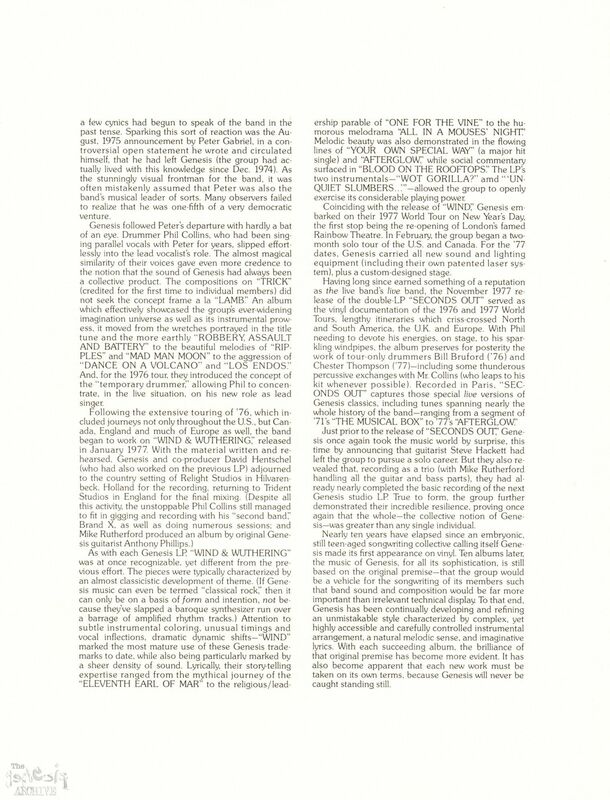 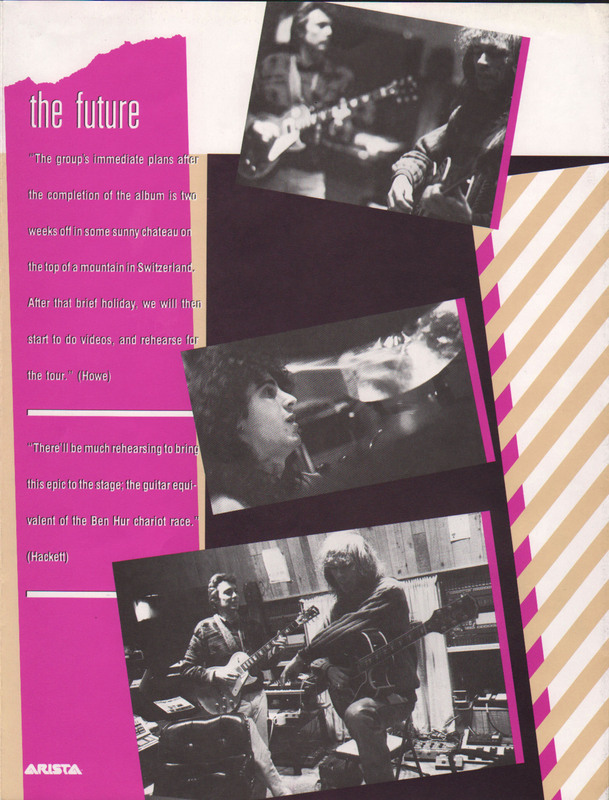 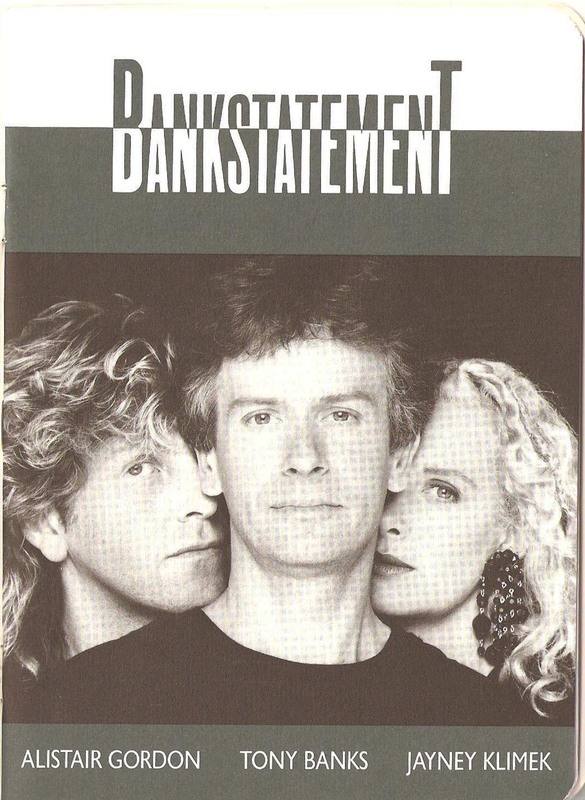 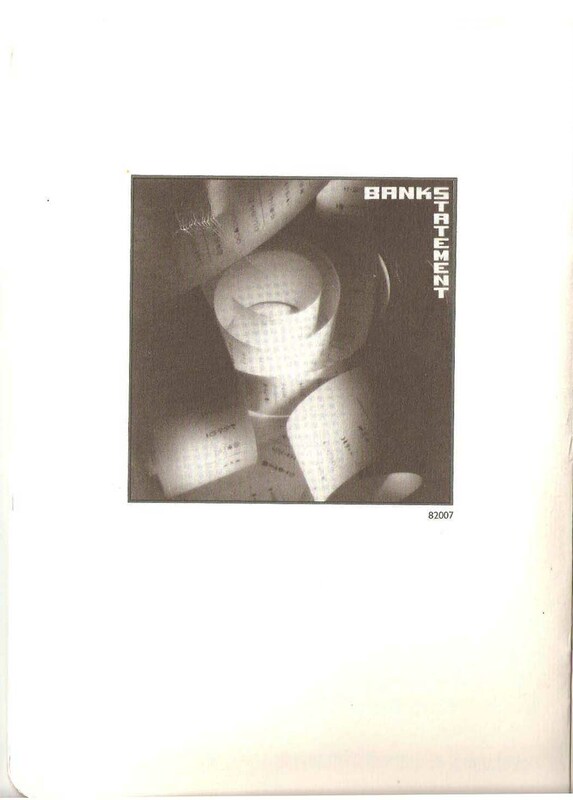 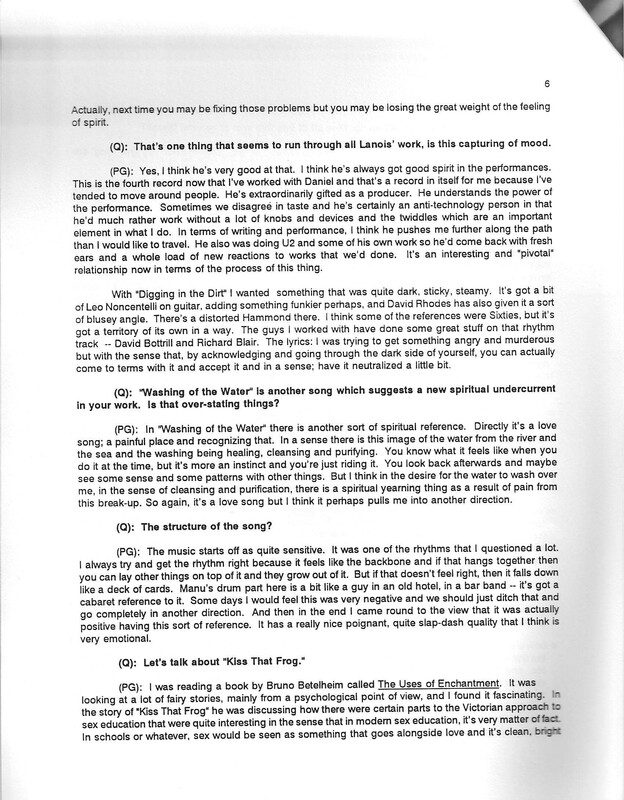 A Reprise Records (therefore an American) press kit for the 1991 Tony Banks album – Still. 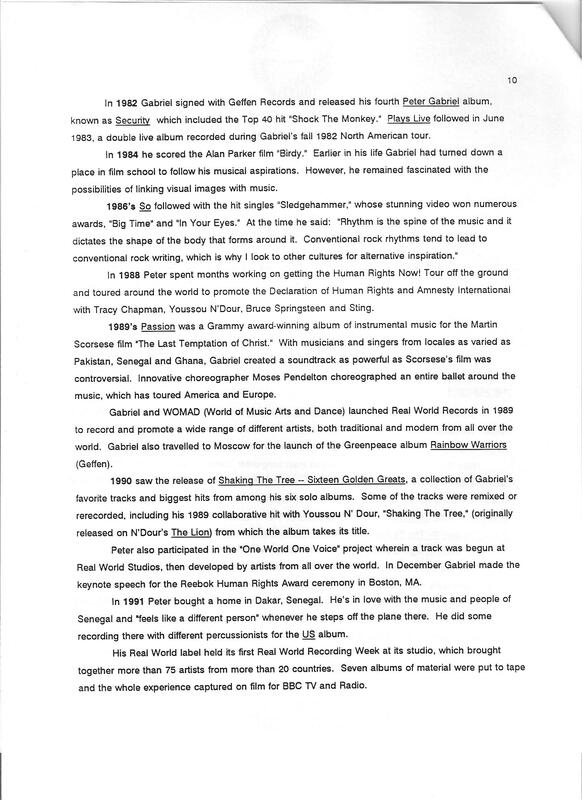 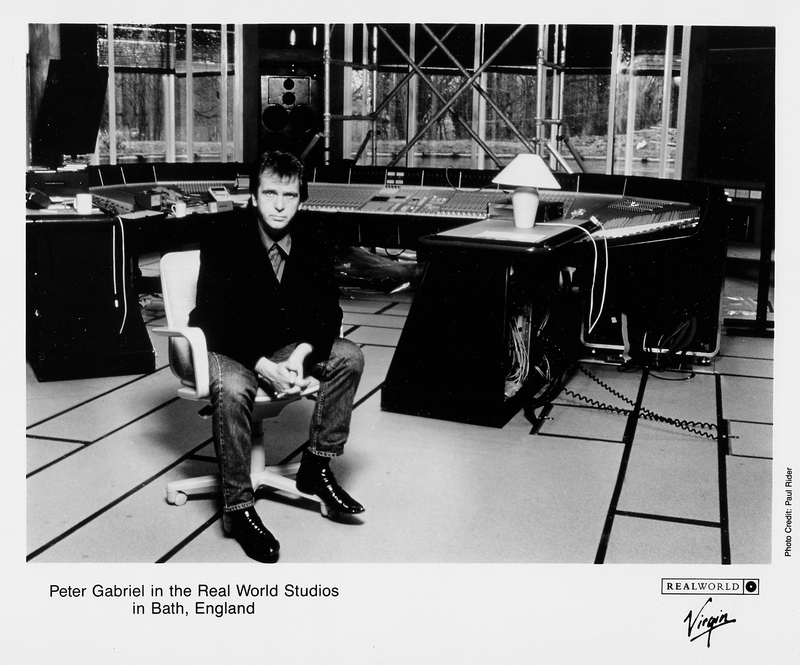 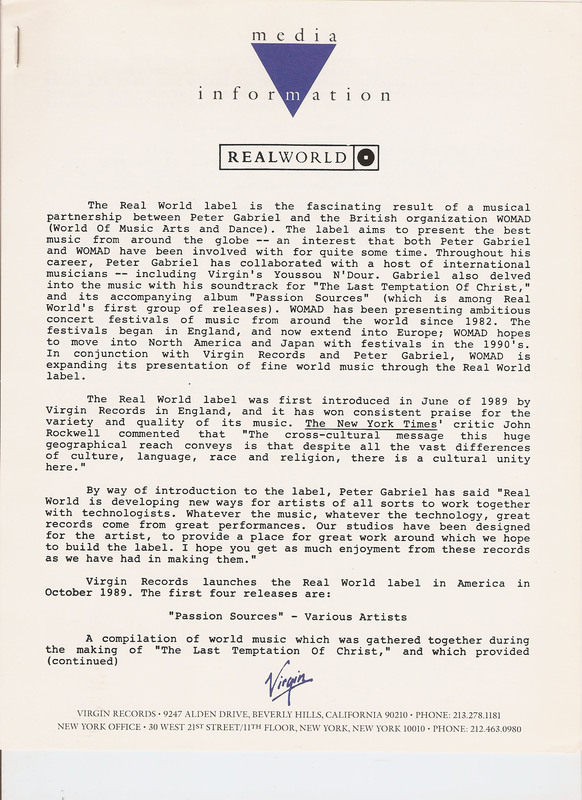 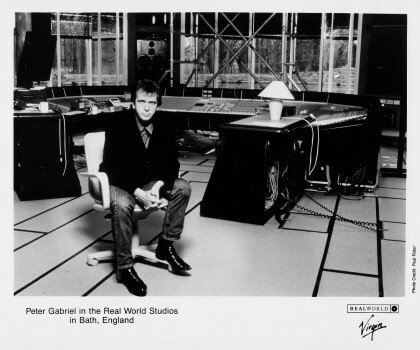 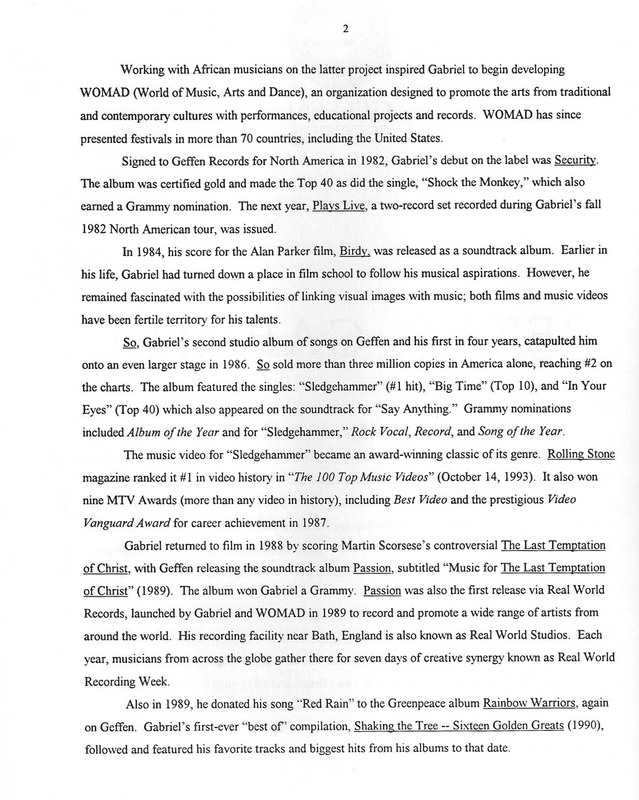 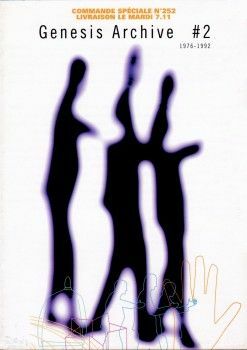 Virgin Records/Real World Records Press kit for the 1993 peter Gabriel album US. 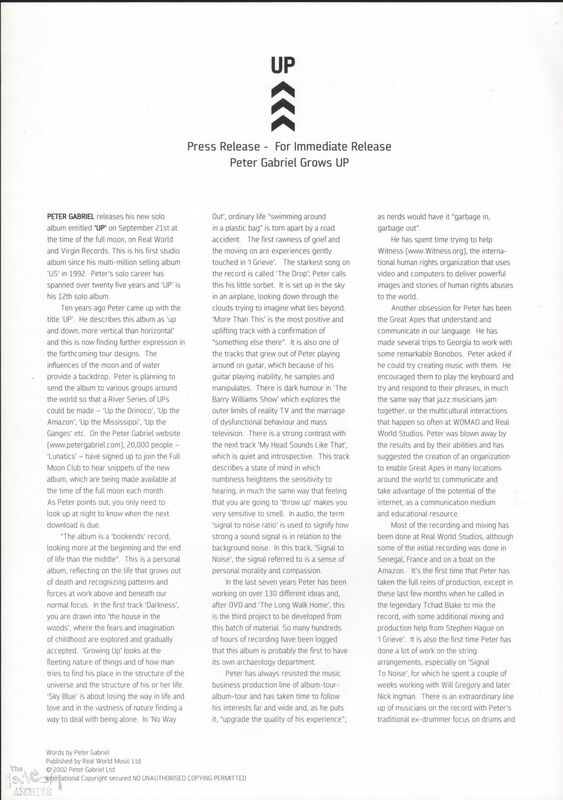 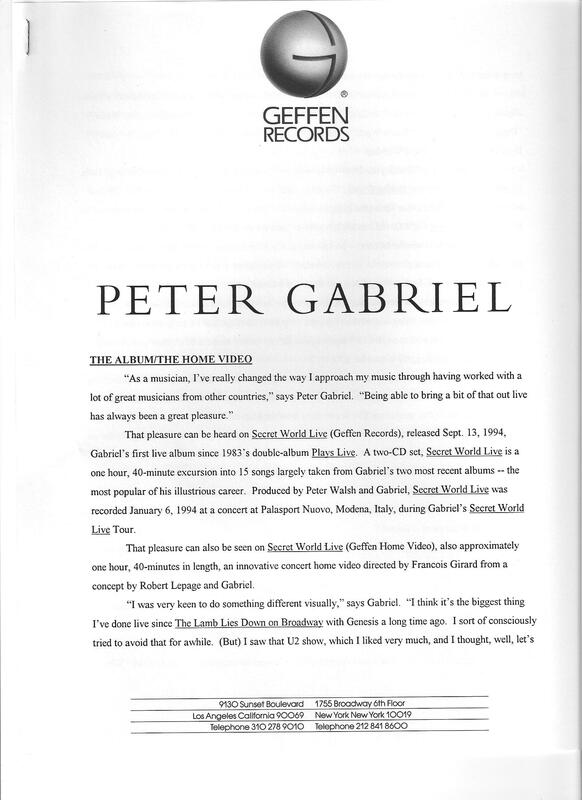 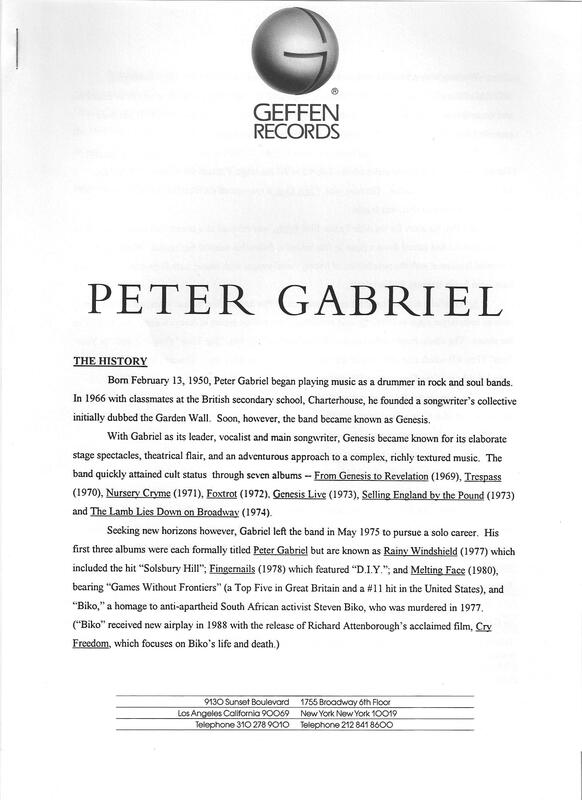 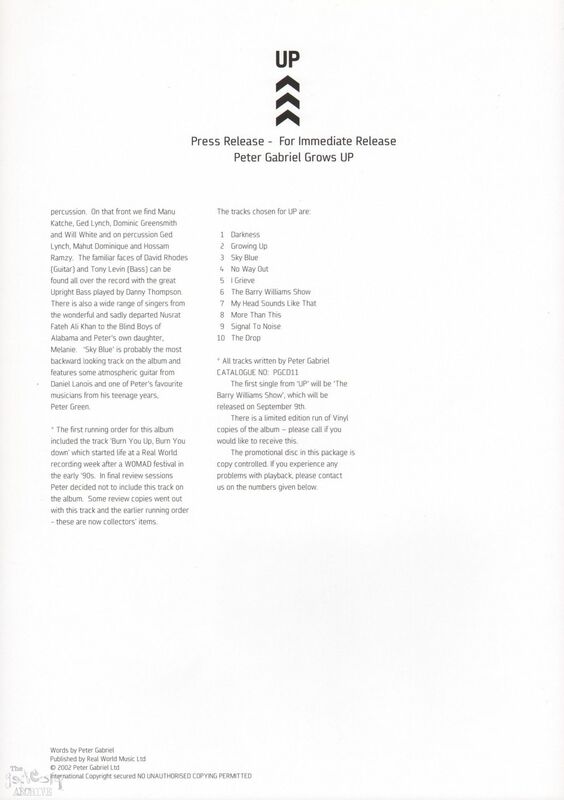 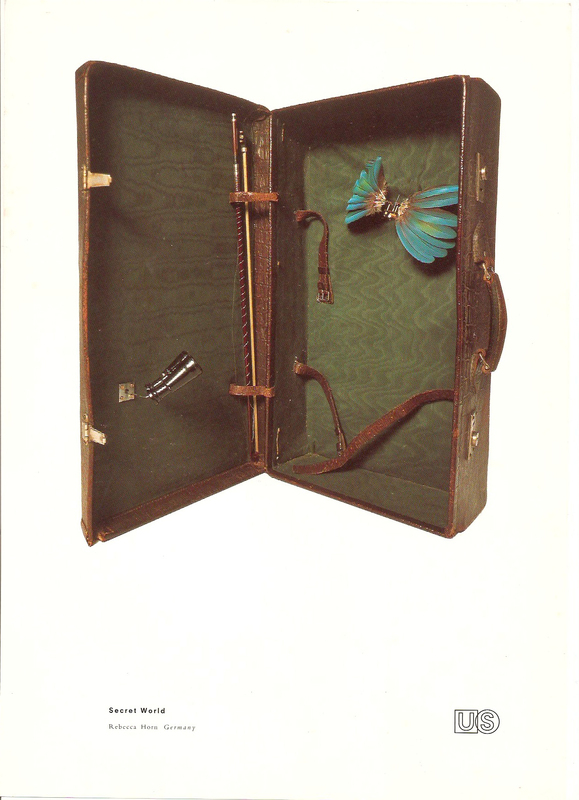 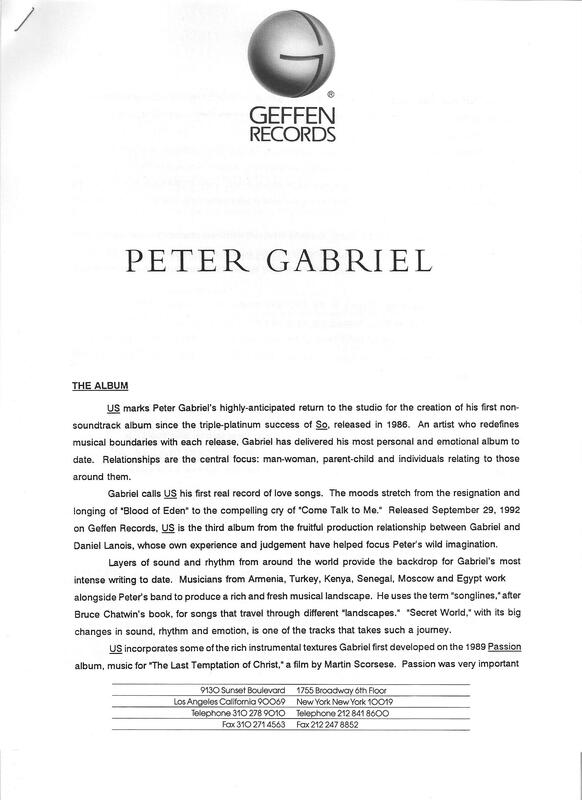 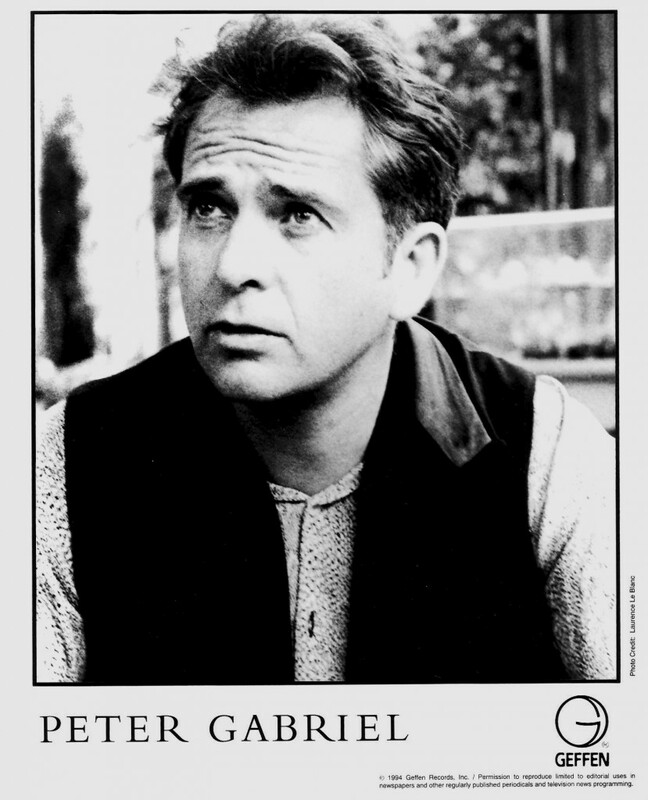 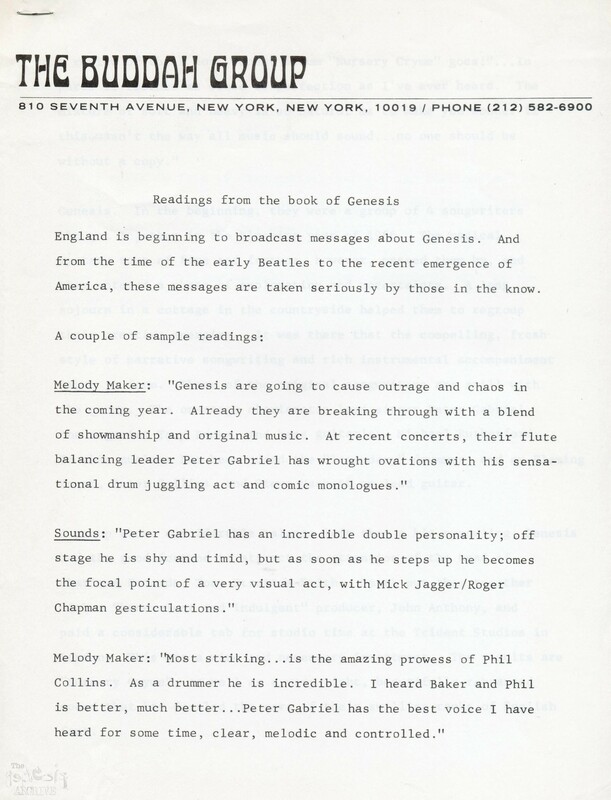 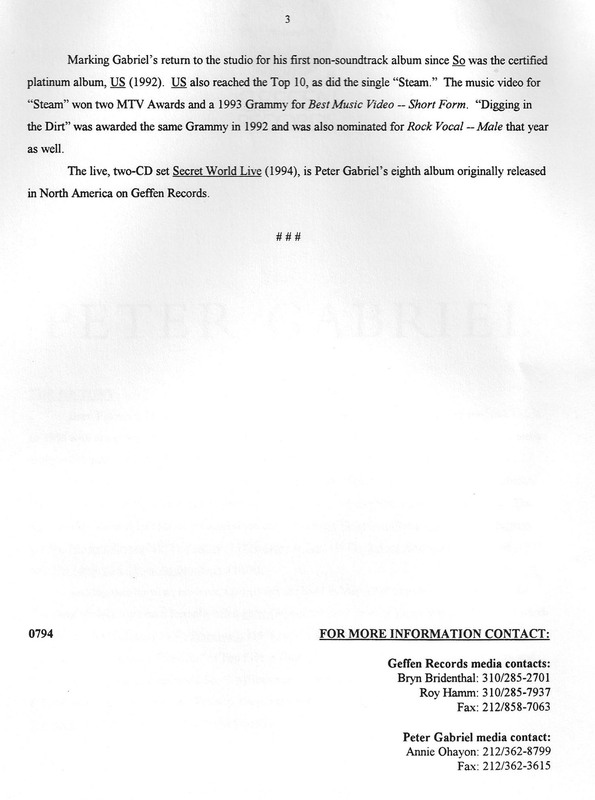 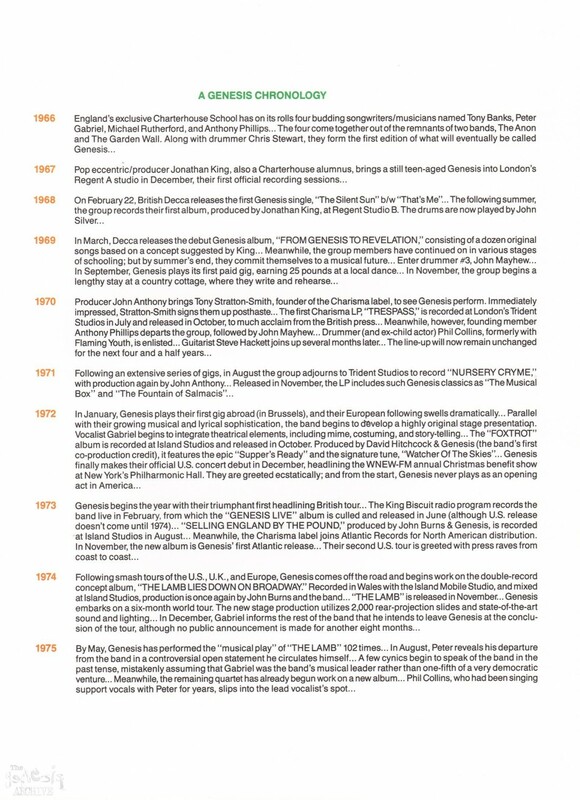 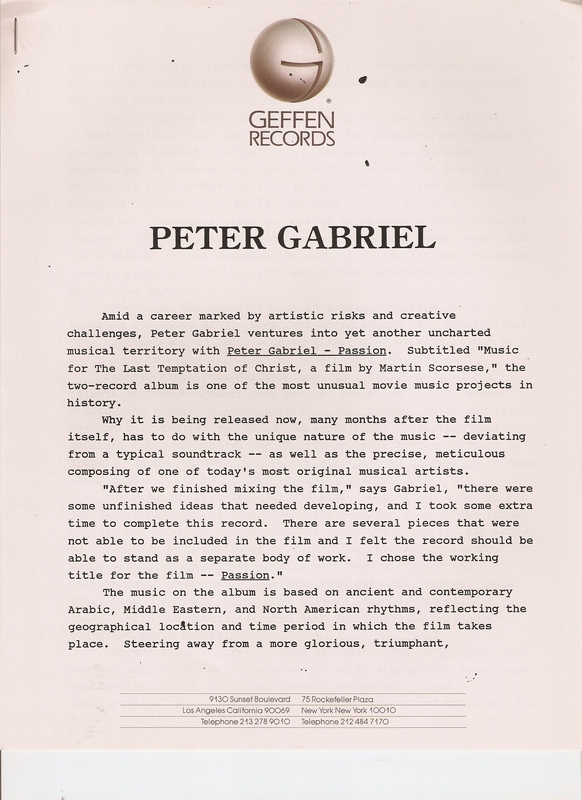 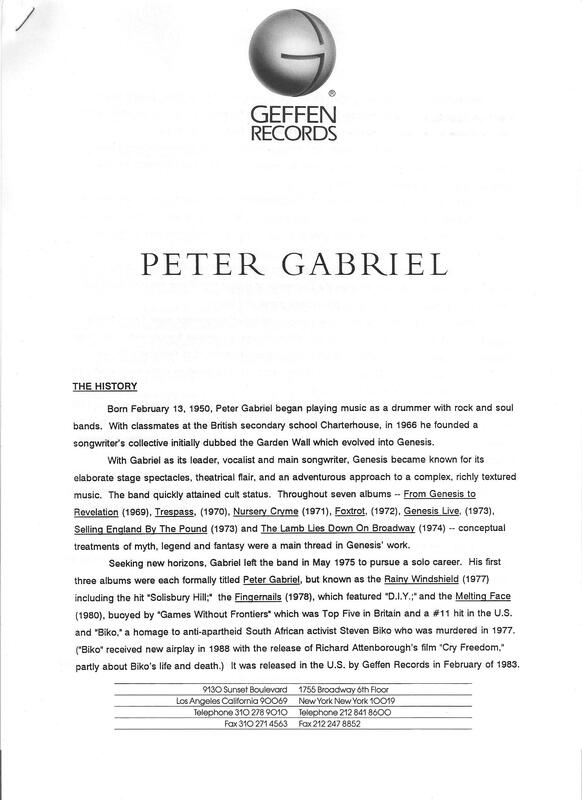 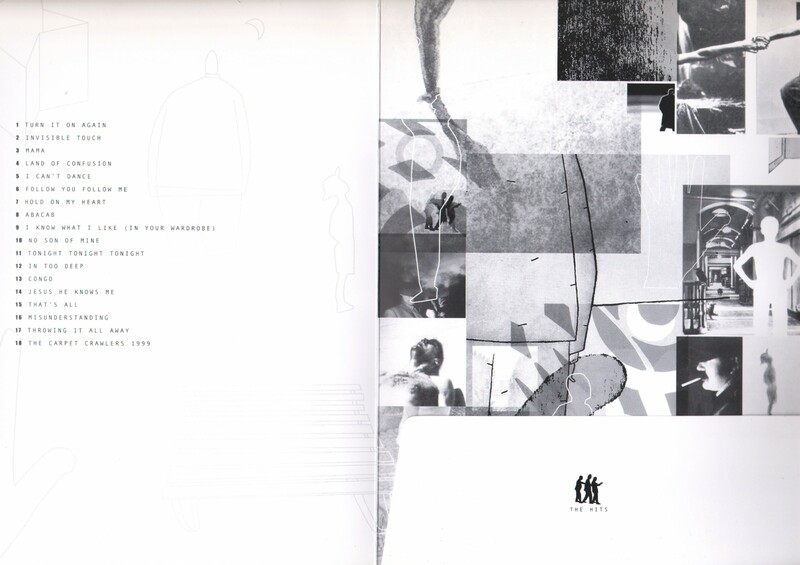 Here in full is the Geffen Records press kit for the Peter Gabriel album US. 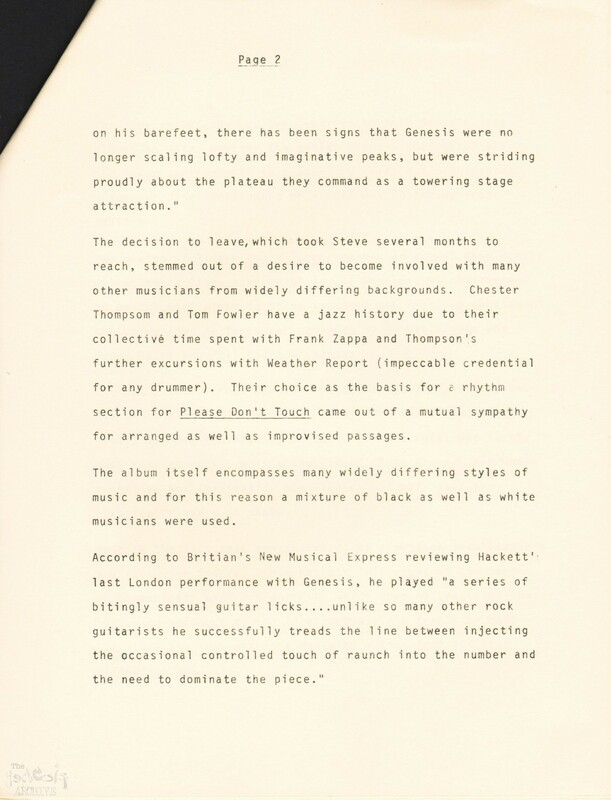 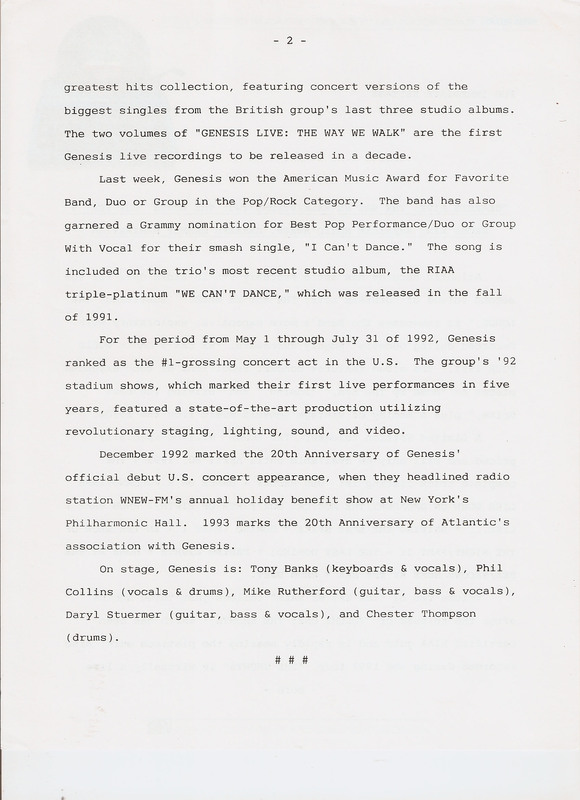 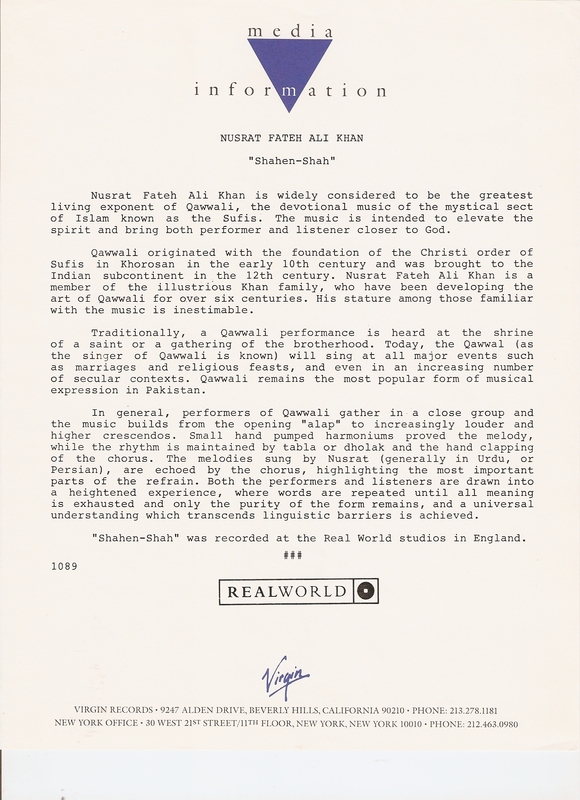 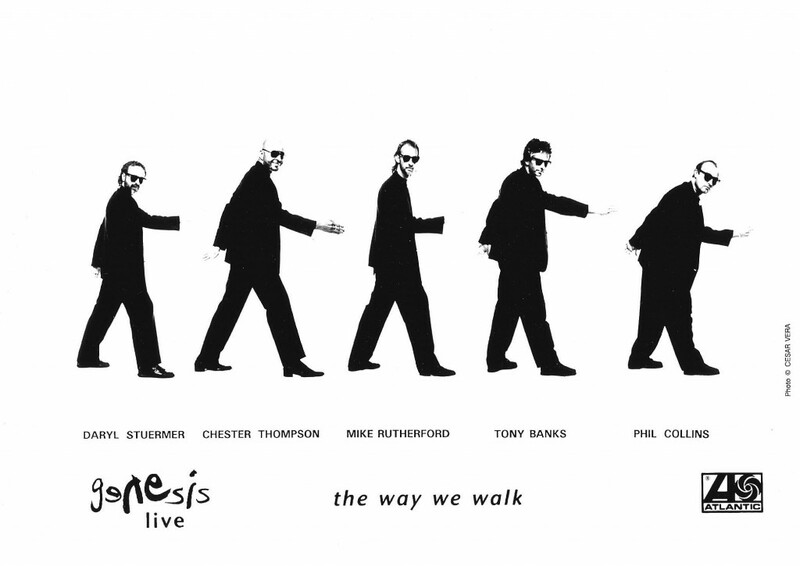 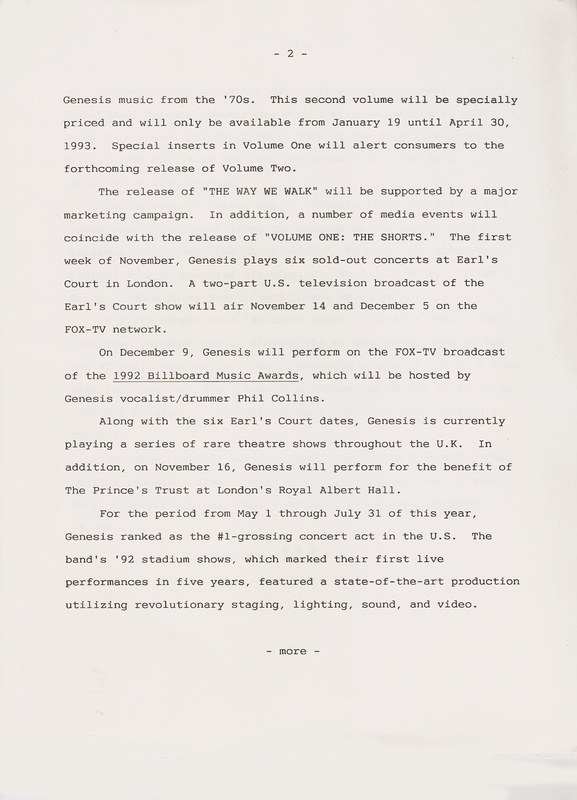 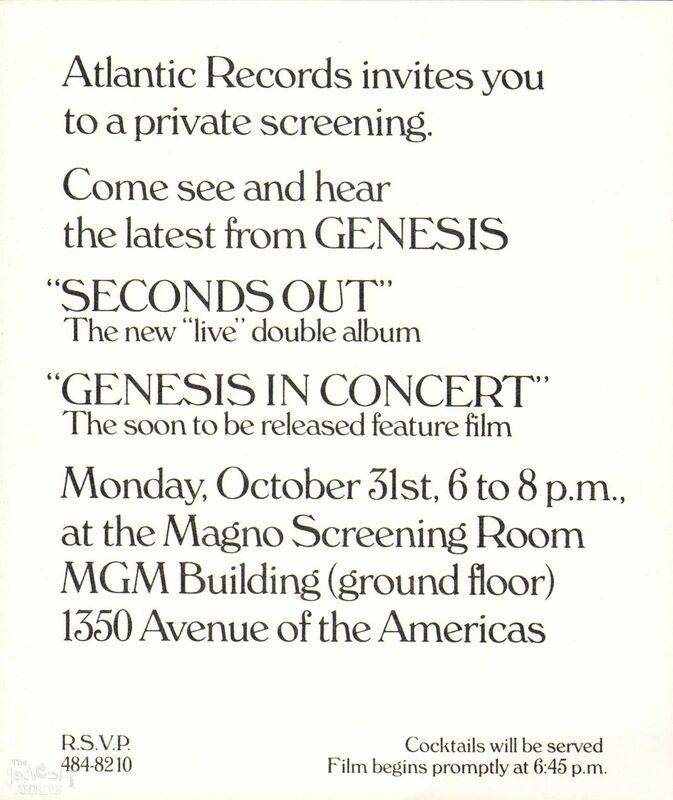 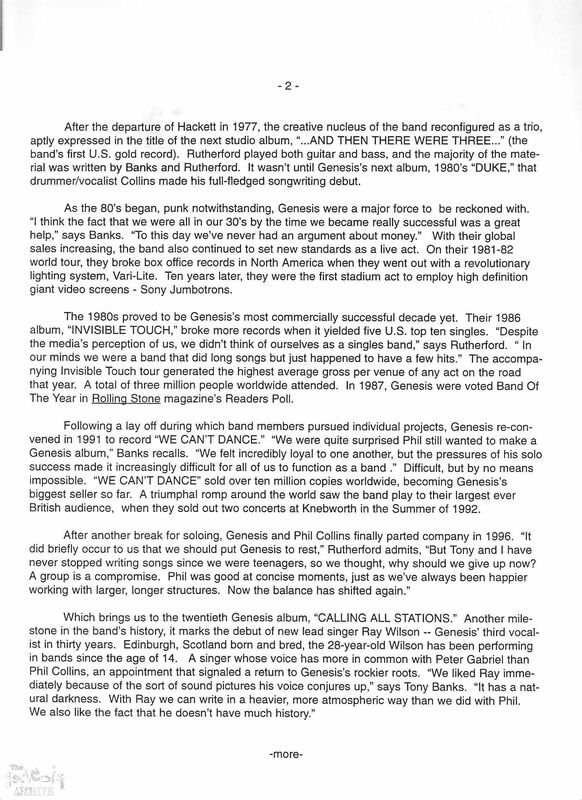 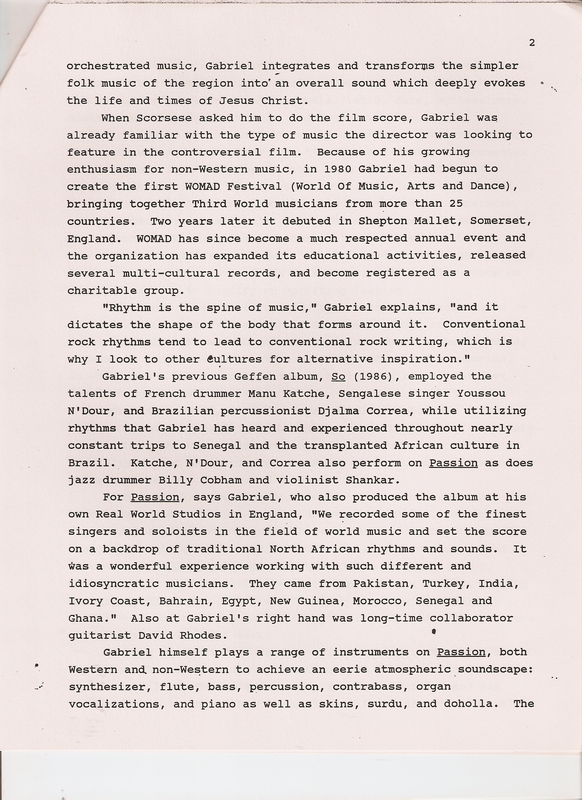 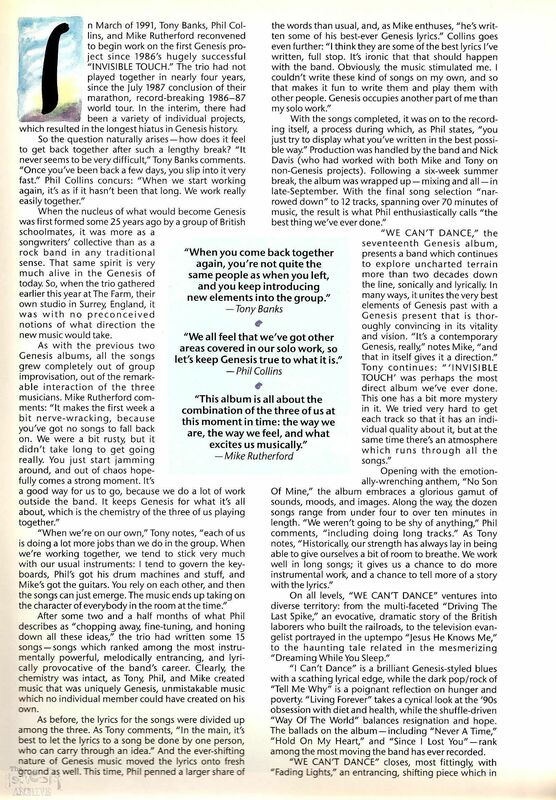 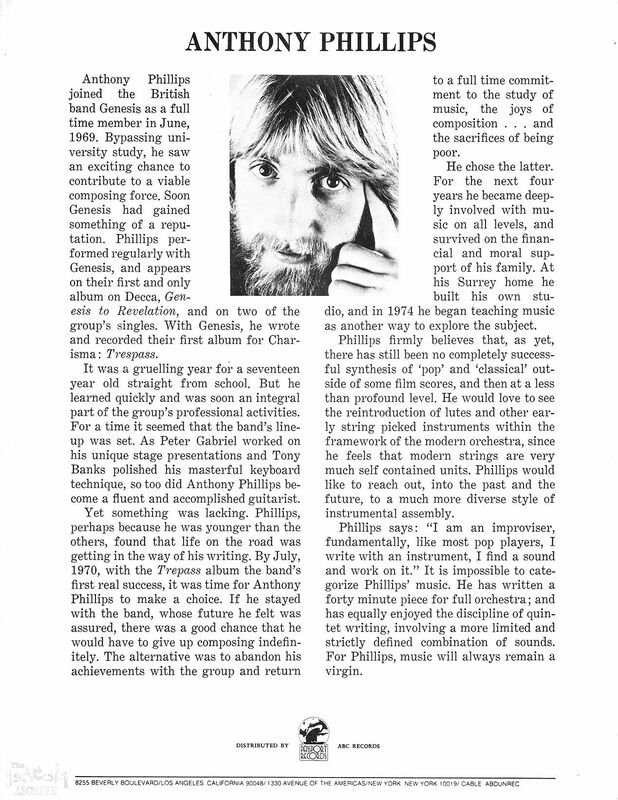 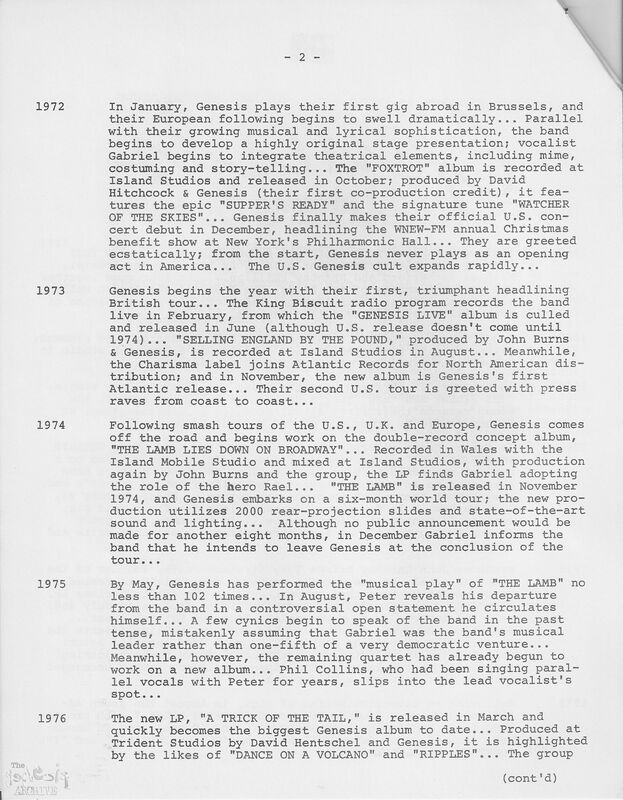 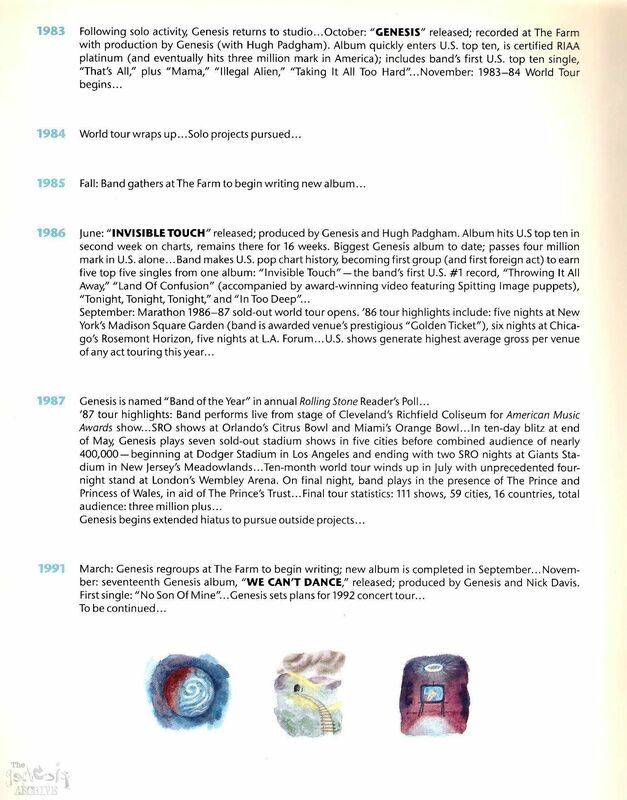 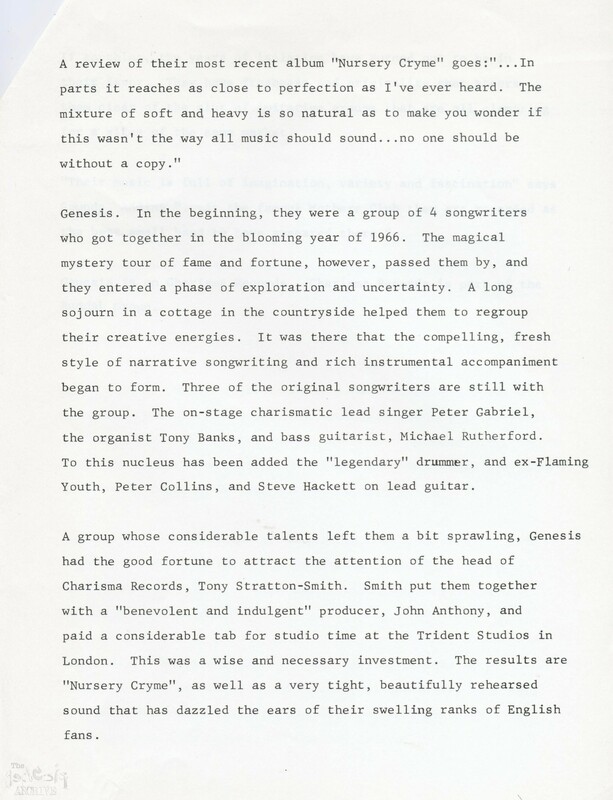 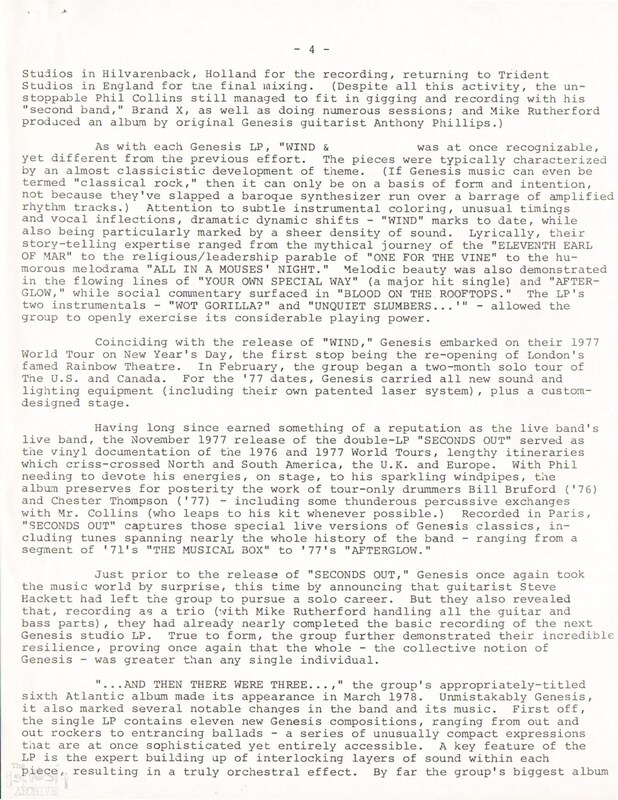 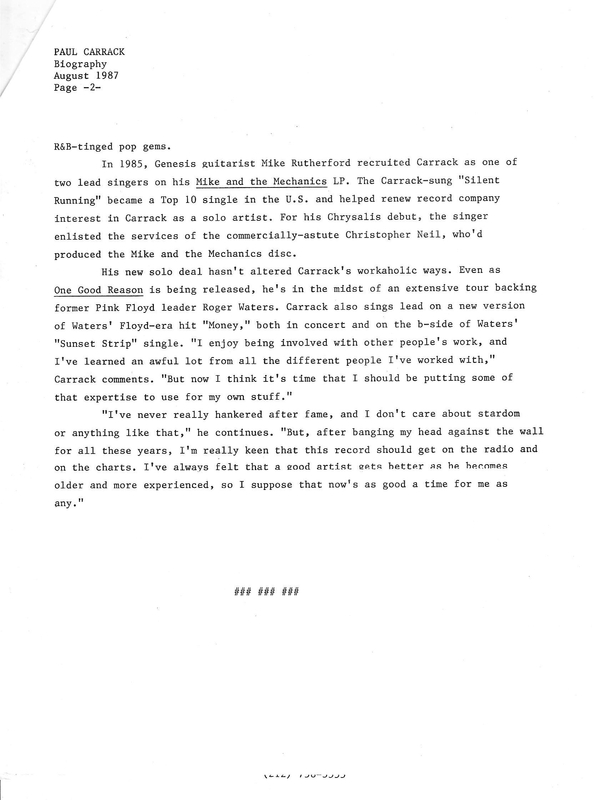 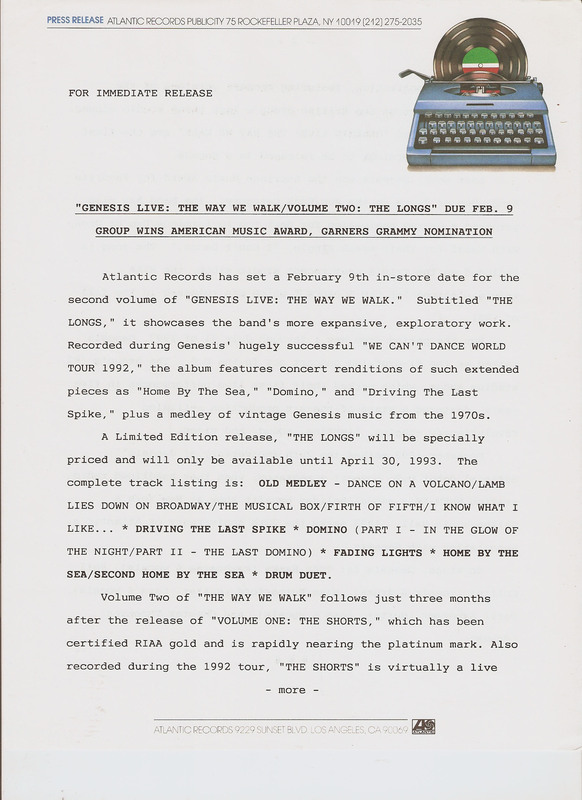 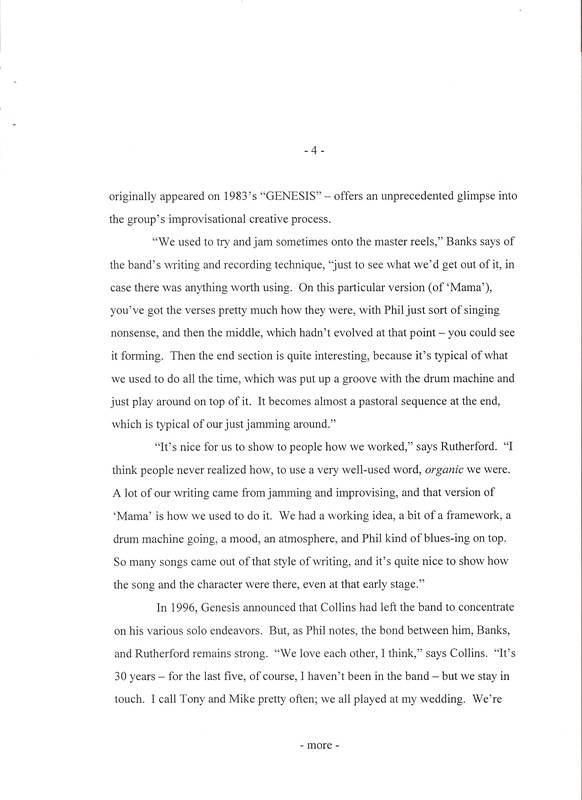 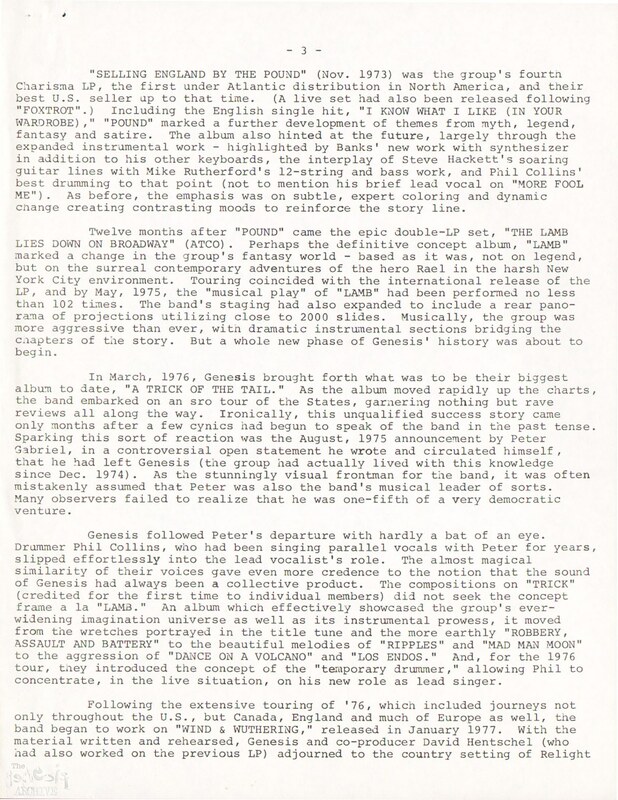 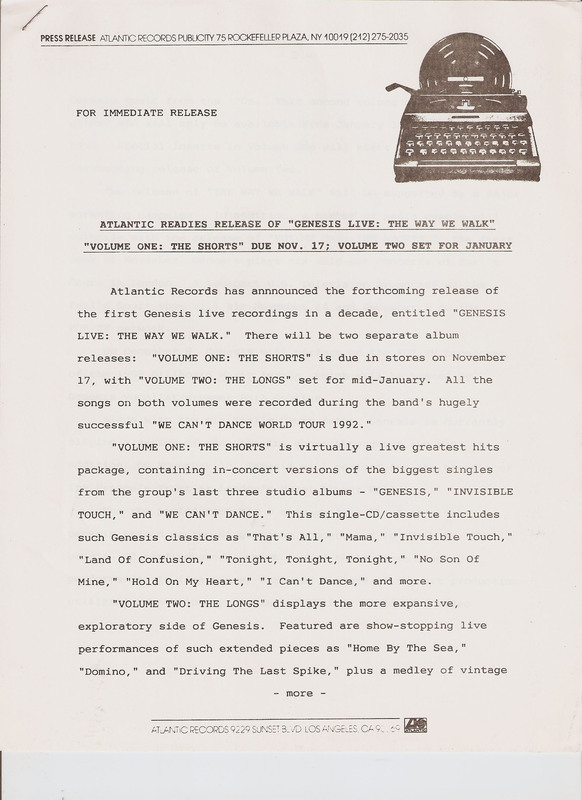 An Atlantic Records (therefore American) press kit for the 1992 Genesis live album – “The Way We Walk – Longs” – released in early 1993. 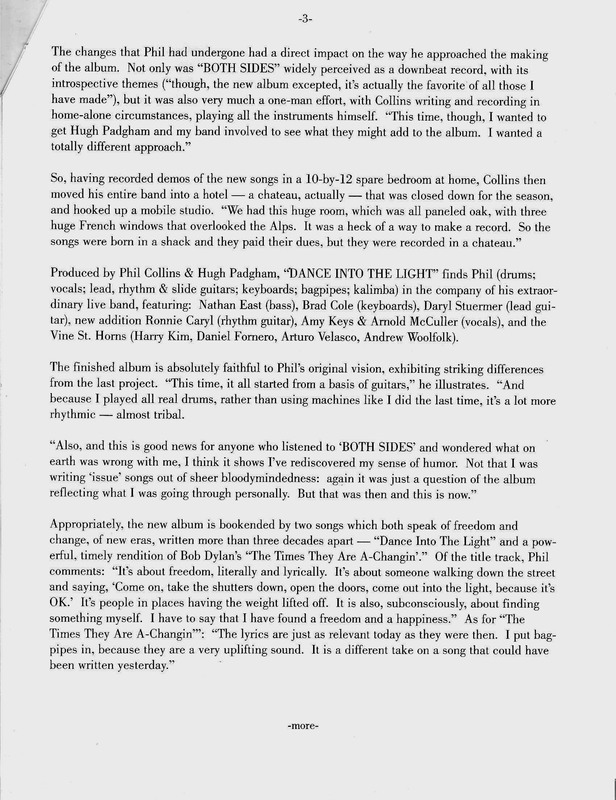 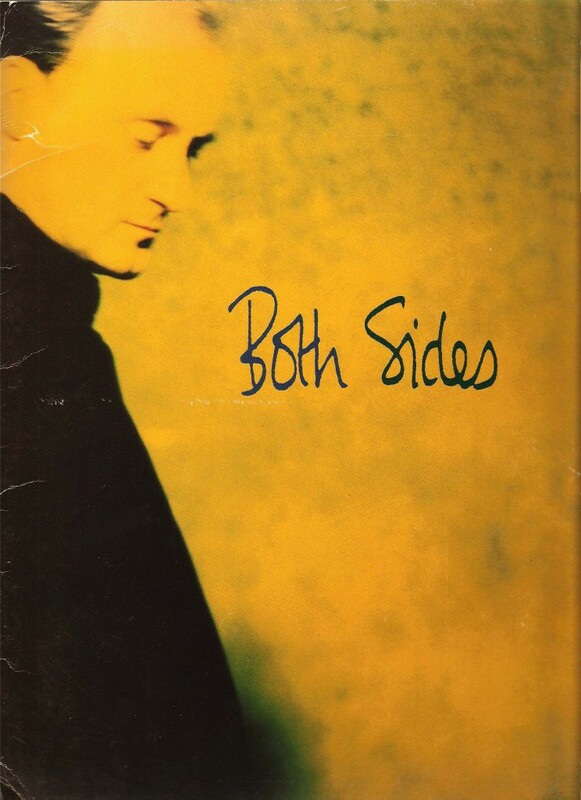 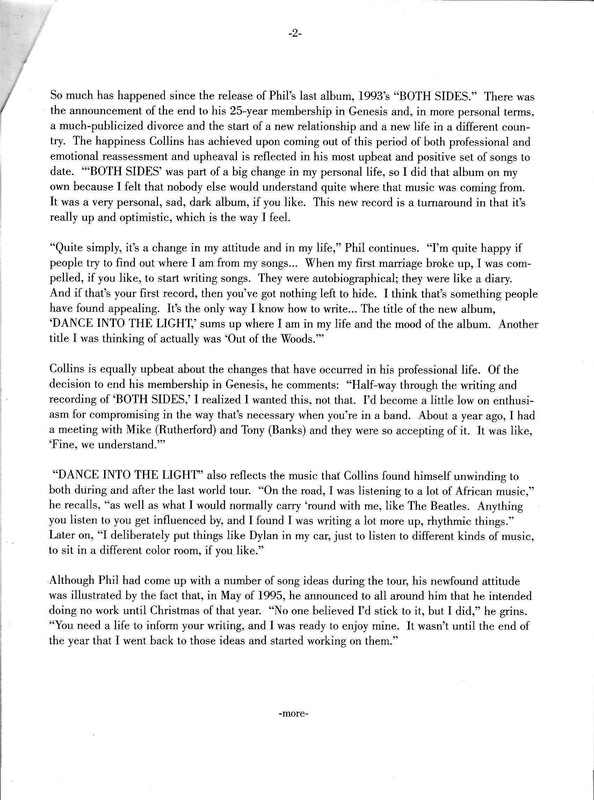 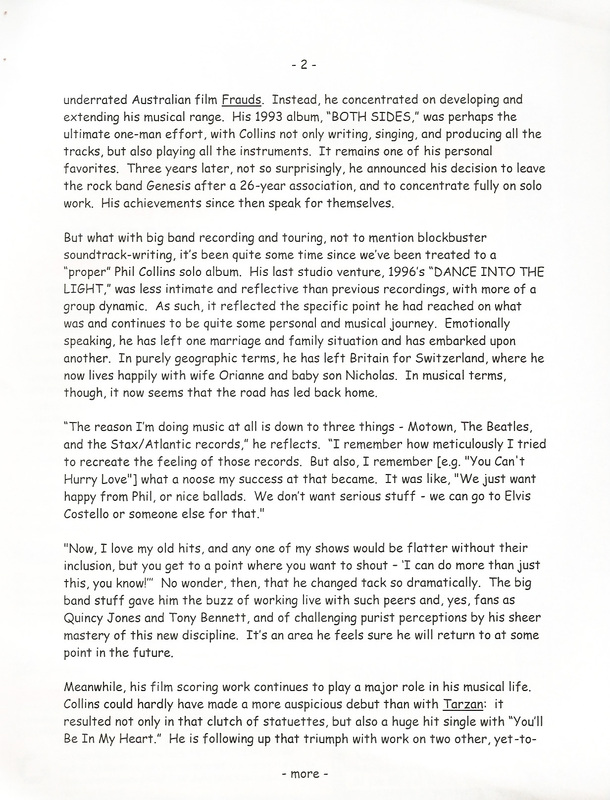 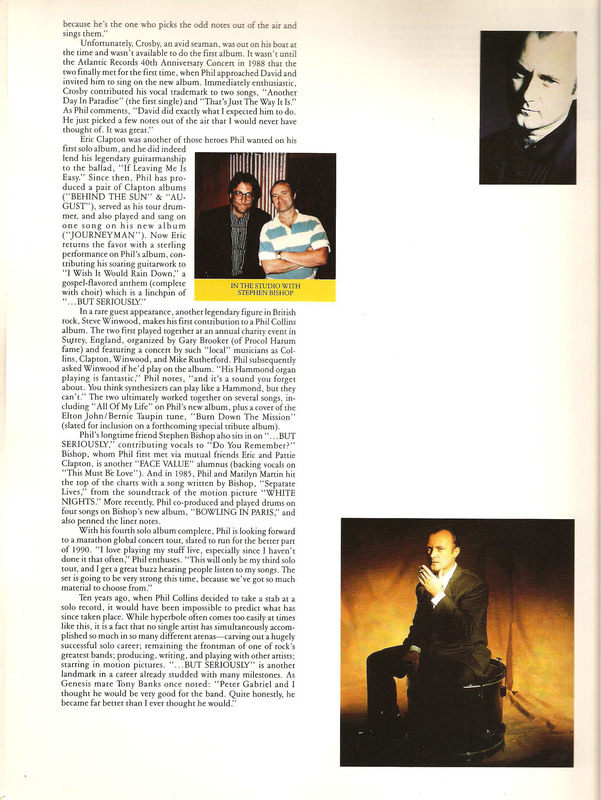 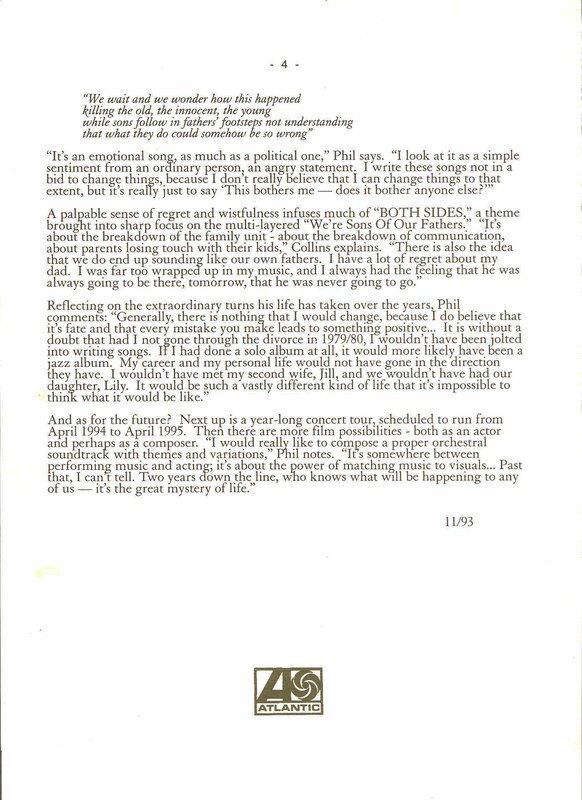 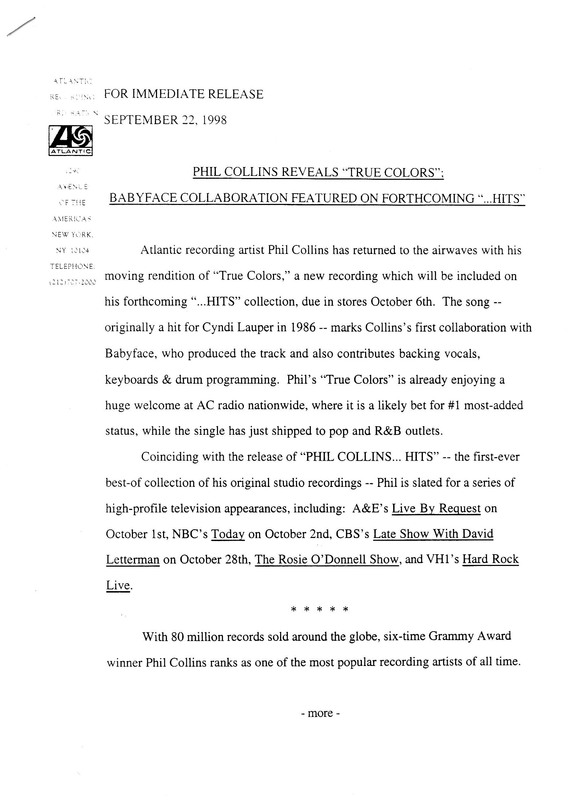 An Atlantic Records (therefore American) press kit for the 1993 Phil Collins album “Both Sides Of The Story”. 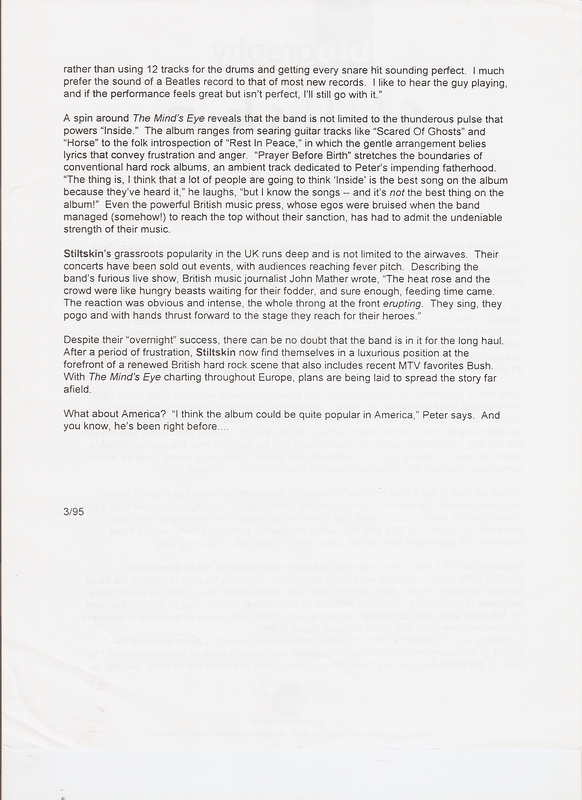 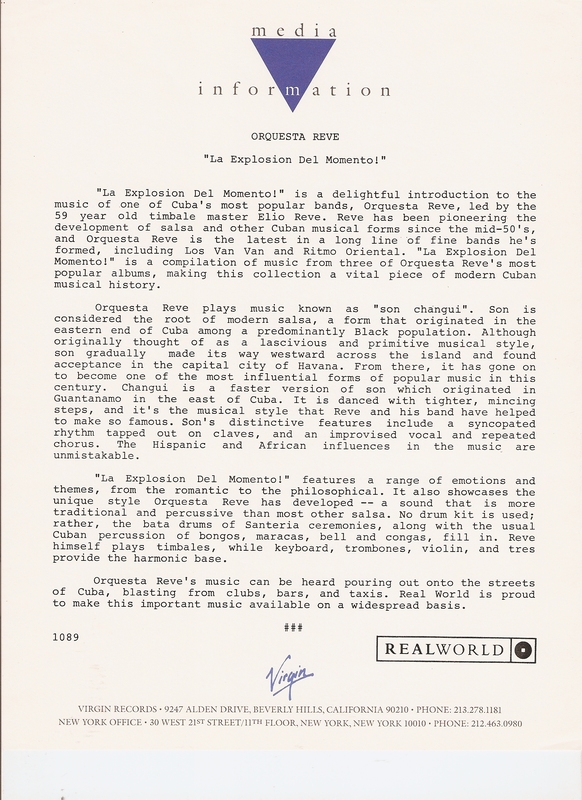 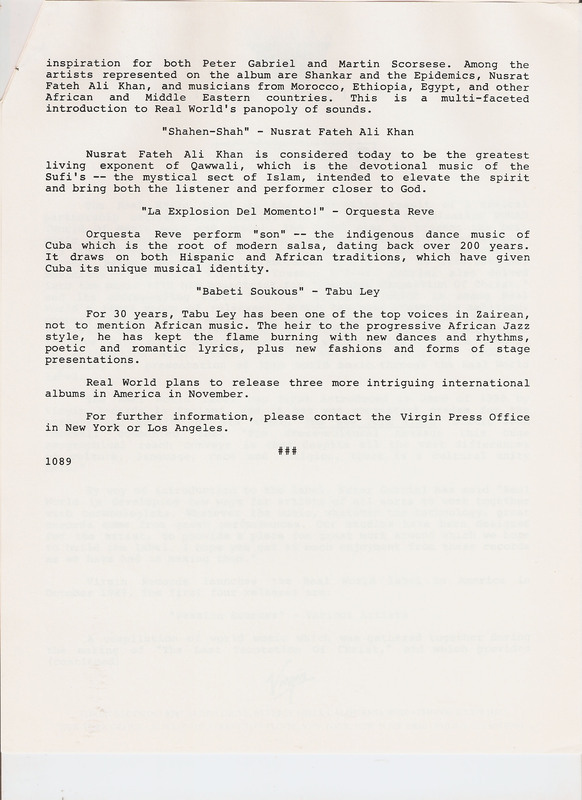 This is the American record company press kit for the 1994 Live album Secret World which was recorded on the 1993 US tour. 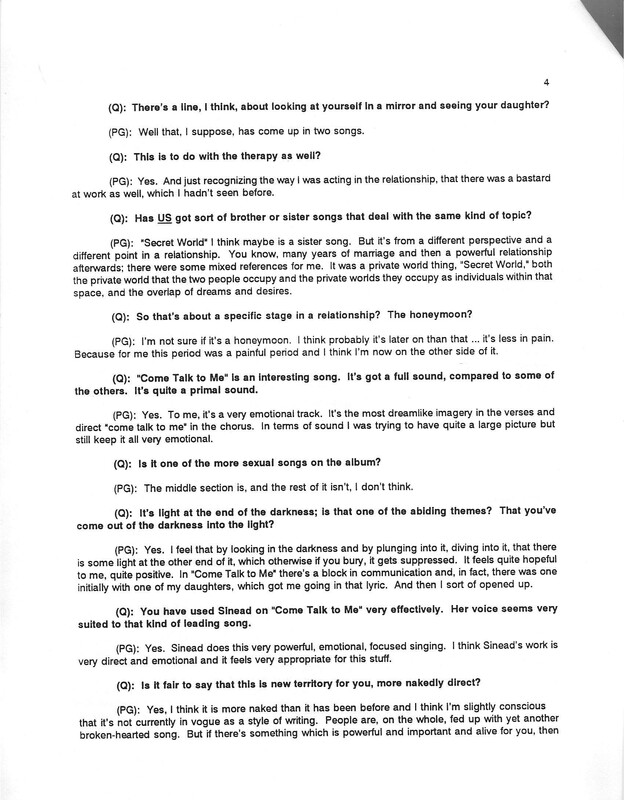 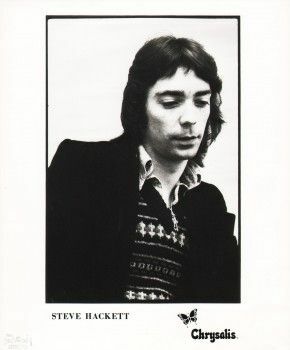 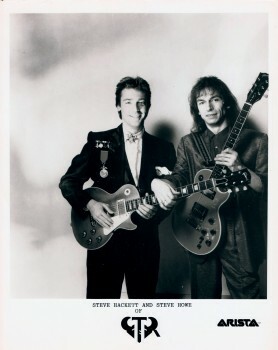 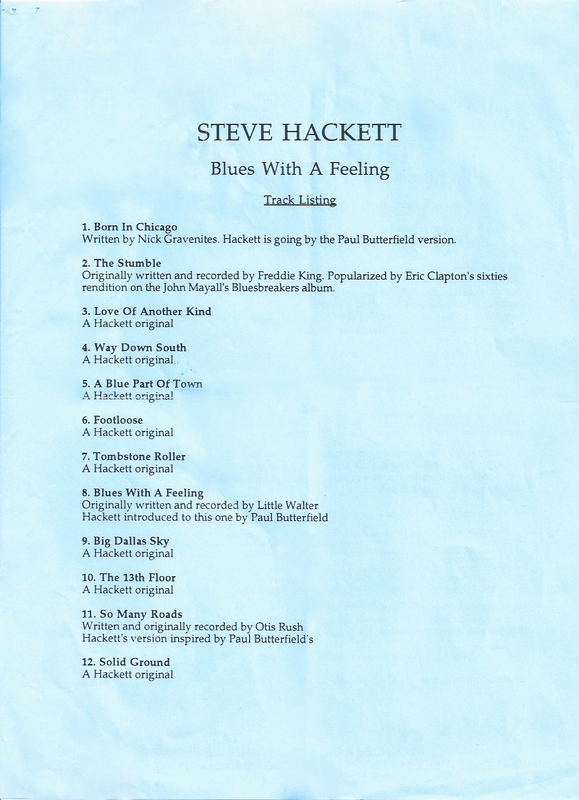 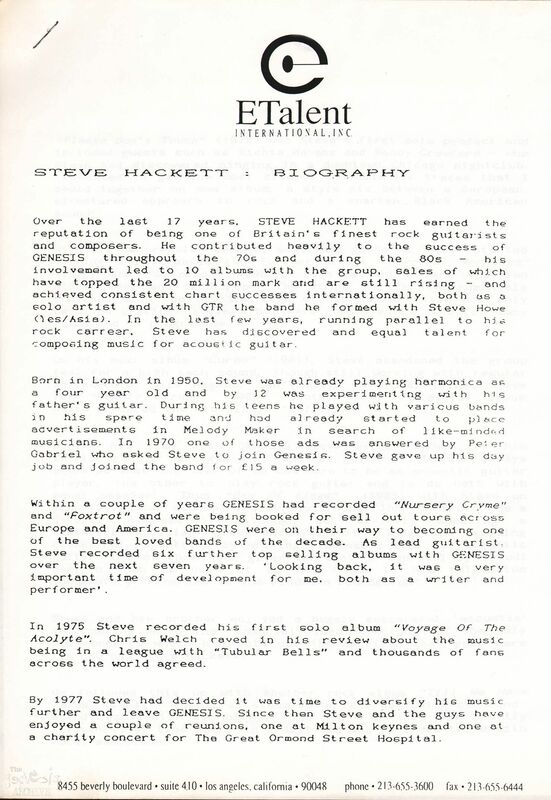 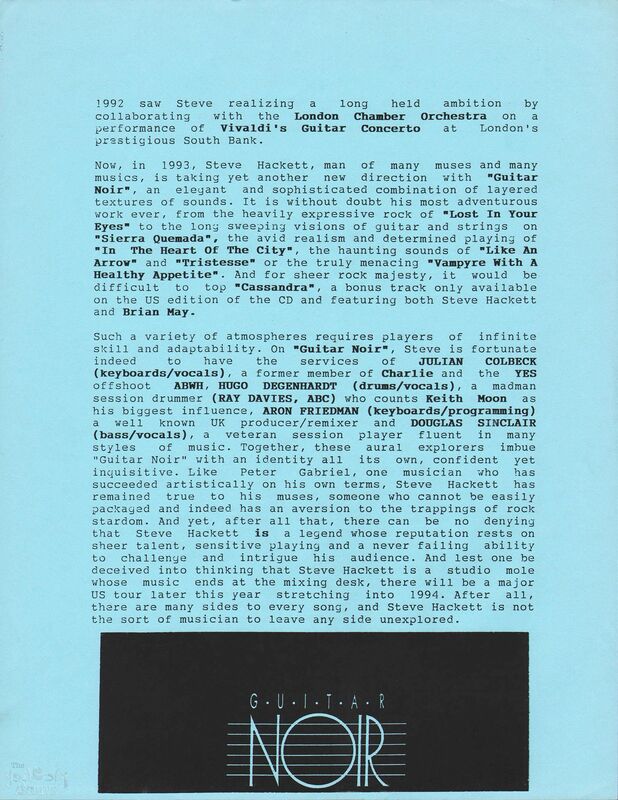 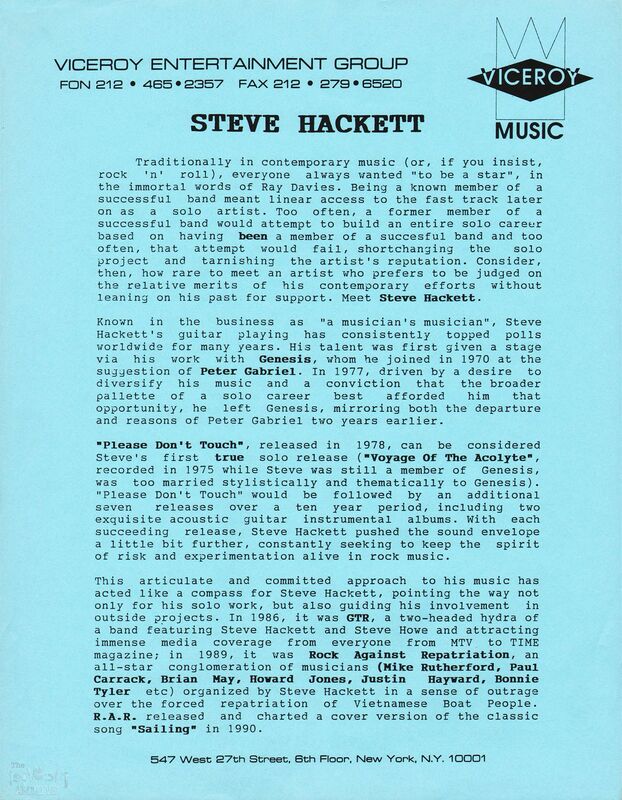 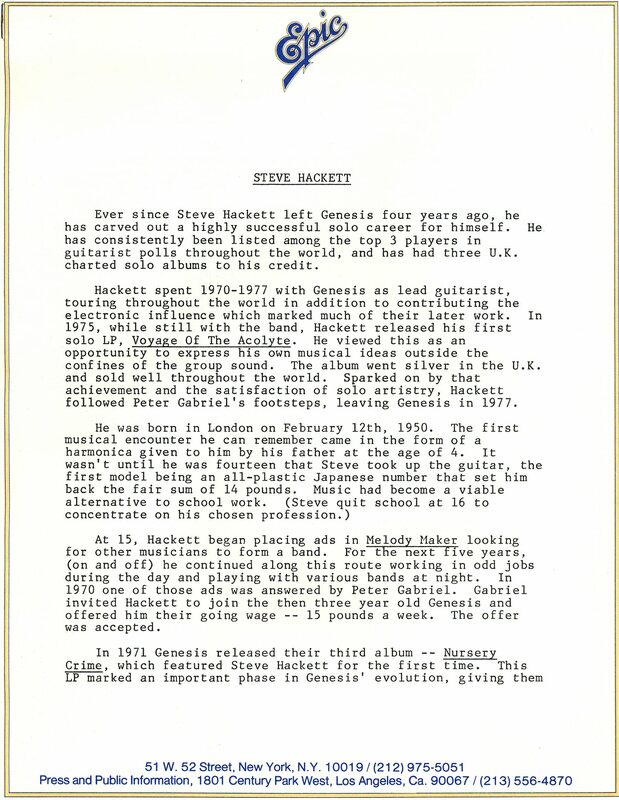 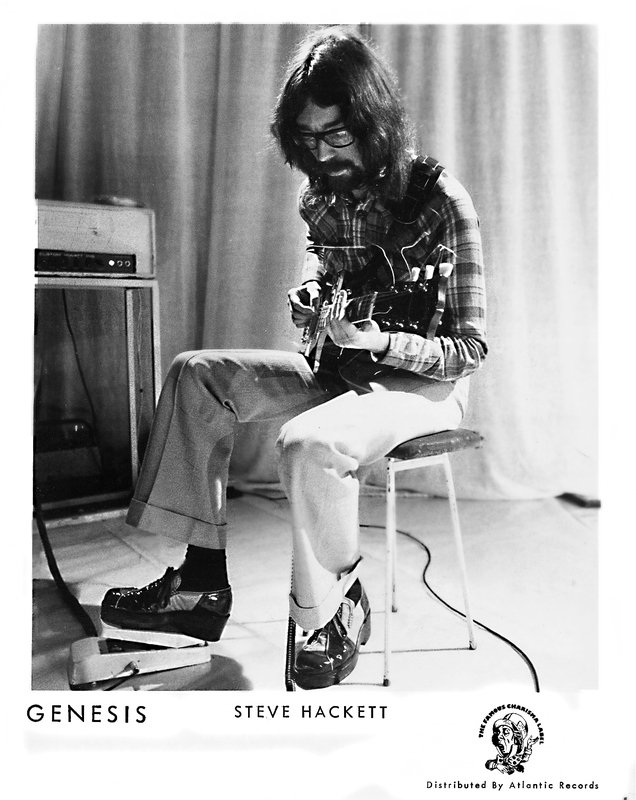 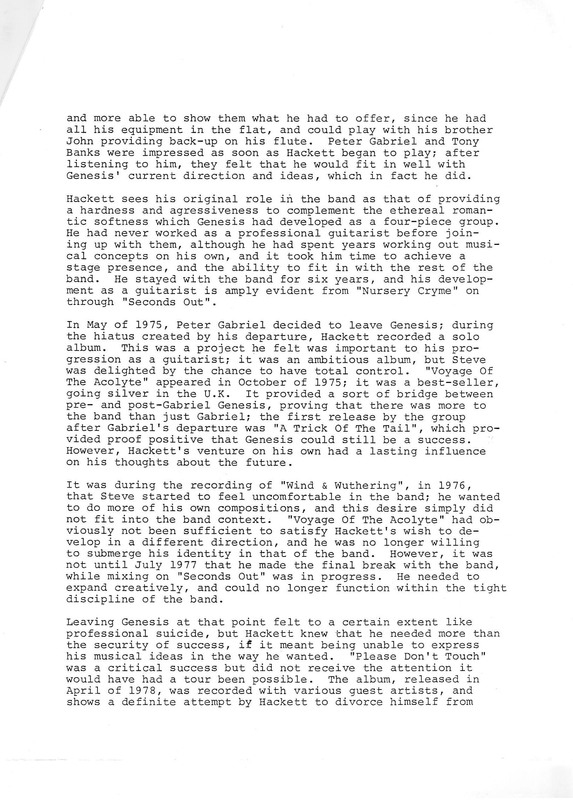 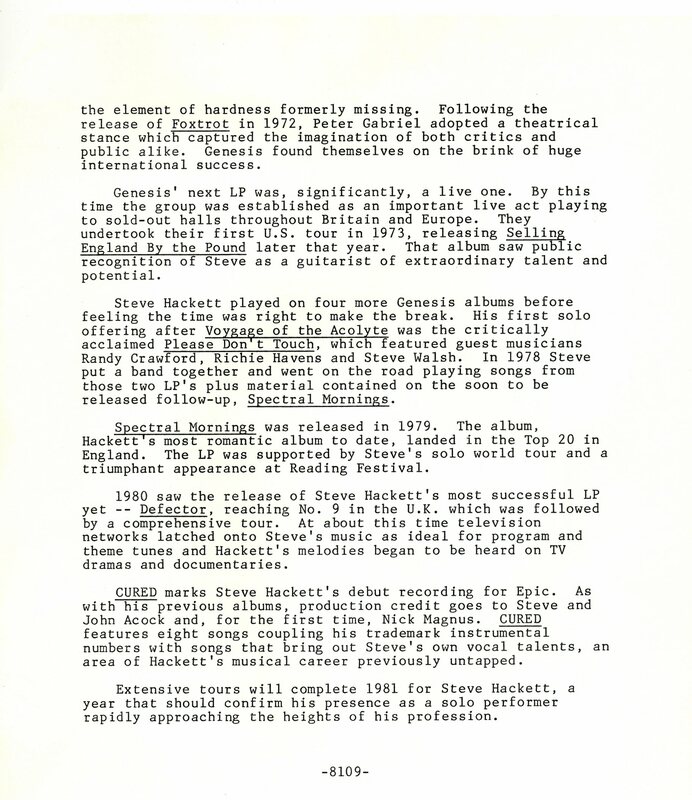 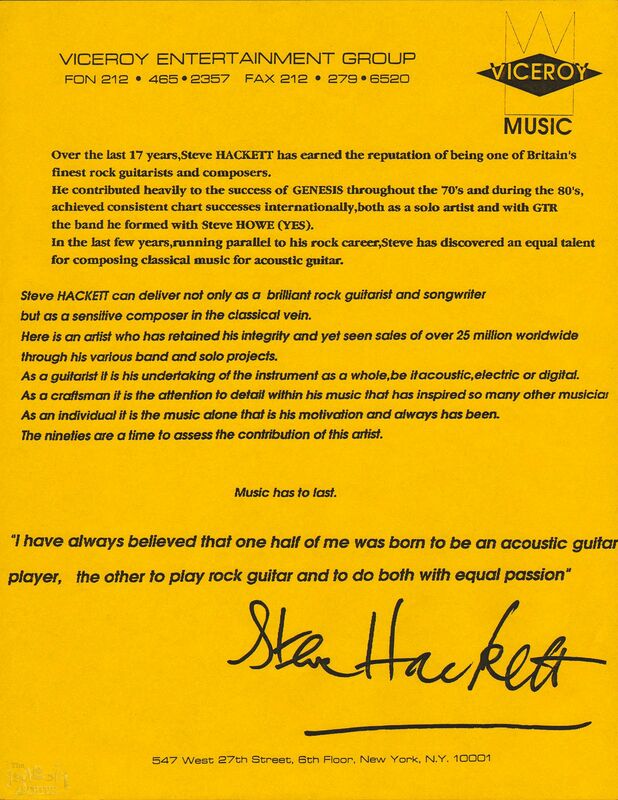 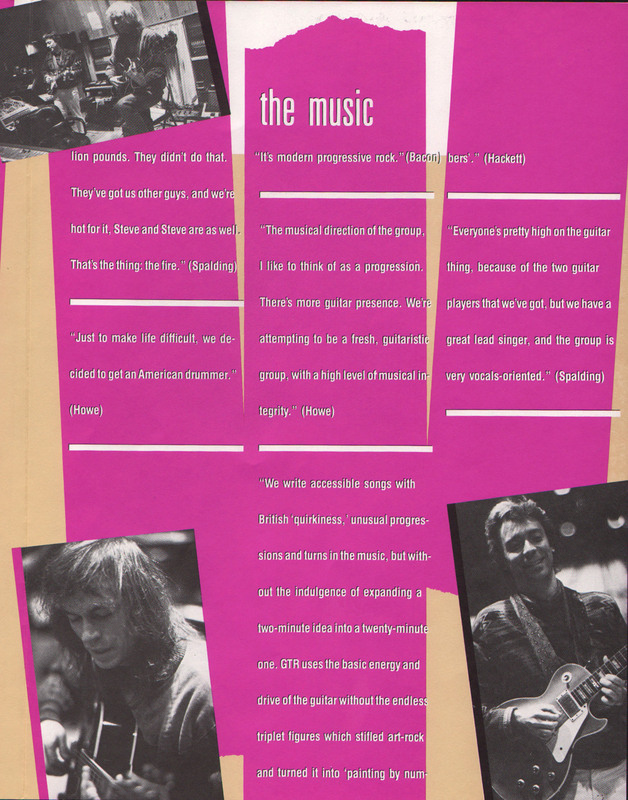 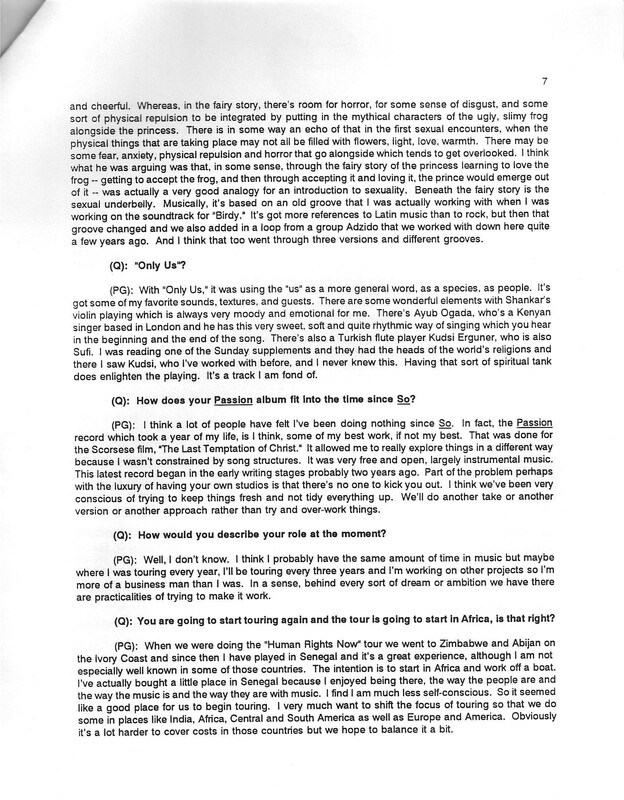 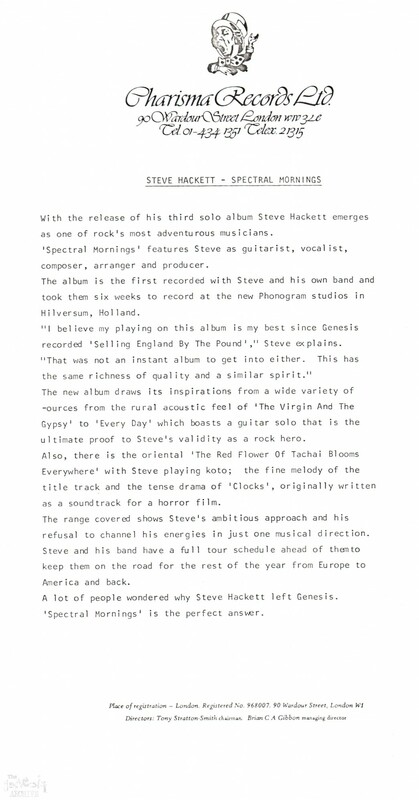 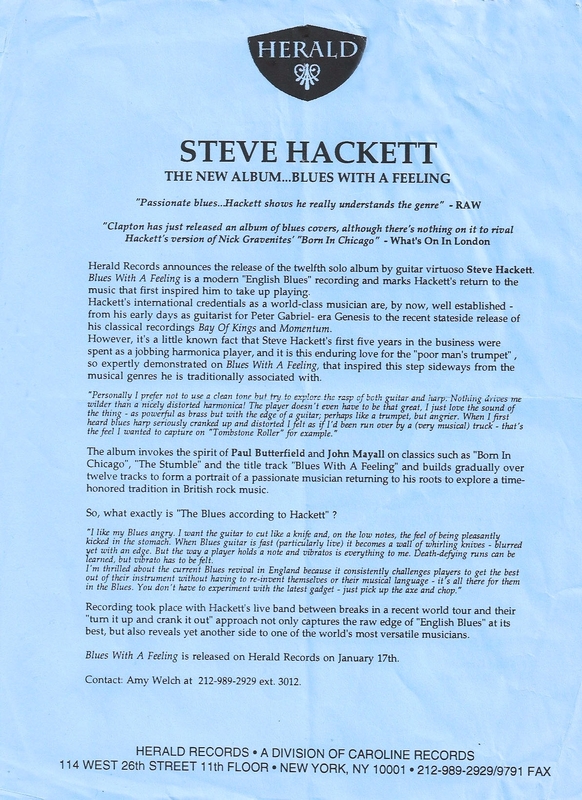 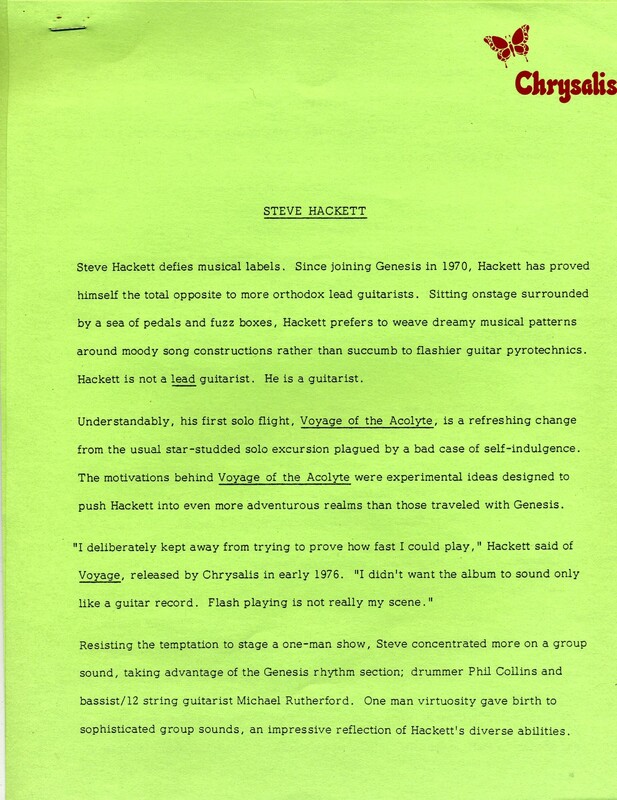 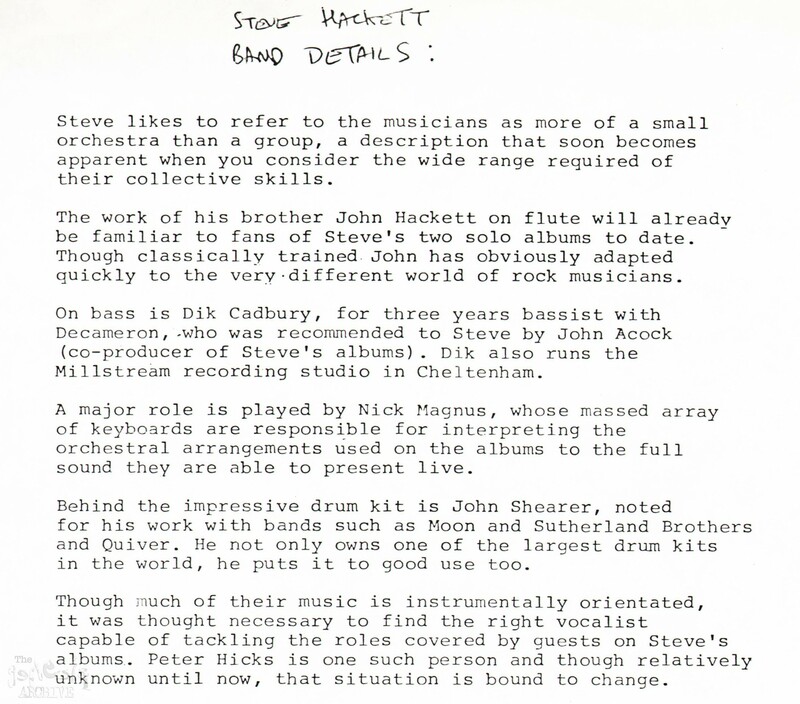 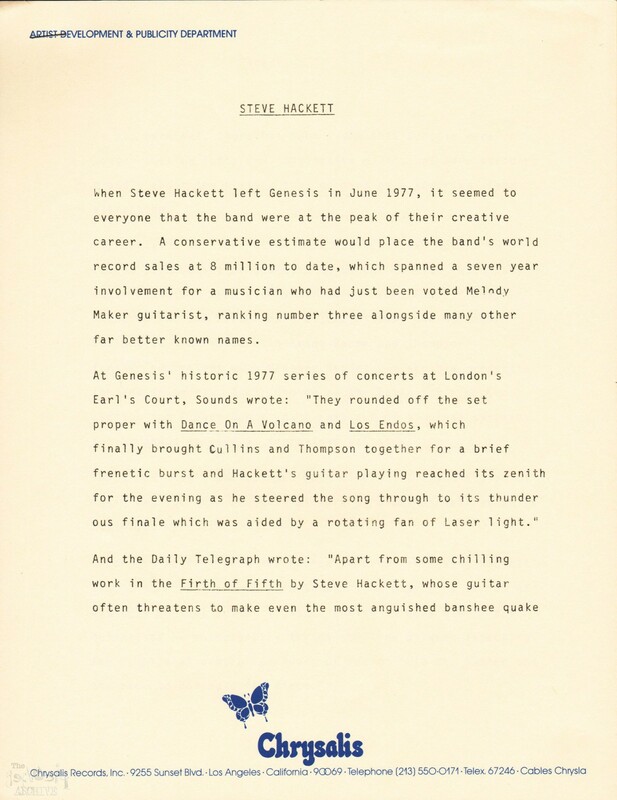 This is the press kit for the Steve Hackett album “Blues With A Feeling”. 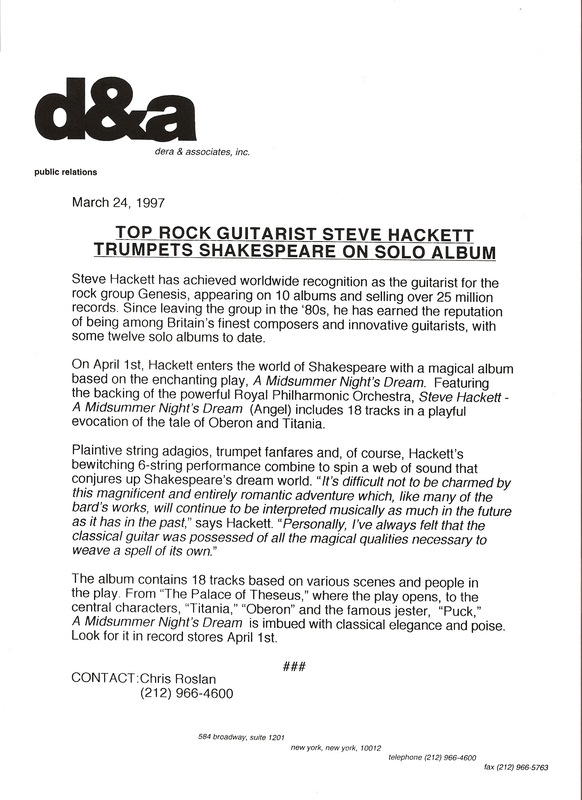 This is the Angel Records (therefore an american) press kit for the 1997 Steve Hackett album A Midsummer Nights Dream. 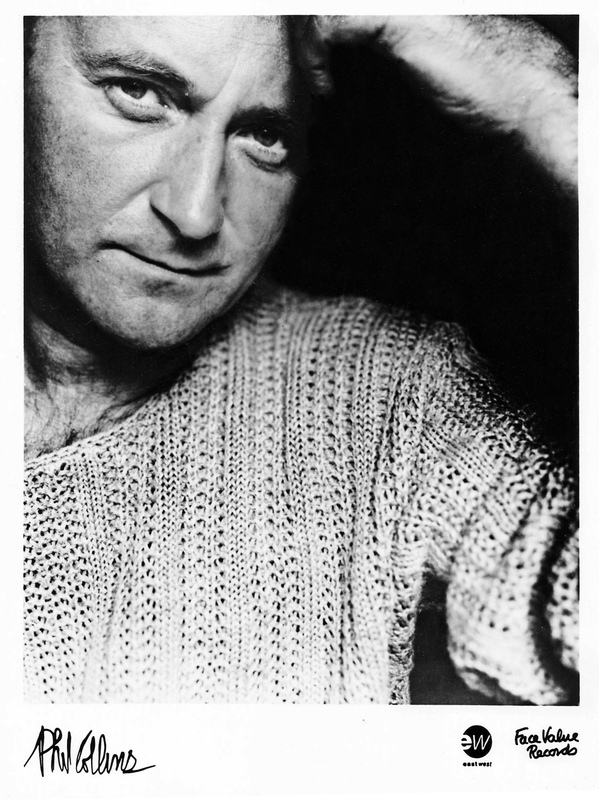 Two press photos from A Midsummer nights dream. 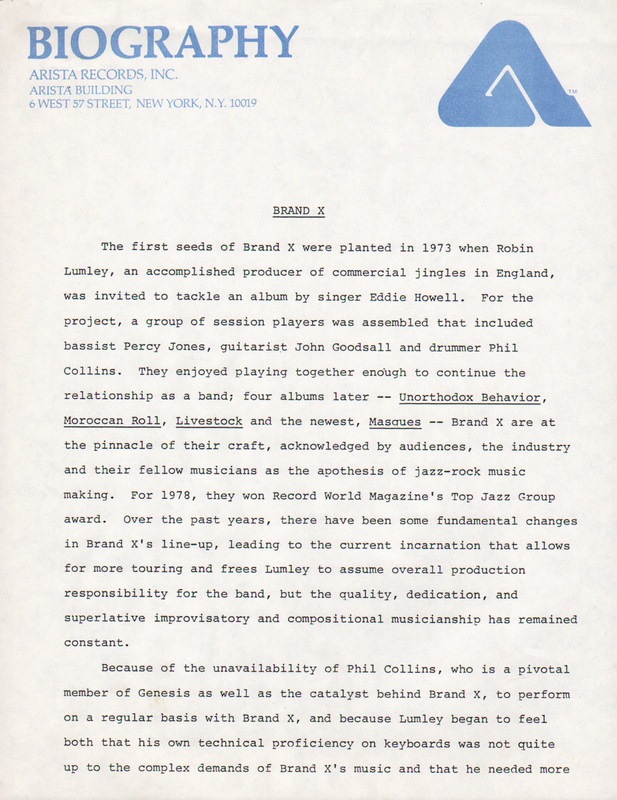 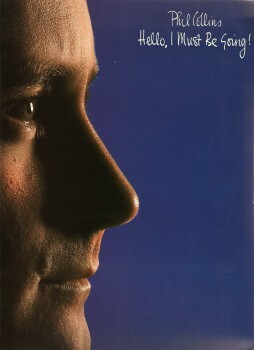 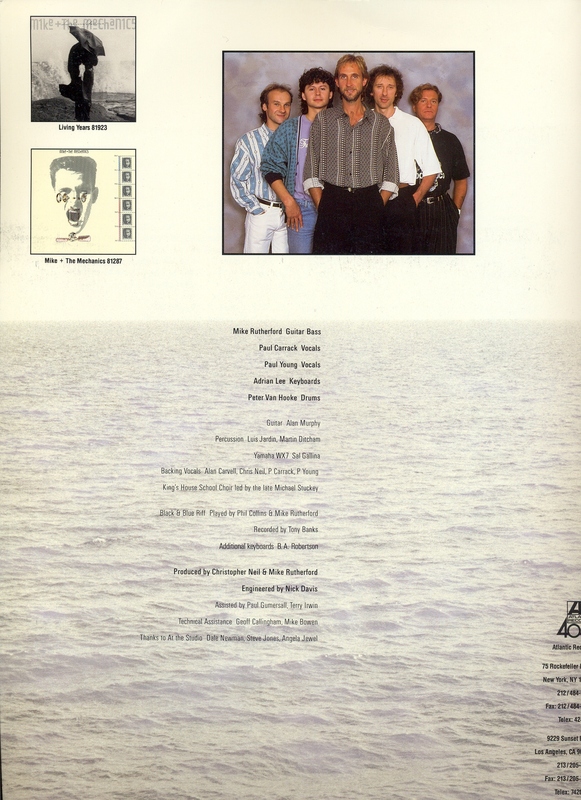 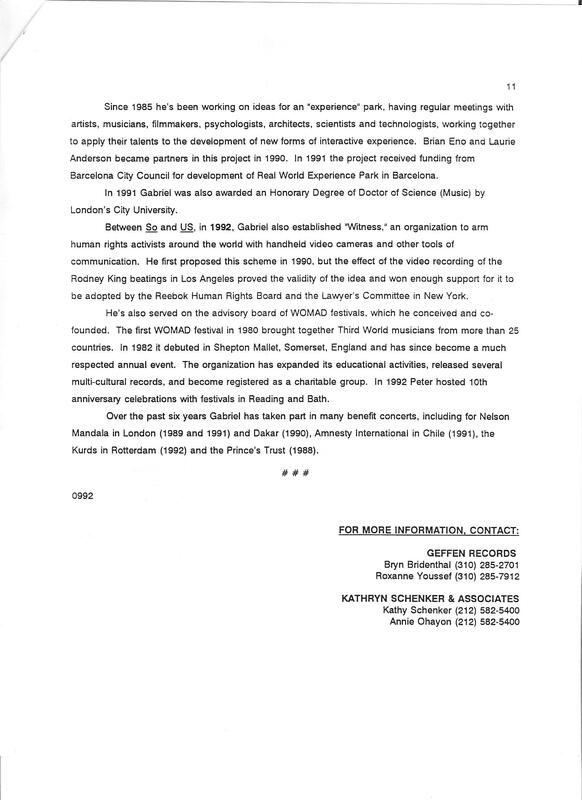 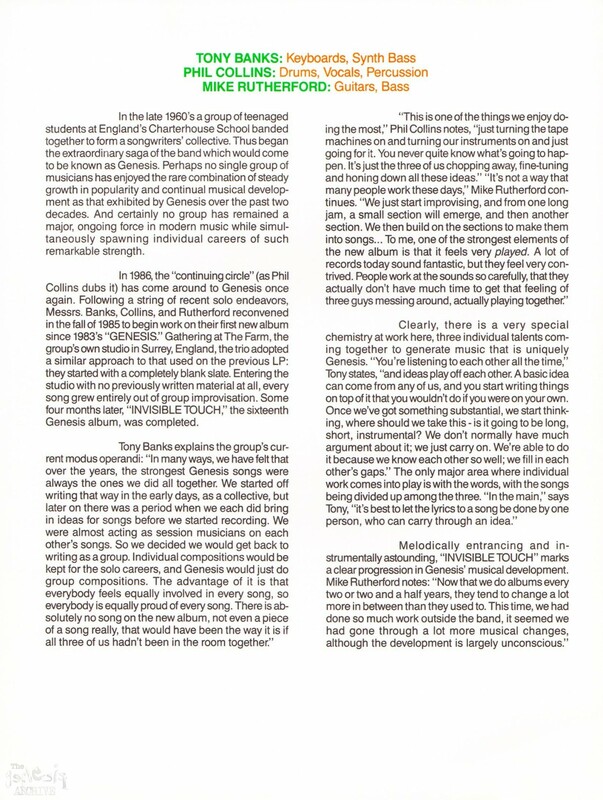 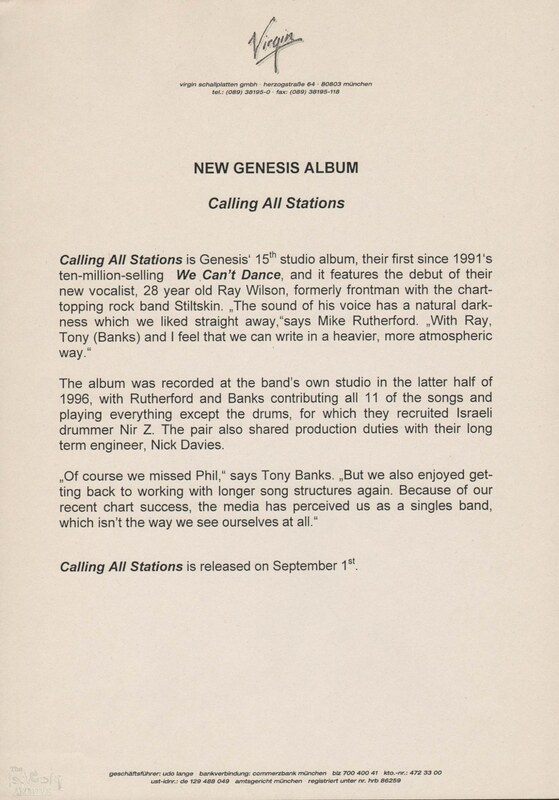 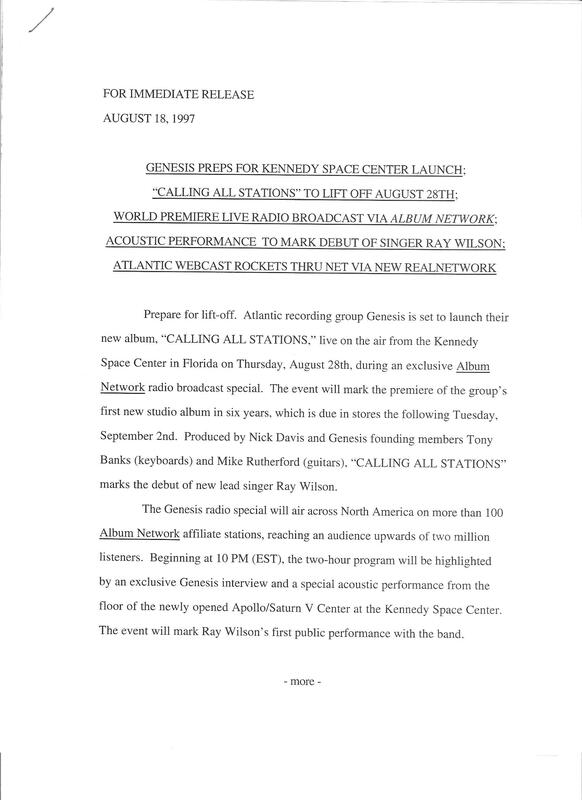 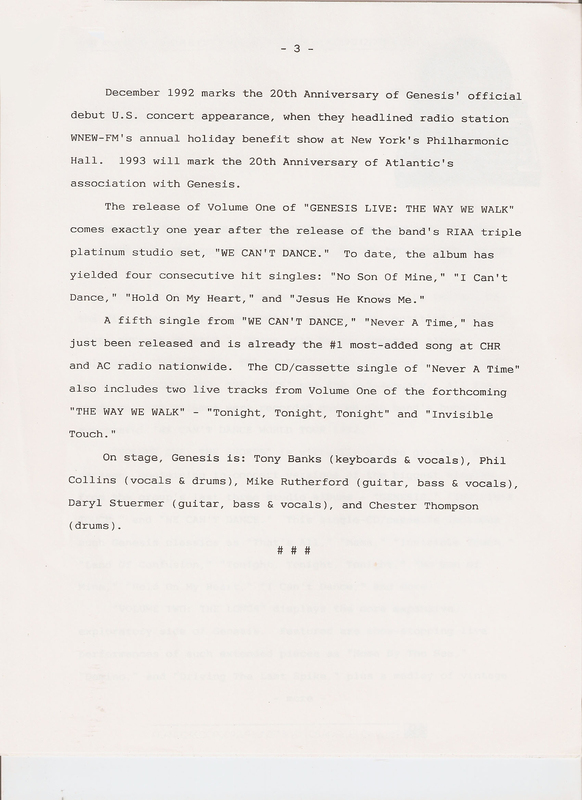 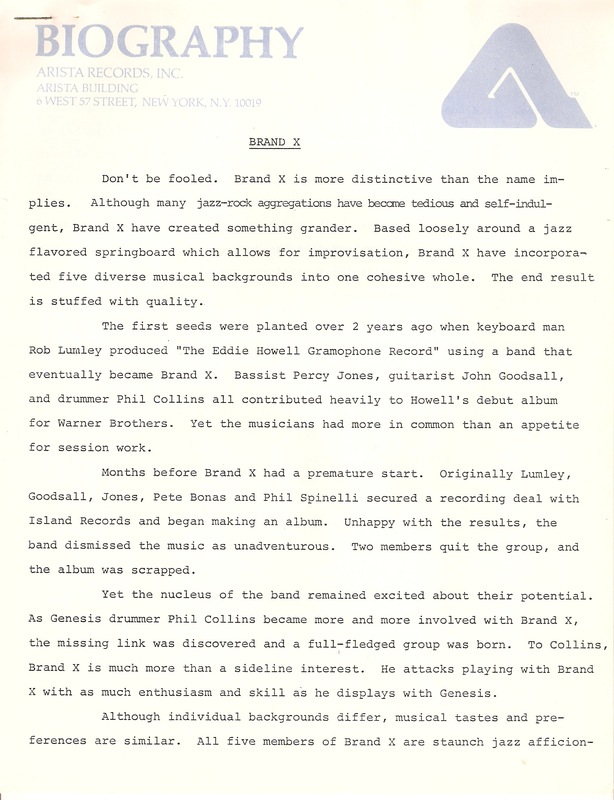 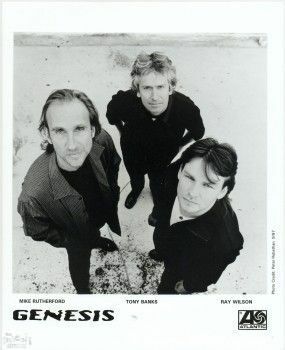 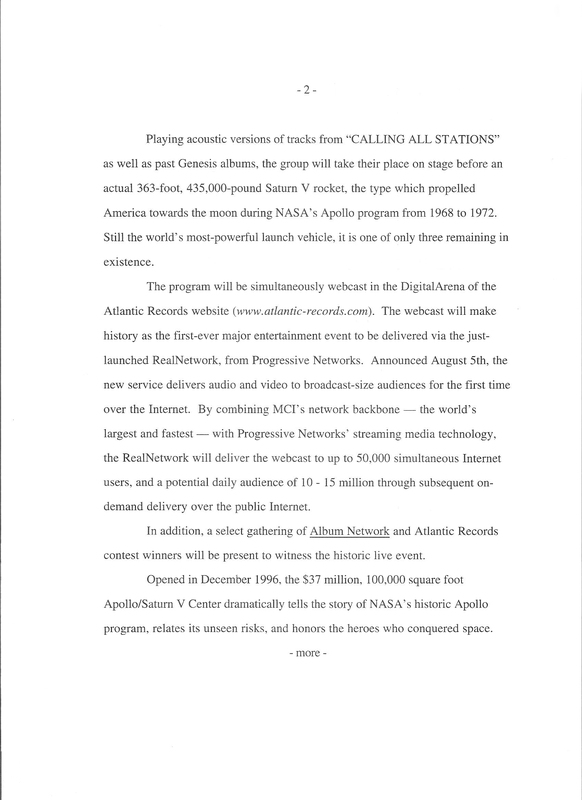 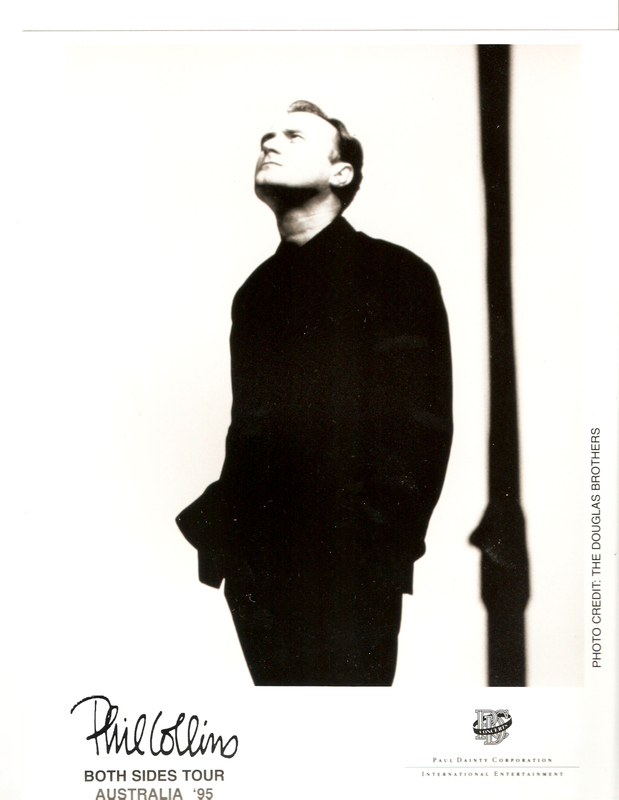 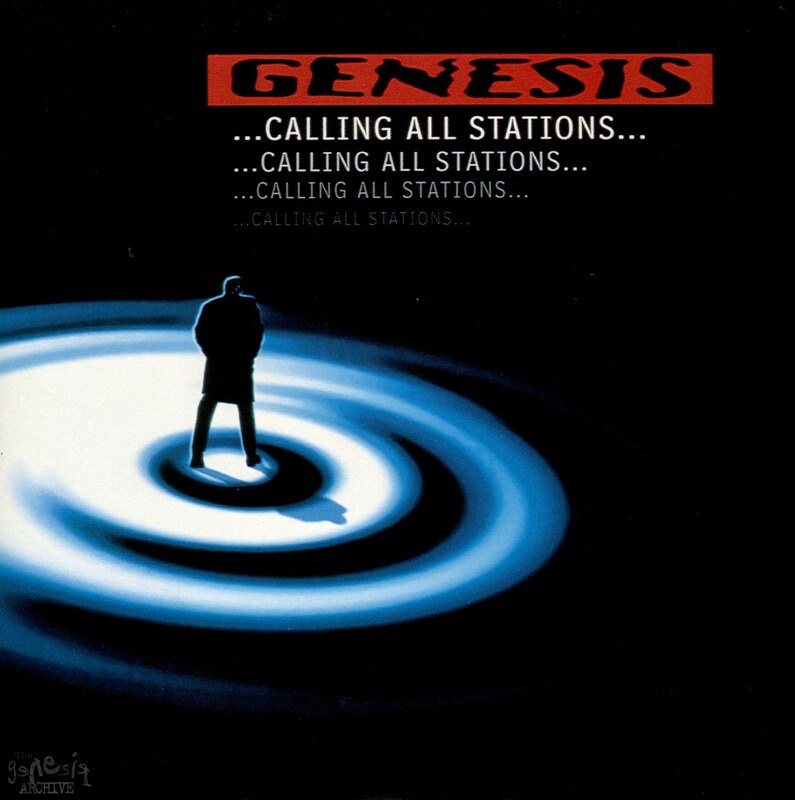 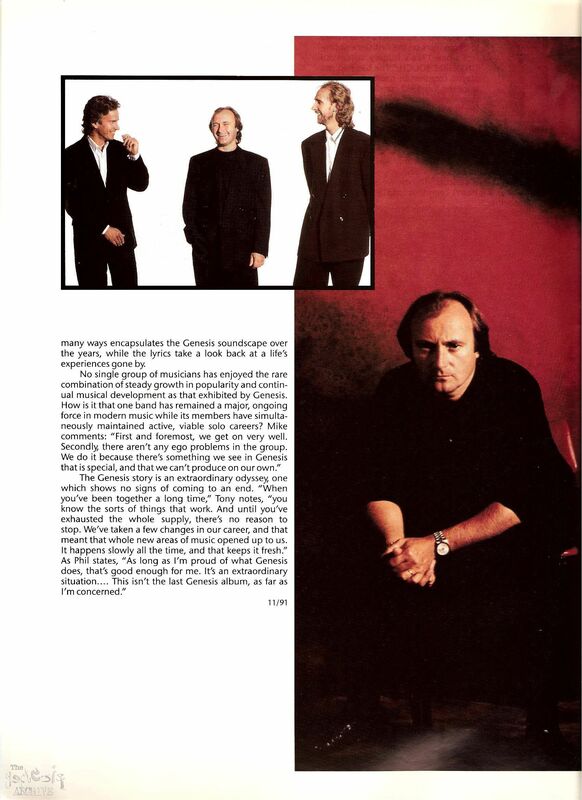 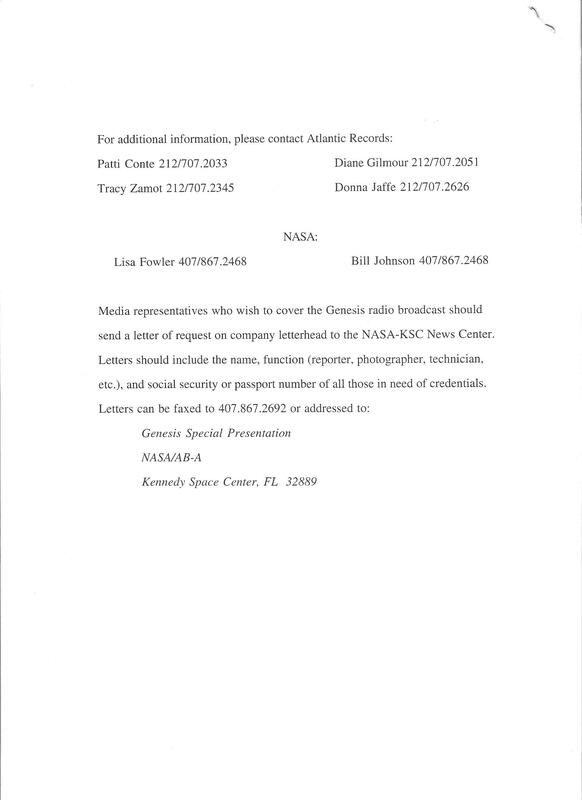 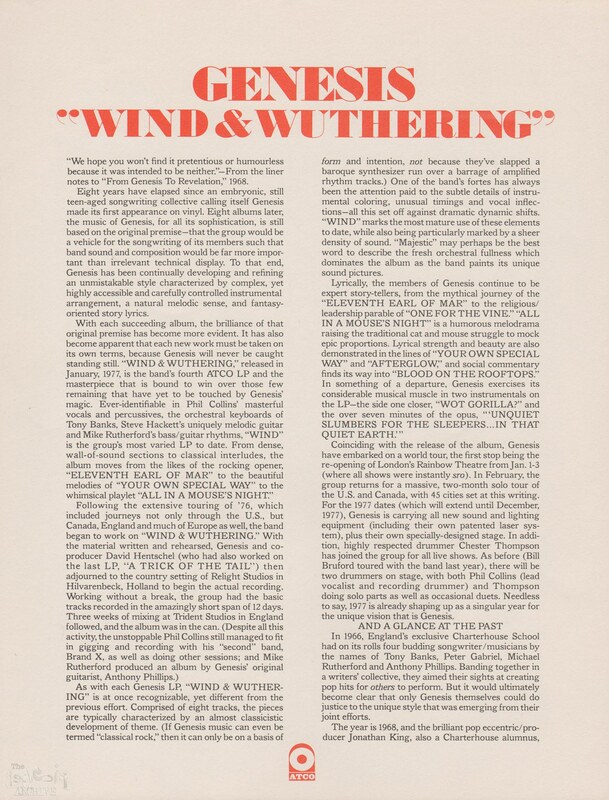 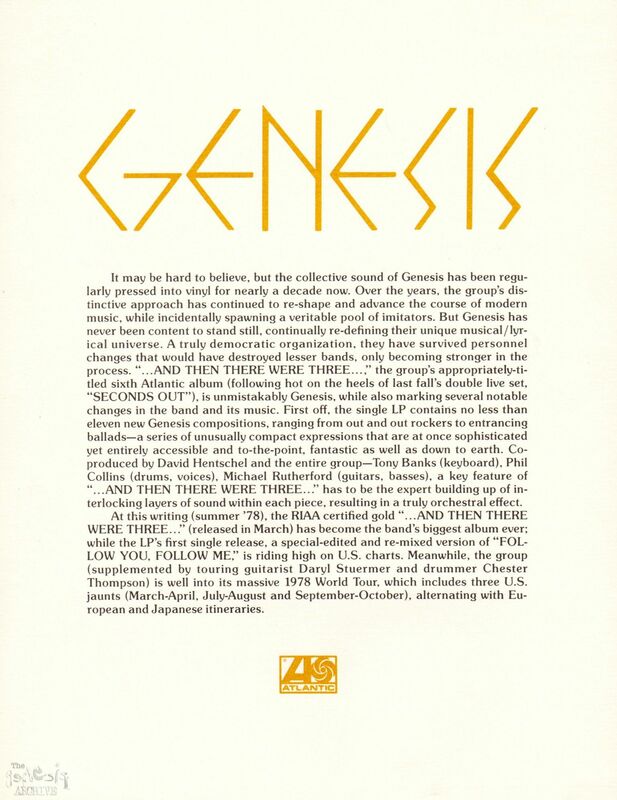 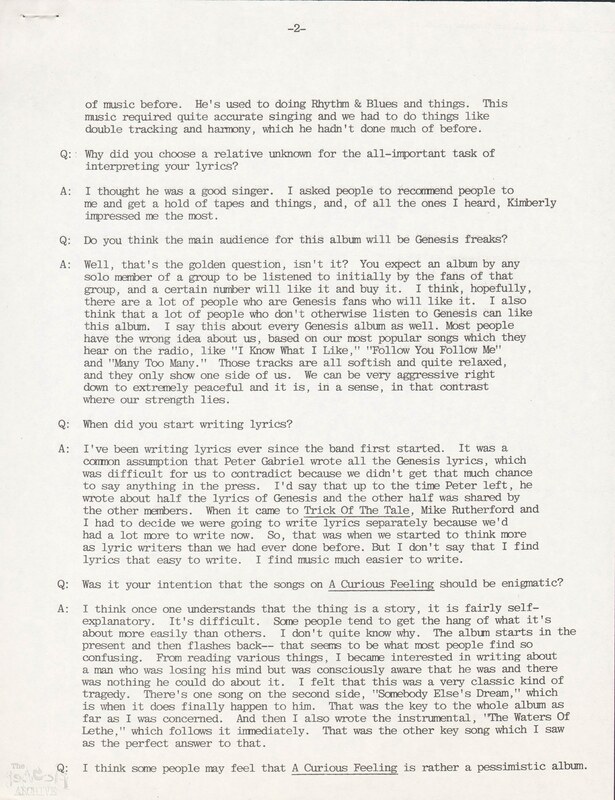 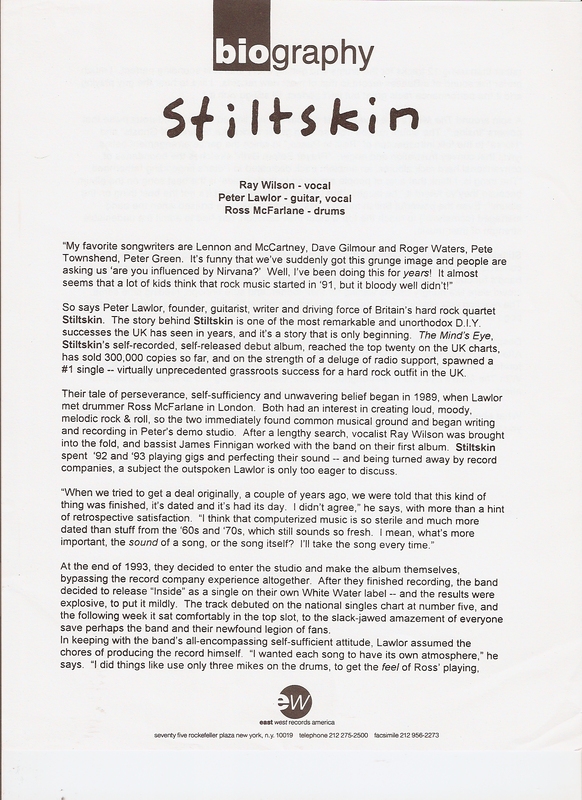 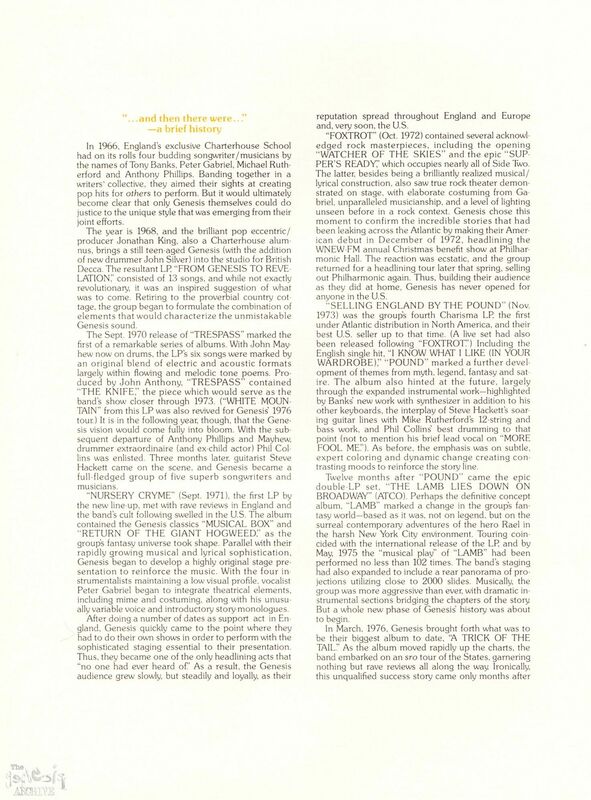 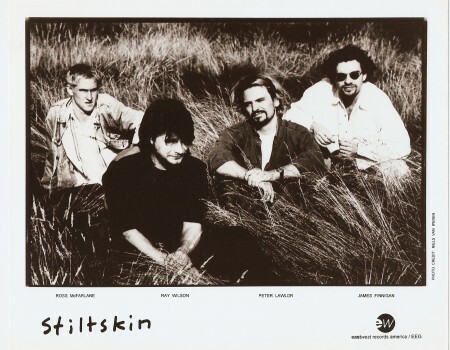 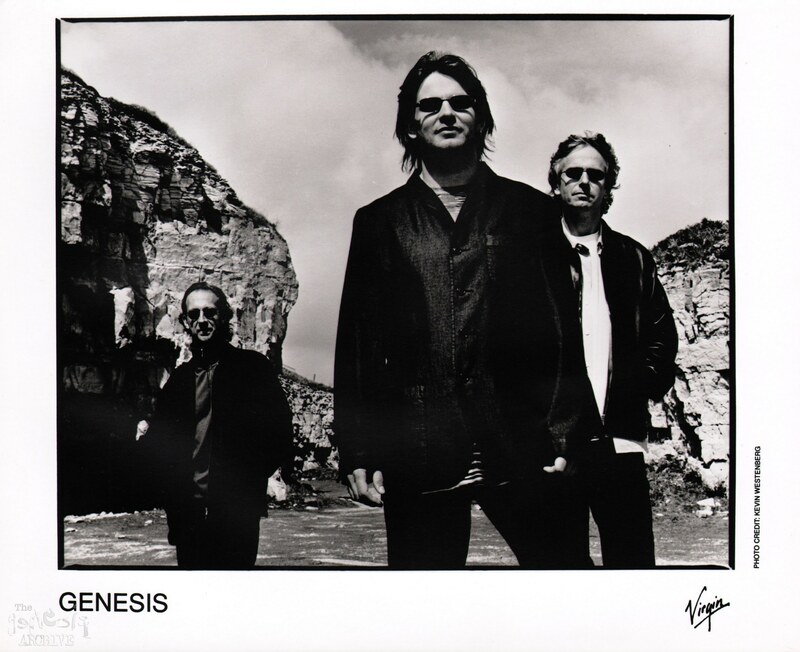 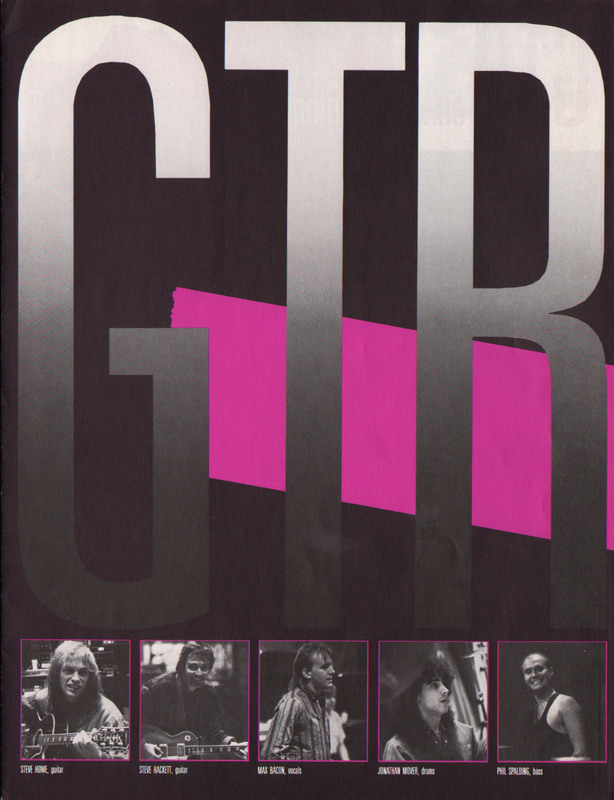 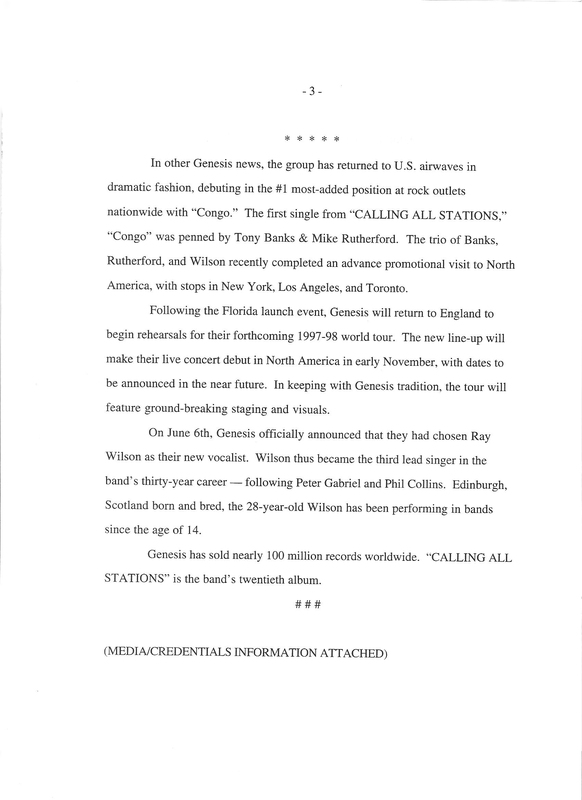 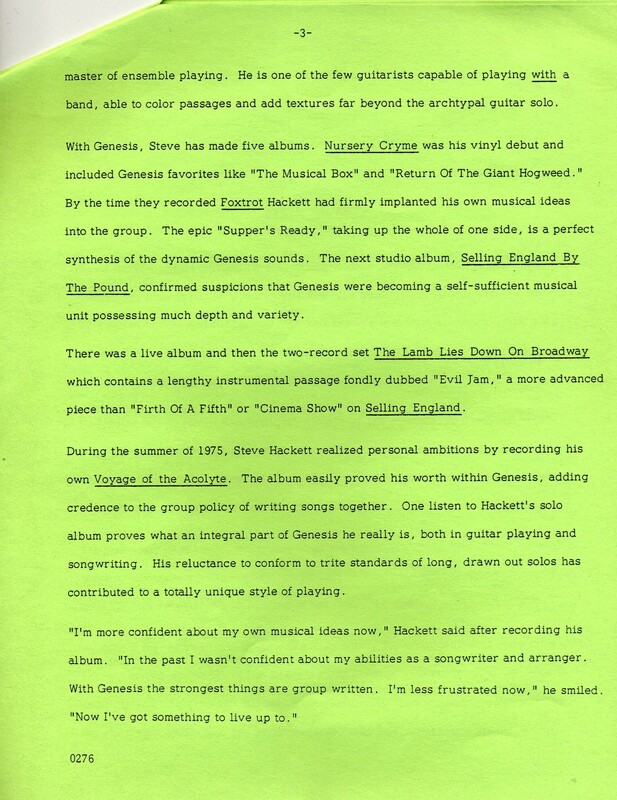 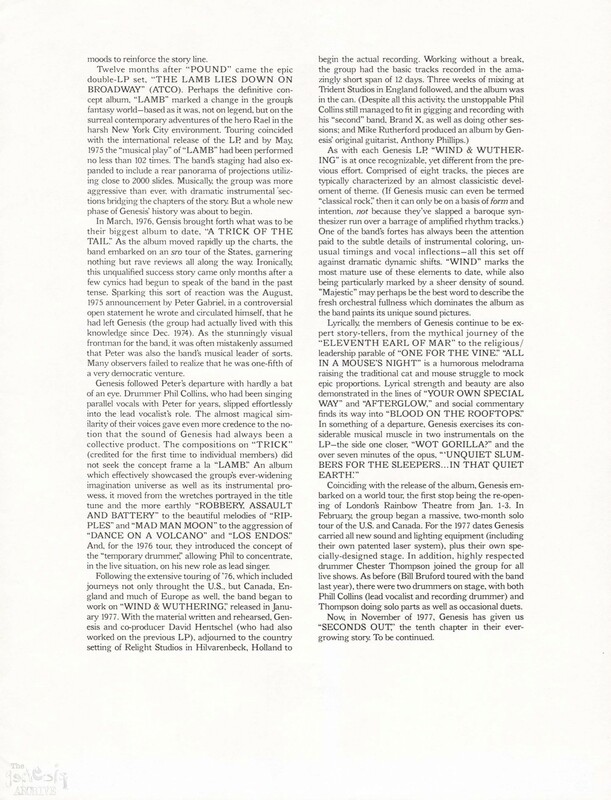 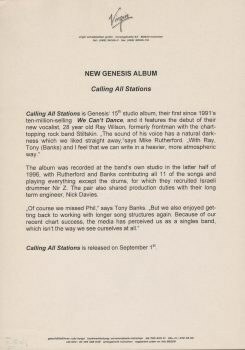 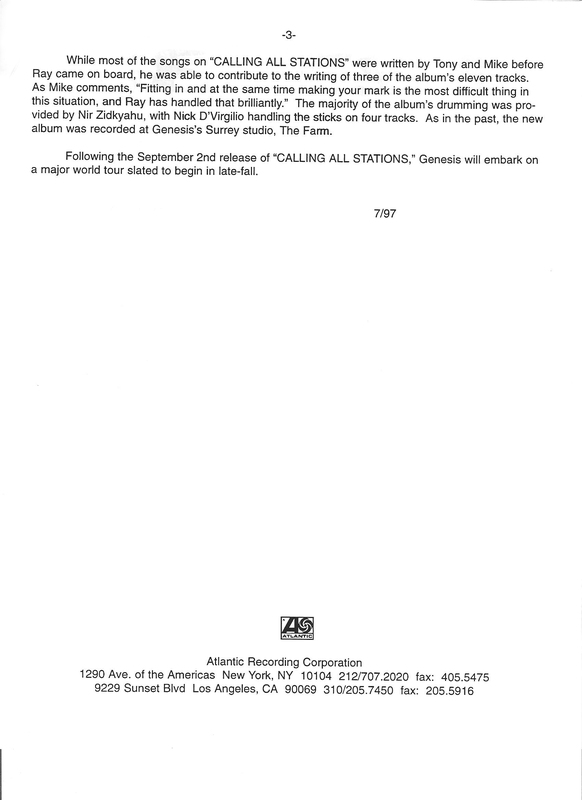 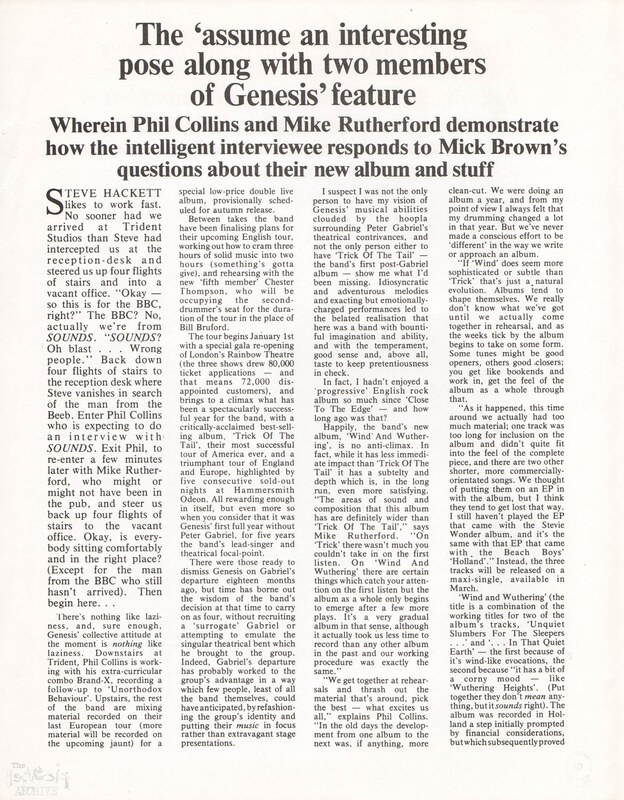 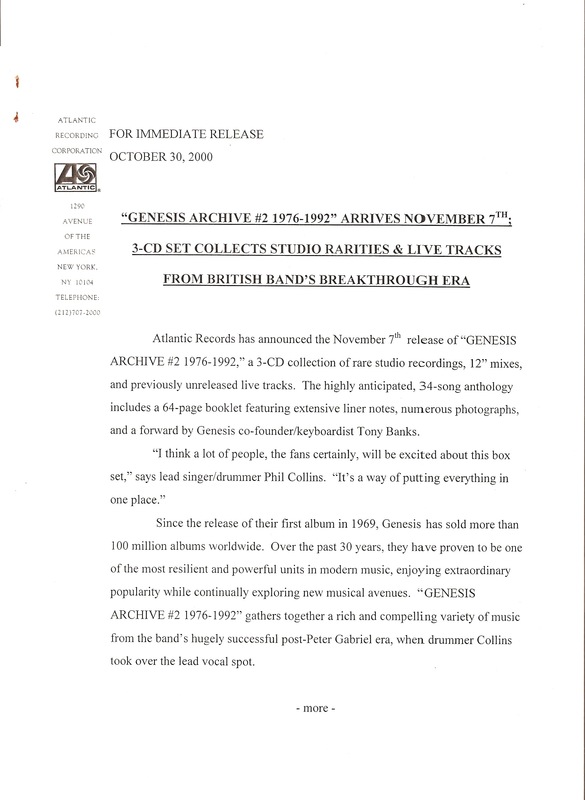 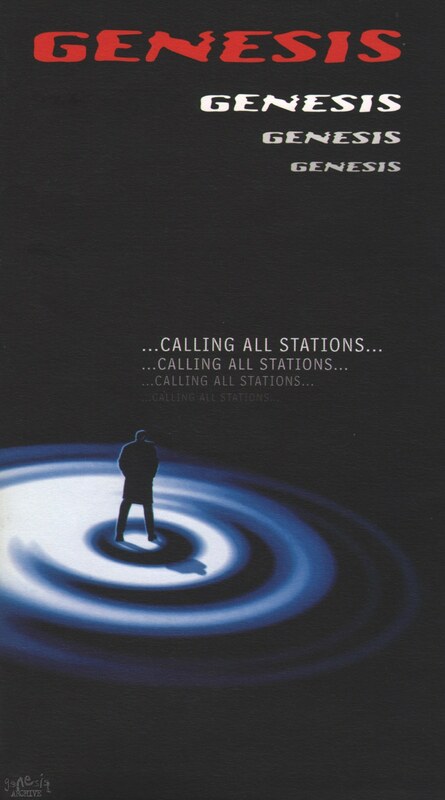 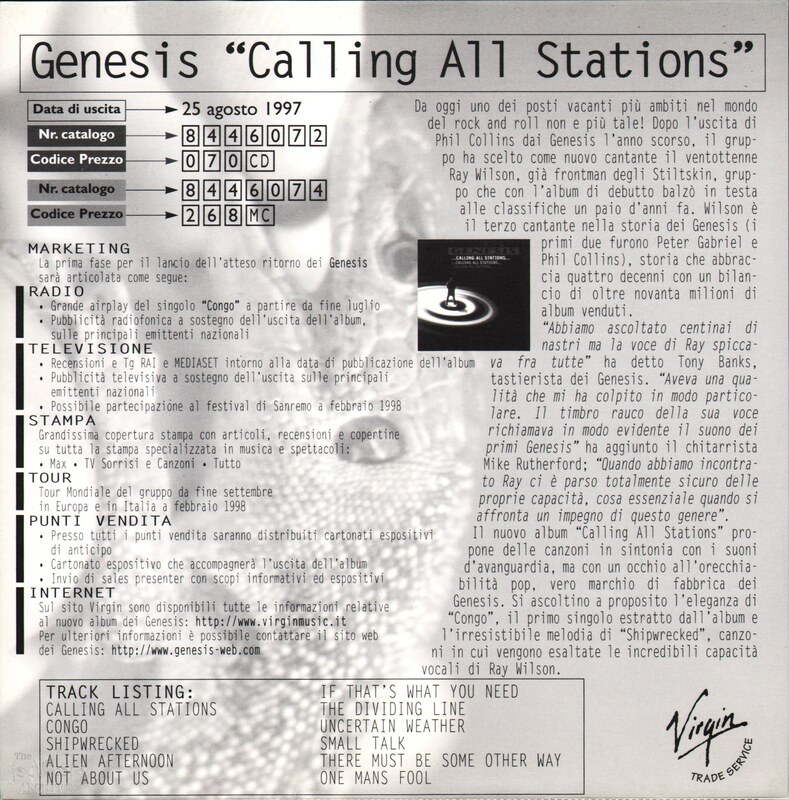 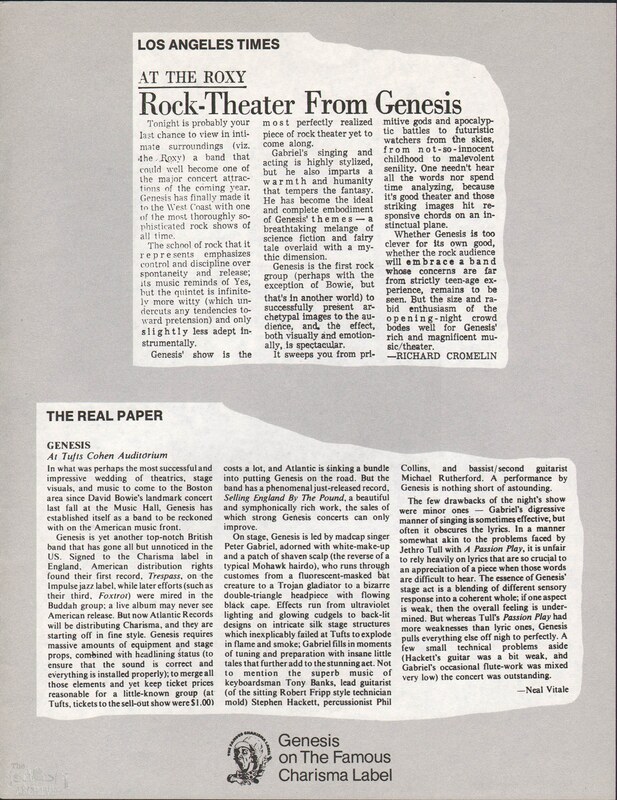 An Atlantic Records (therefore American) press kit for the 1997 Genesis album “Calling All Stations” – featuring brand new lead singer Ray Wilson. 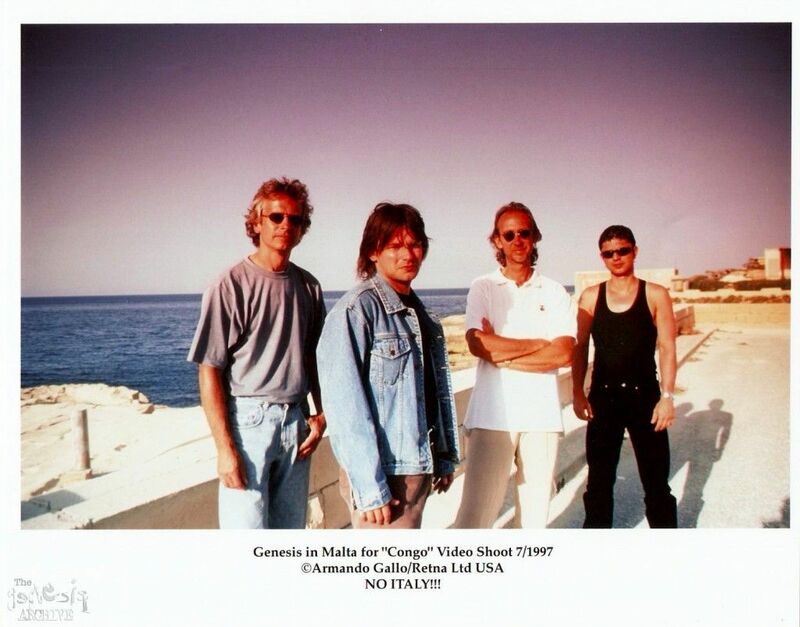 A Calling All Stations promo photo taken during the video shoot for Congo in Malta, Photograph taken by Armando Gallo. 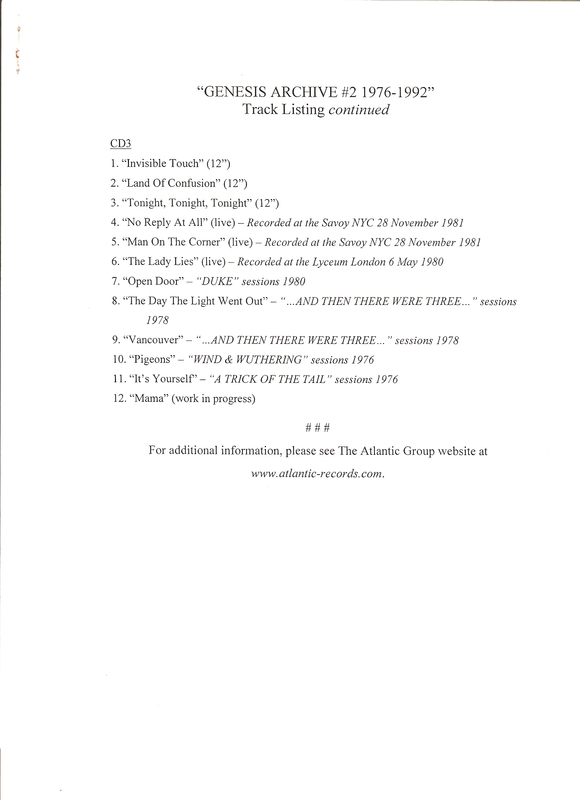 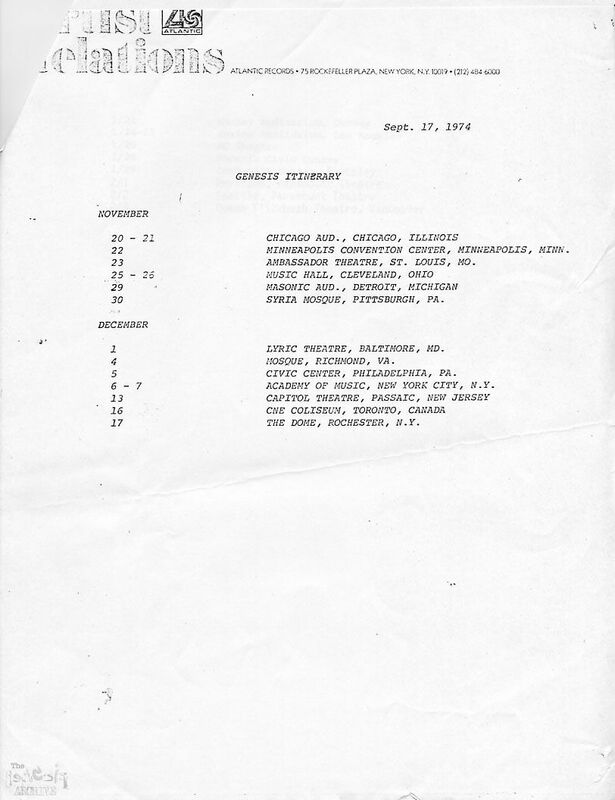 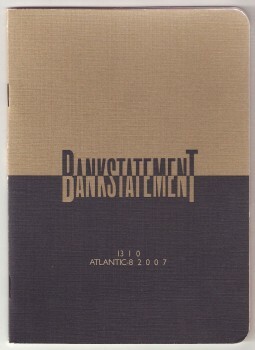 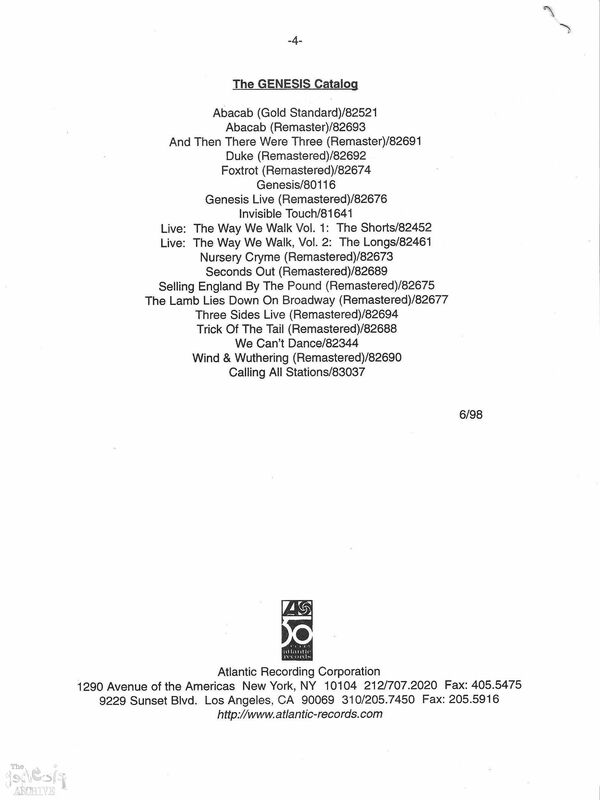 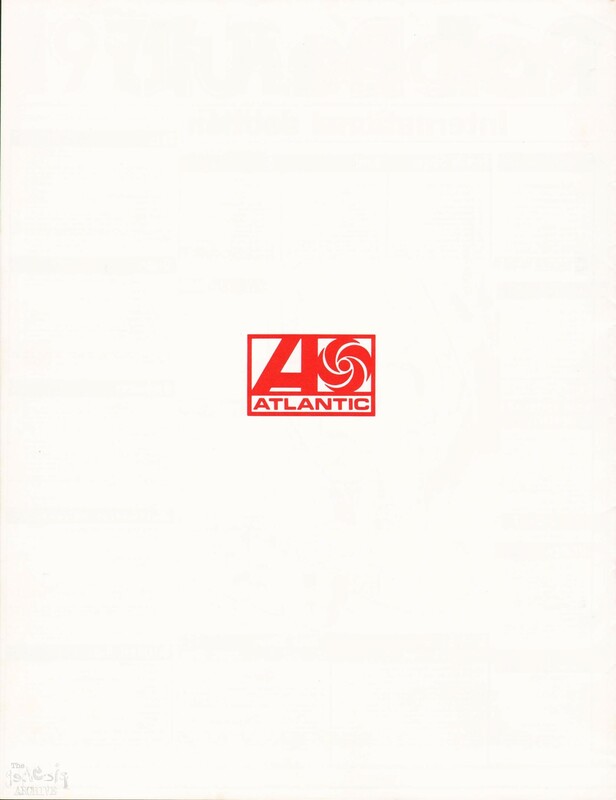 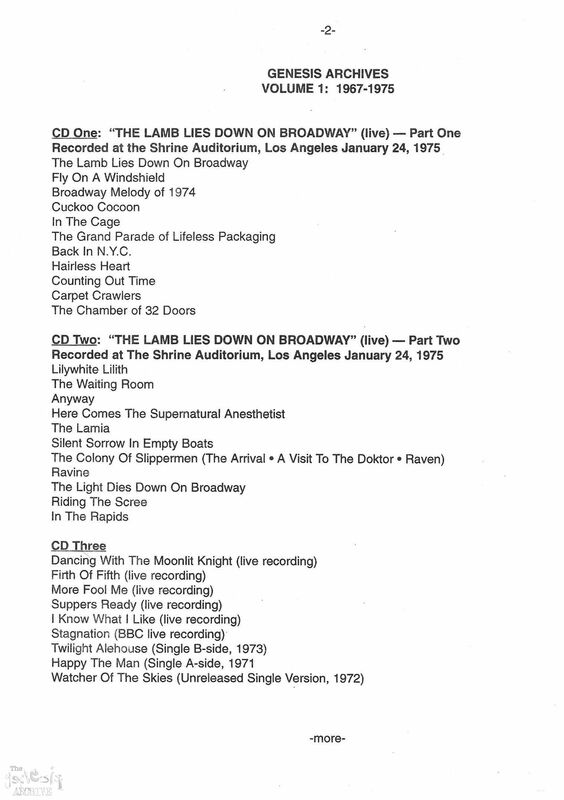 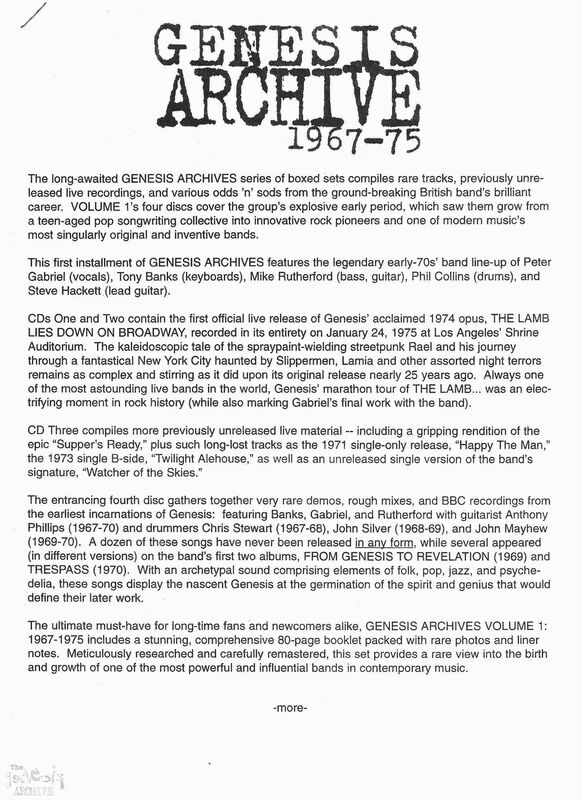 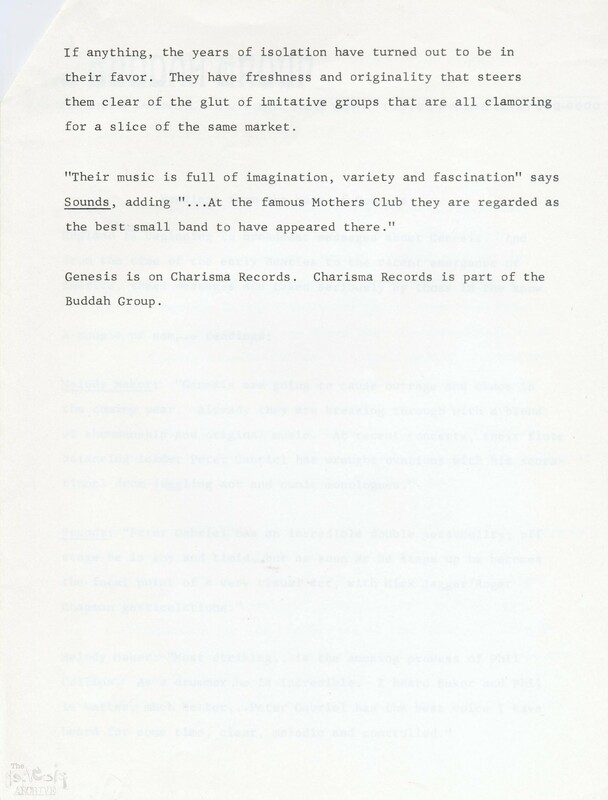 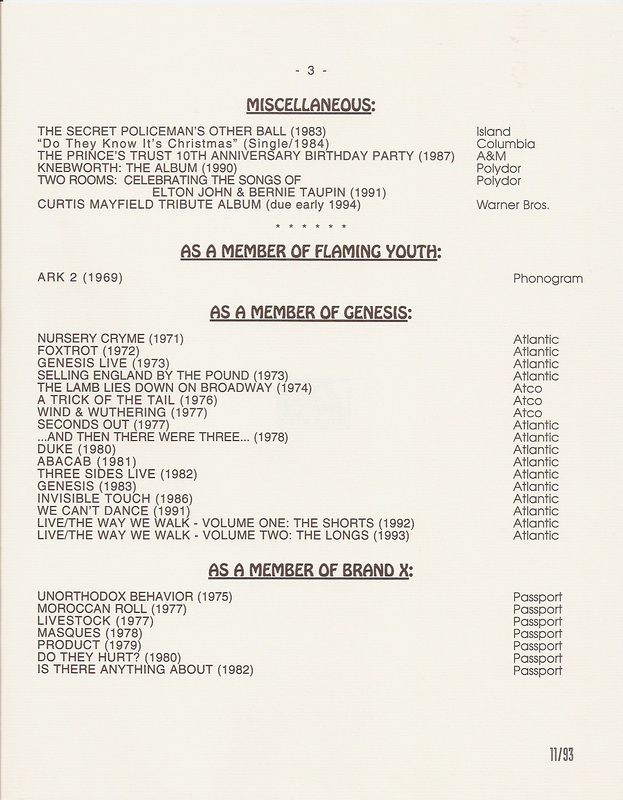 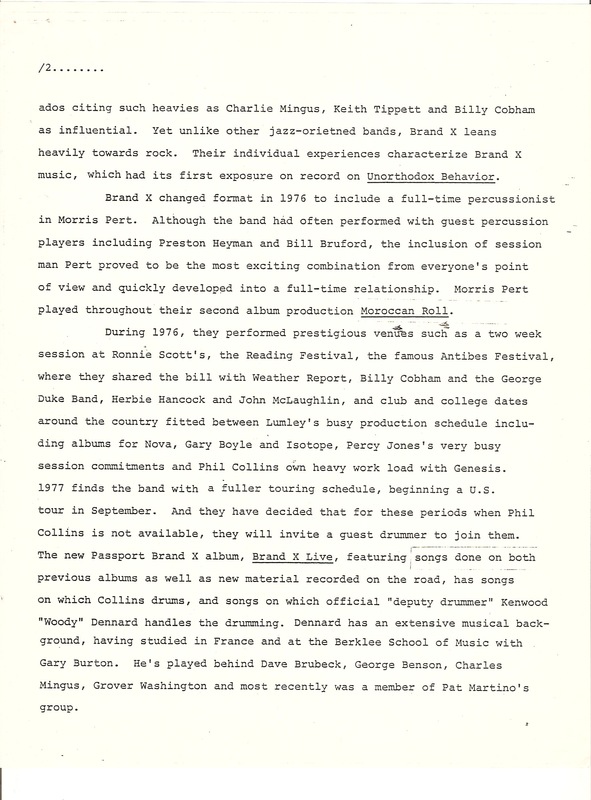 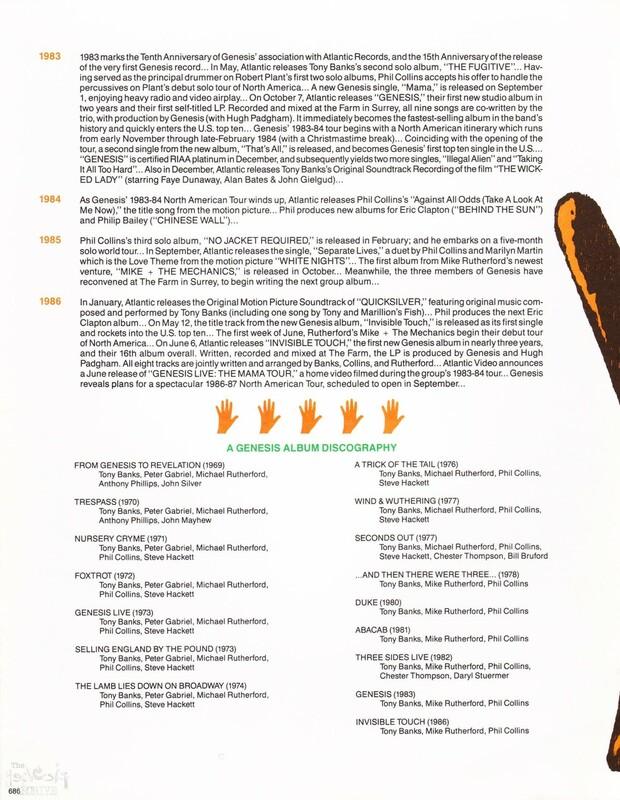 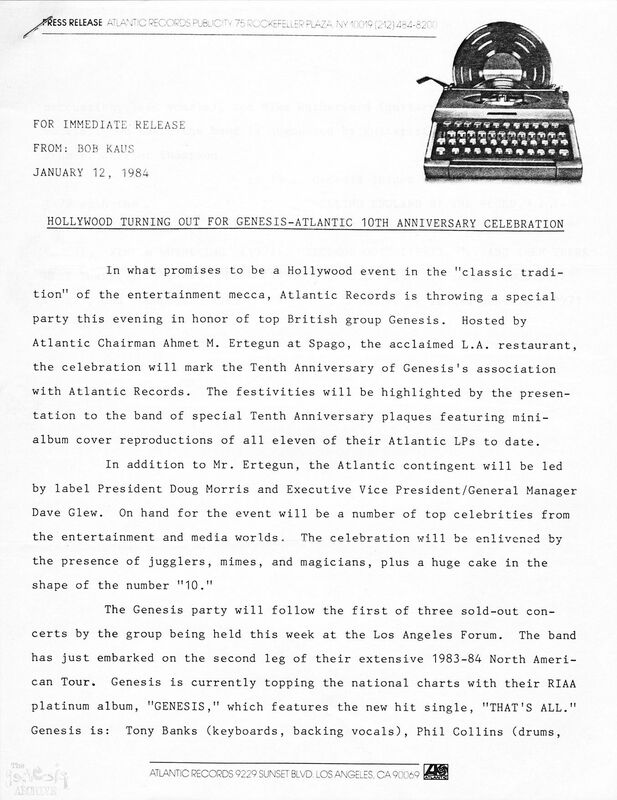 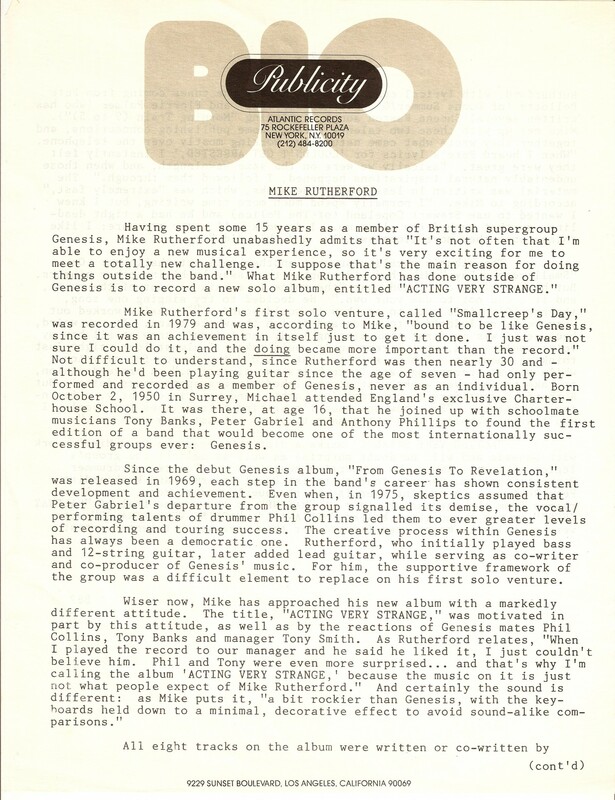 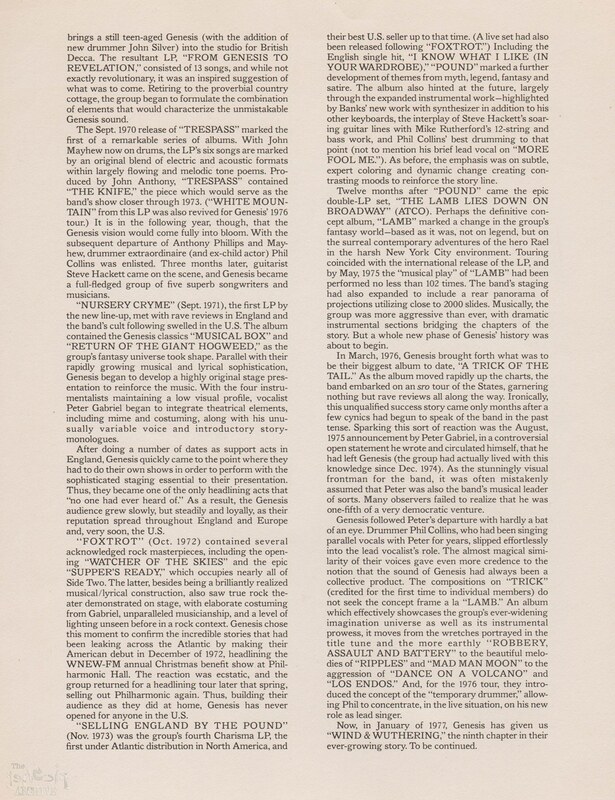 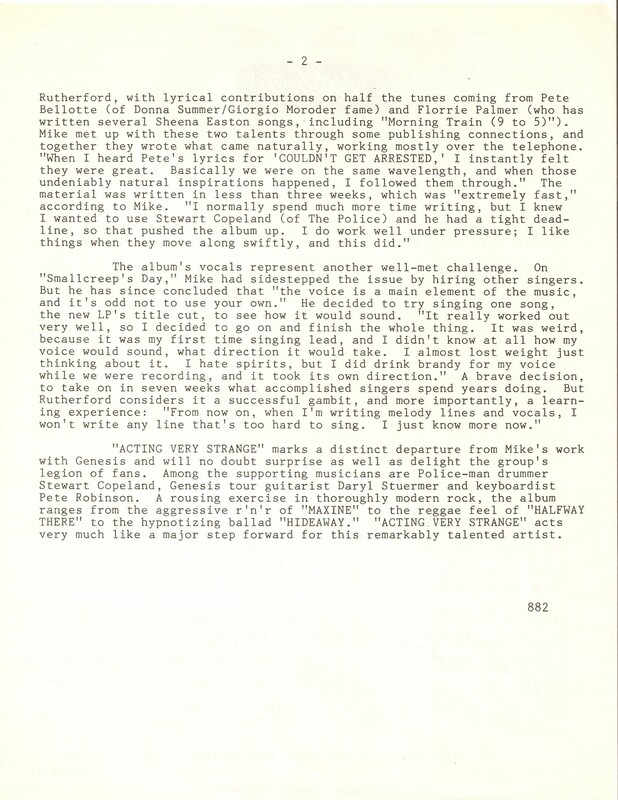 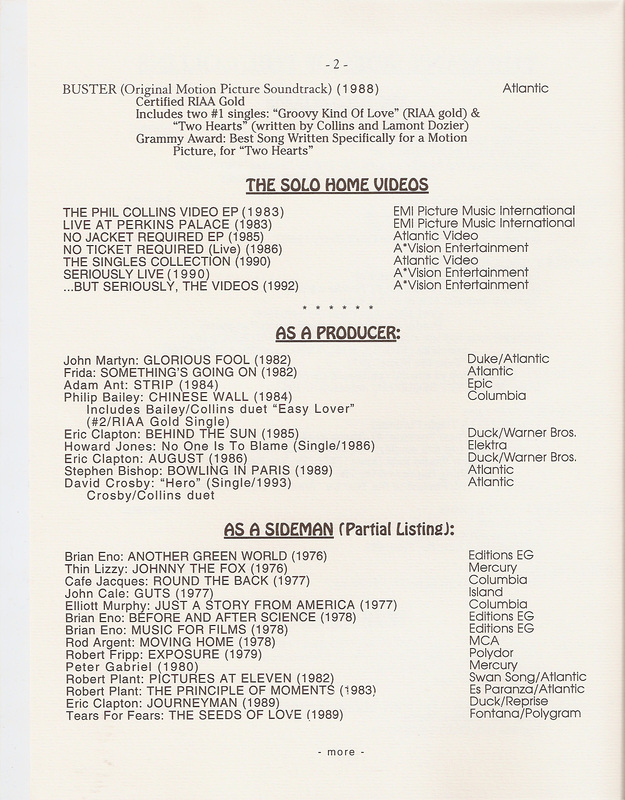 An Atlantic Records (therefore American) press kit for the 1998 box set, Archive One 1967 to 1975. 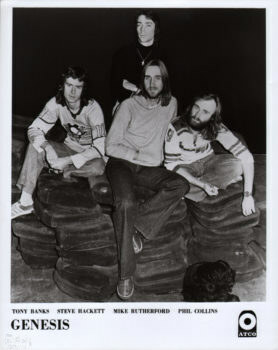 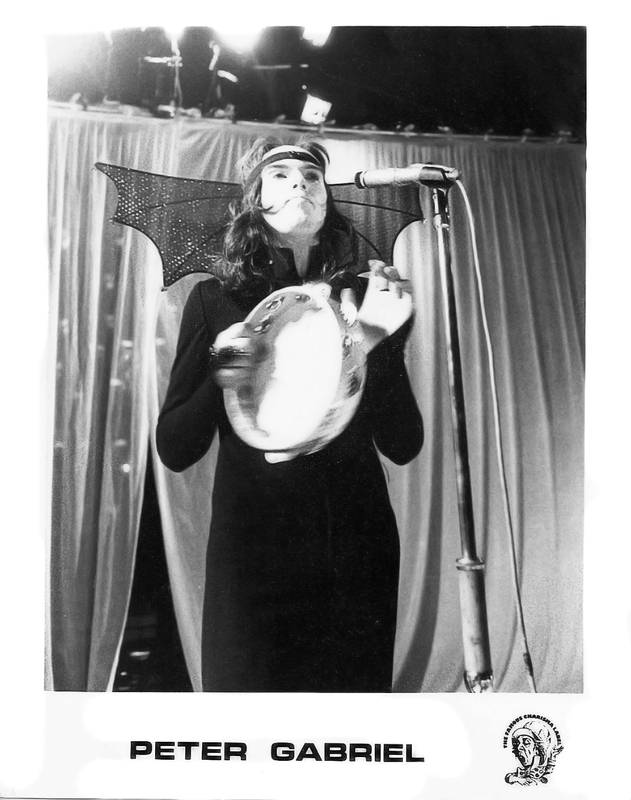 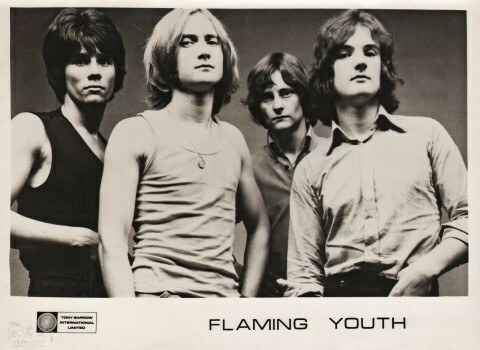 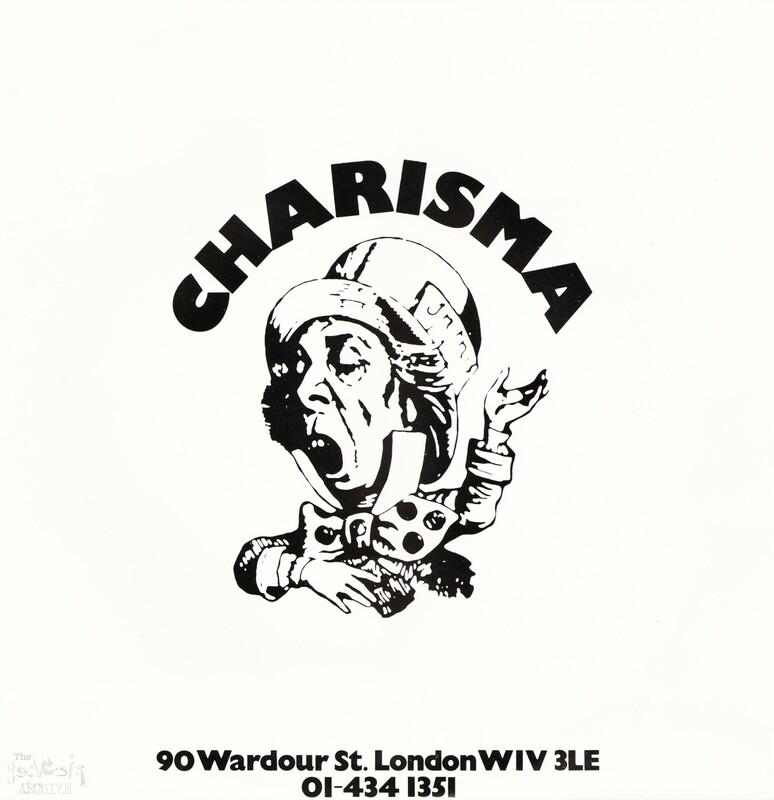 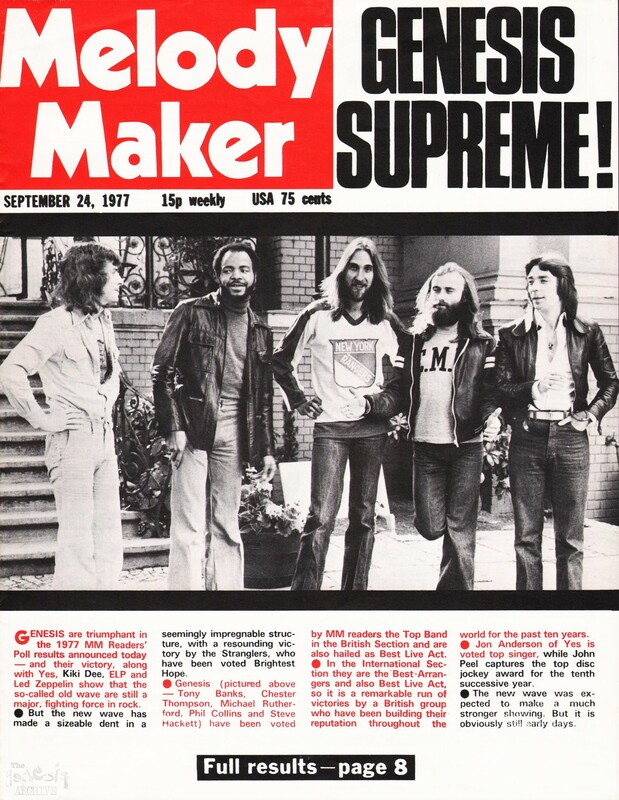 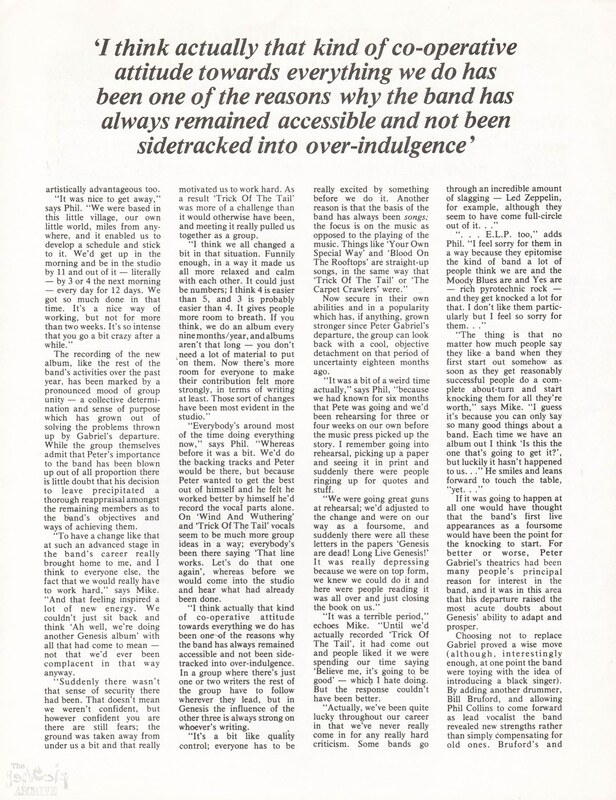 Featuring a reproduced press photo of the band from 1973. 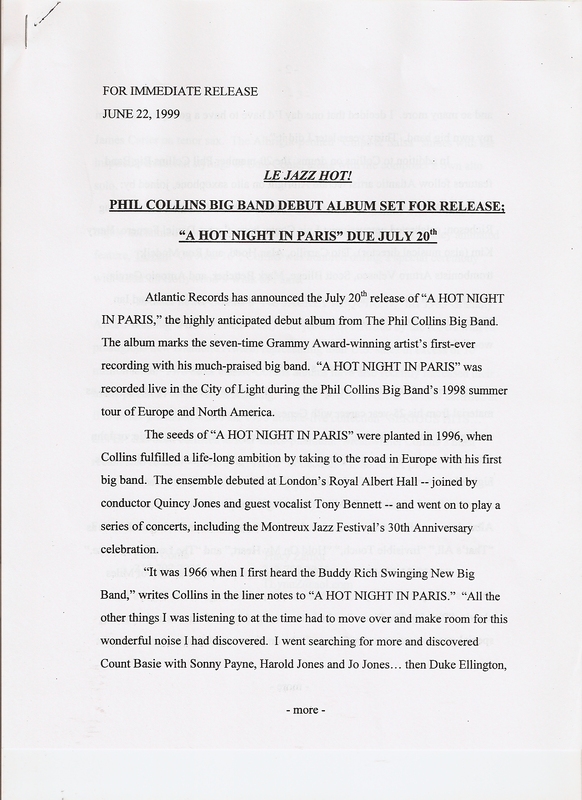 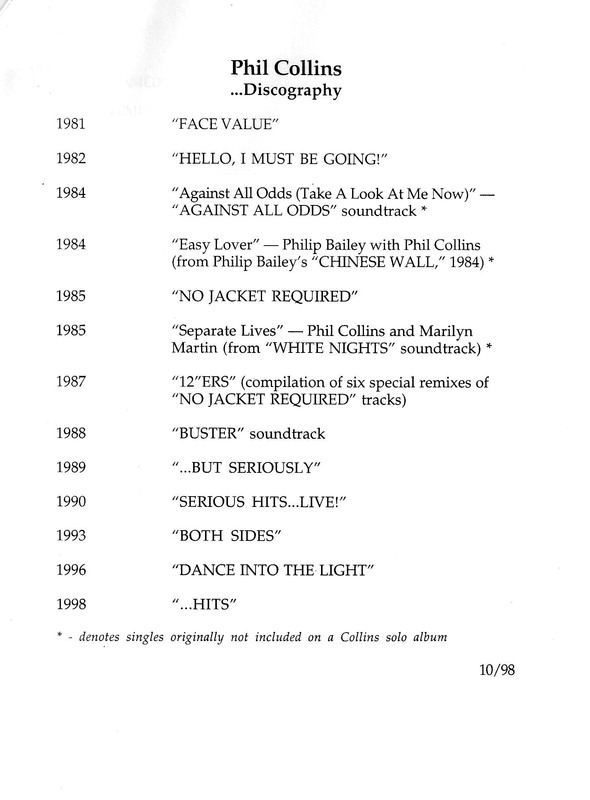 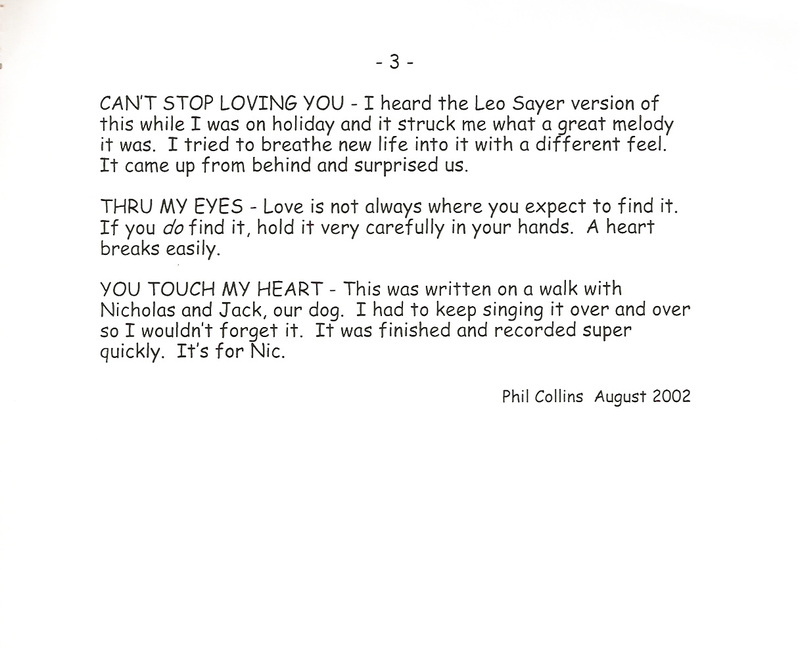 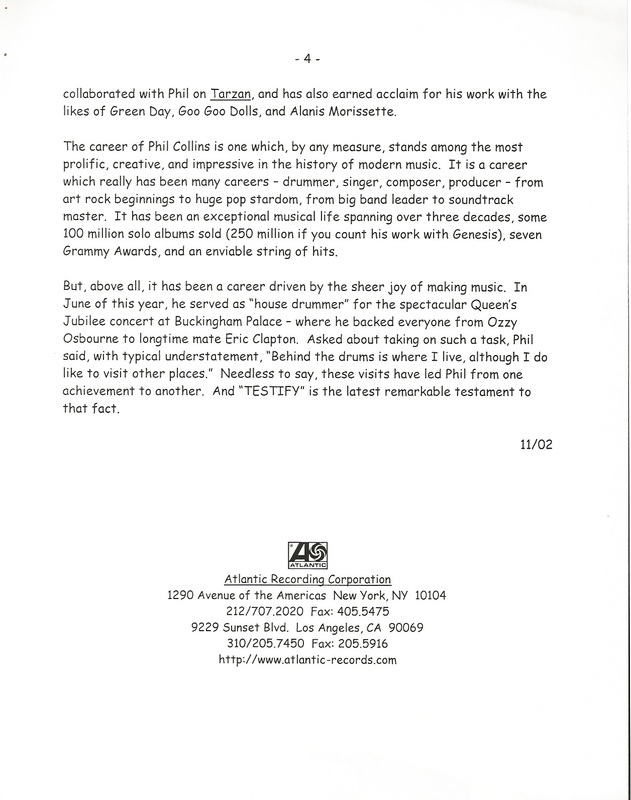 An Atlantic Records (therefore American) press kit for the 1998 Phil Collins compilation album Hits. 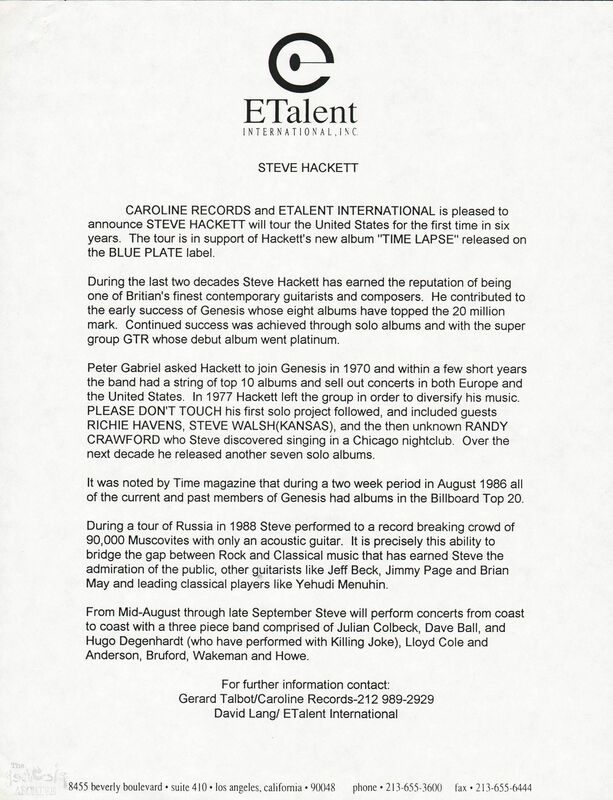 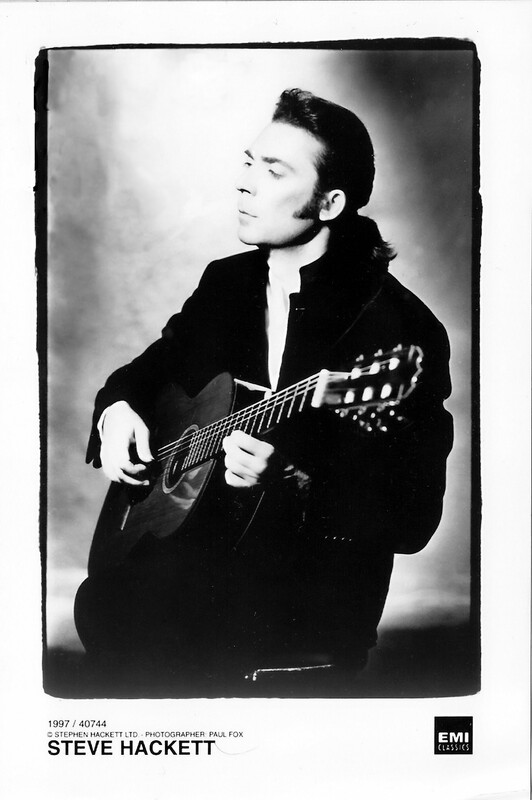 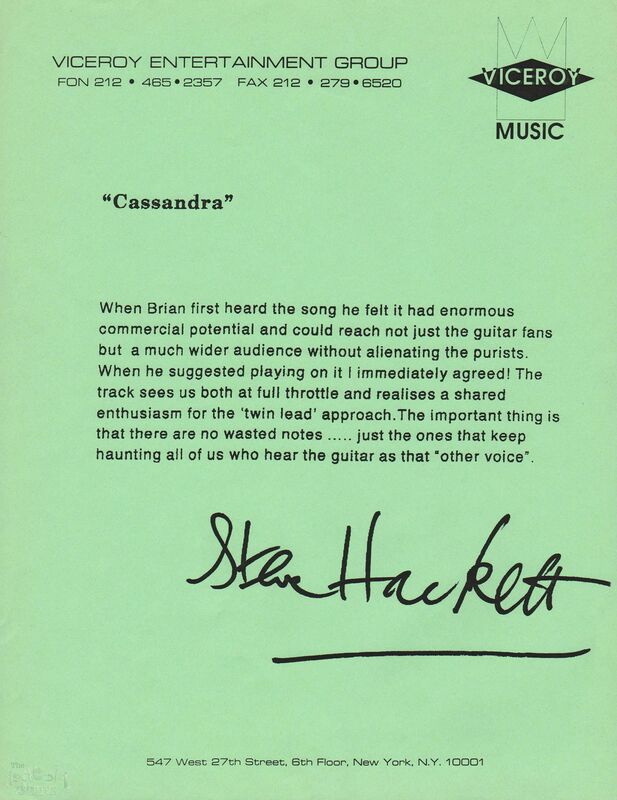 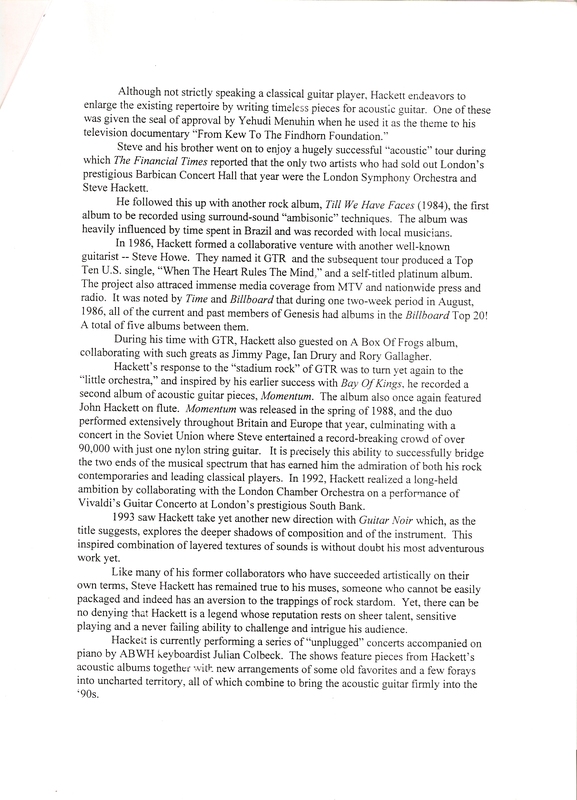 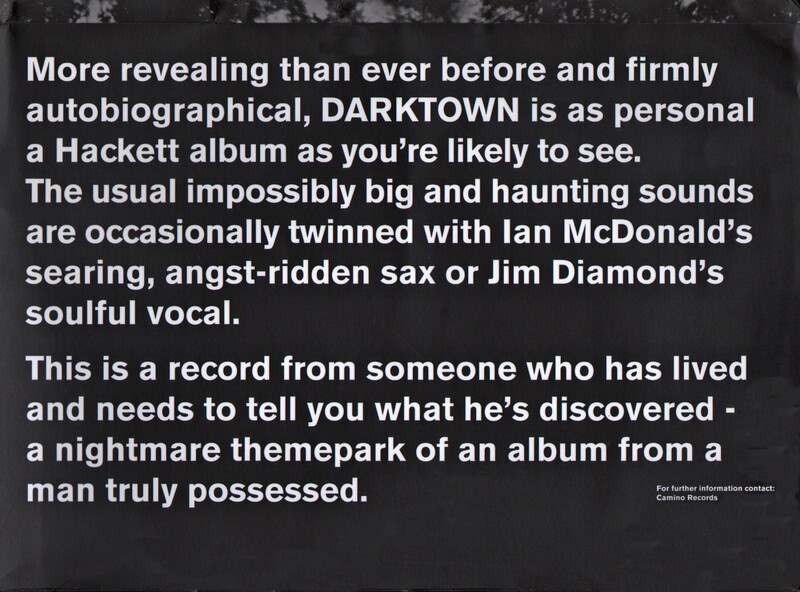 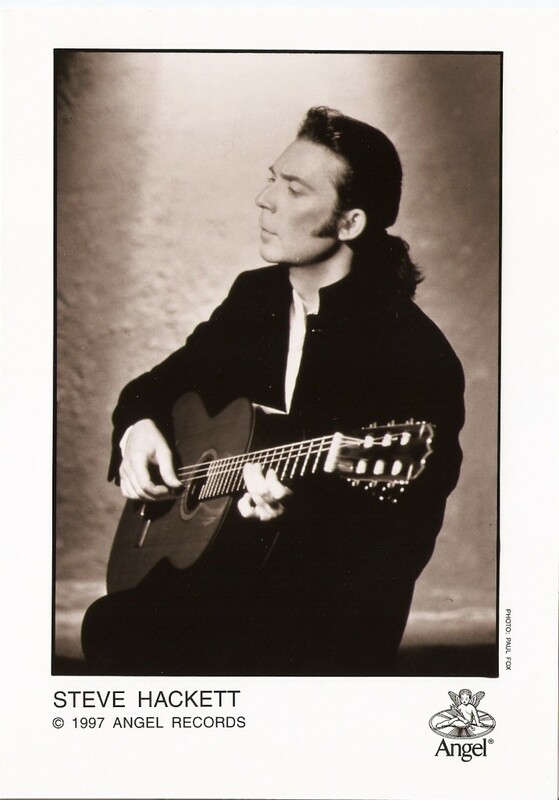 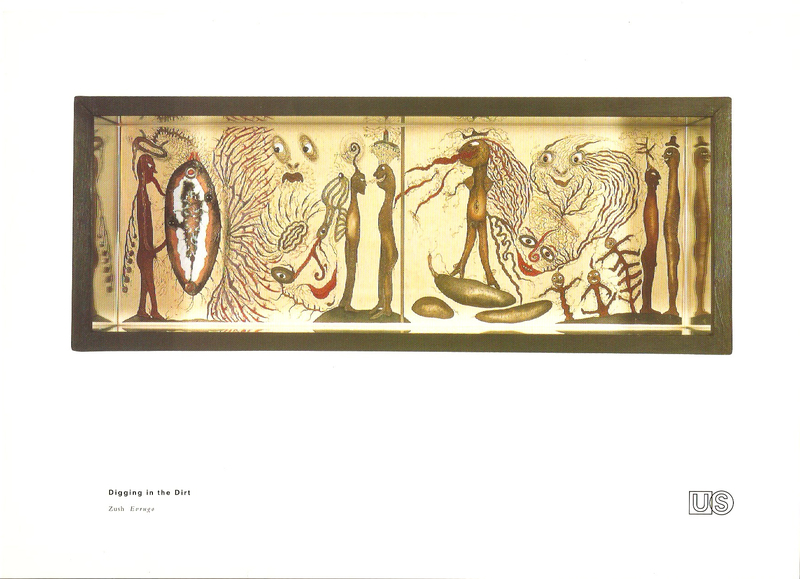 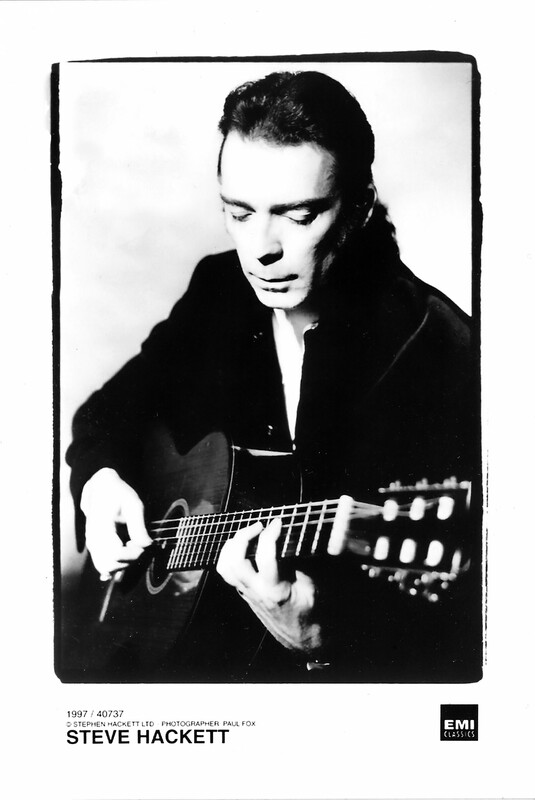 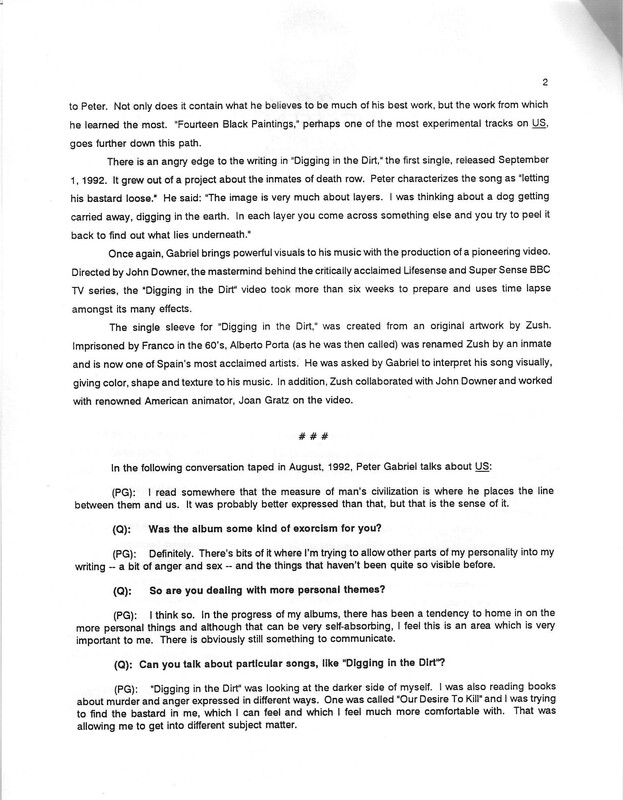 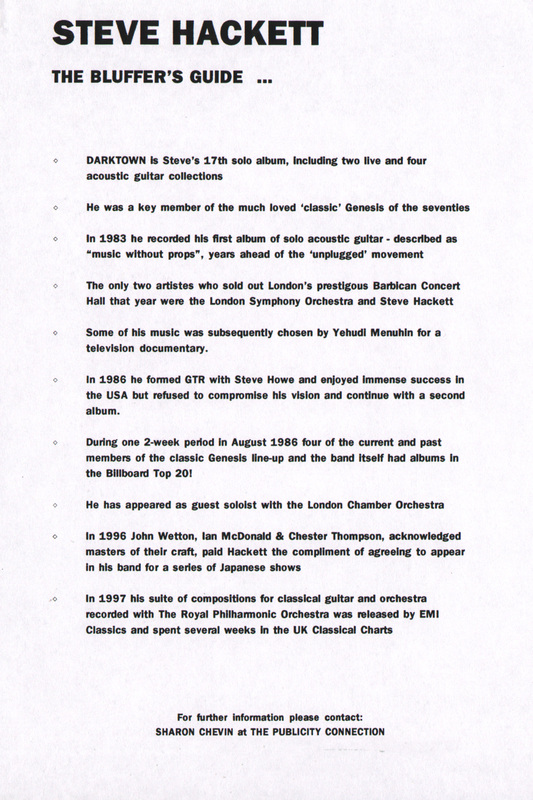 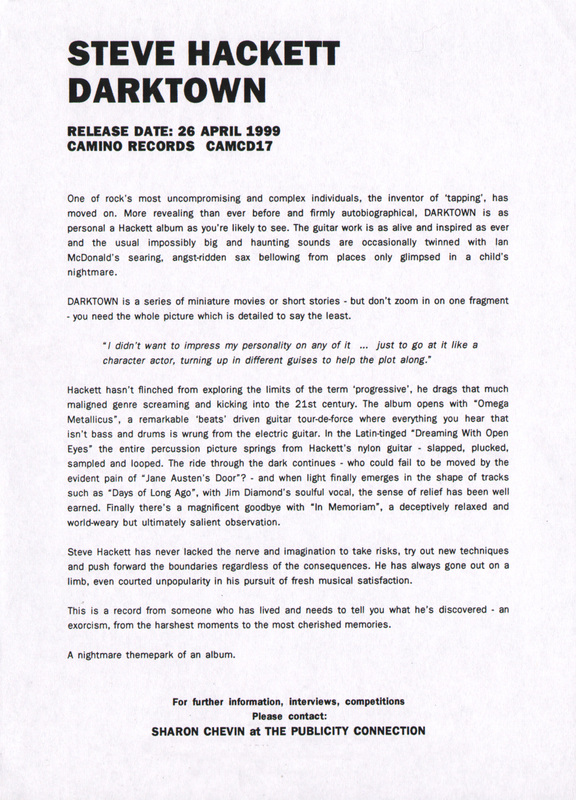 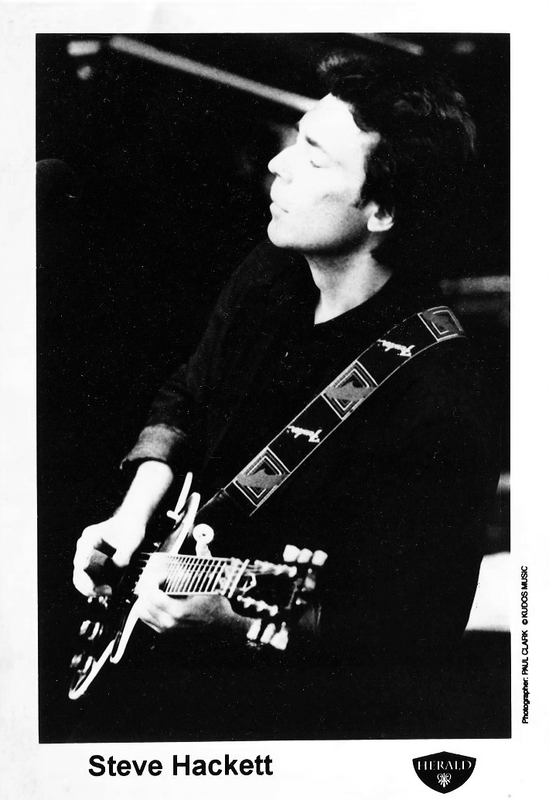 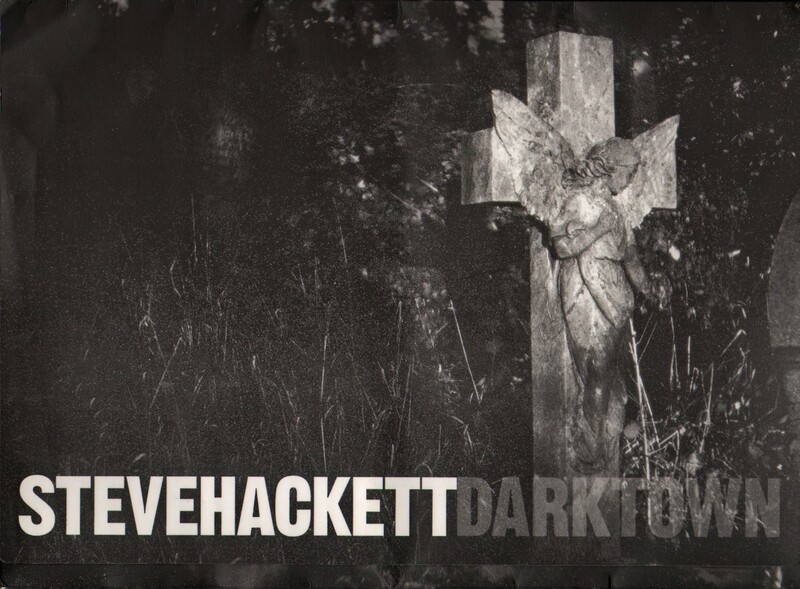 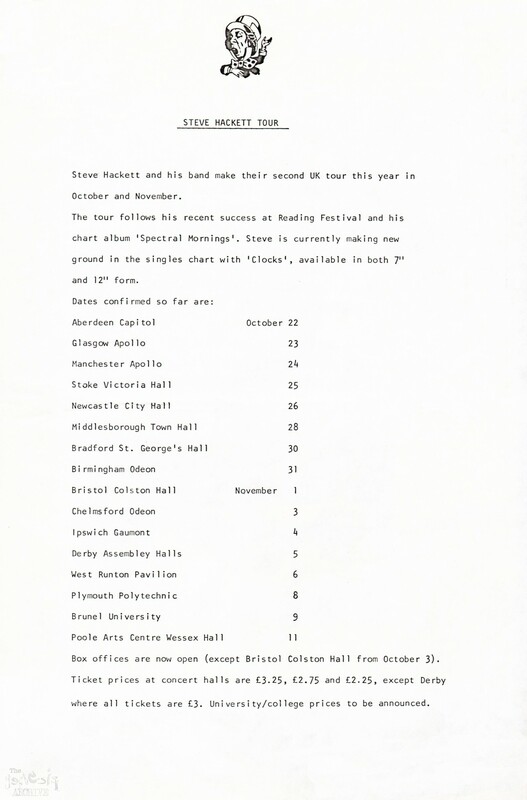 This is the UK press kit (Camino Records) for Steve Hackett’s 1999 album Dark town! 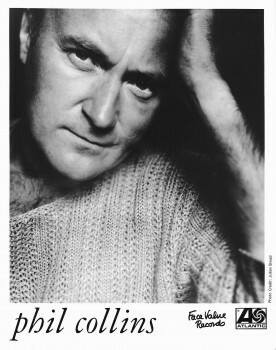 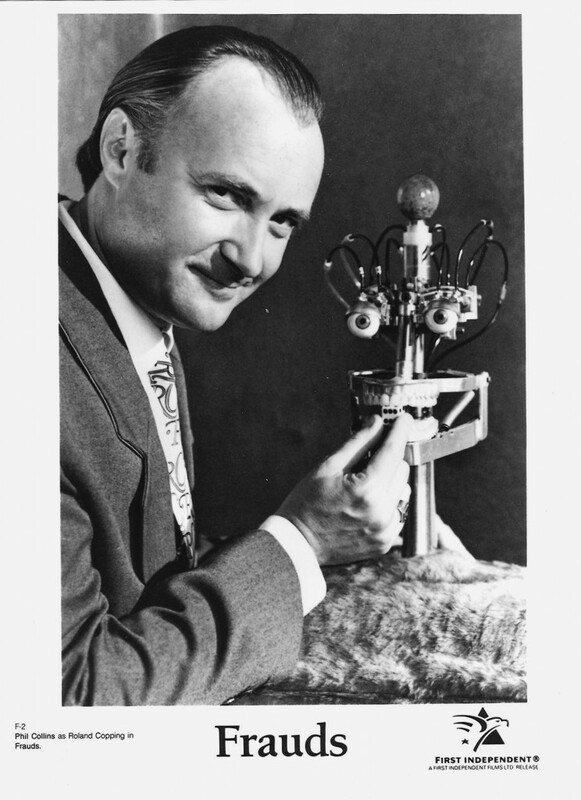 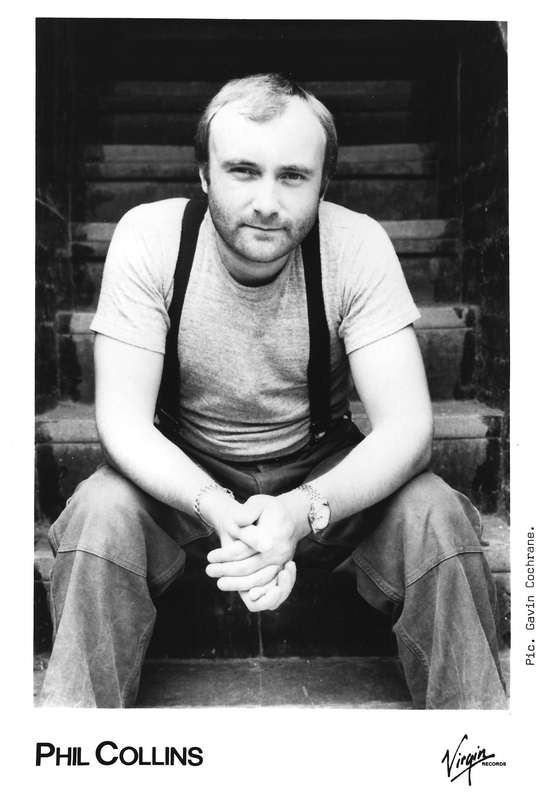 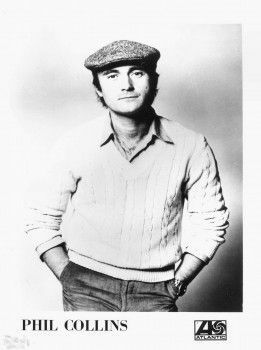 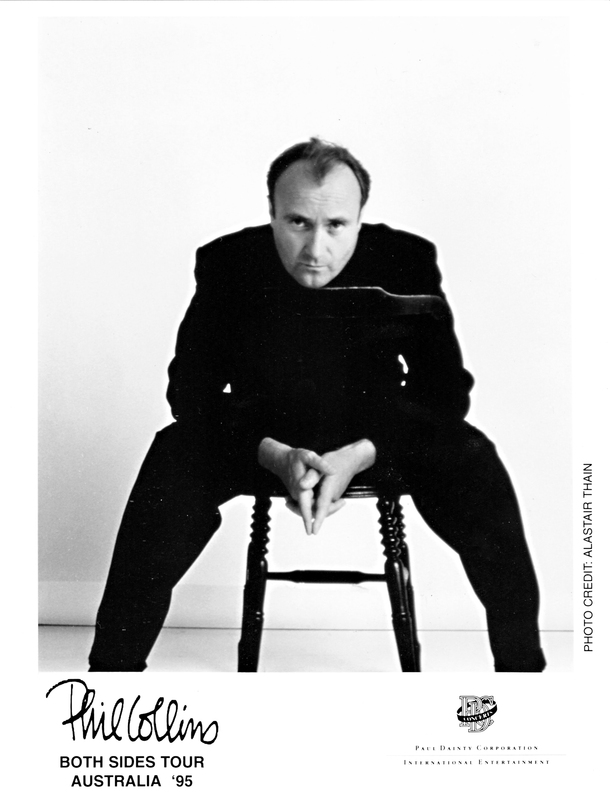 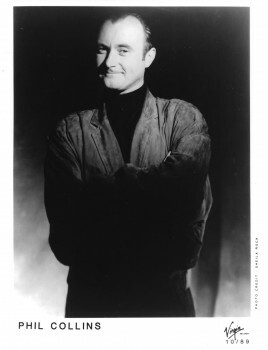 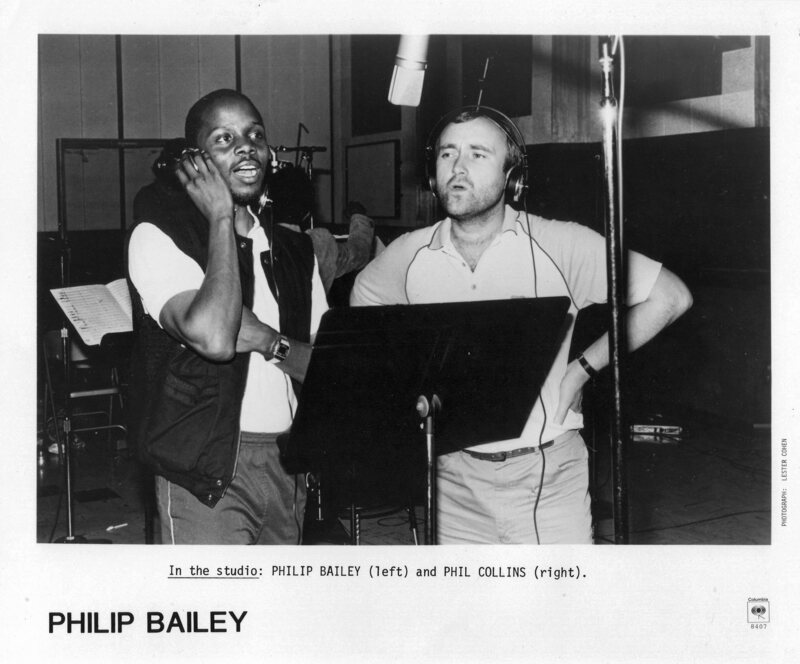 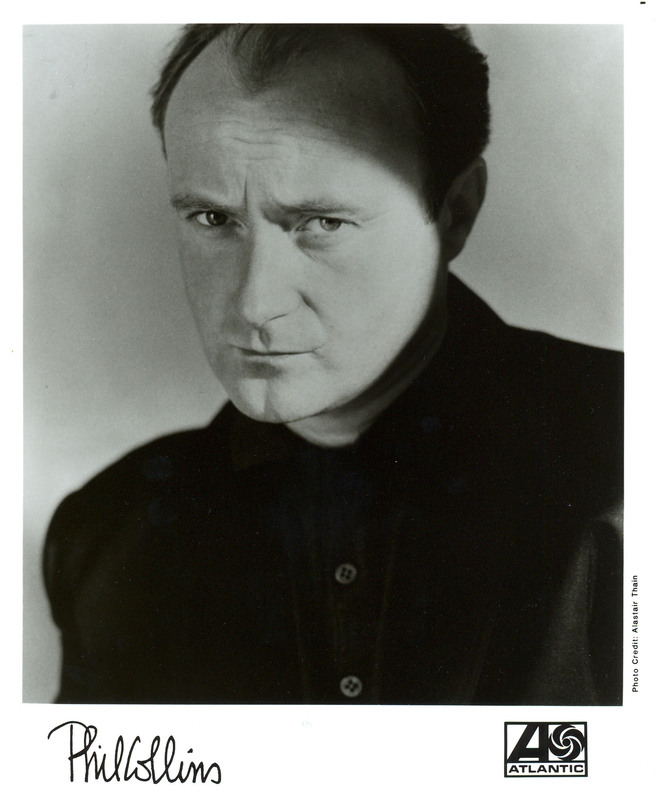 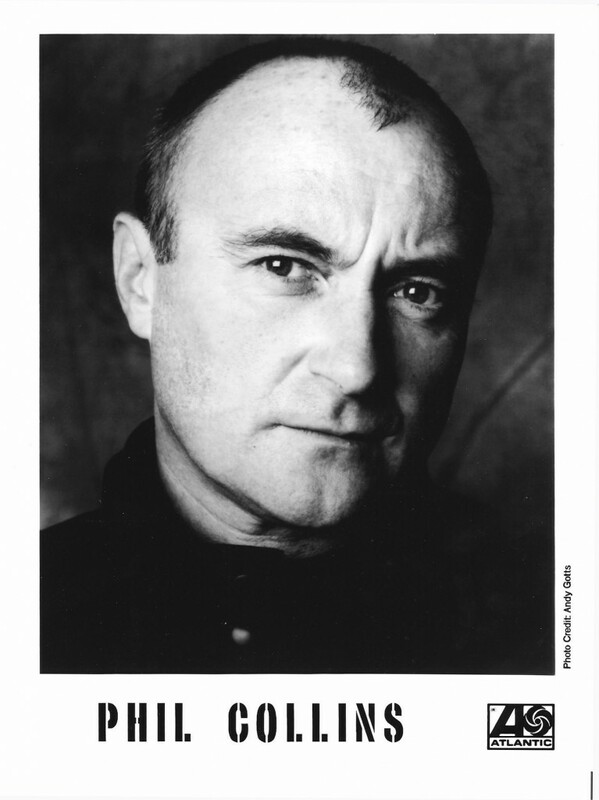 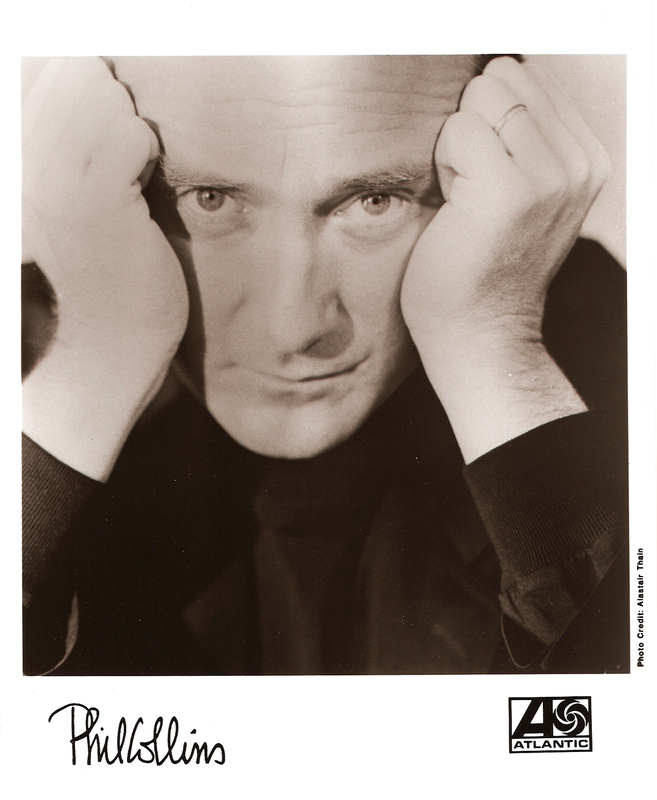 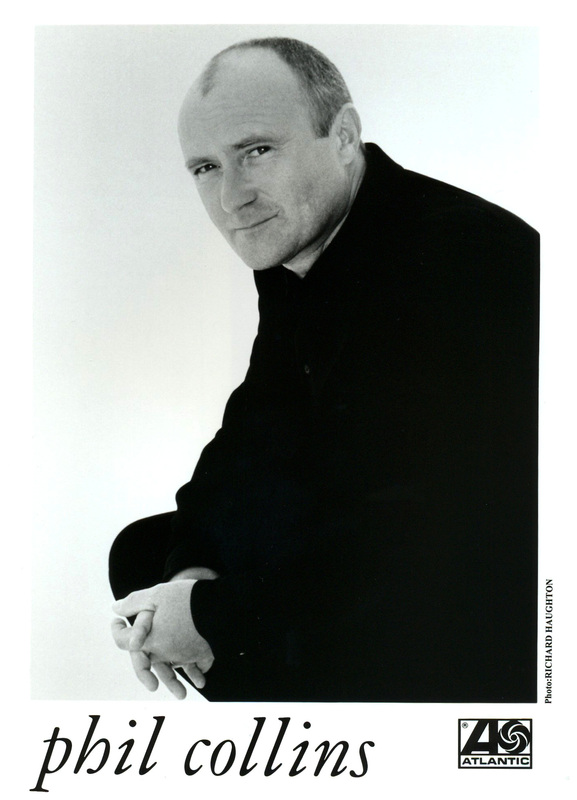 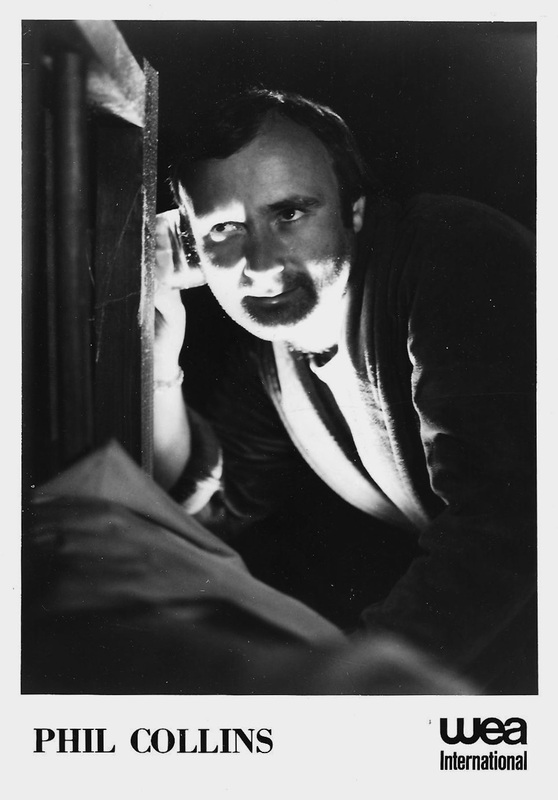 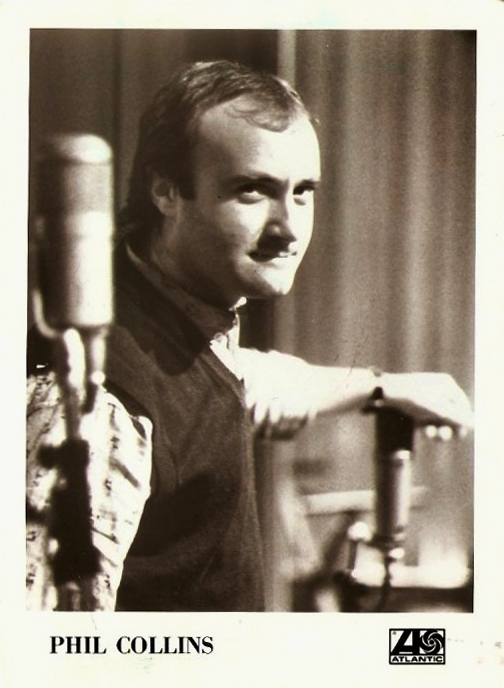 A Phil Collins press photo around the time of the Disney movie Tarzan. These two promo photos are from the 1999 album M6 sadly it would be the last for Paul Young. 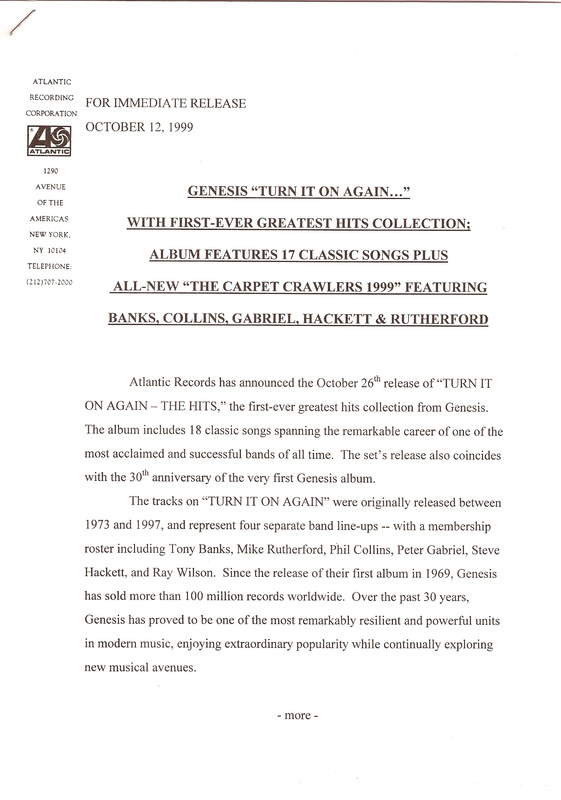 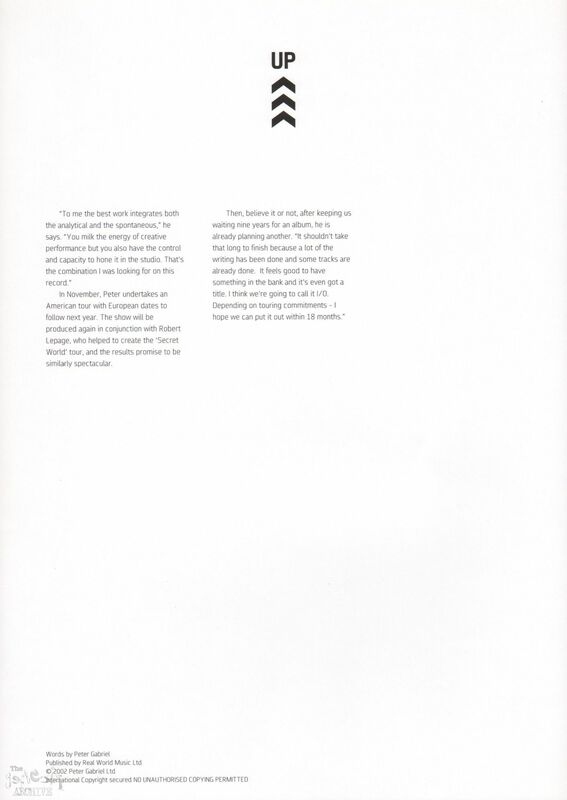 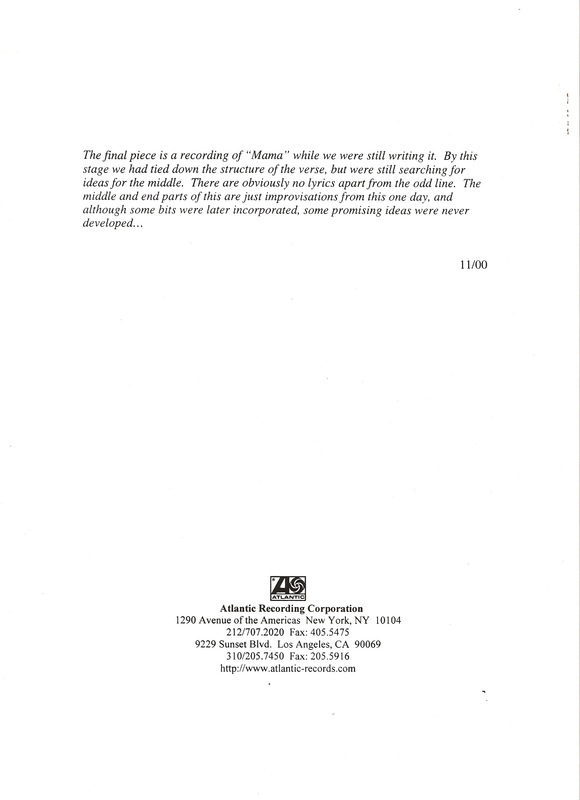  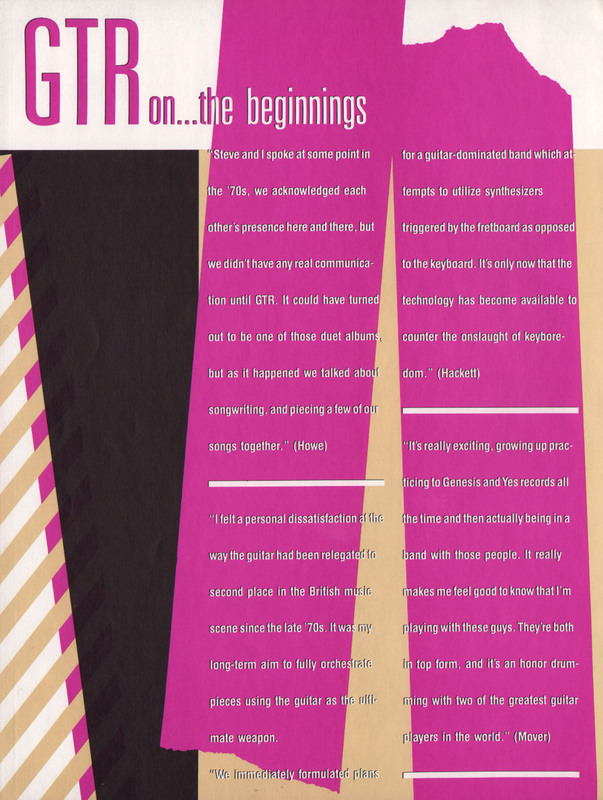 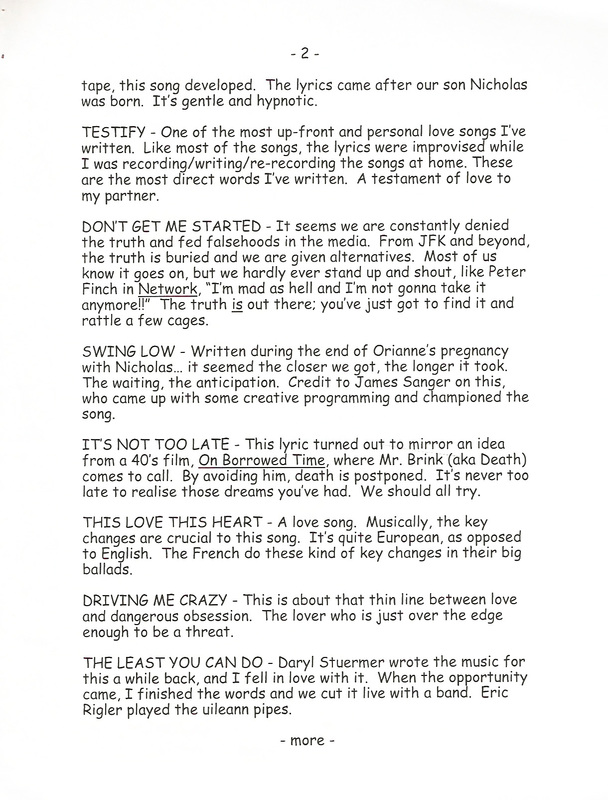 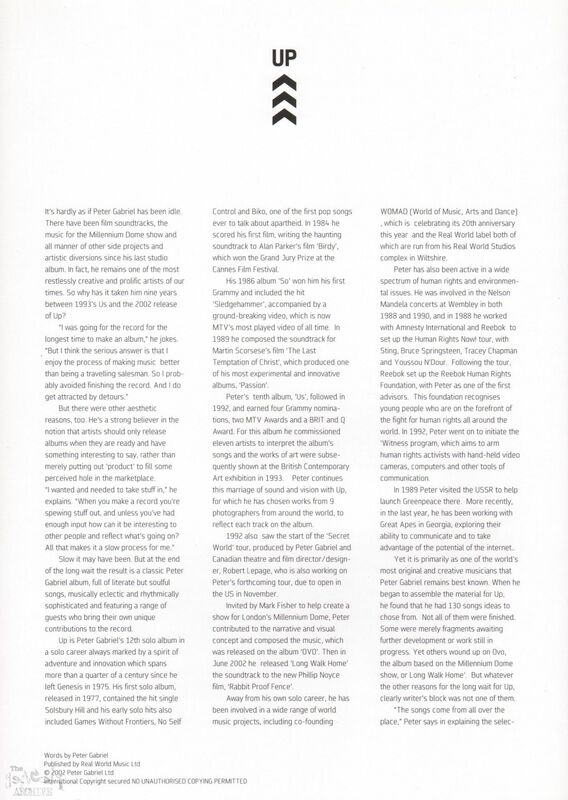 The Atlantic Records (therefore American) press kit for the 1999 compilation album Turn It On Again (Hits). 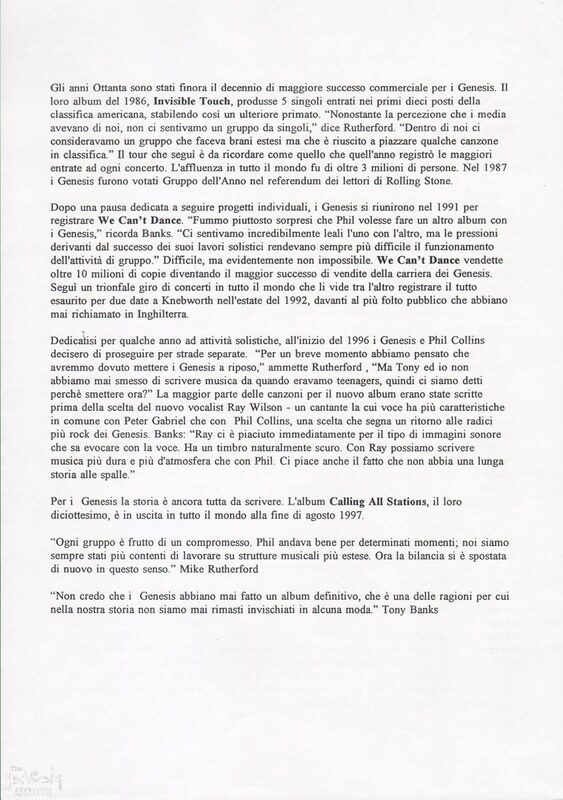 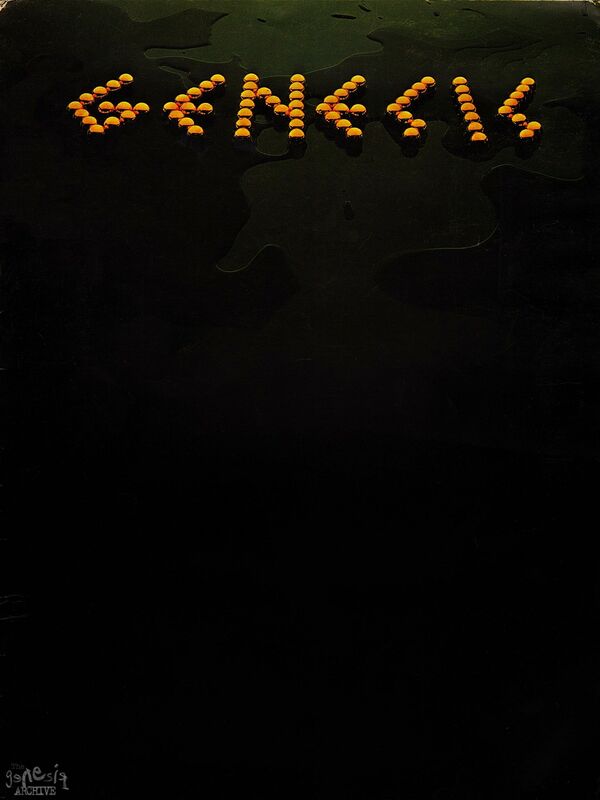 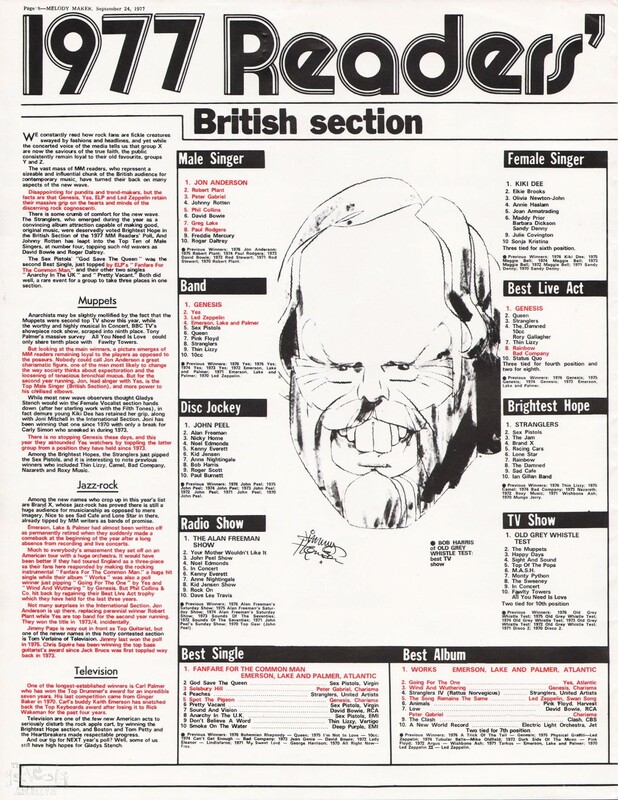 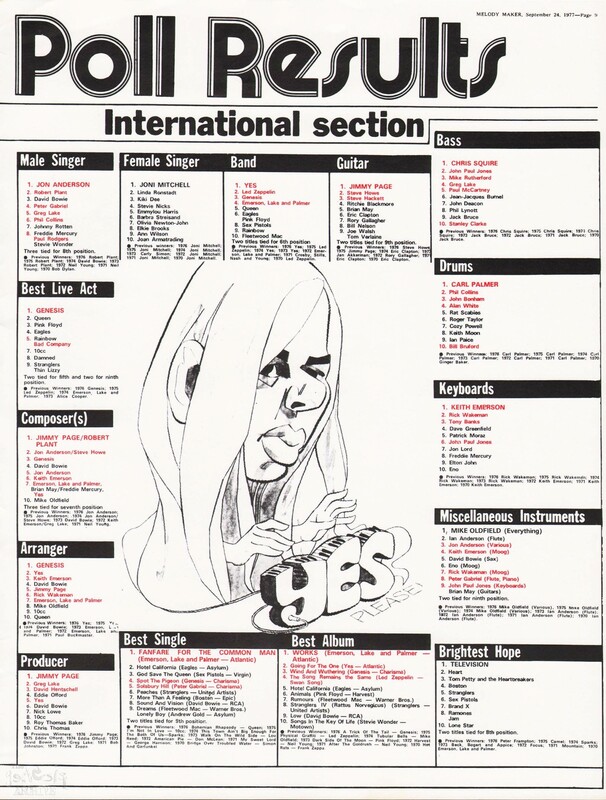 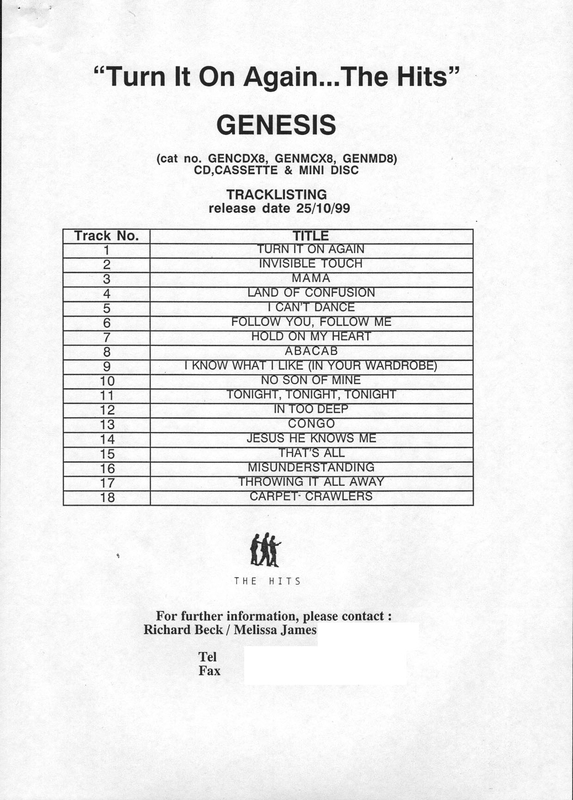 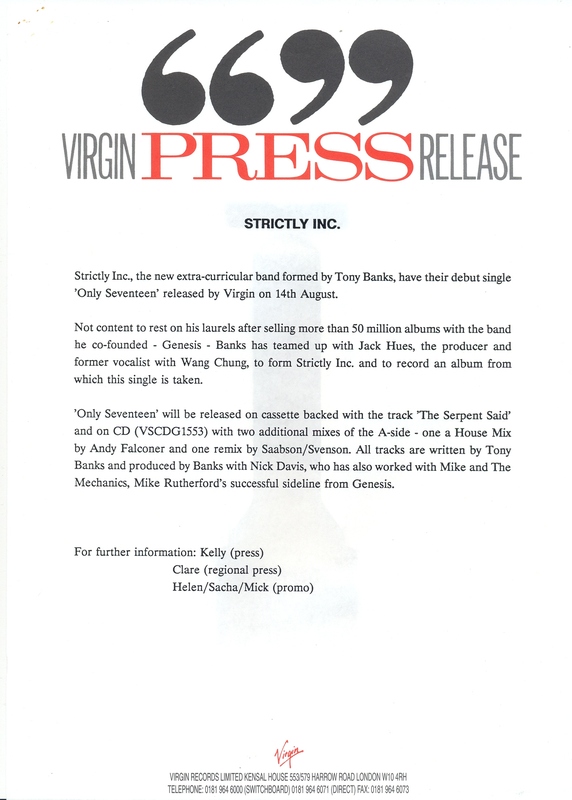 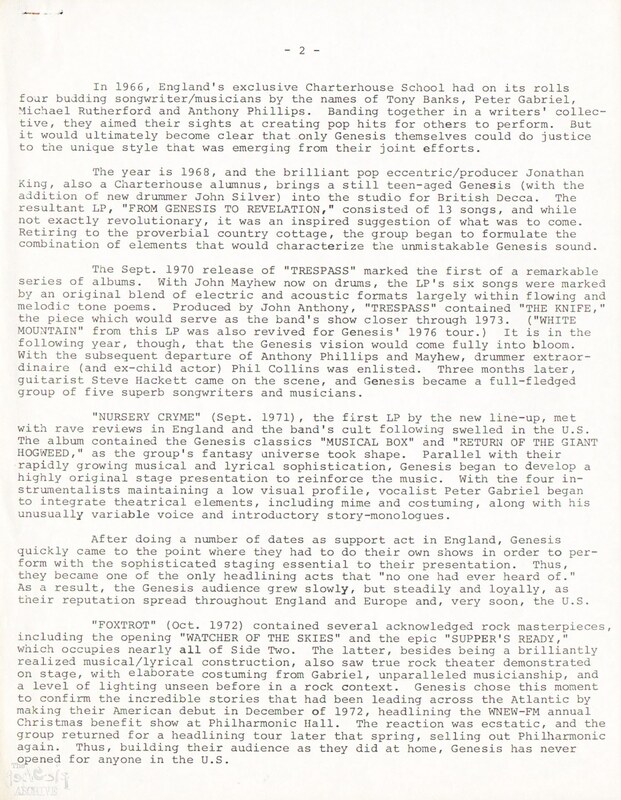 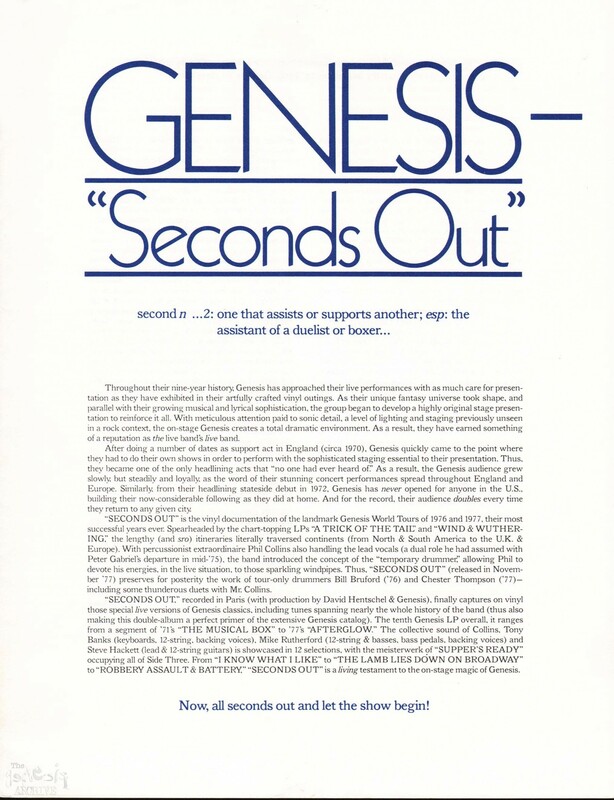 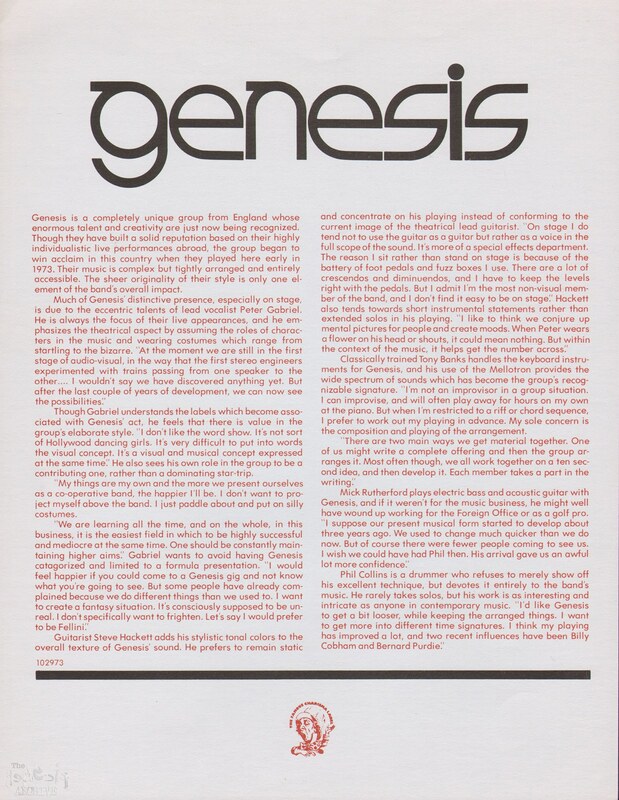 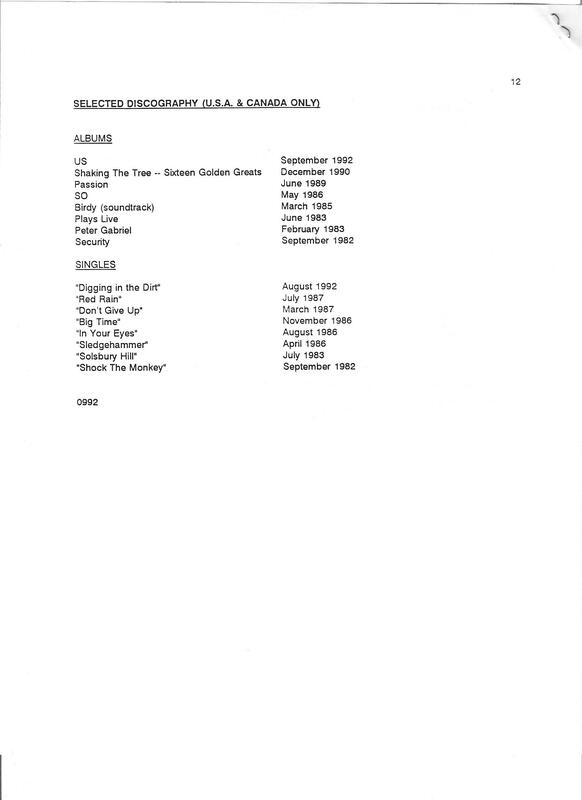 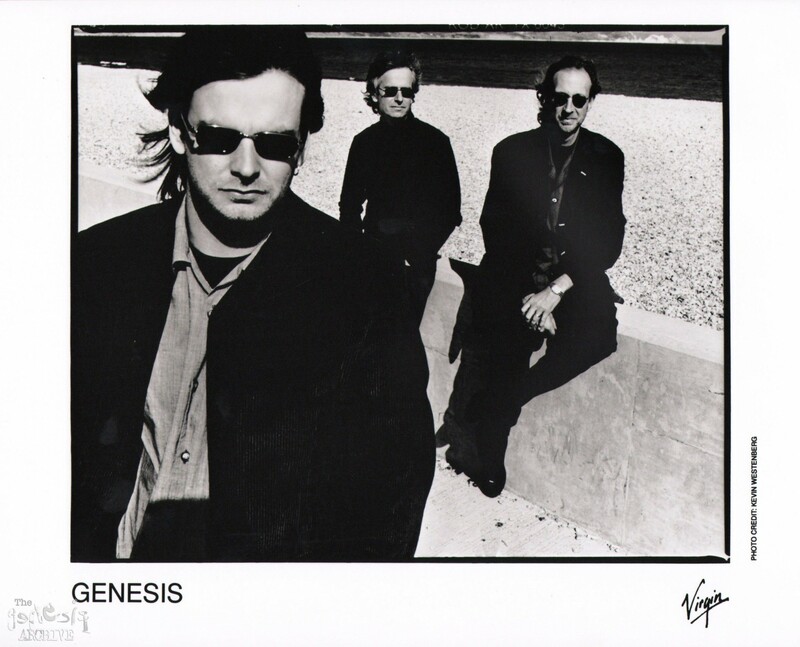 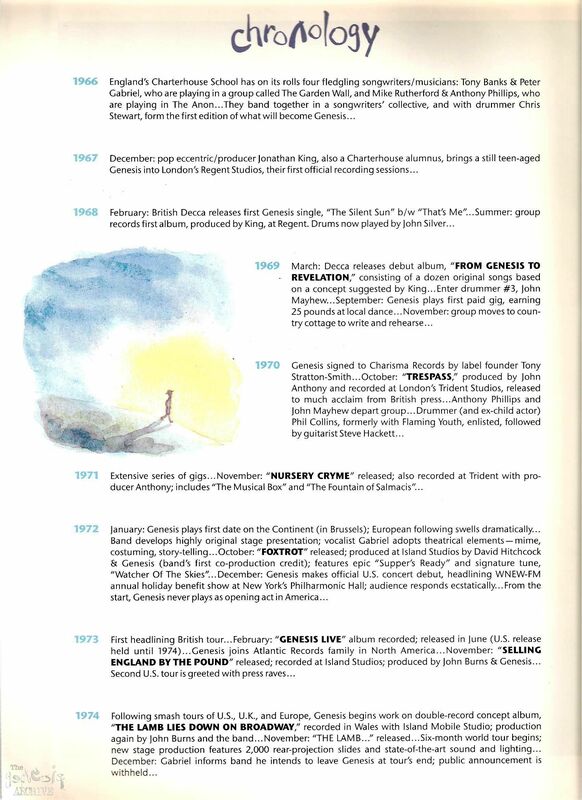 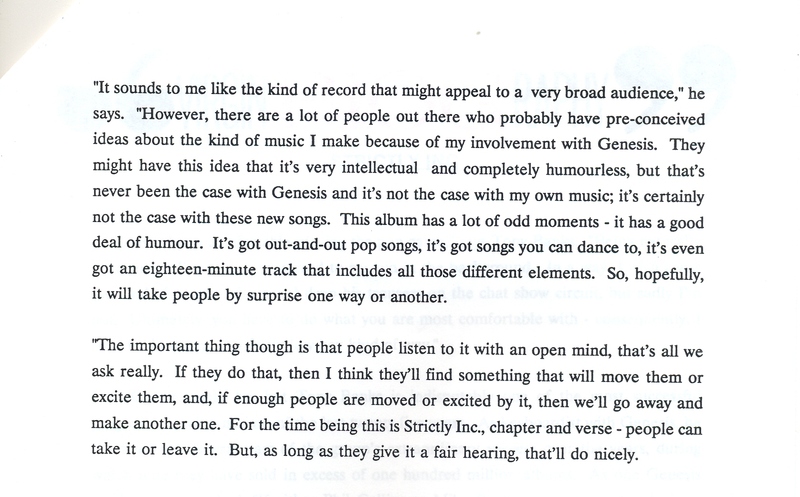 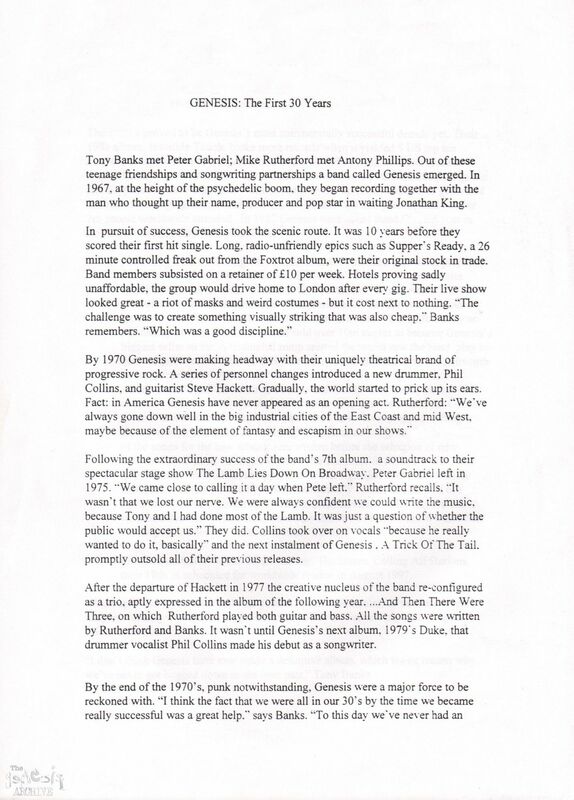 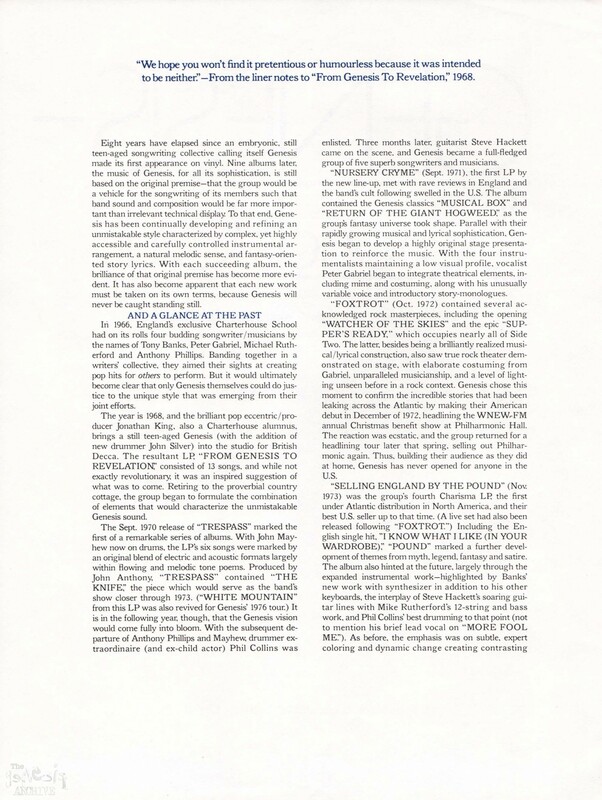 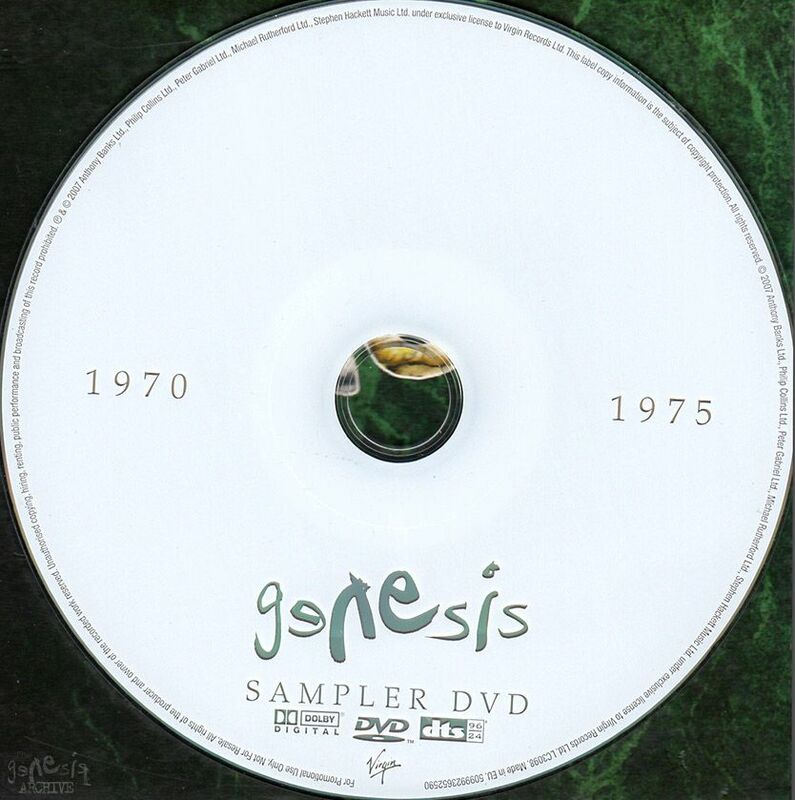 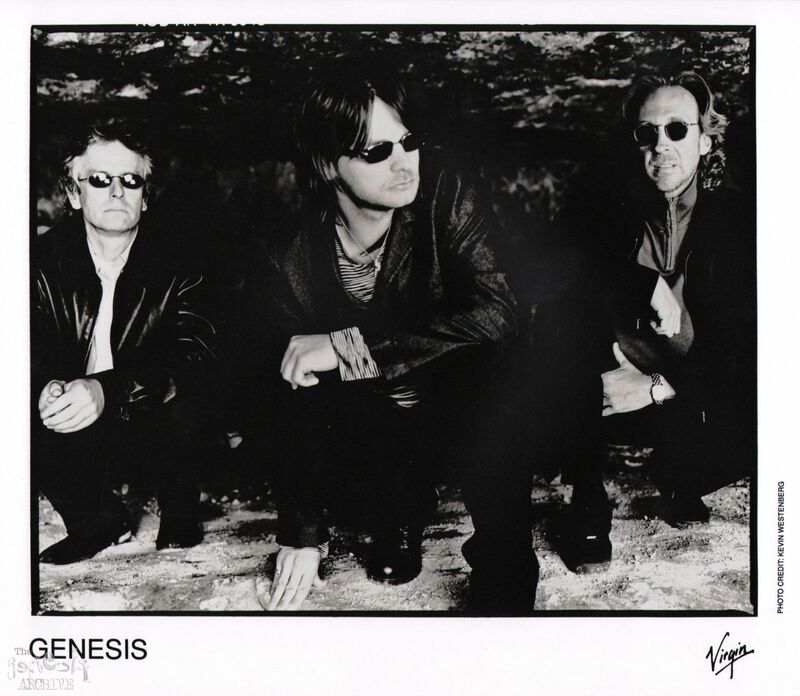 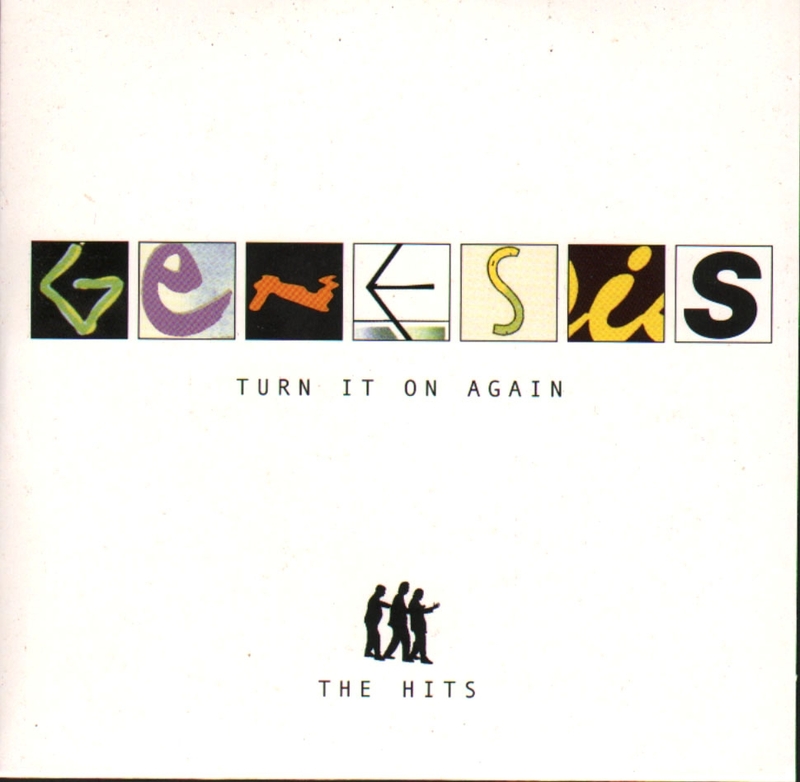 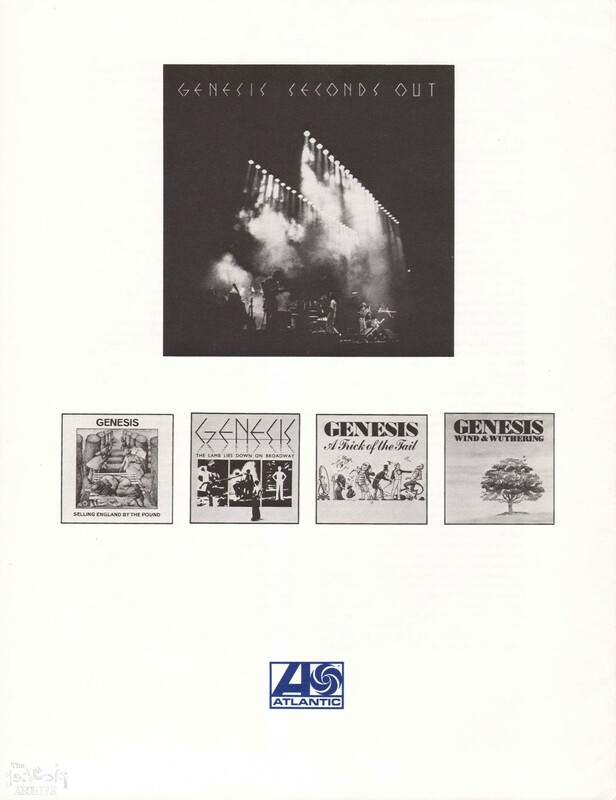 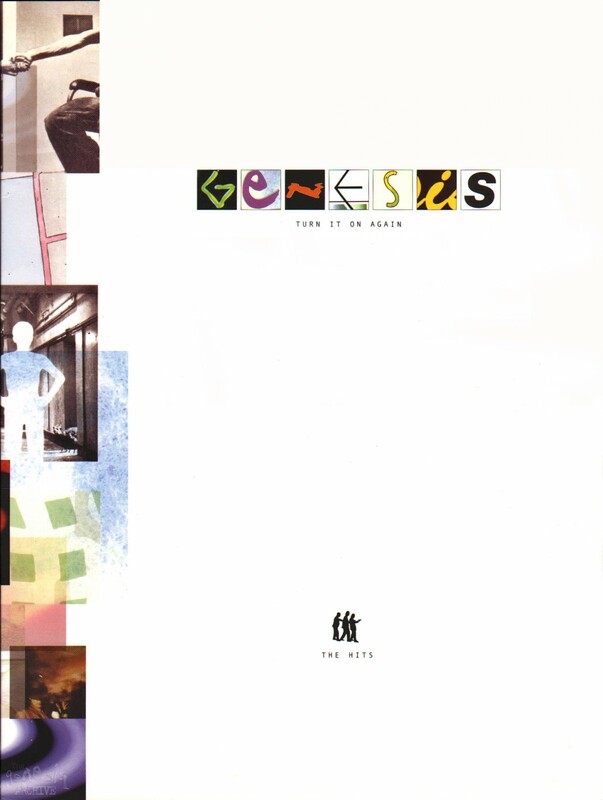 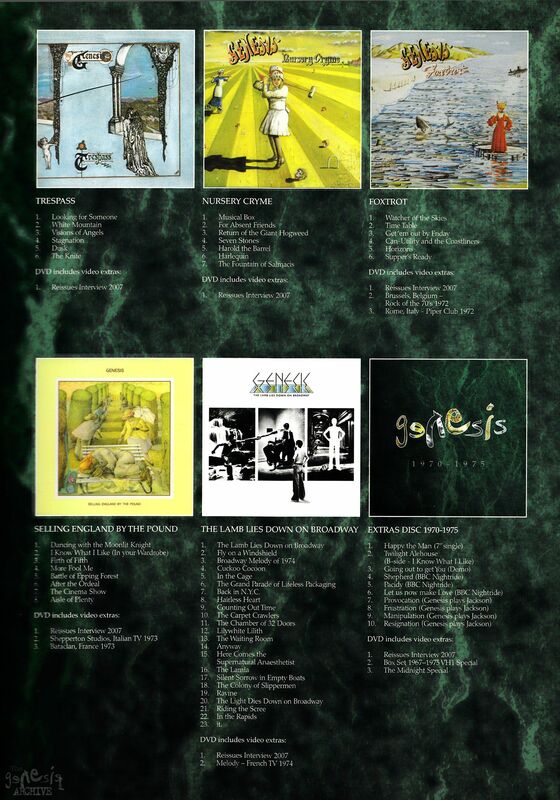 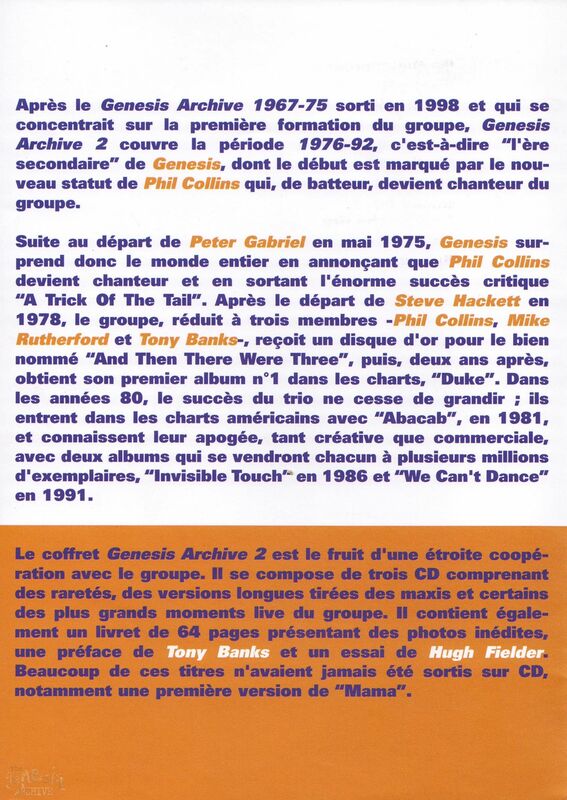 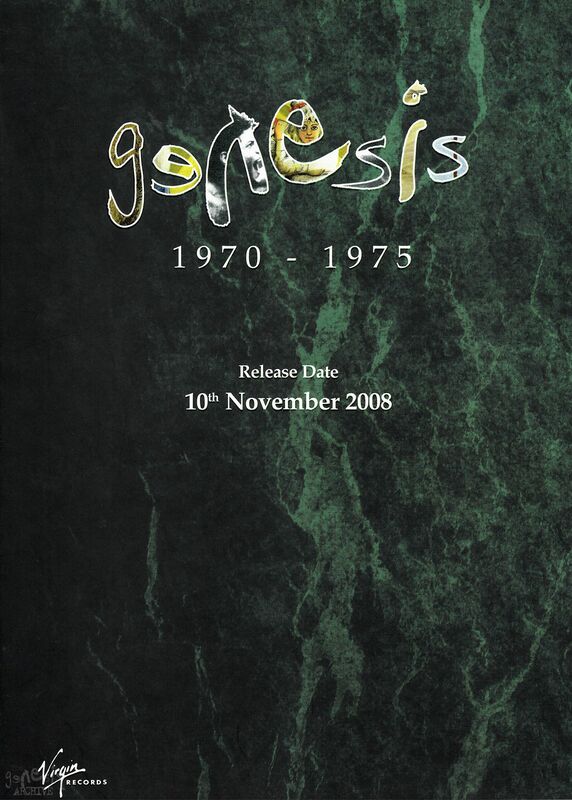 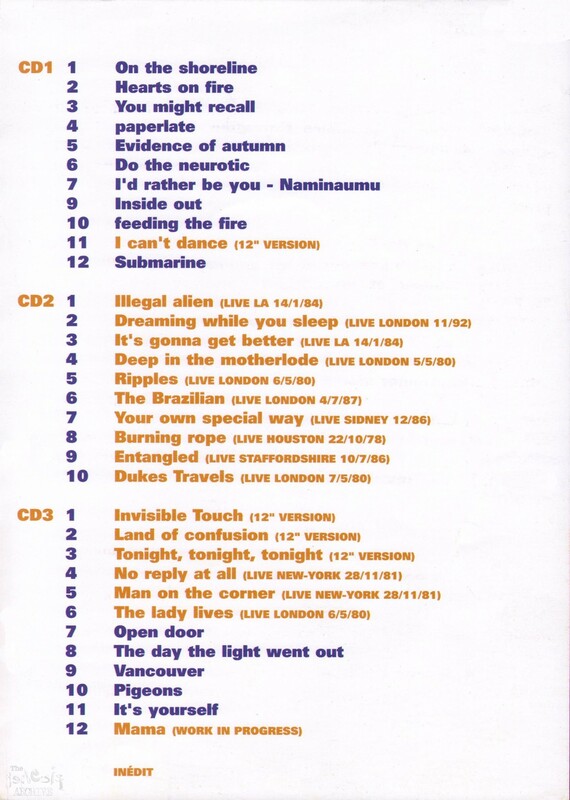 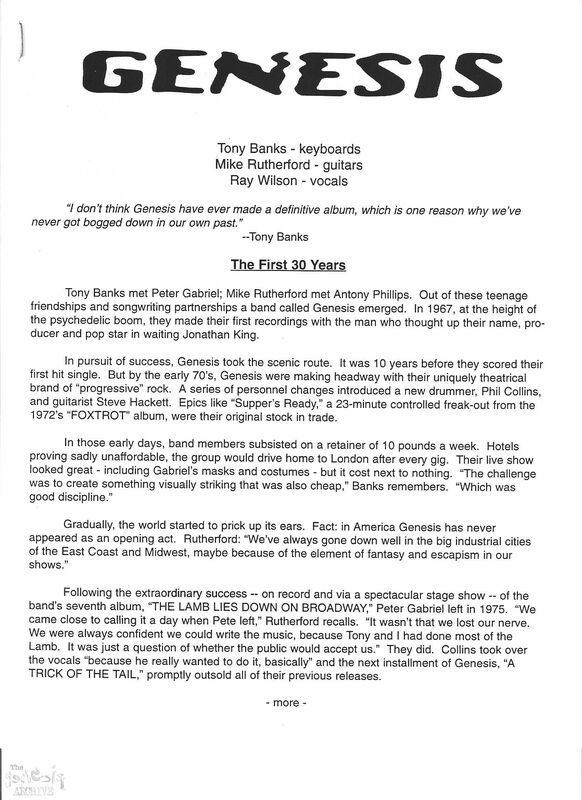 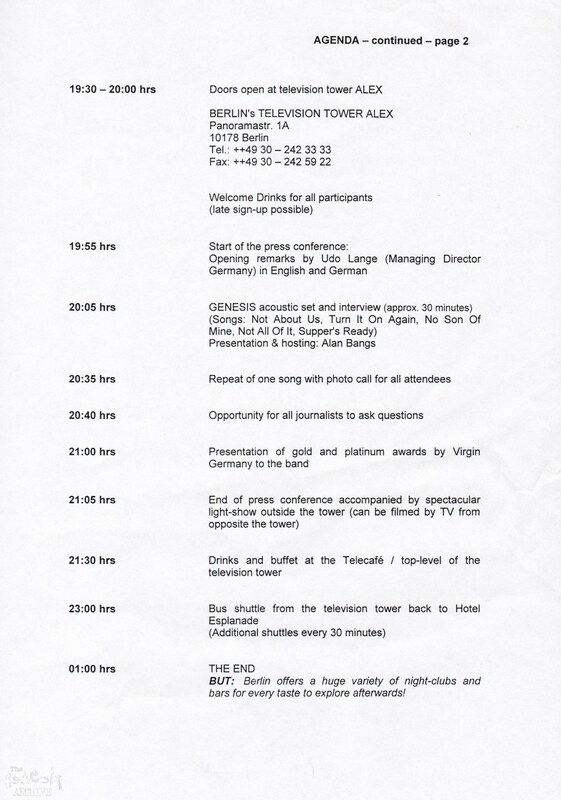 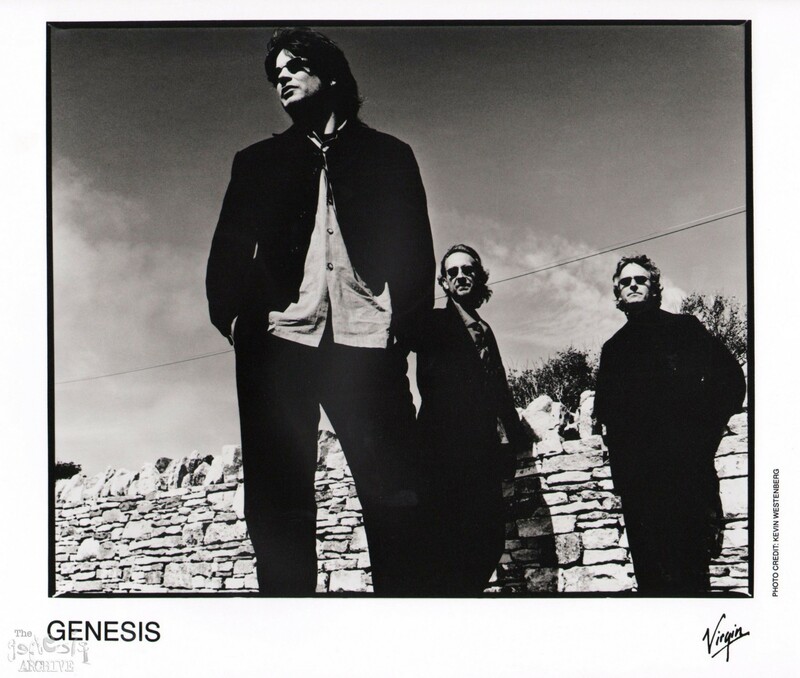 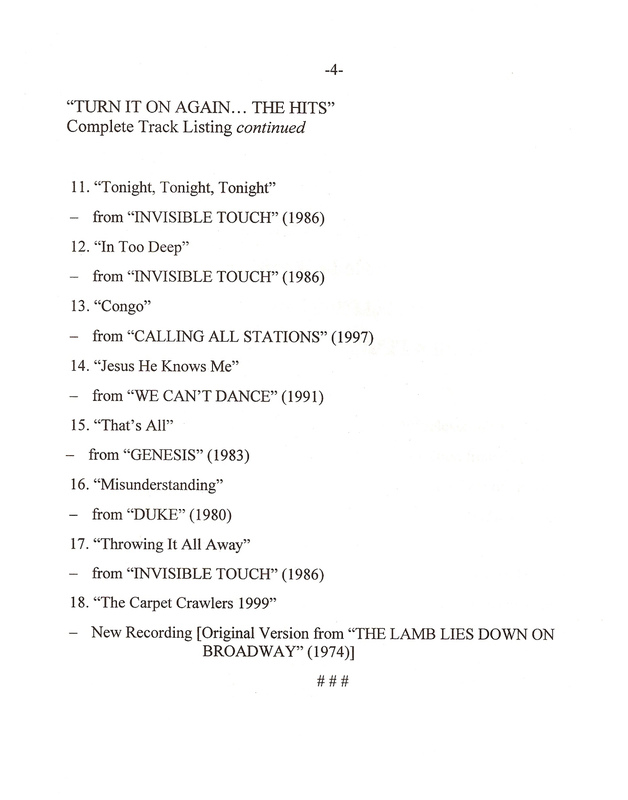 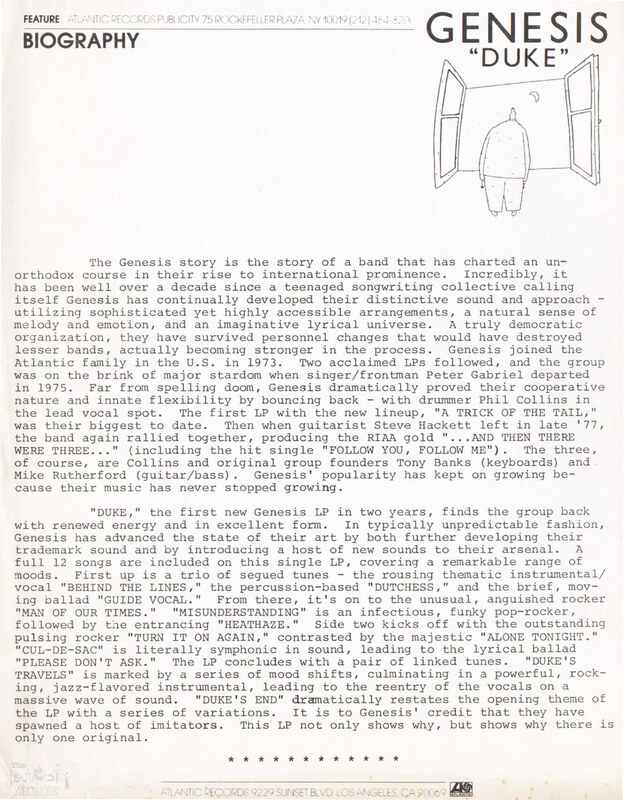 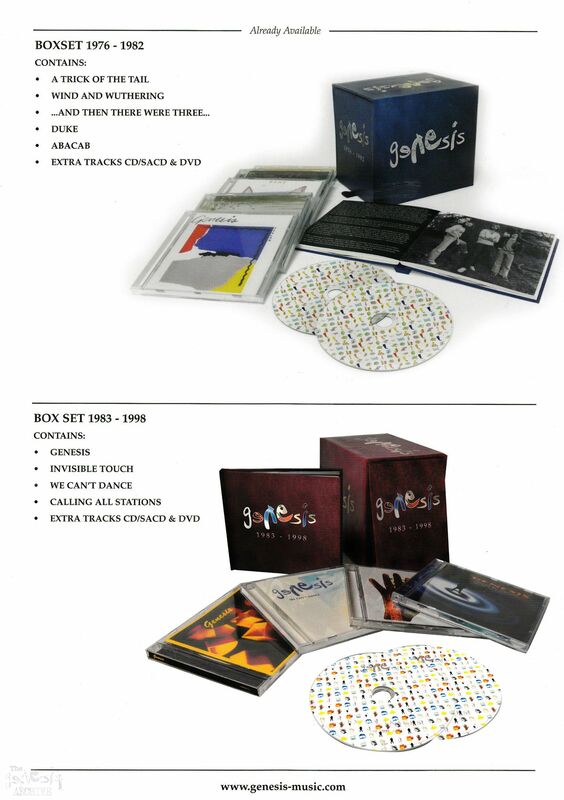 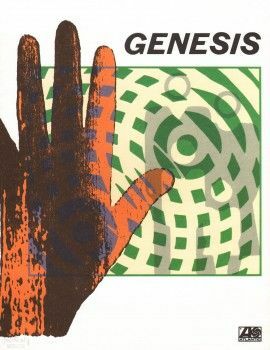 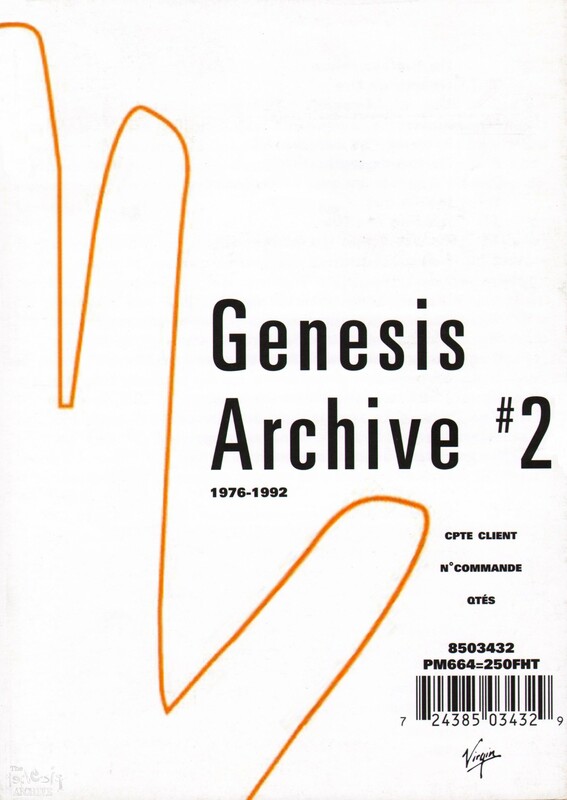 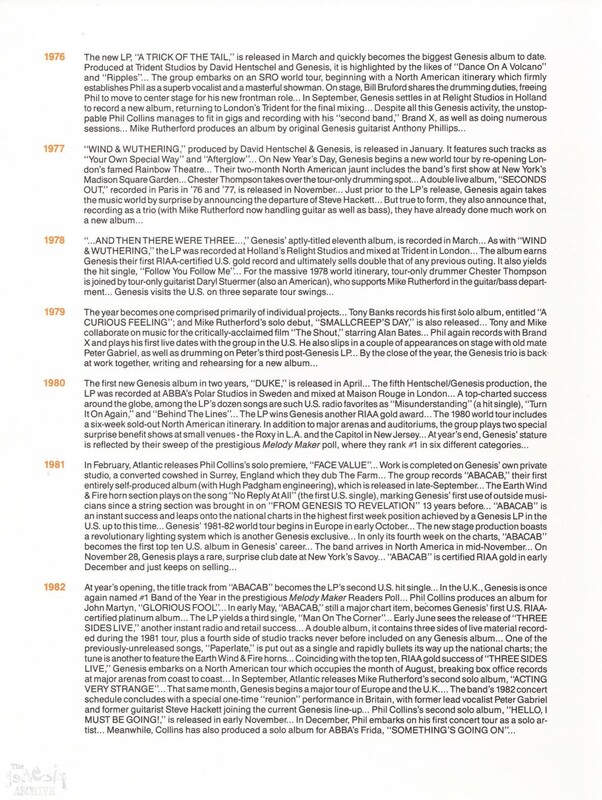 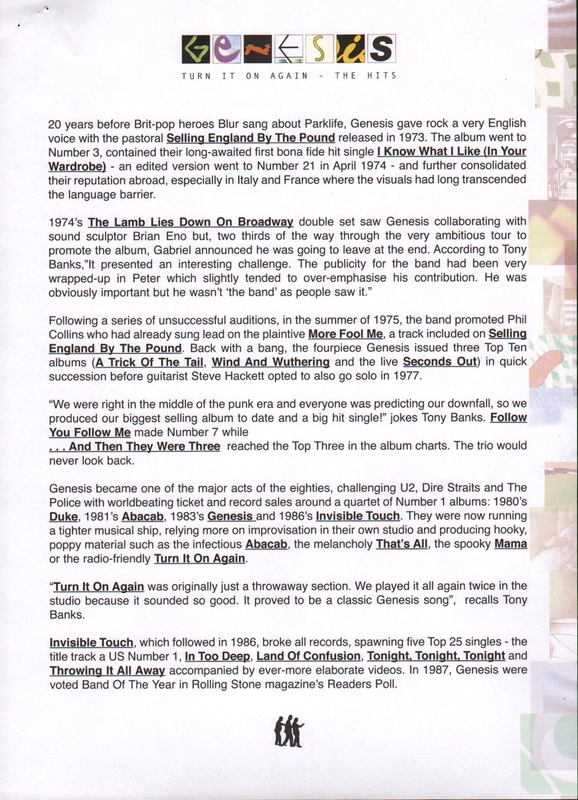 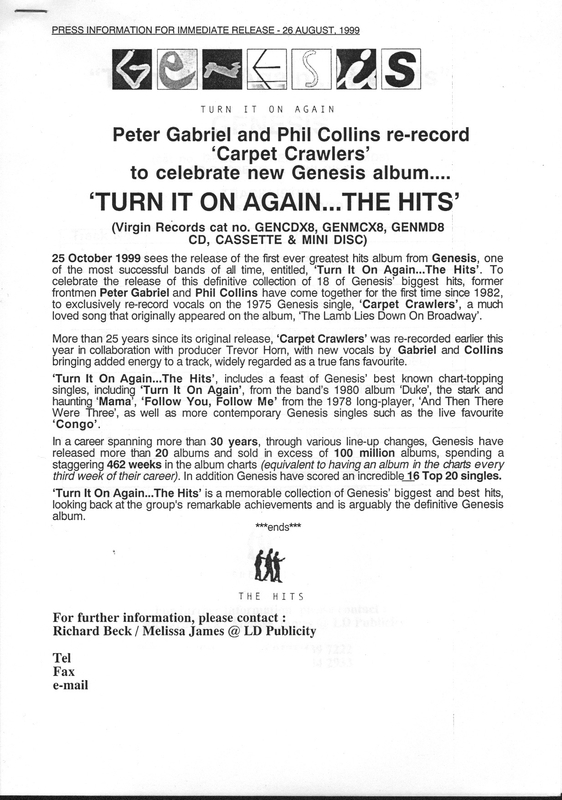 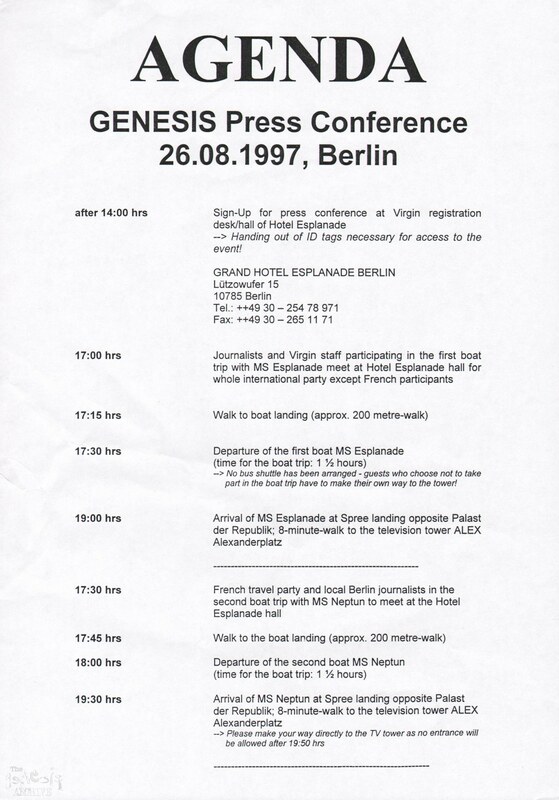 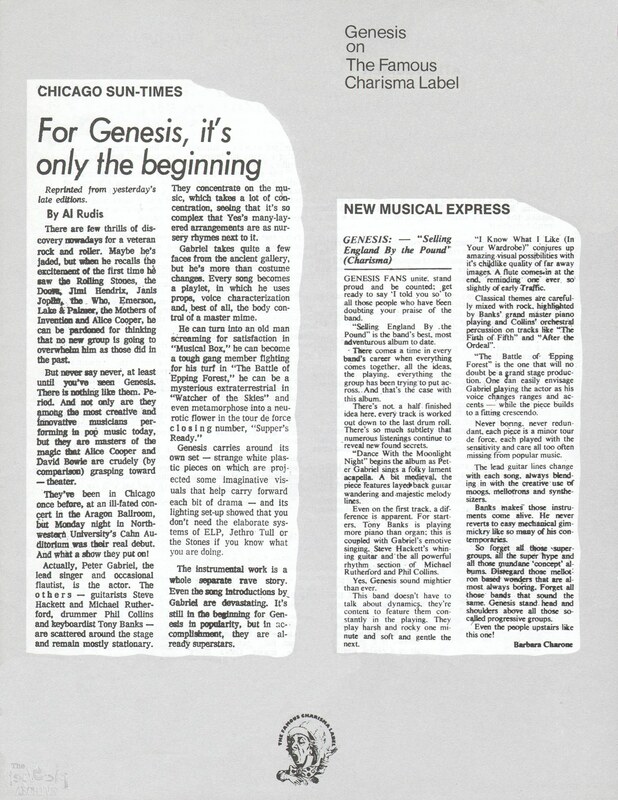 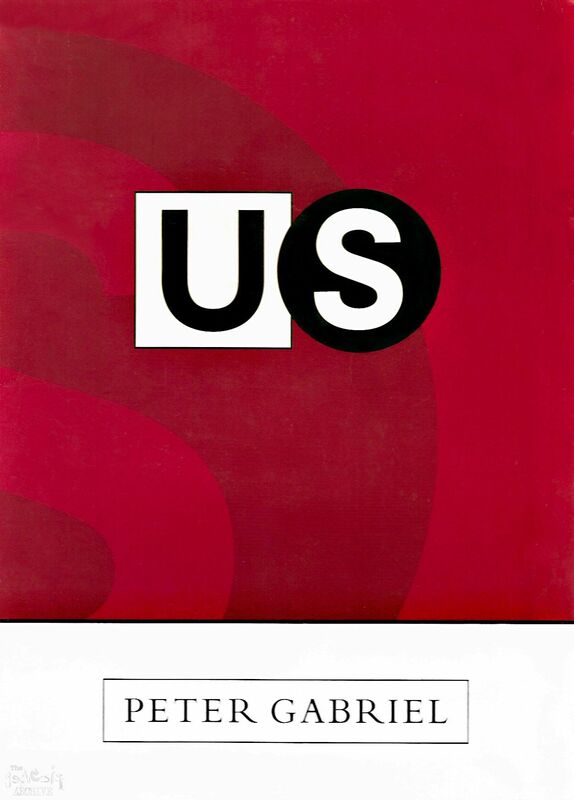 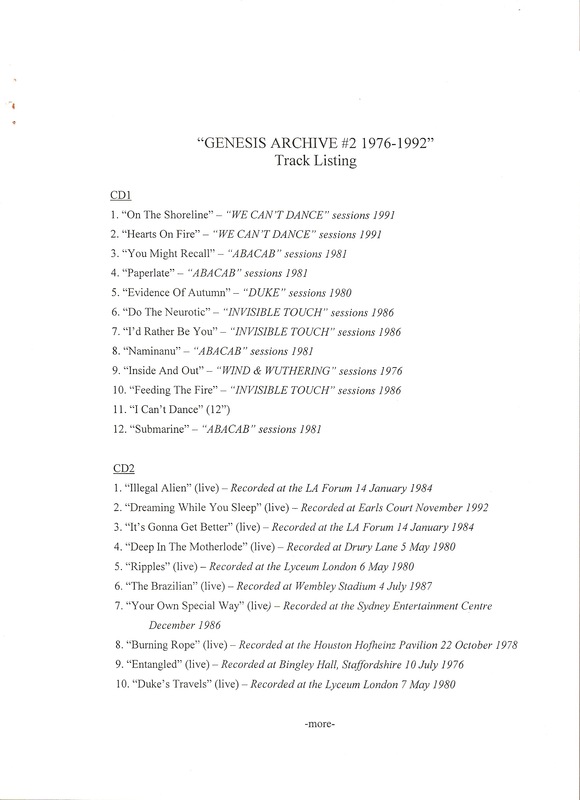 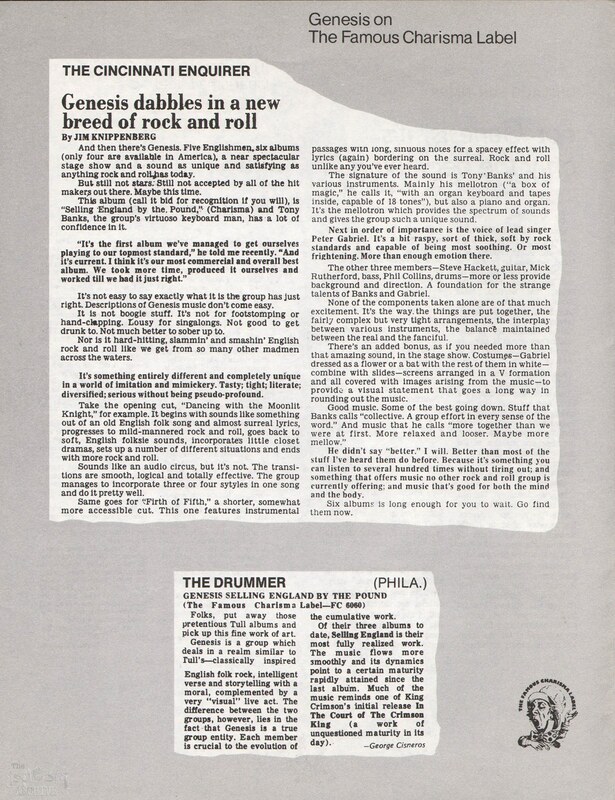 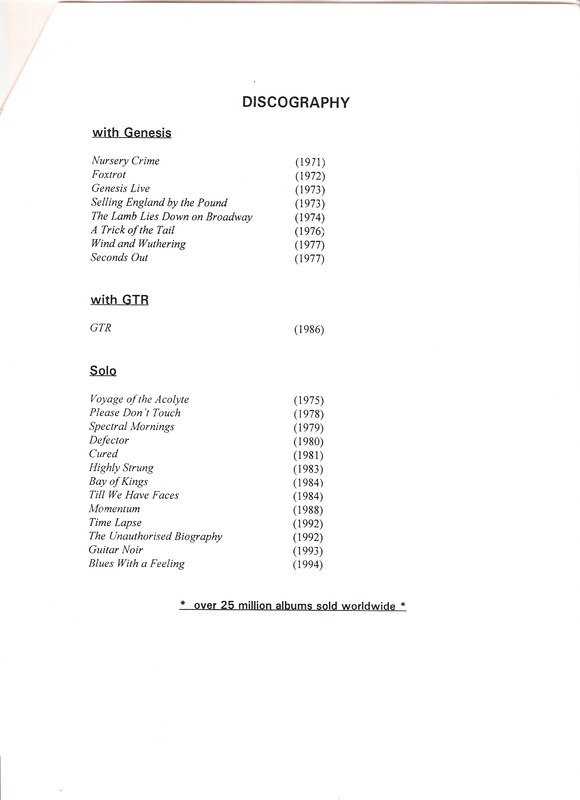 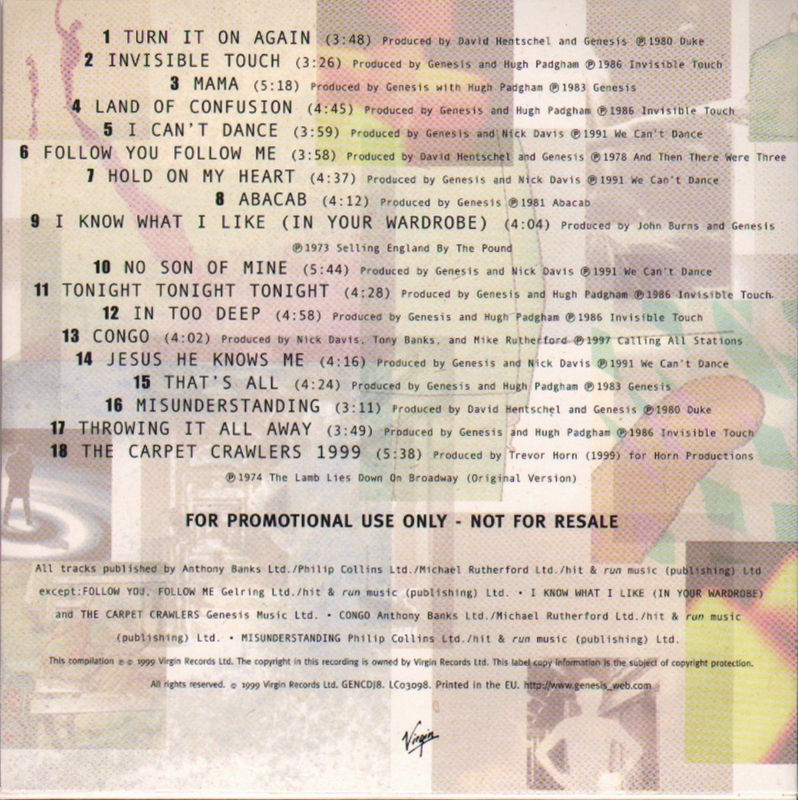 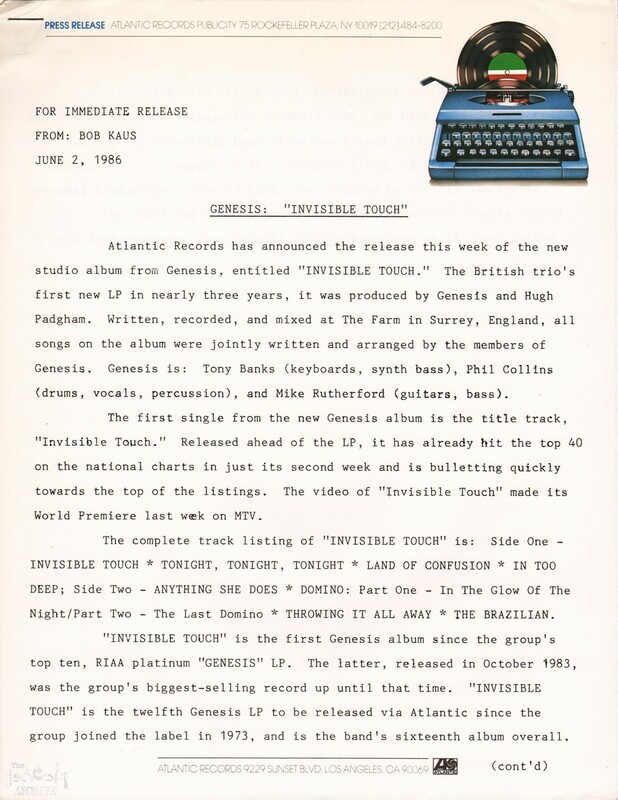 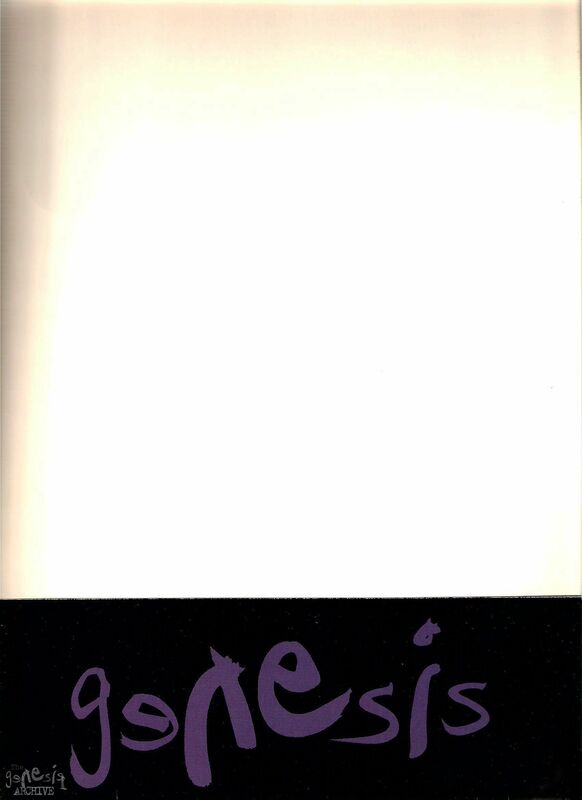 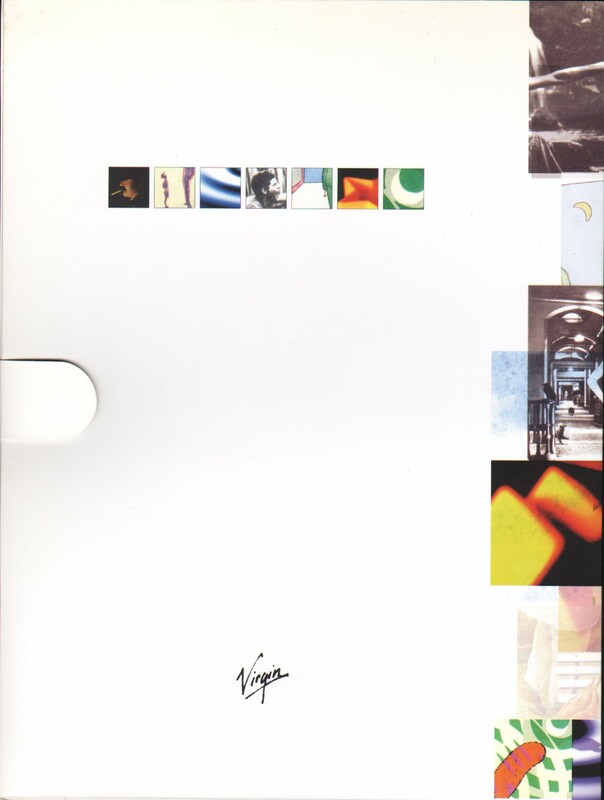 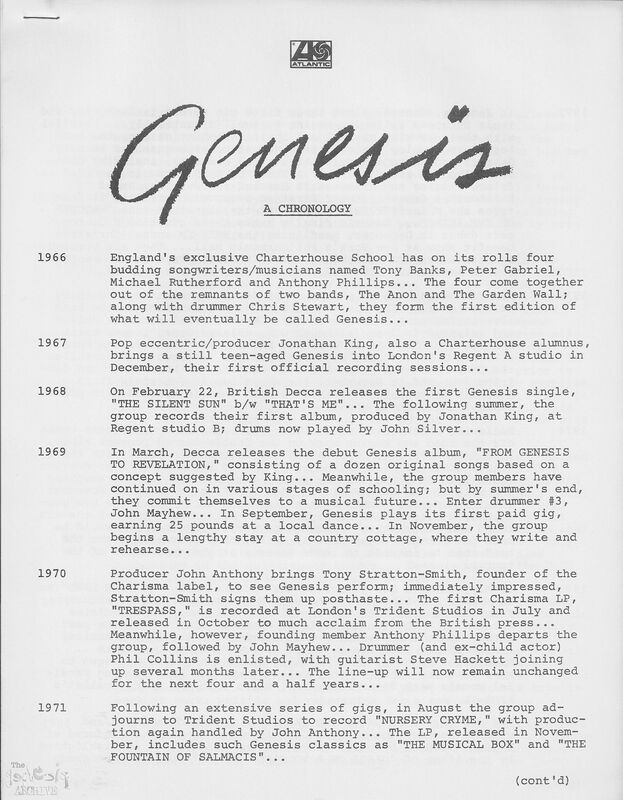 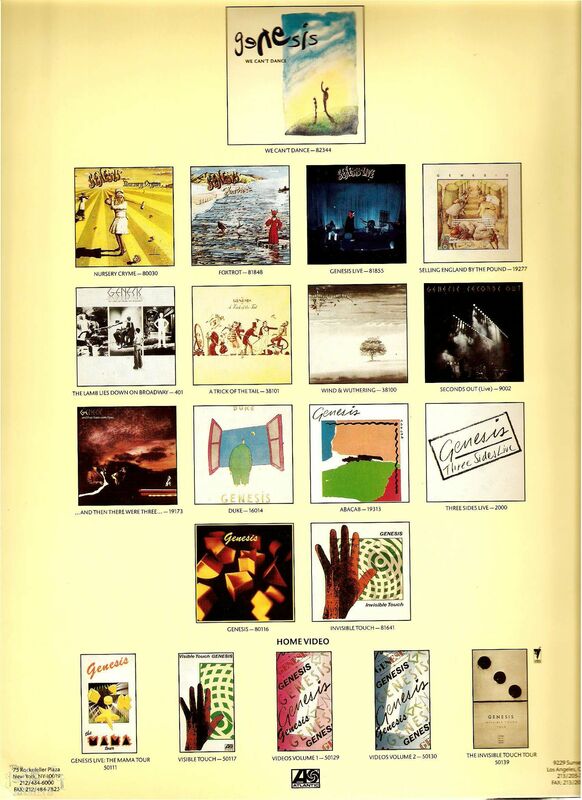 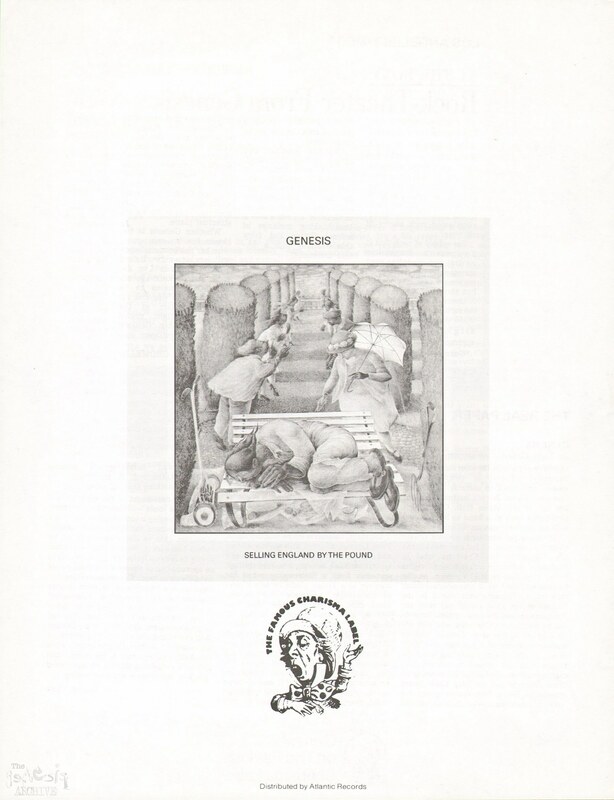 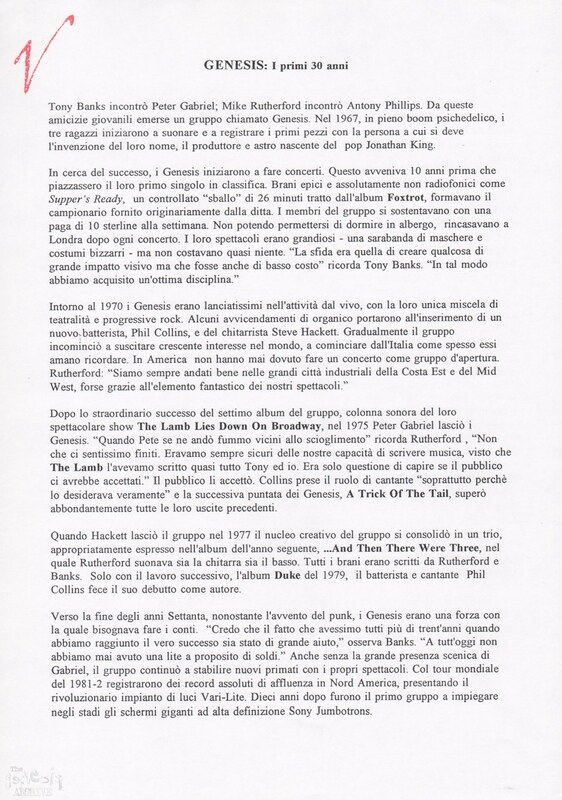 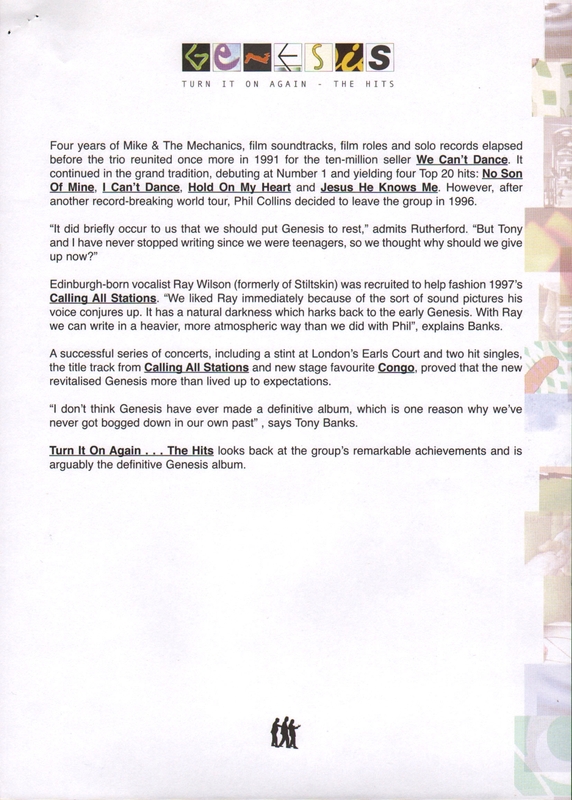 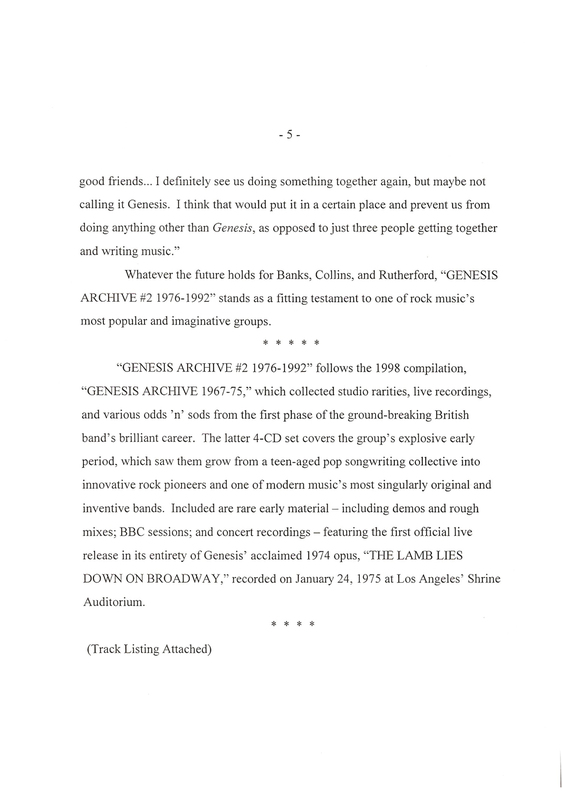 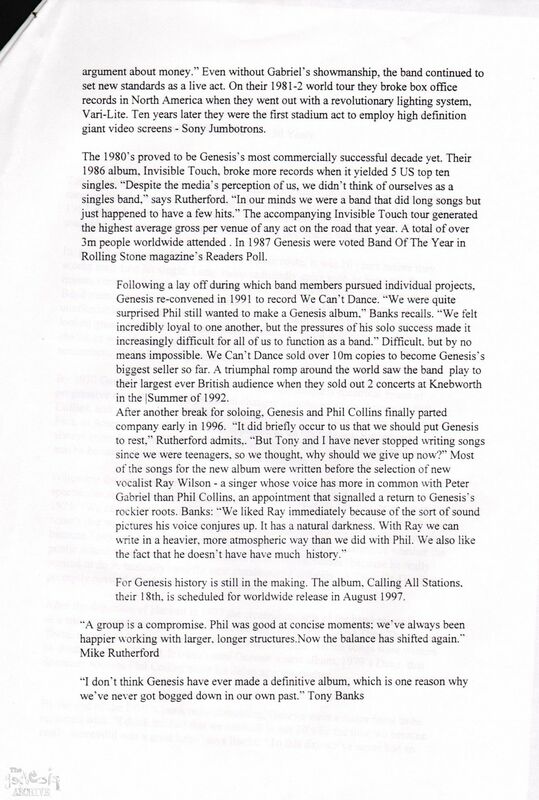 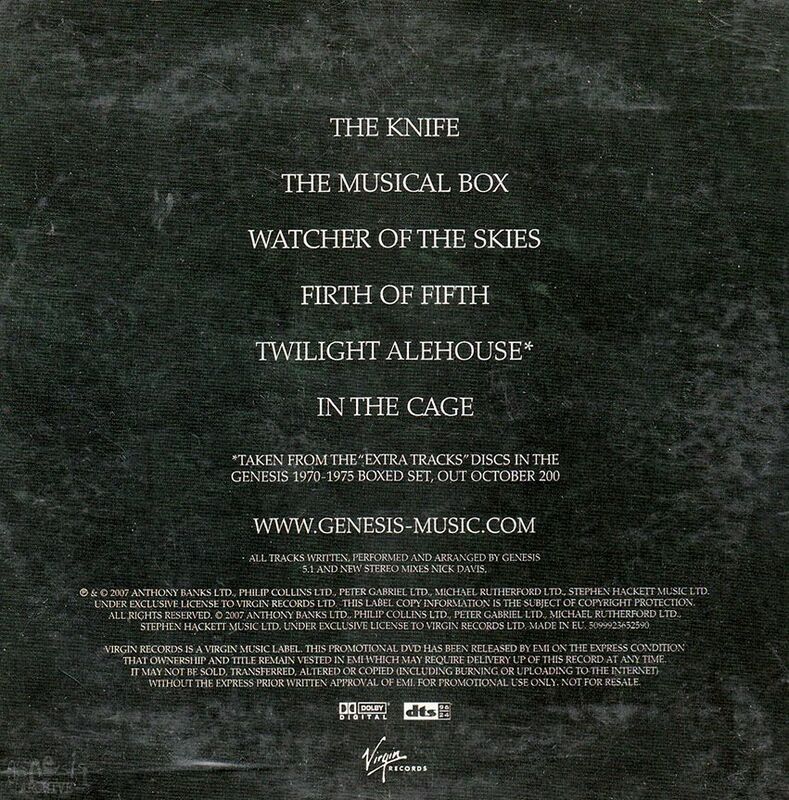 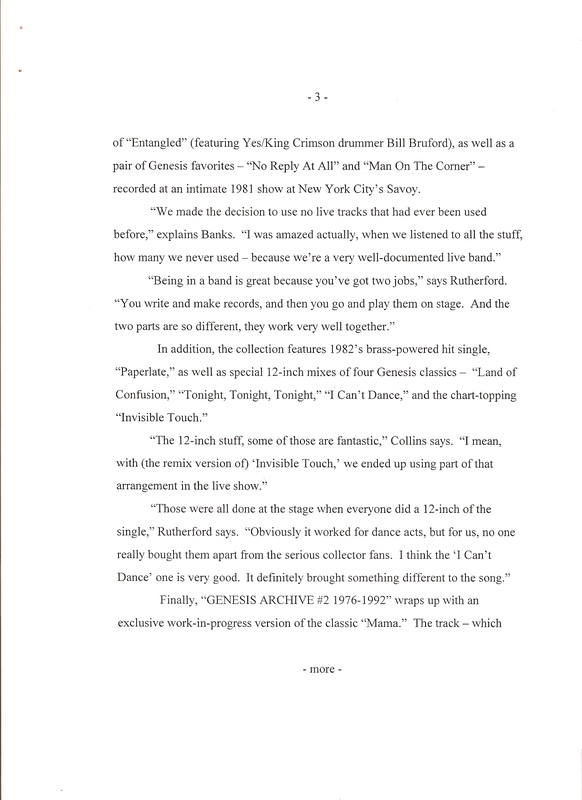 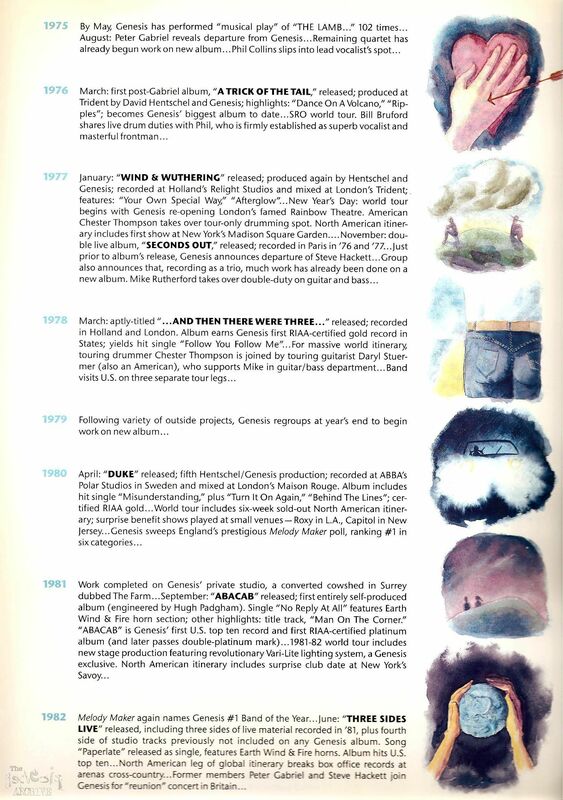 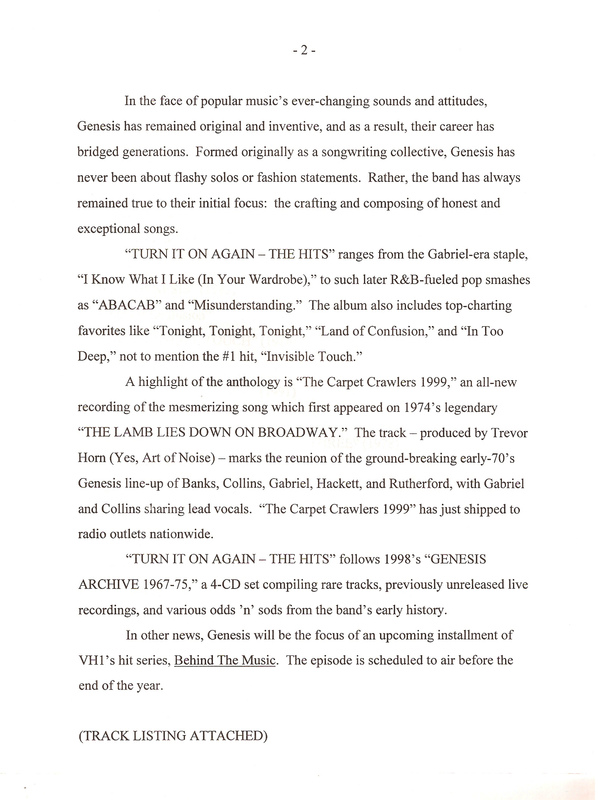 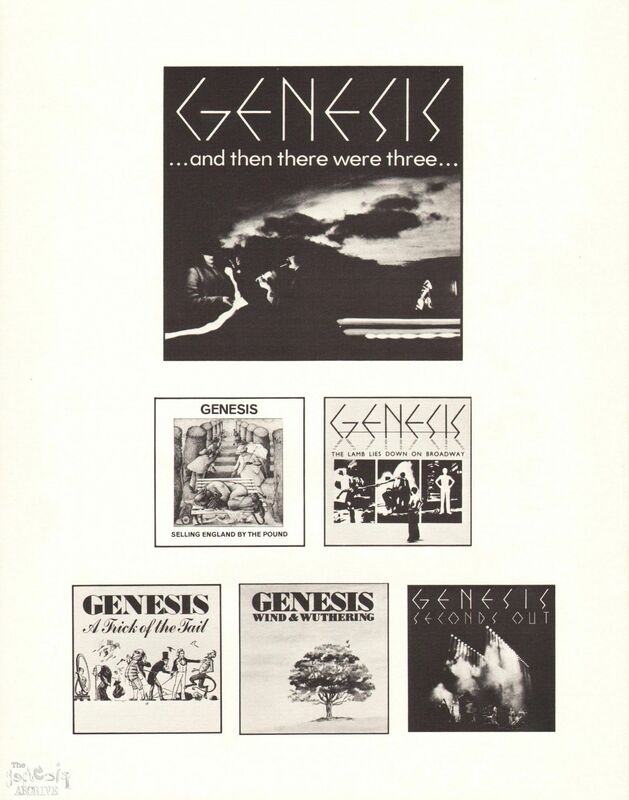 Virgin Records (therefore UK and European) press kit for the 1999 Genesis compilation album – Turn It On Again (Hits)! 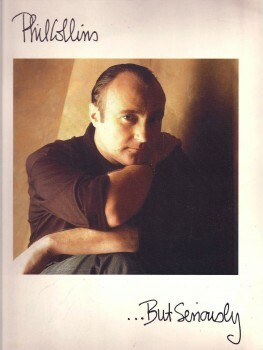 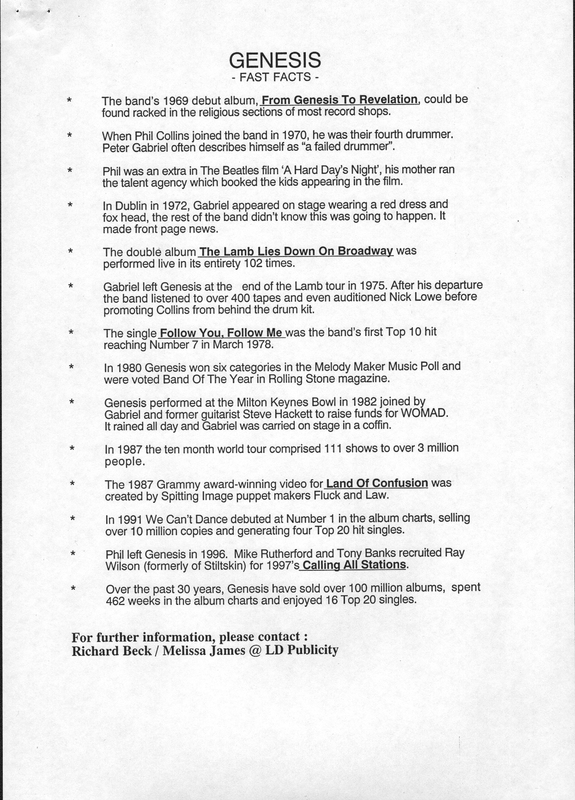 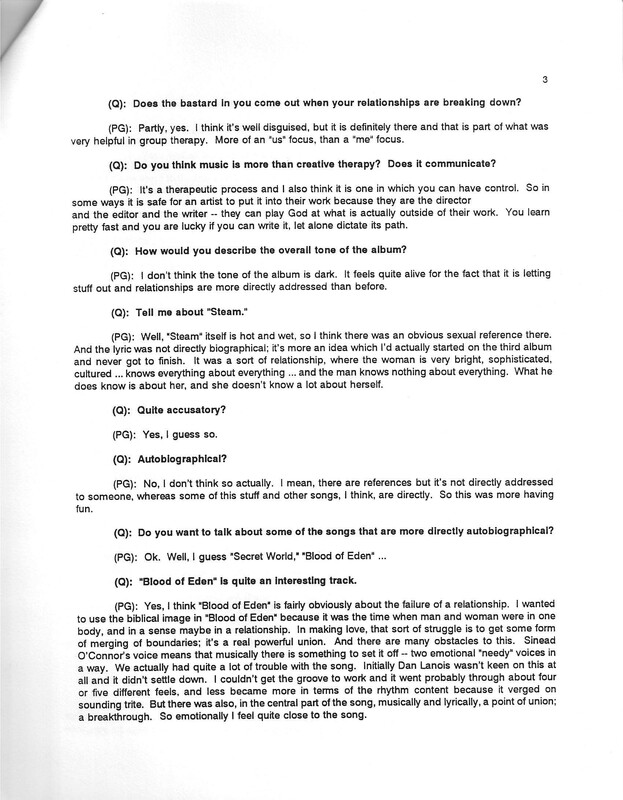 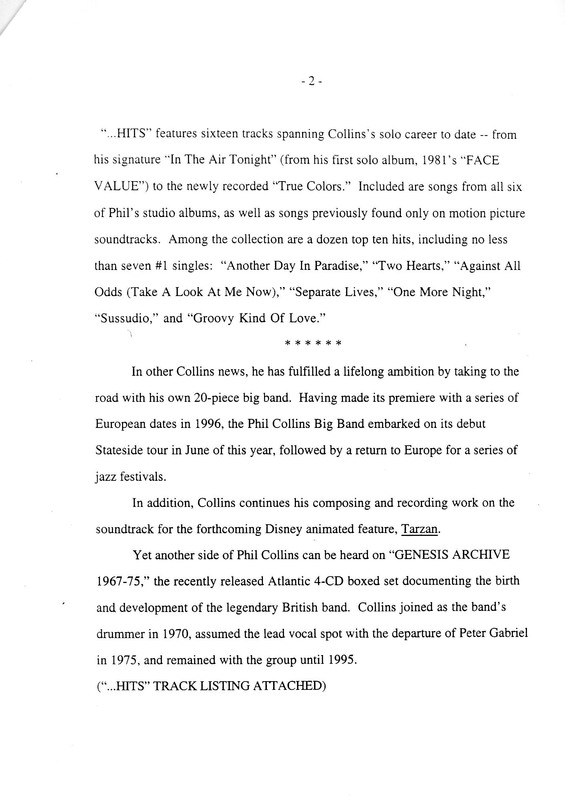 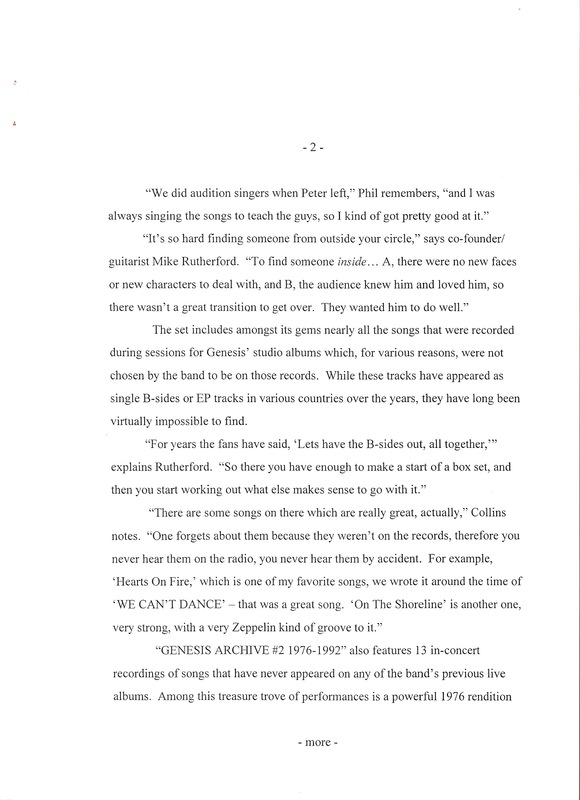 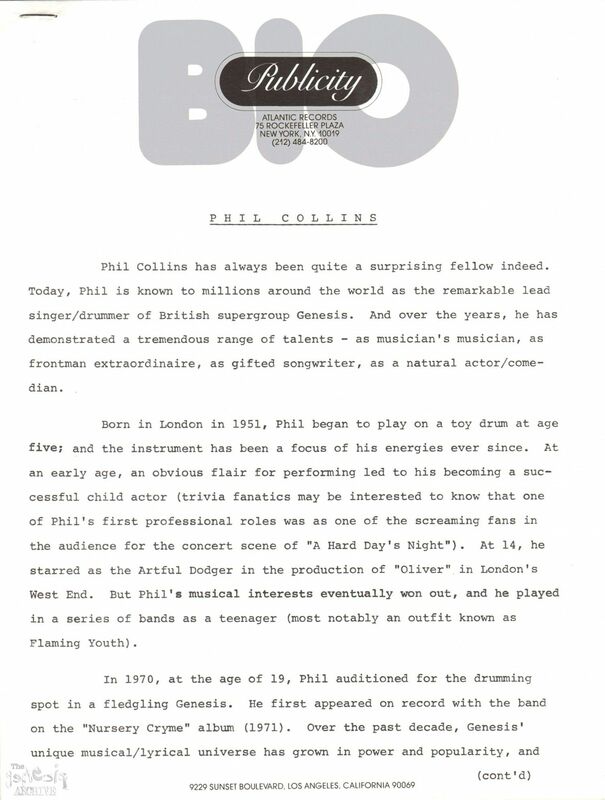 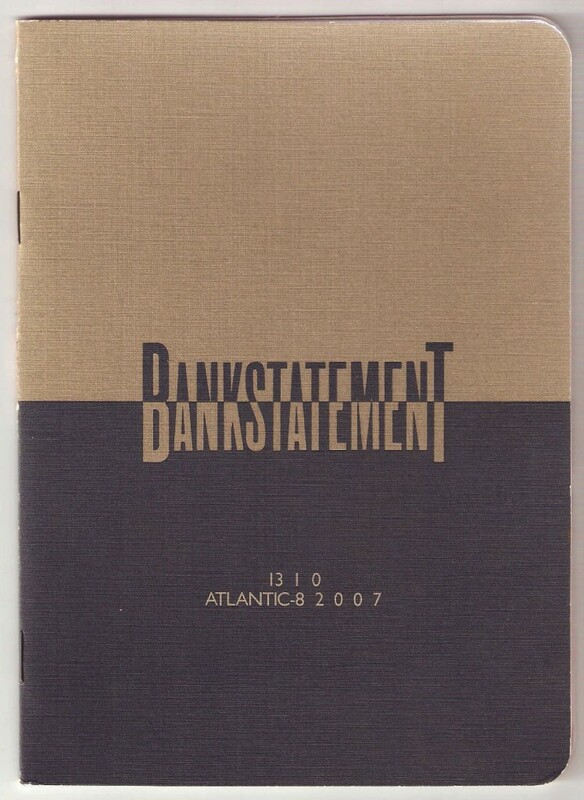 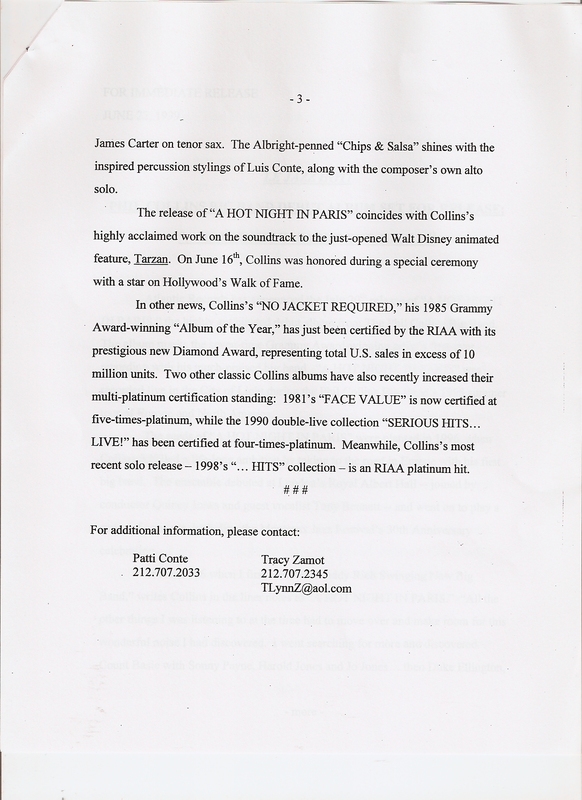 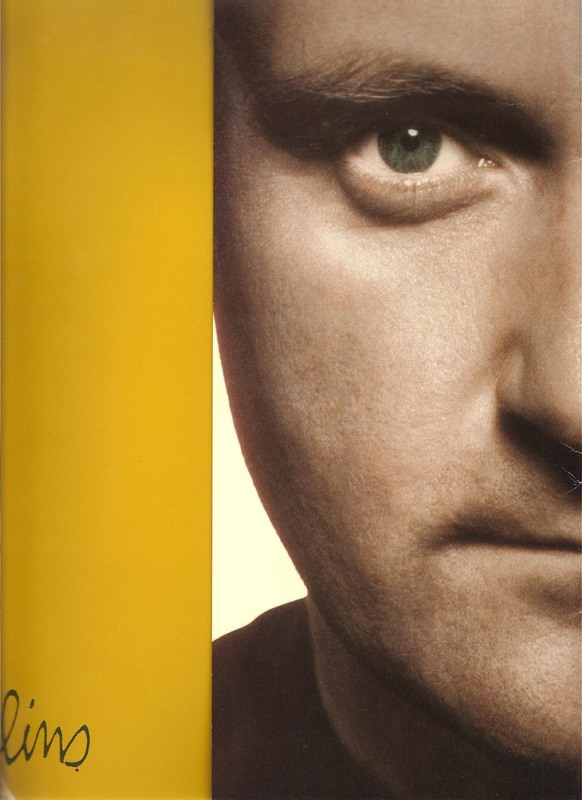 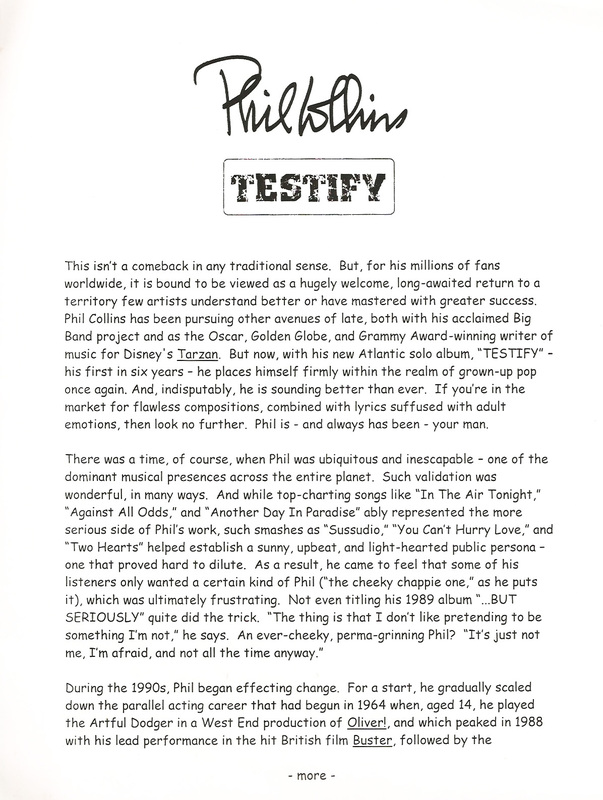 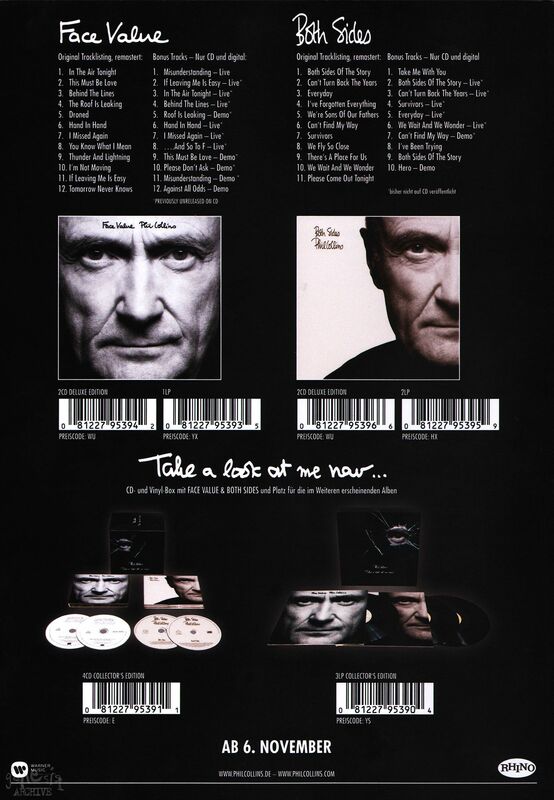 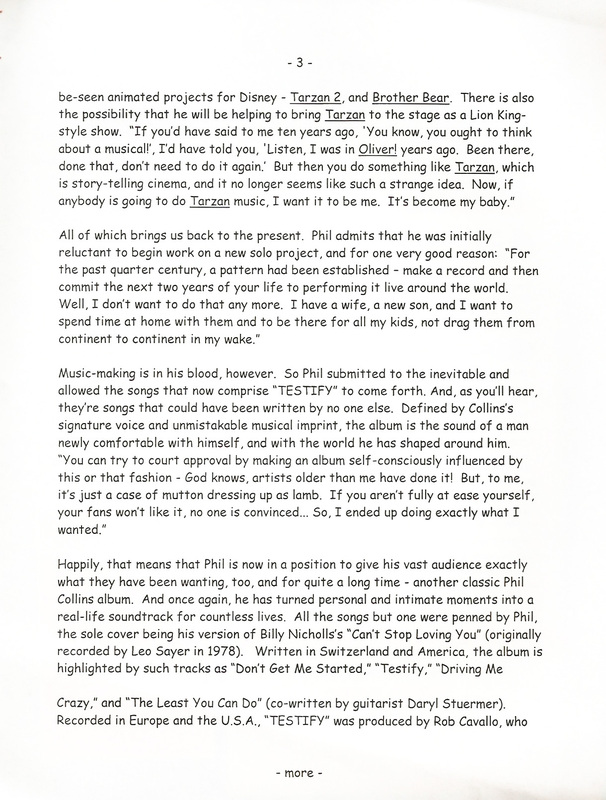 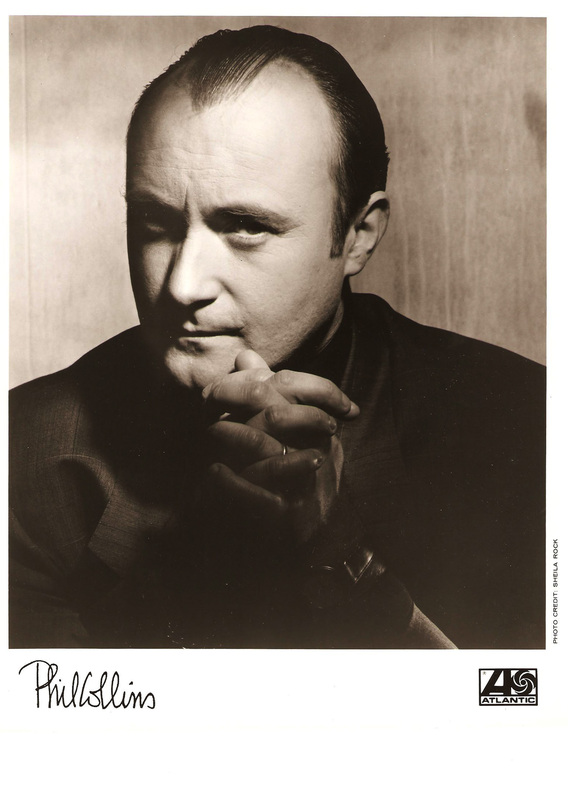 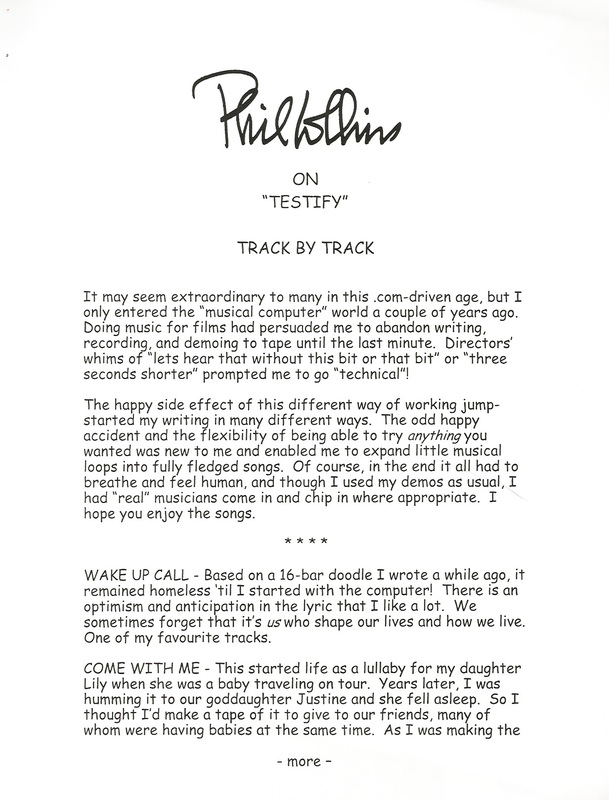 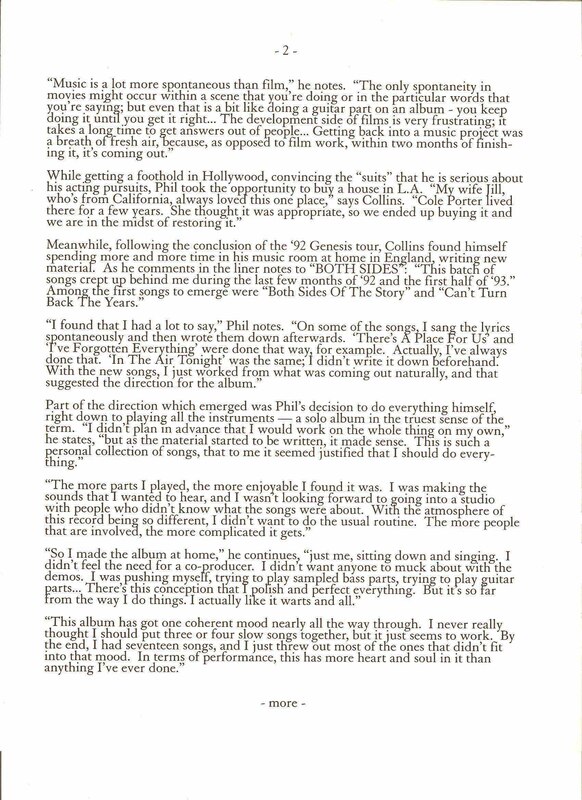 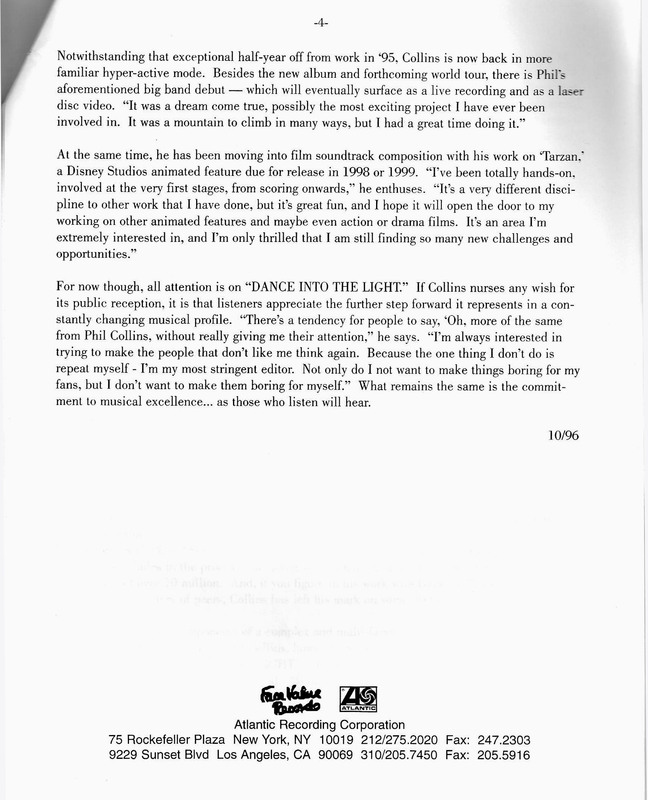 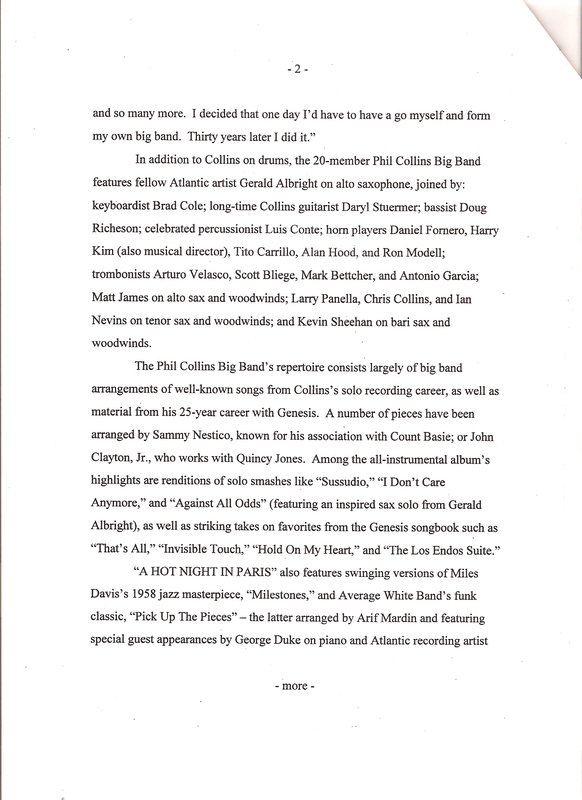 An Atlantic Records (therefore American) press kit for the 2002 Phil Collins album “Testify”.